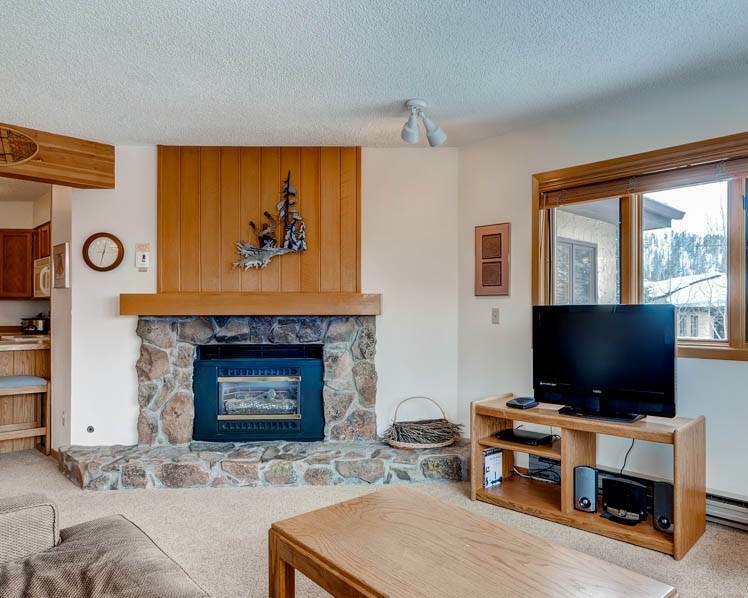 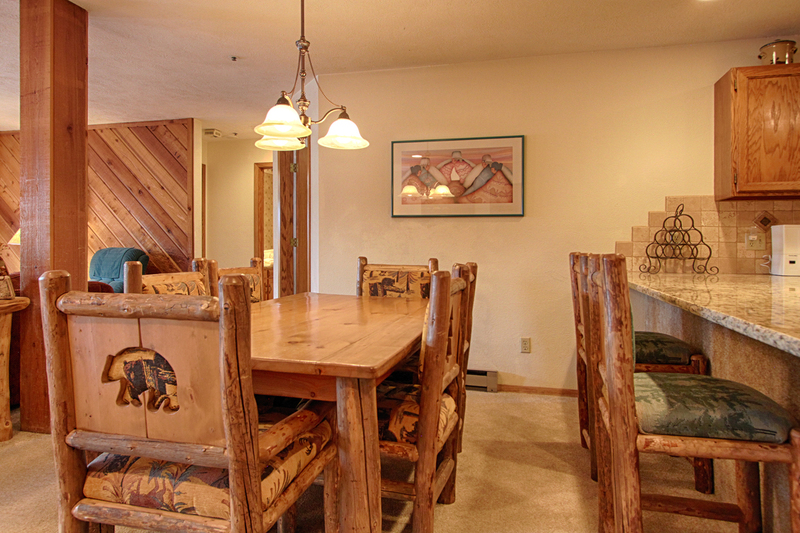 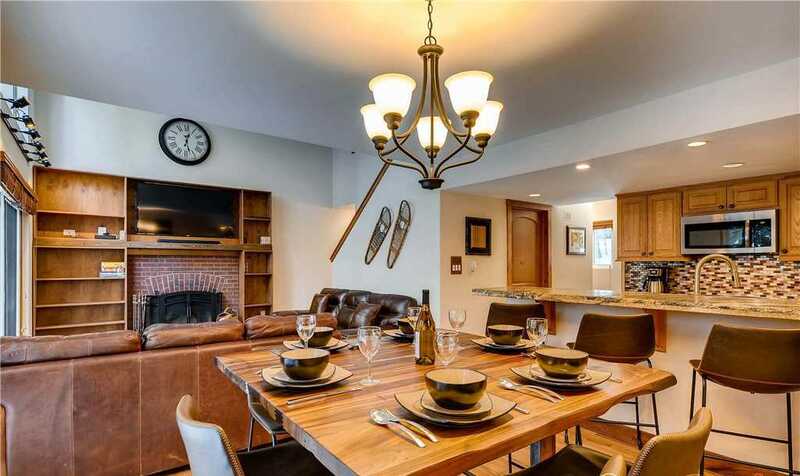 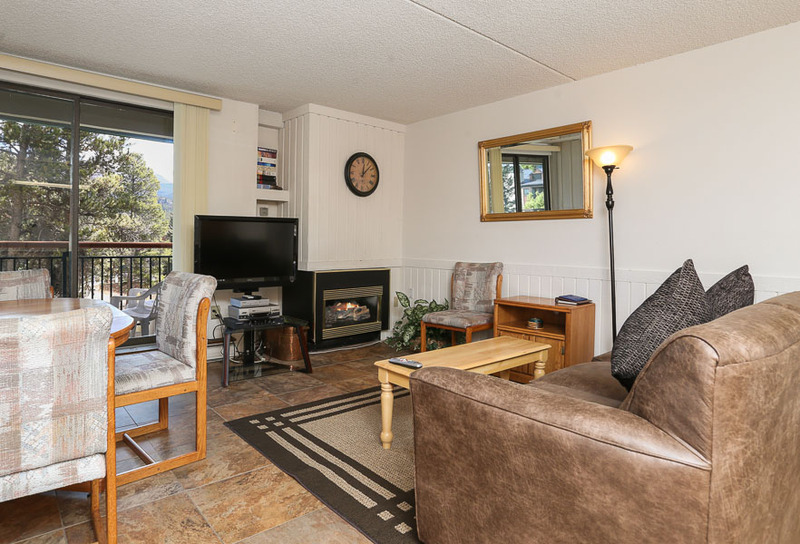 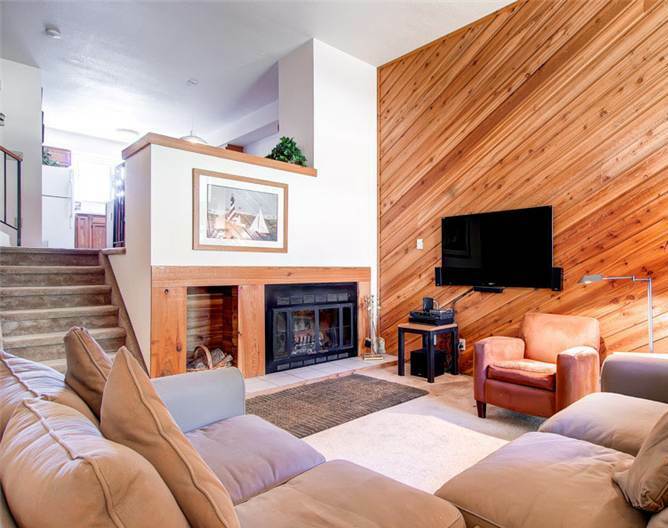 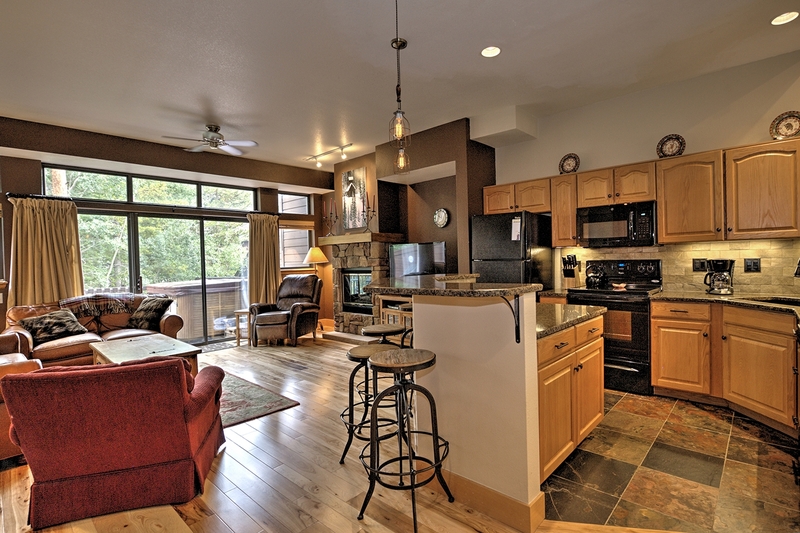 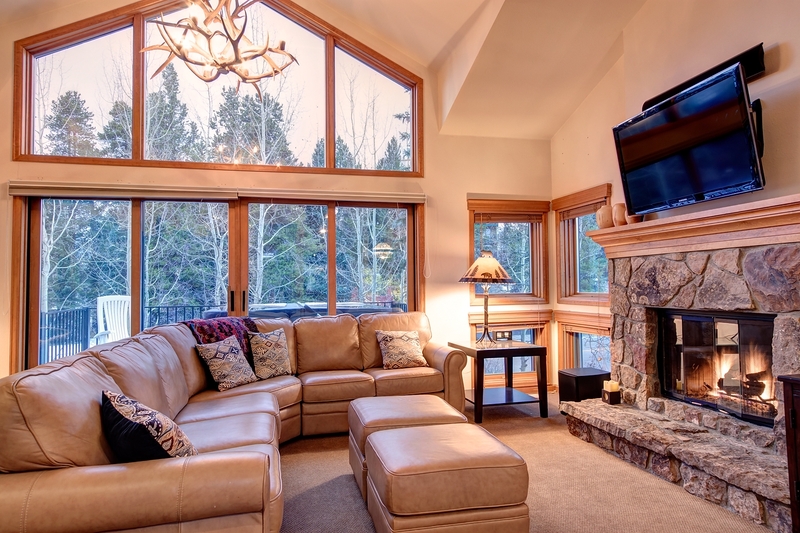 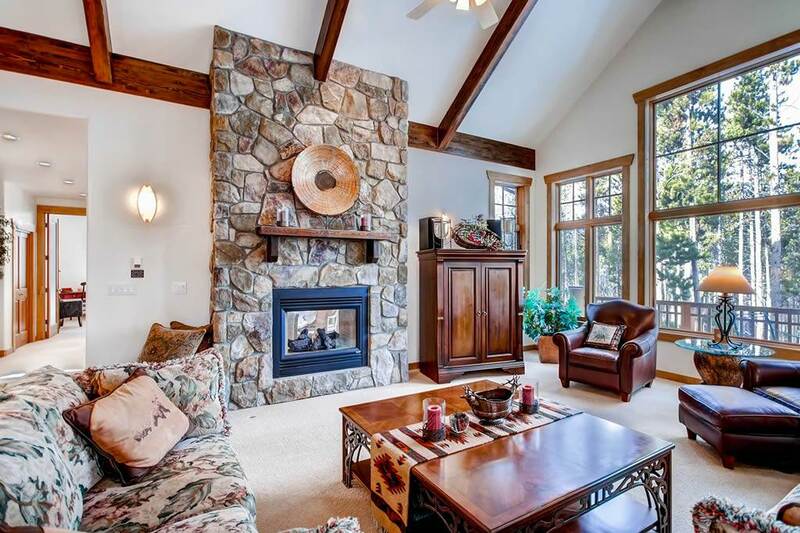 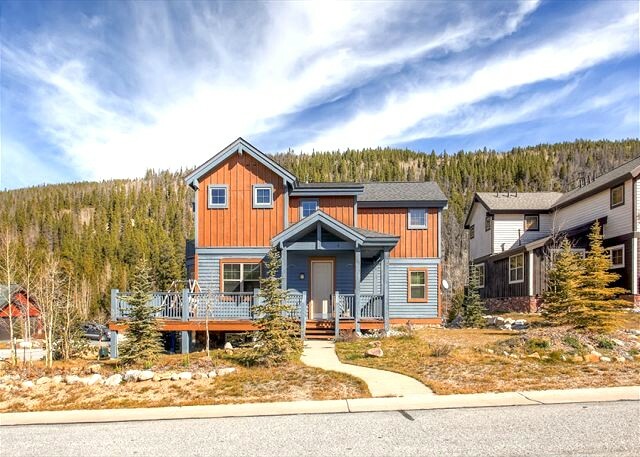 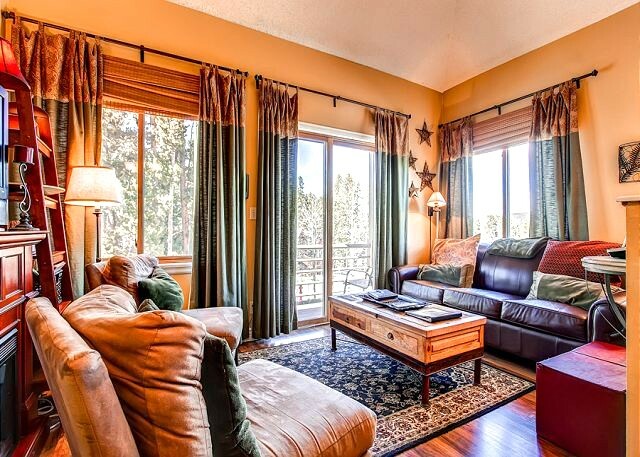 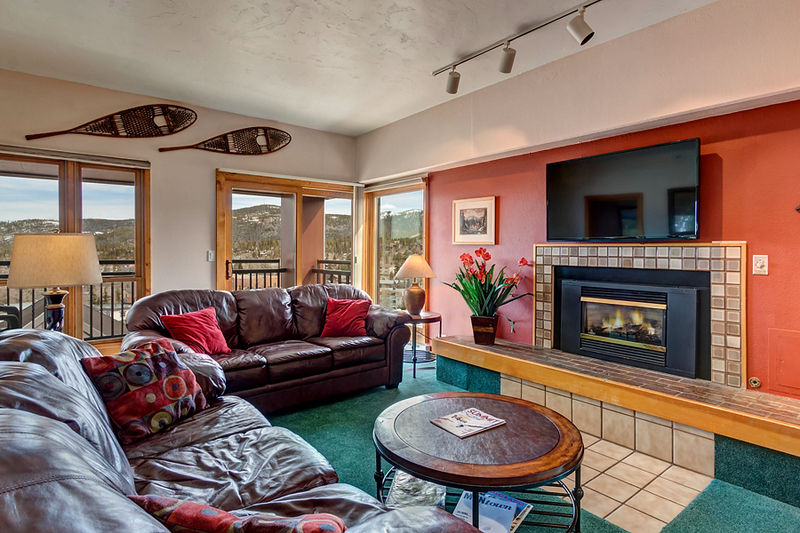 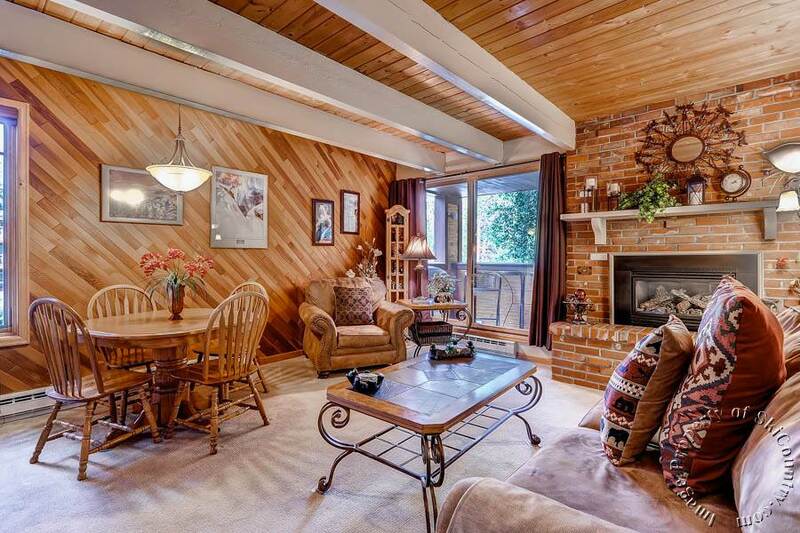 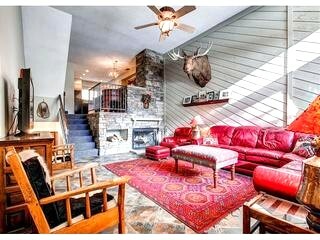 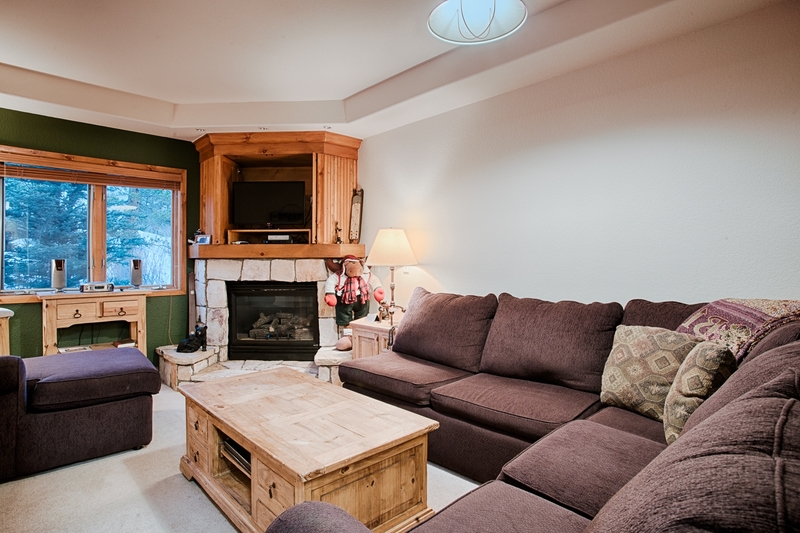 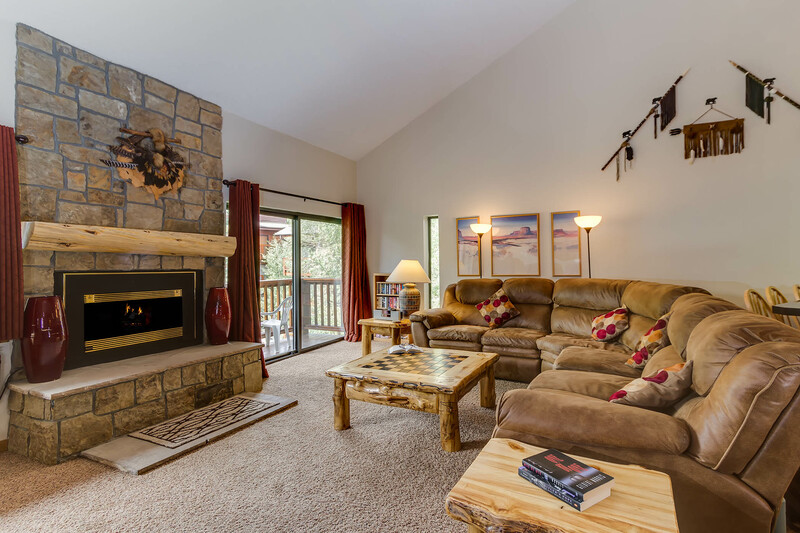 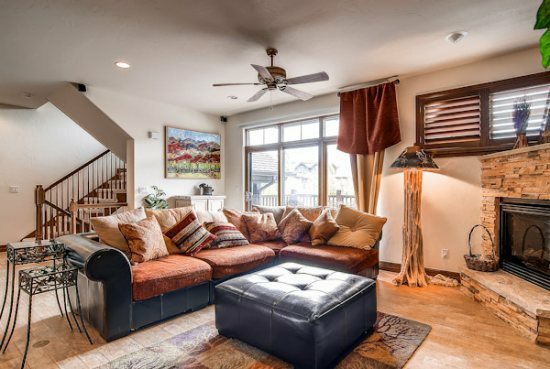 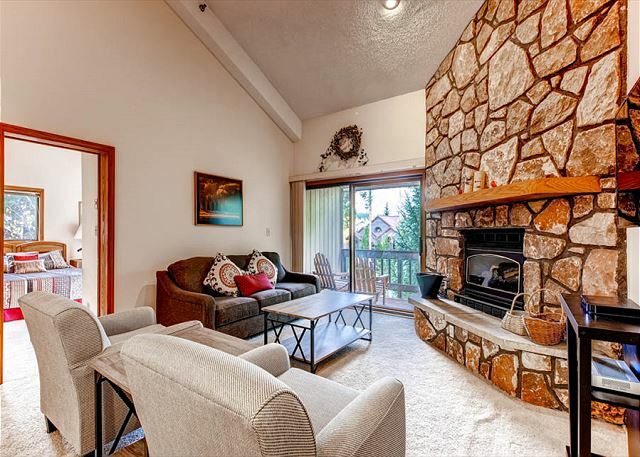 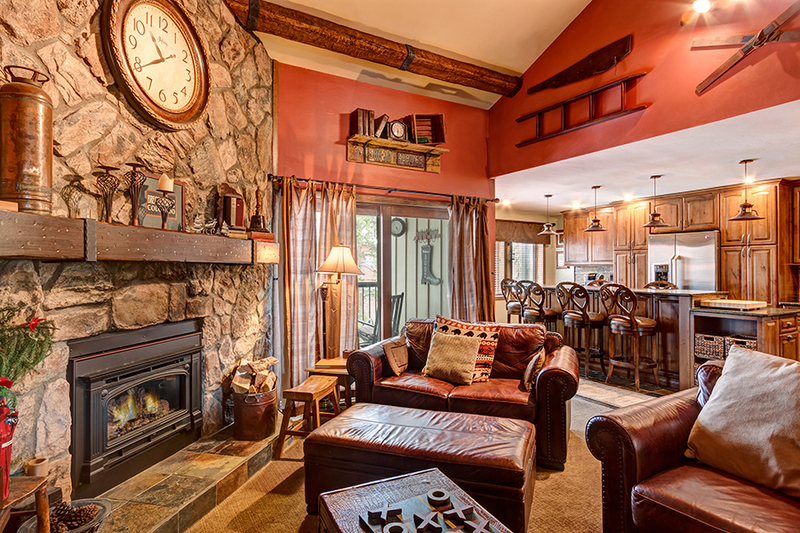 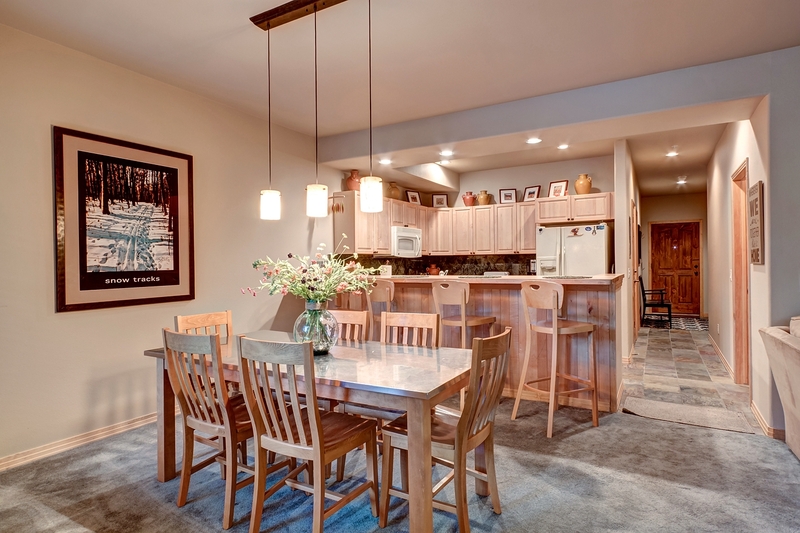 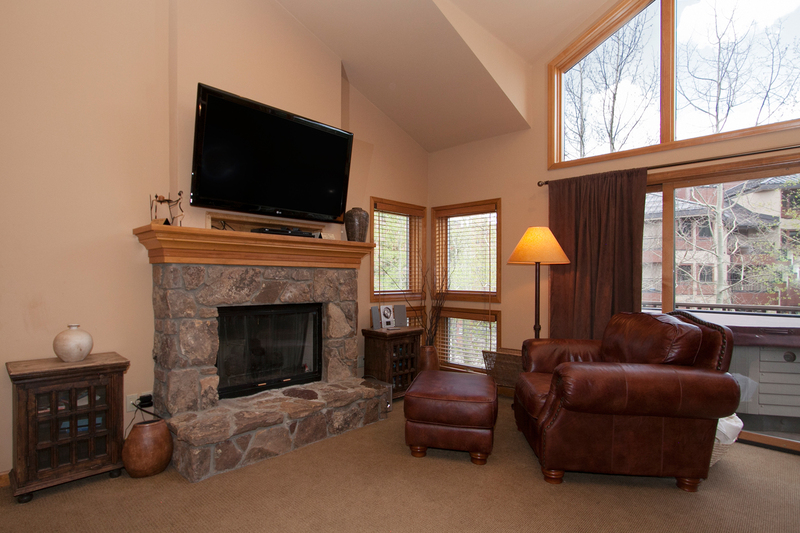 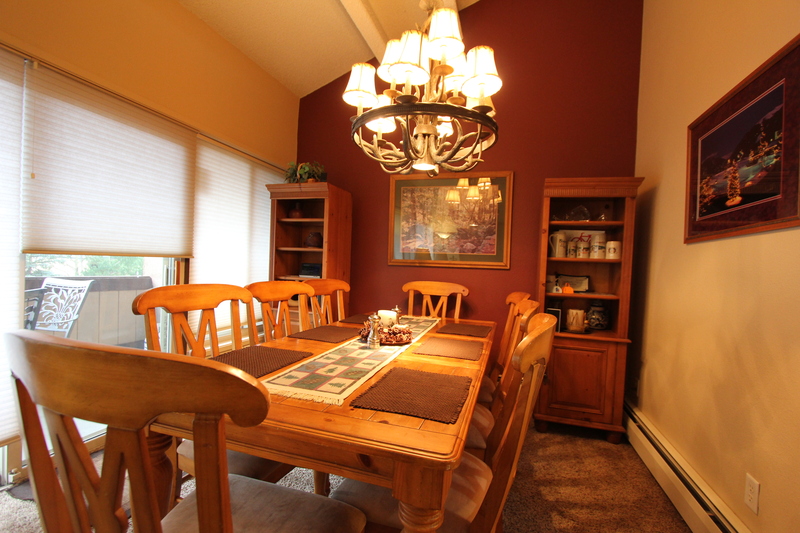 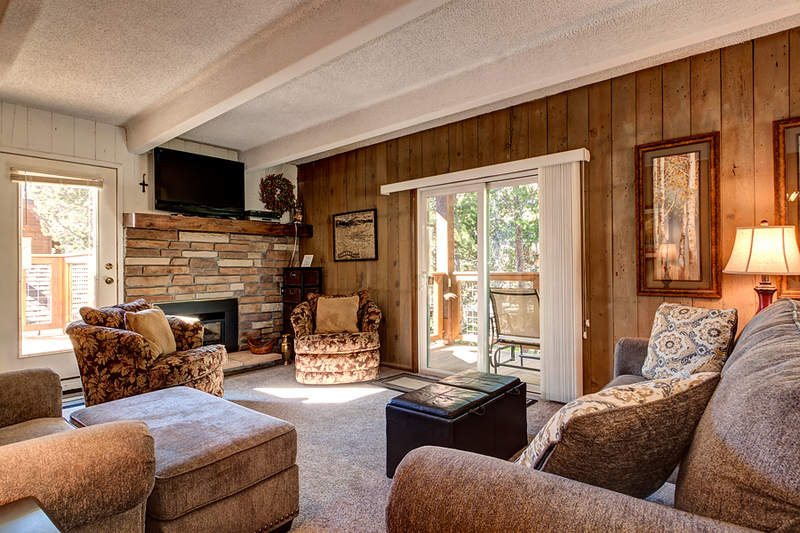 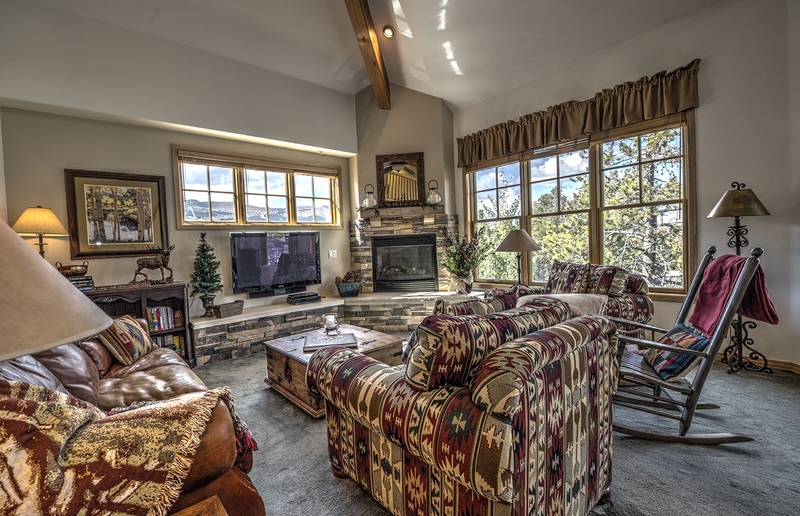 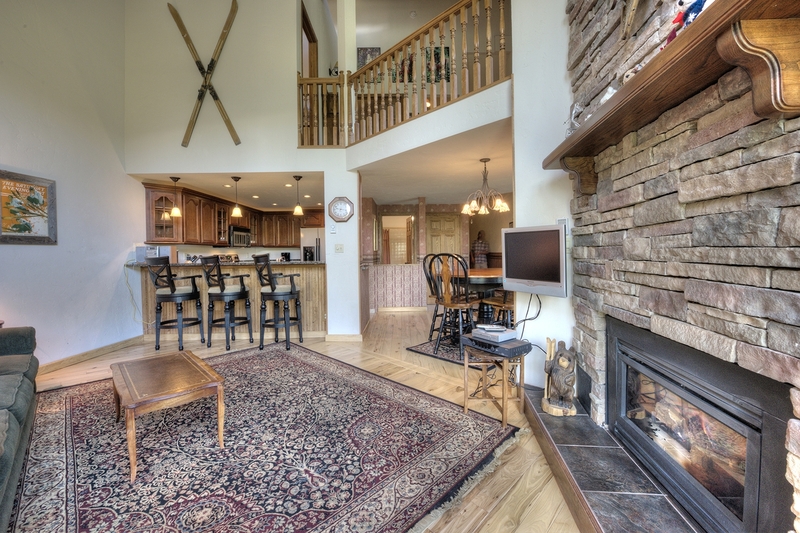 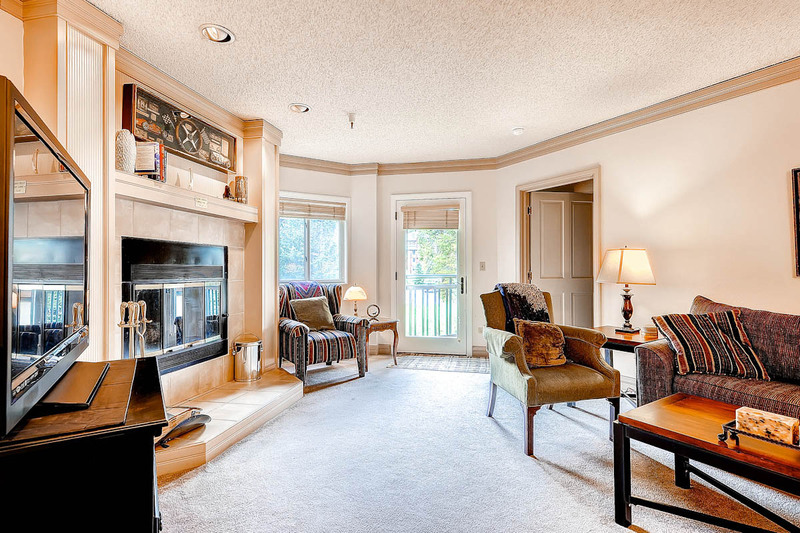 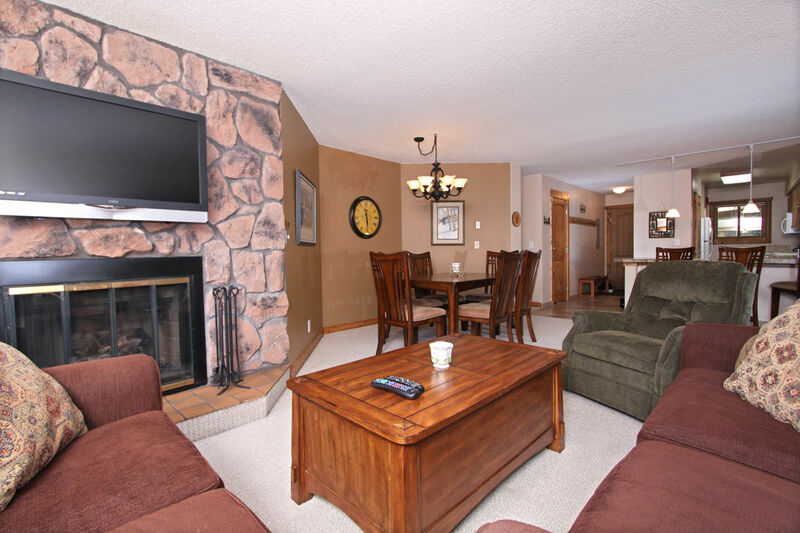 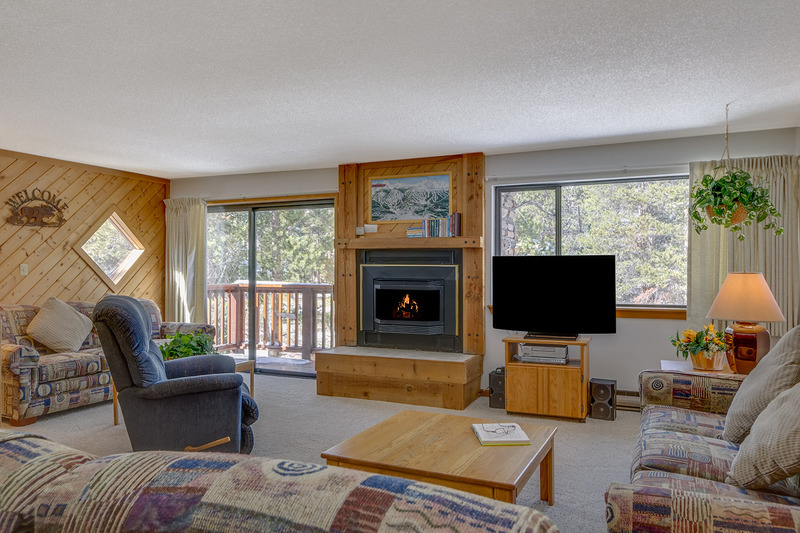 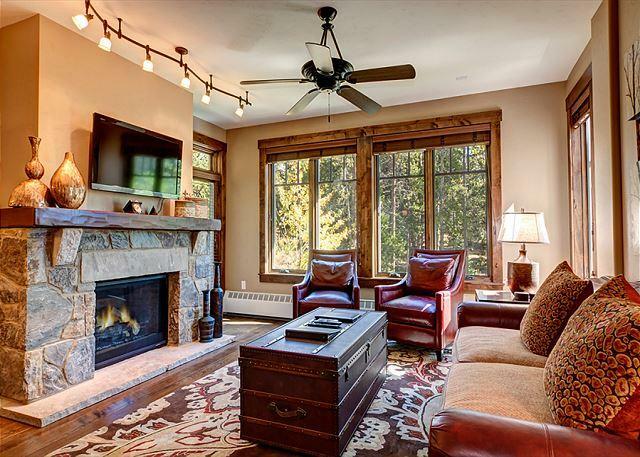 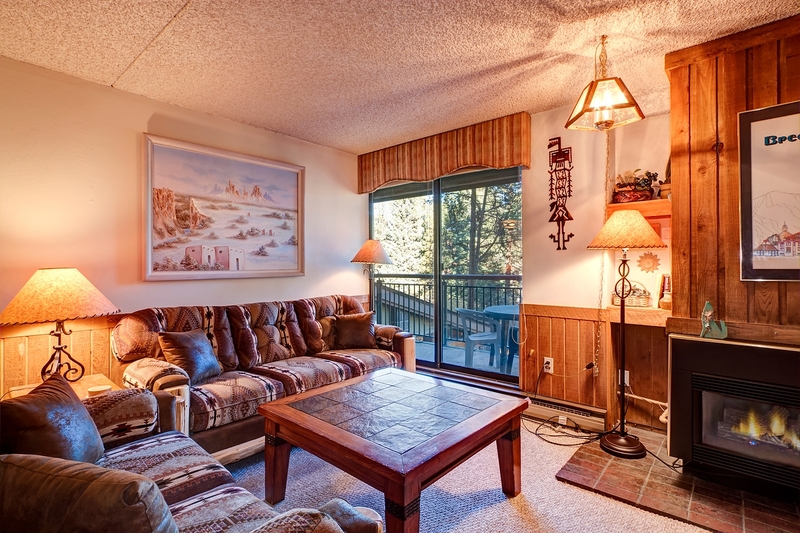 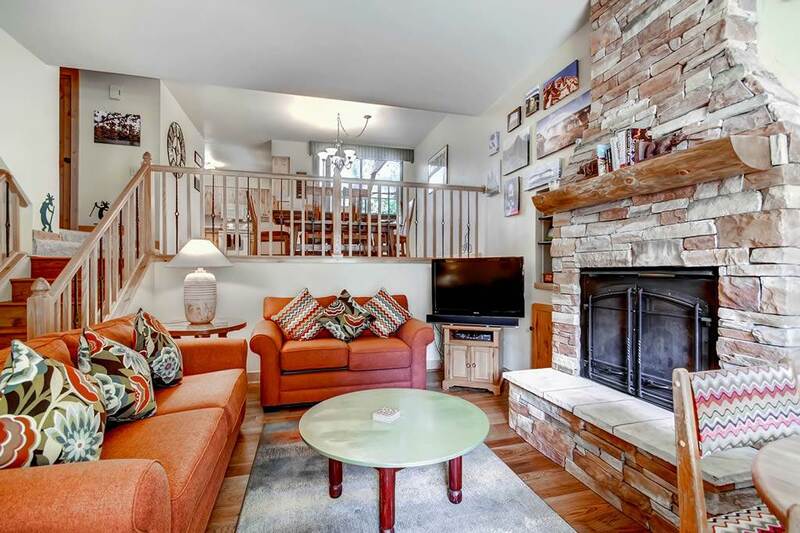 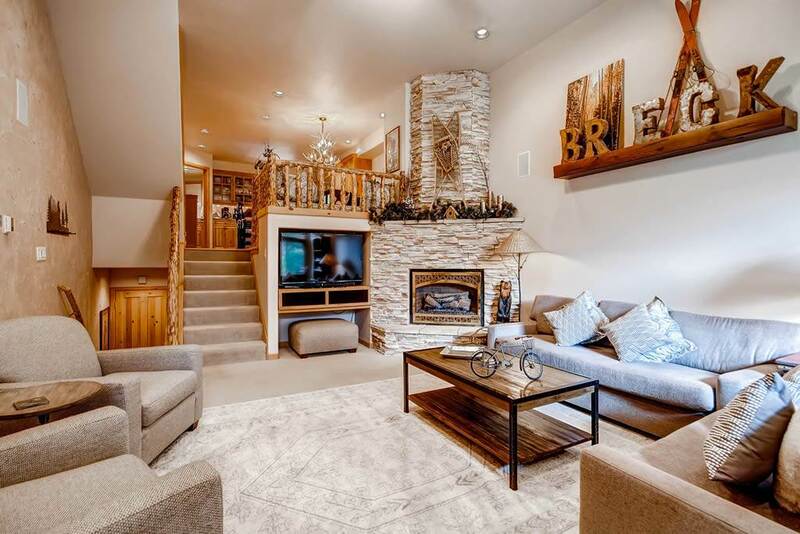 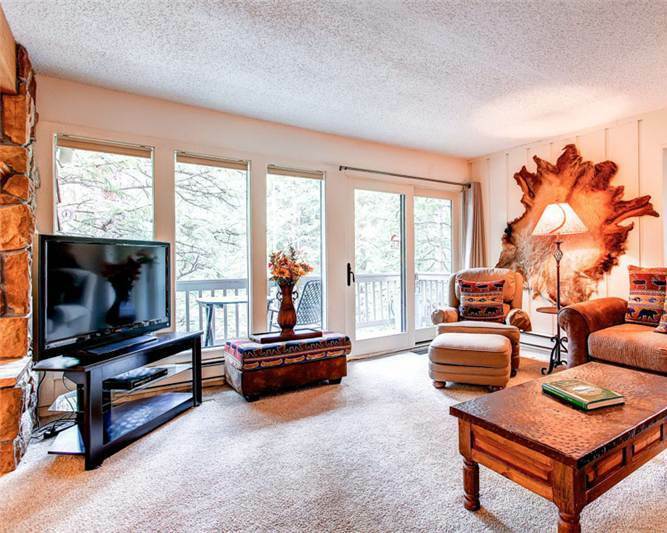 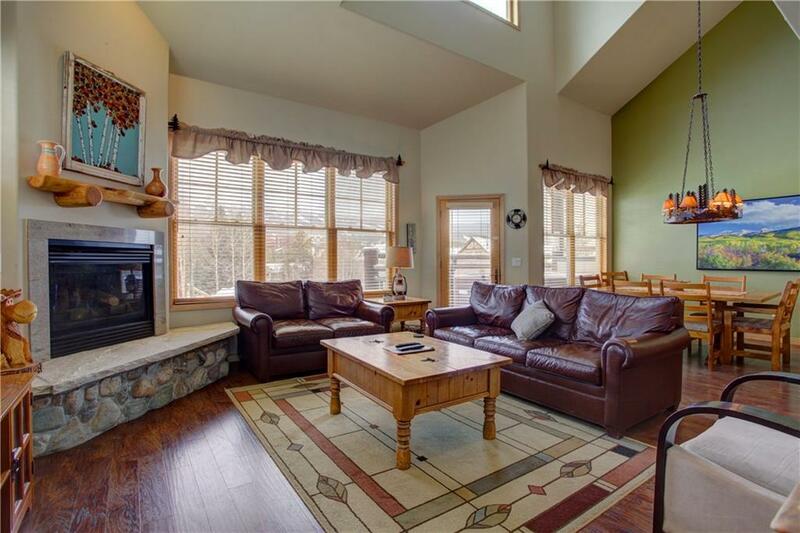 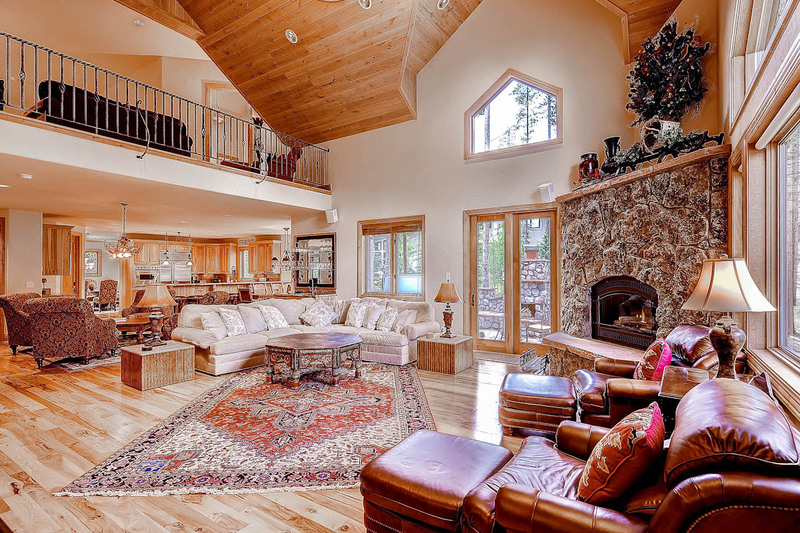 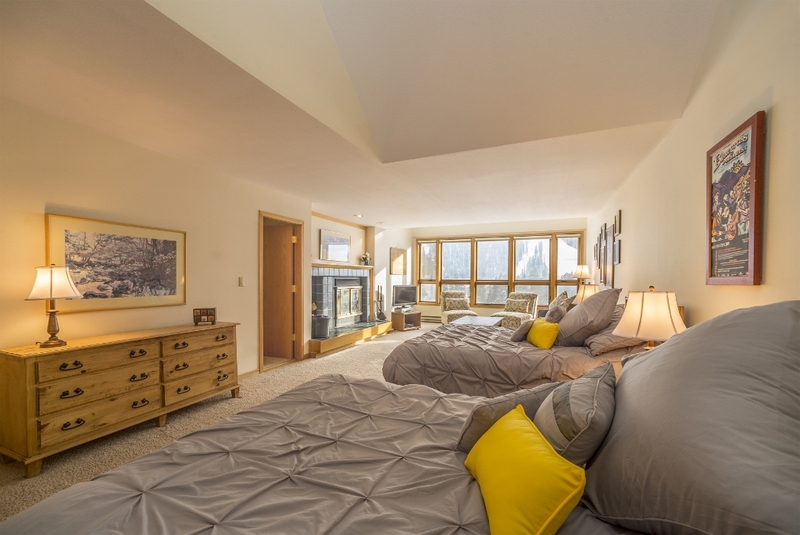 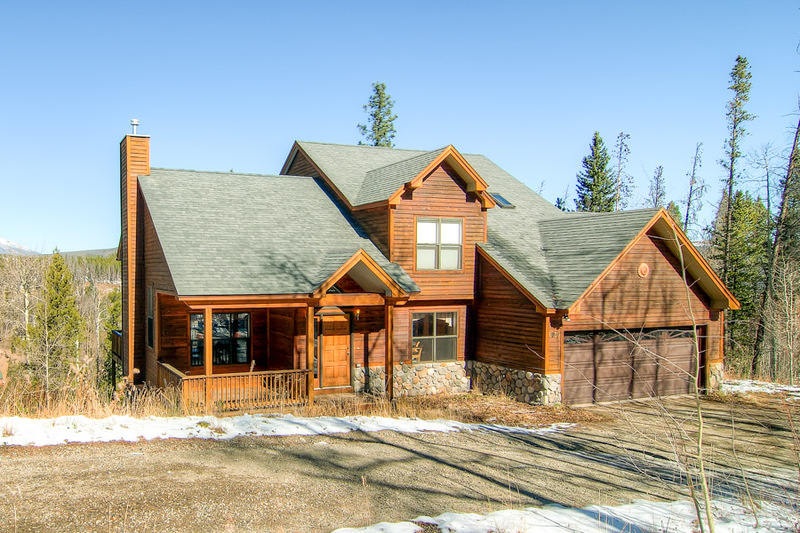 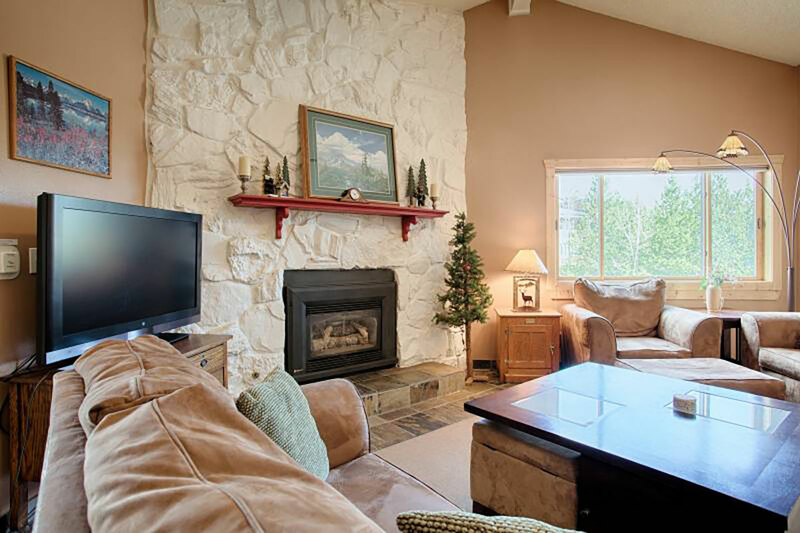 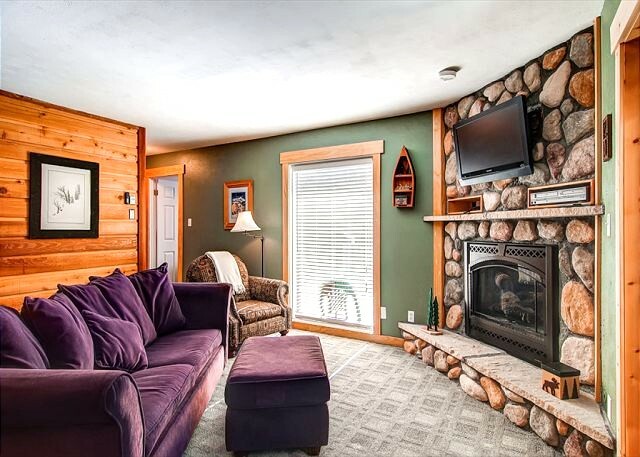 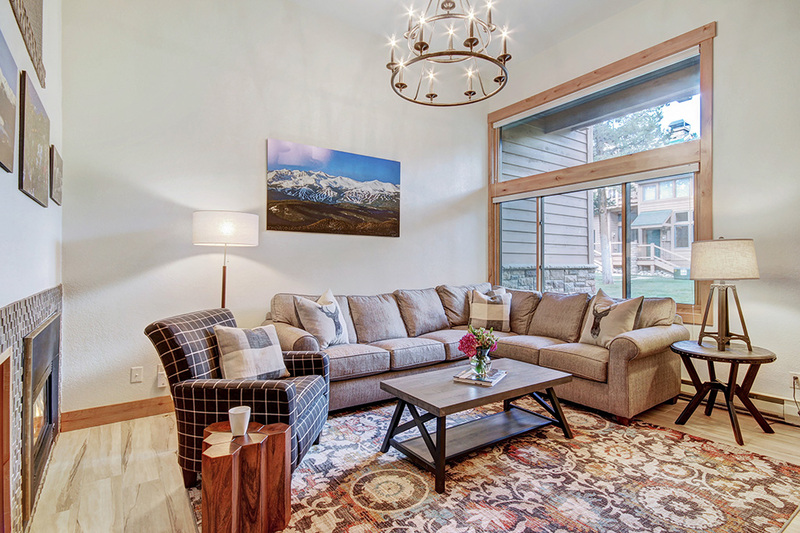 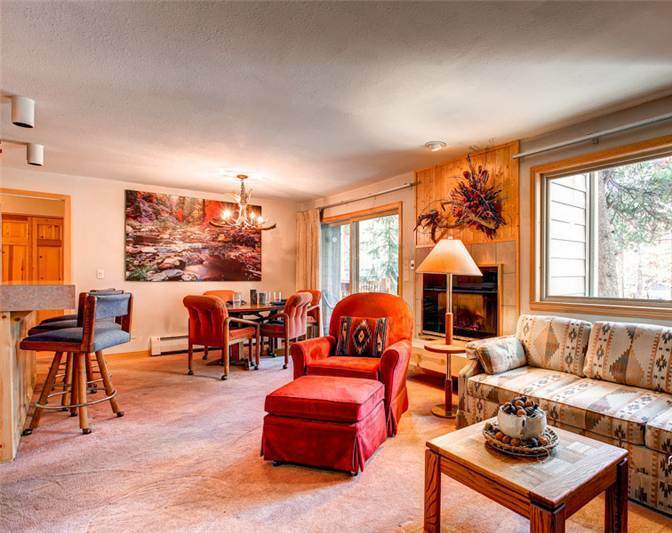 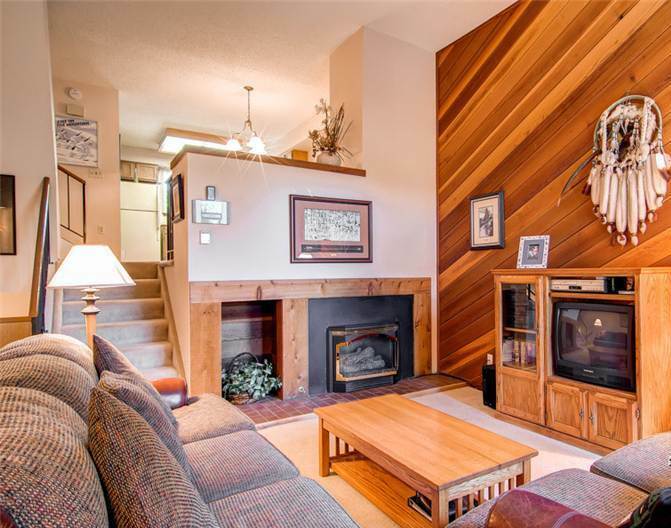 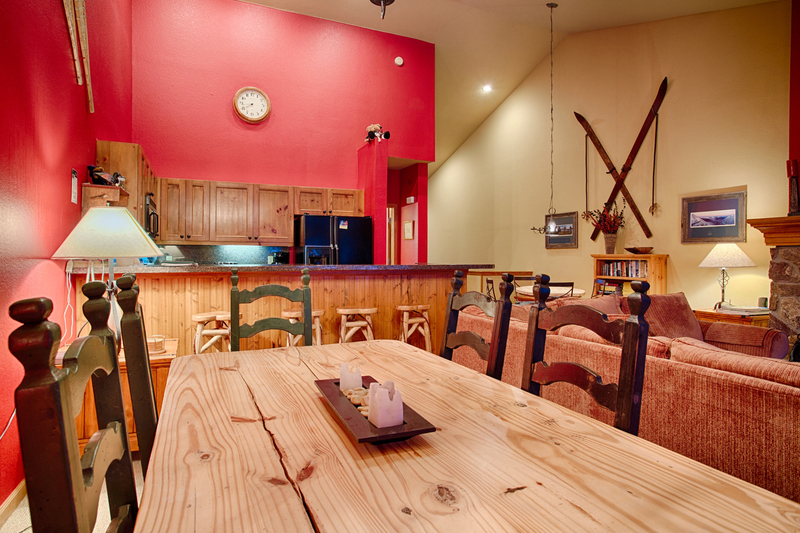 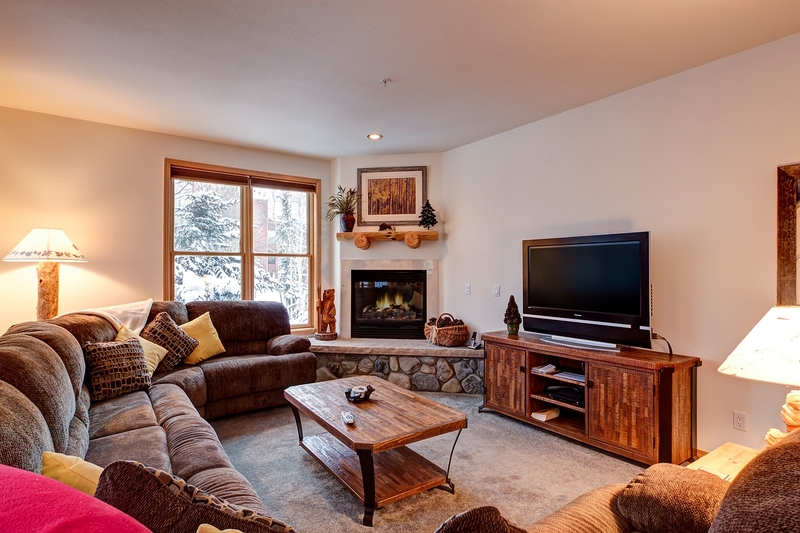 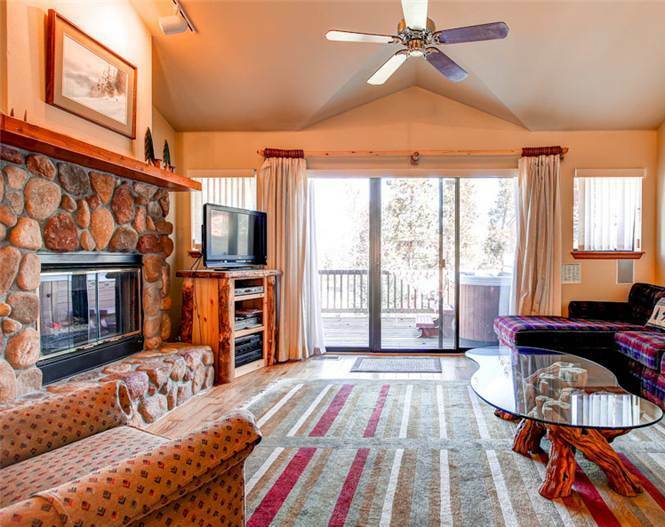 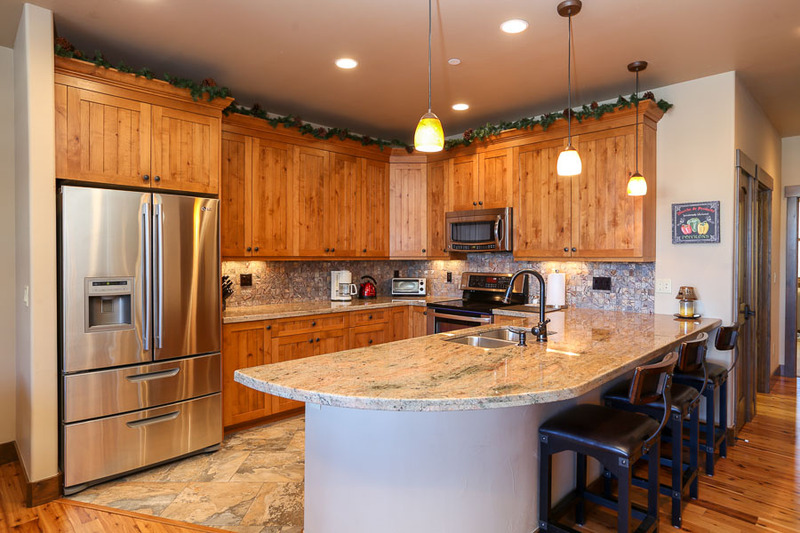 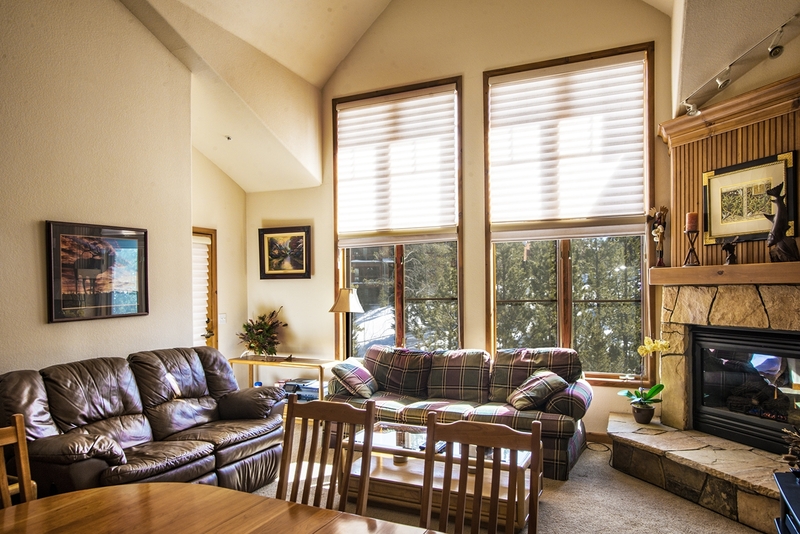 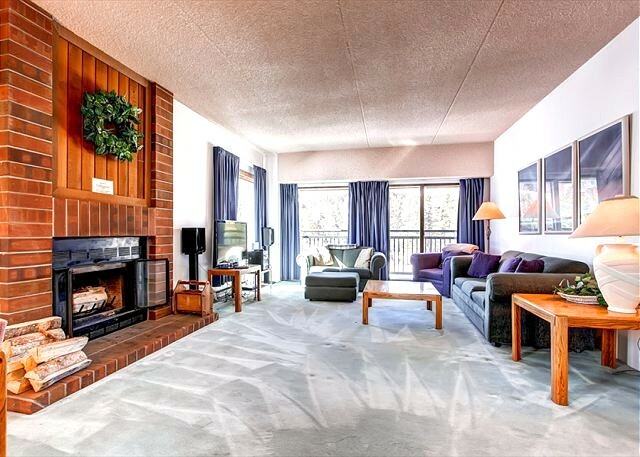 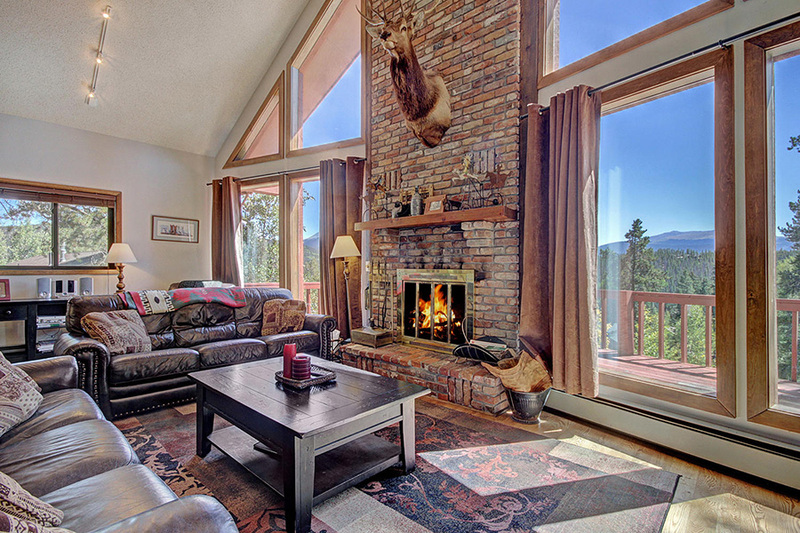 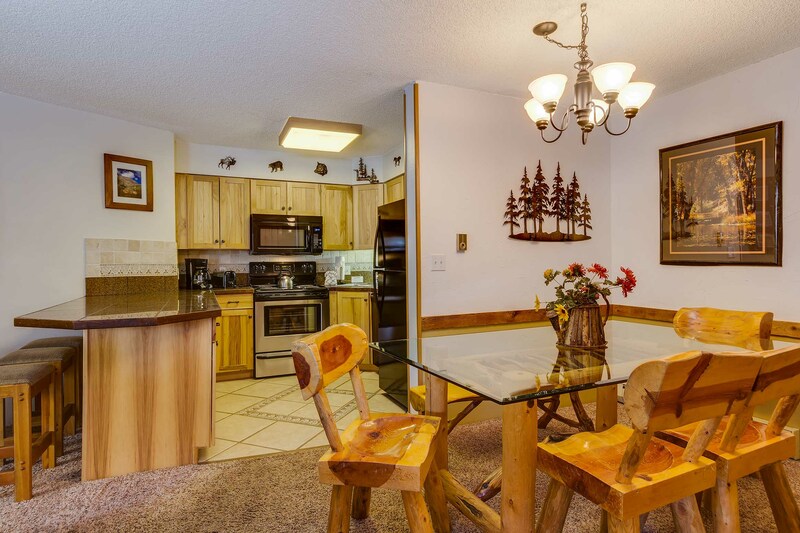 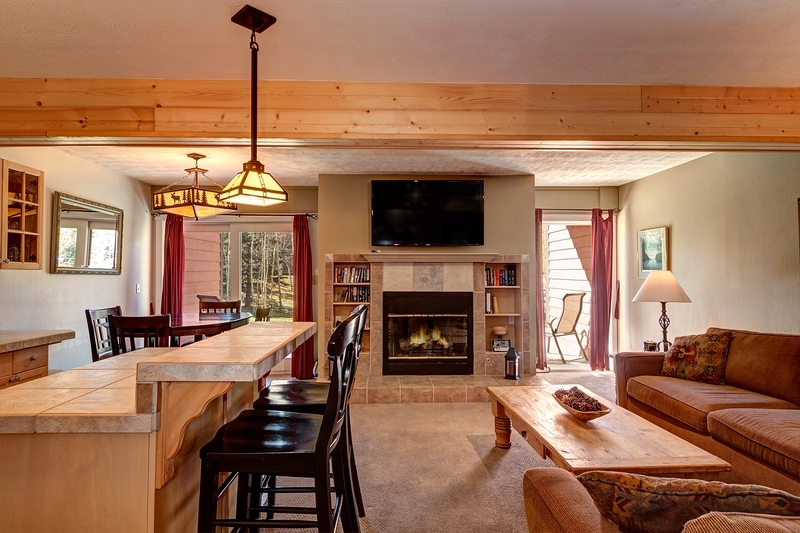 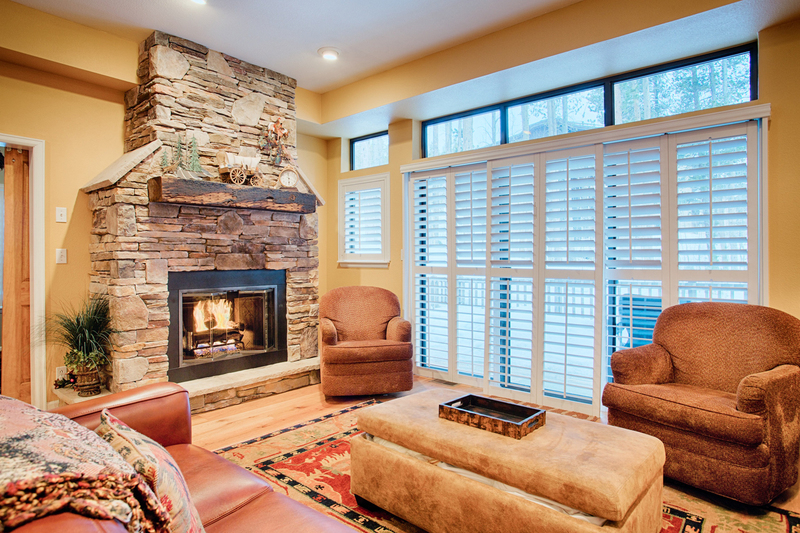 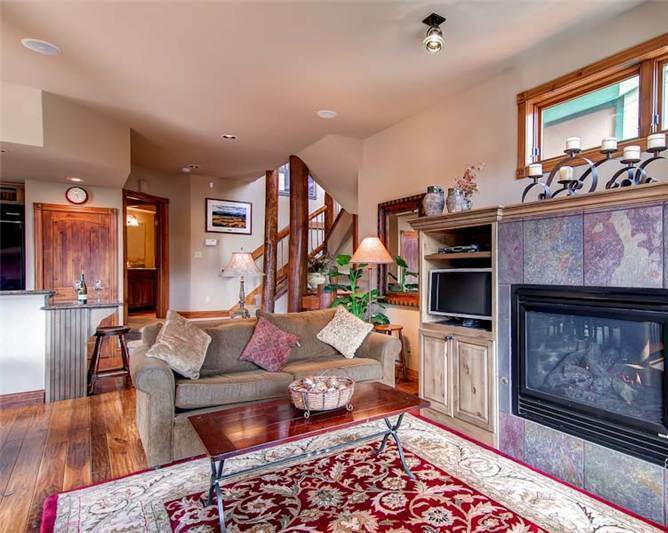 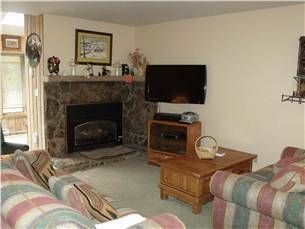 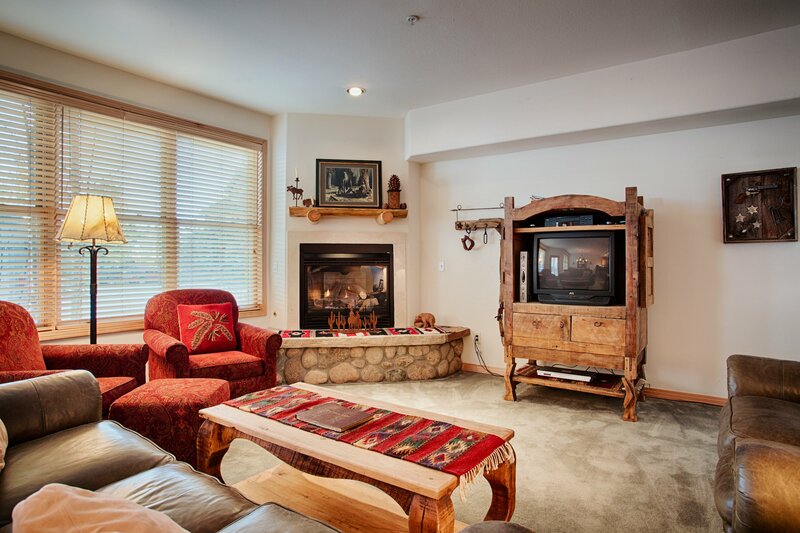 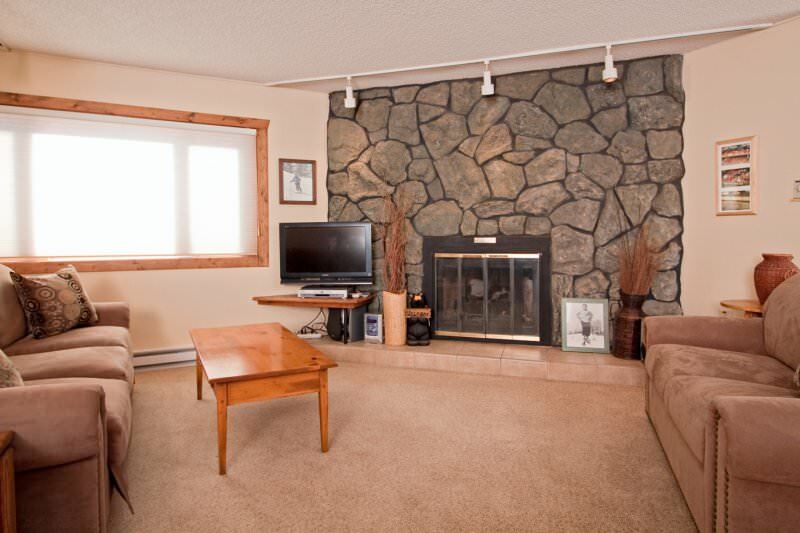 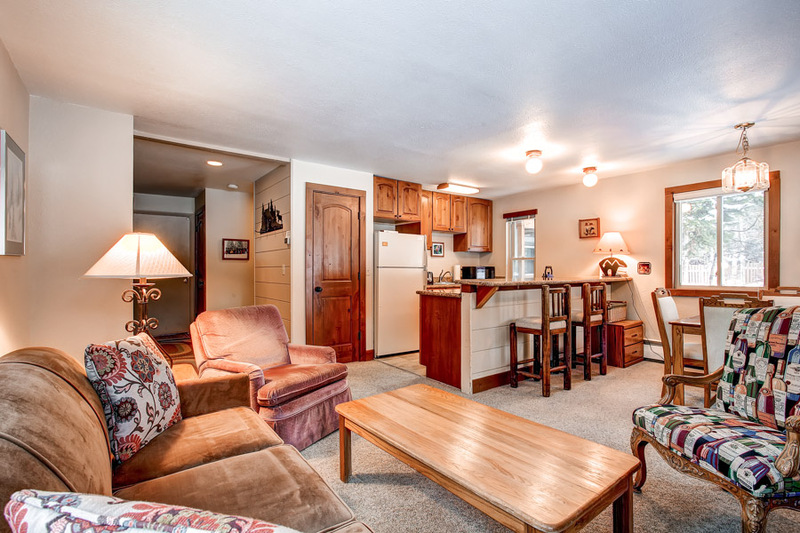 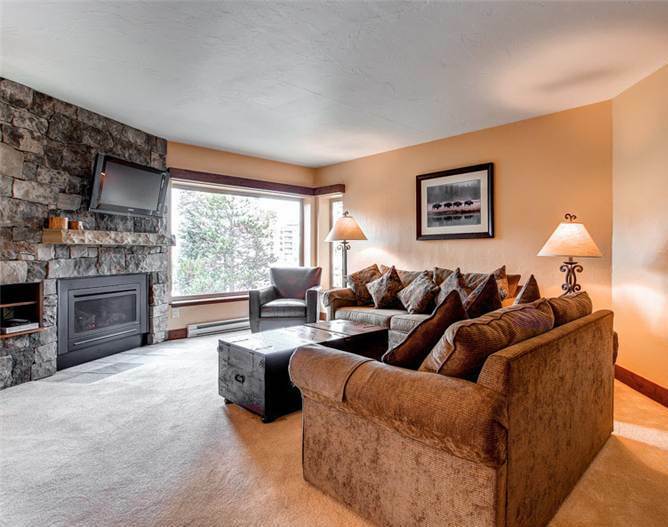 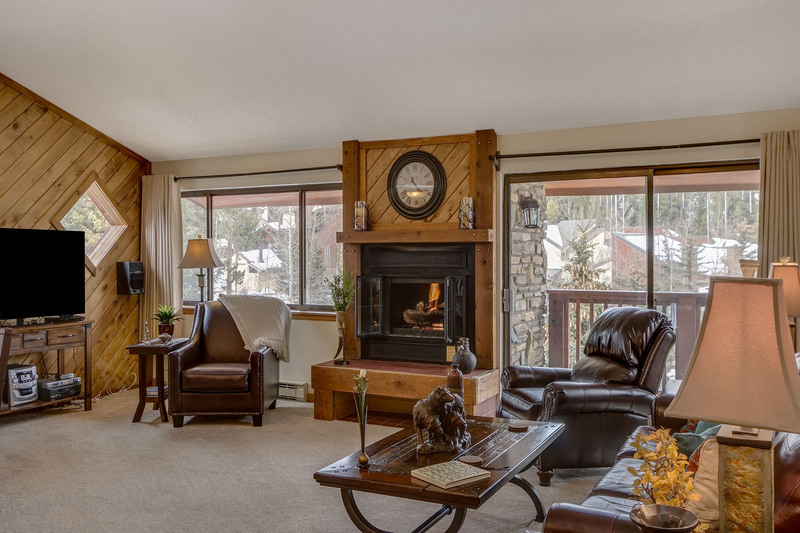 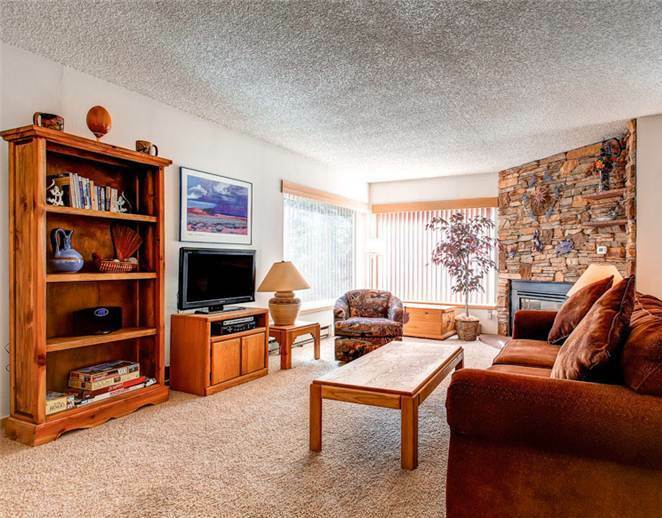 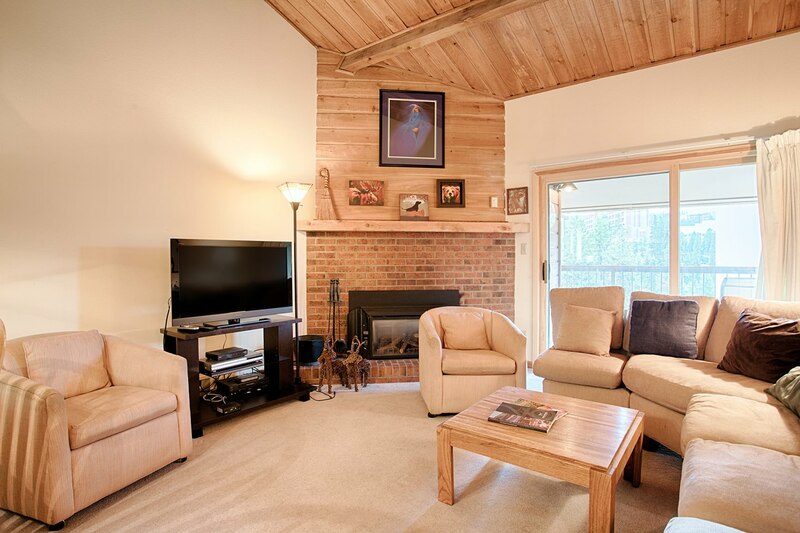 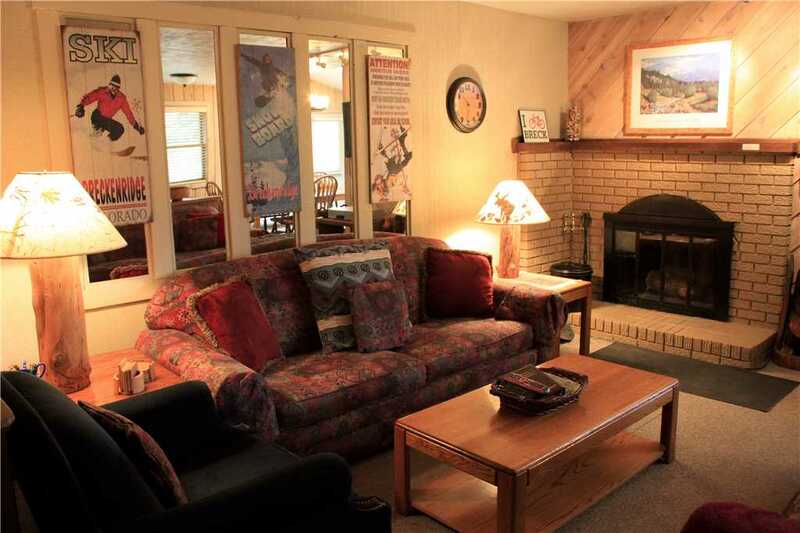 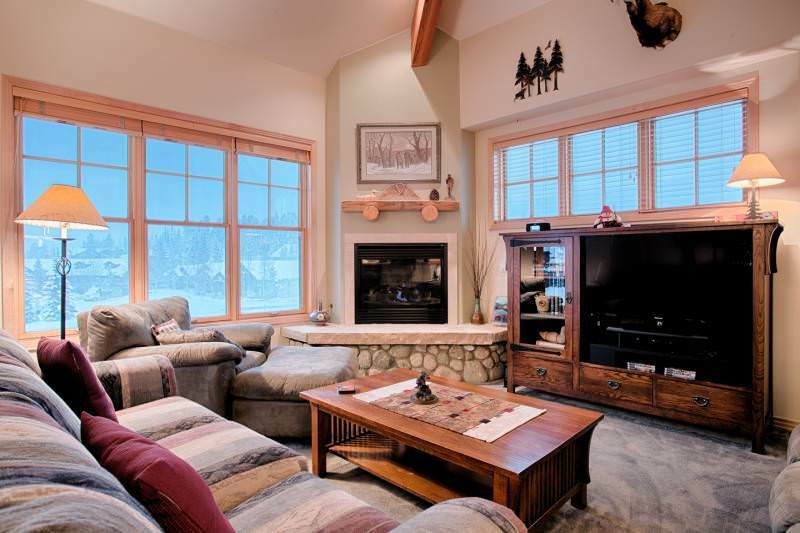 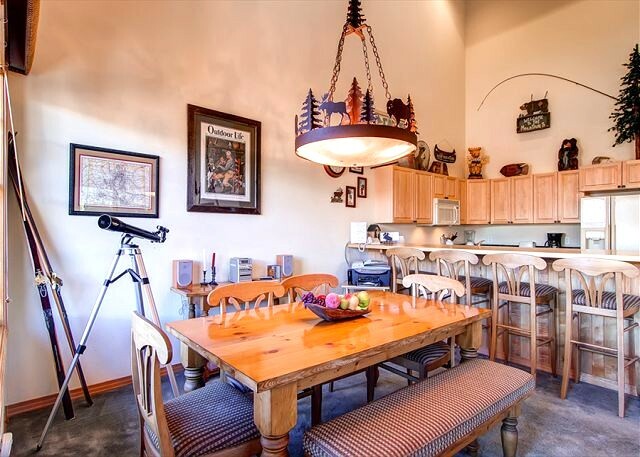 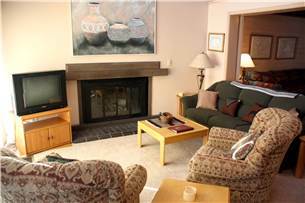 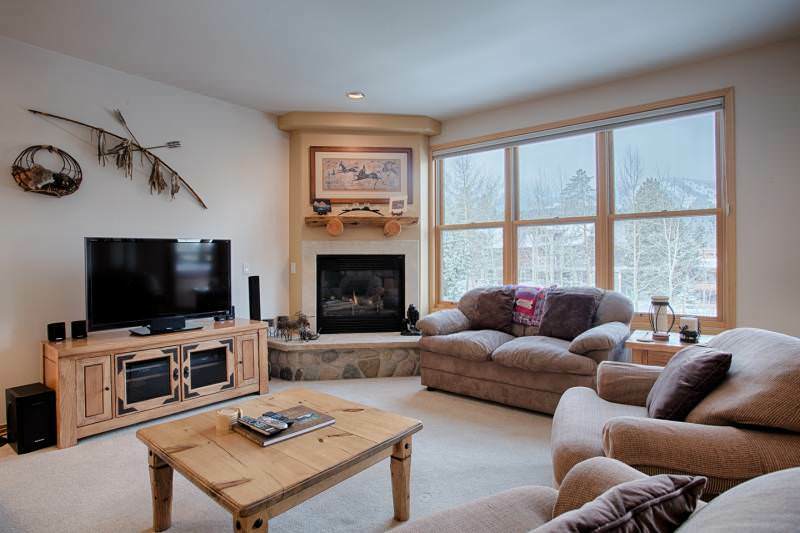 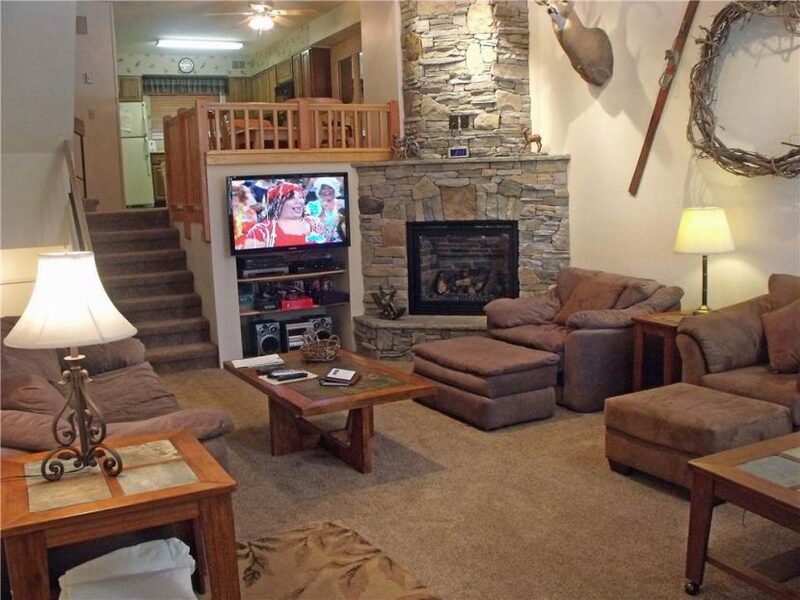 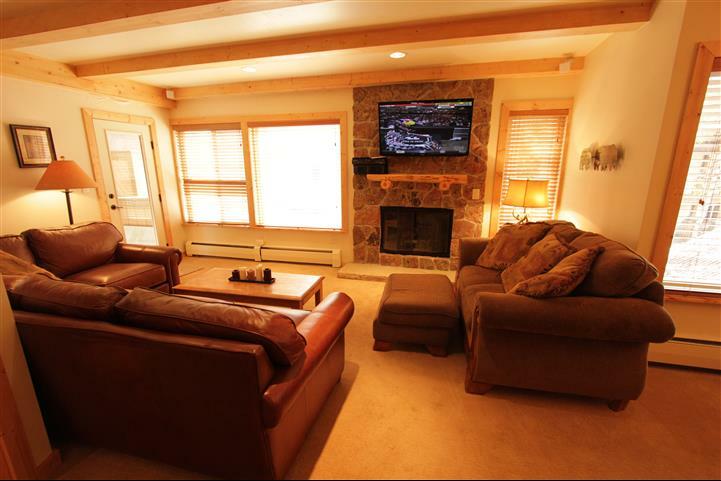 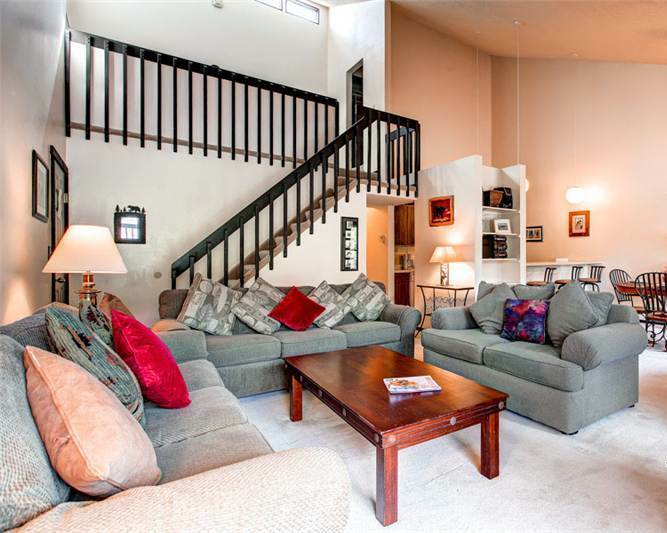 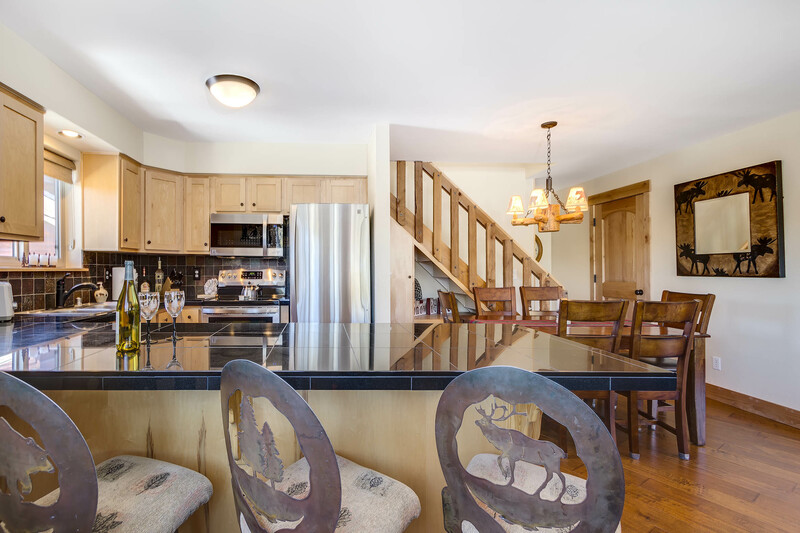 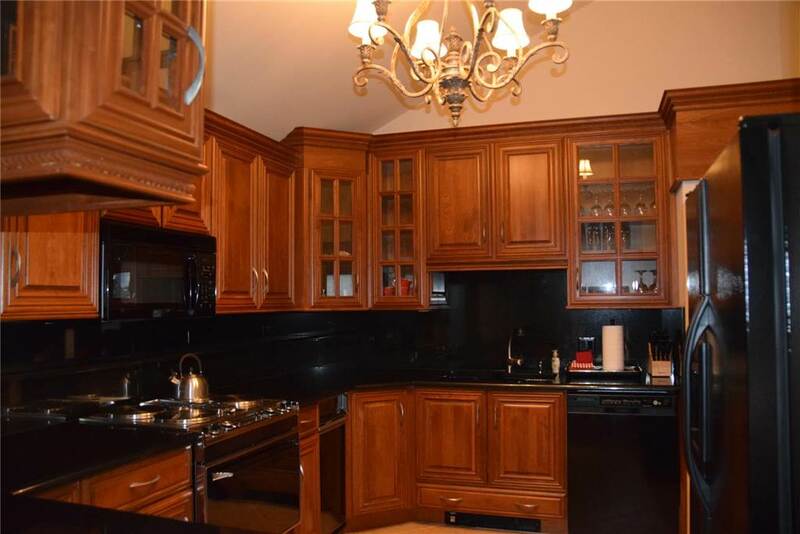 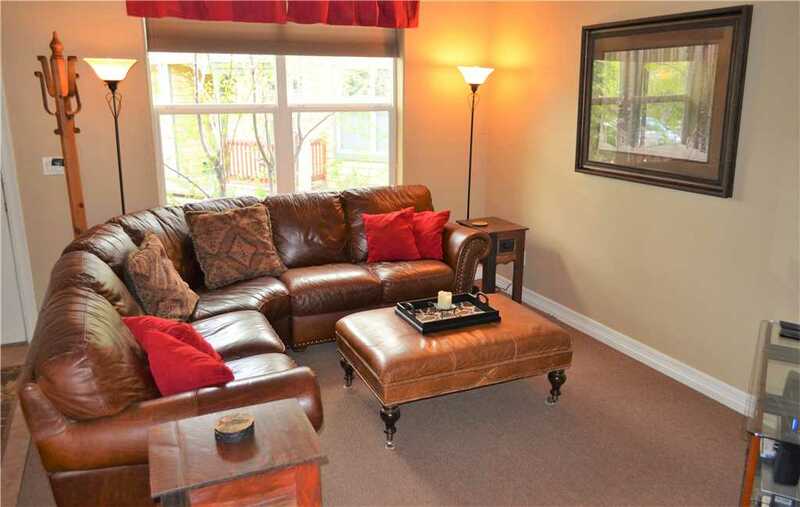 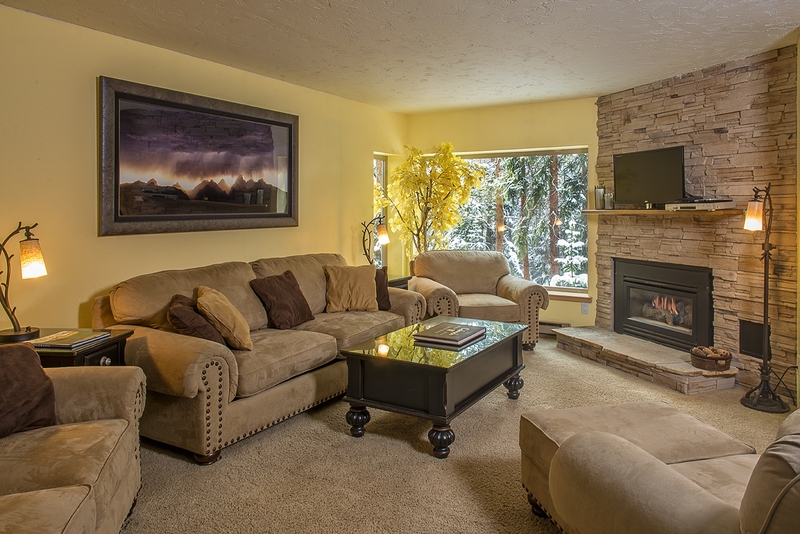 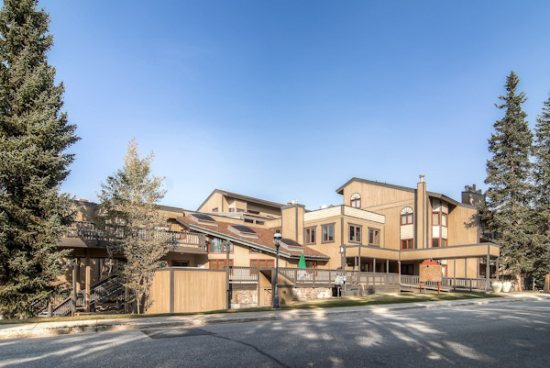 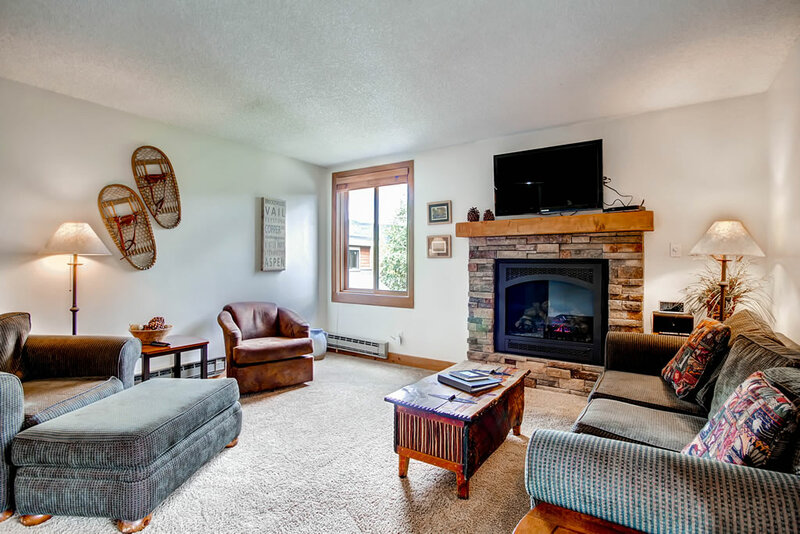 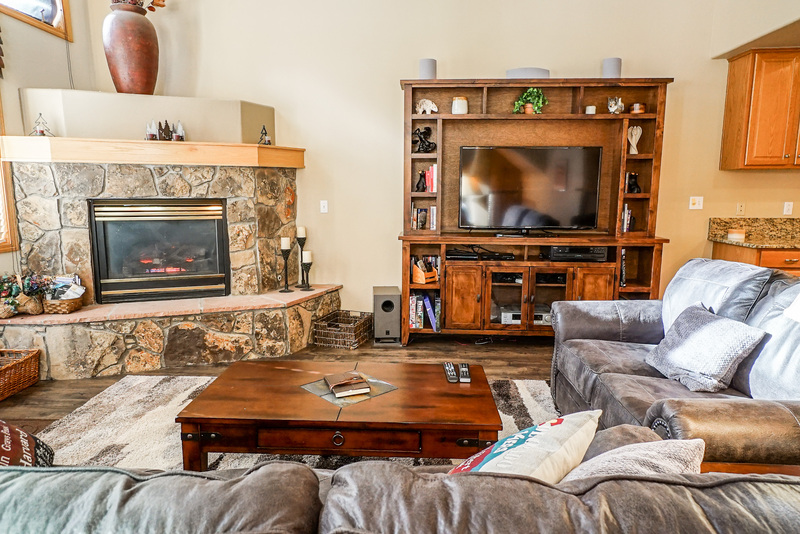 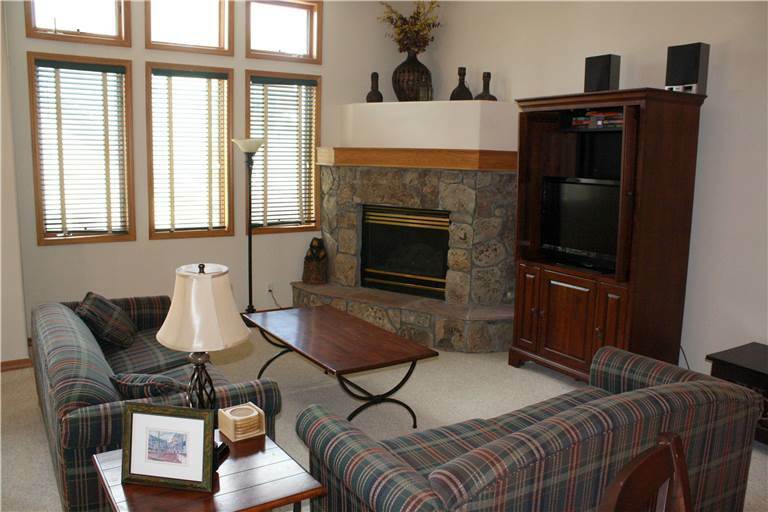 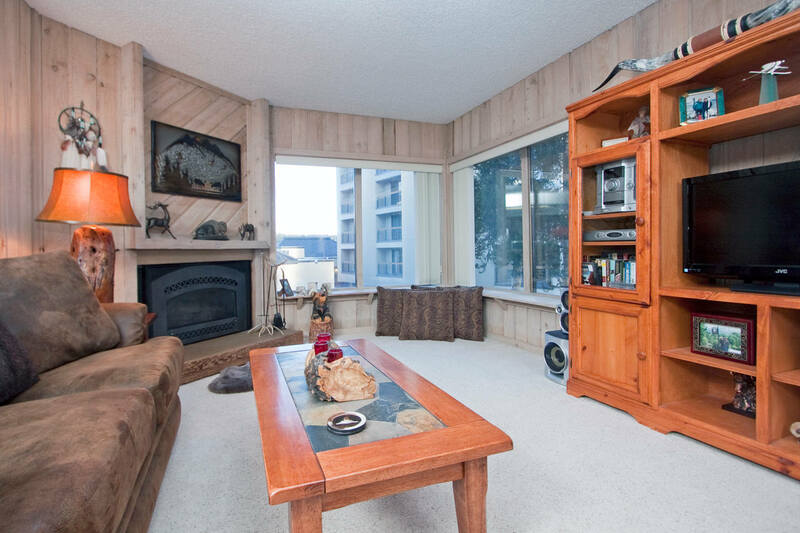 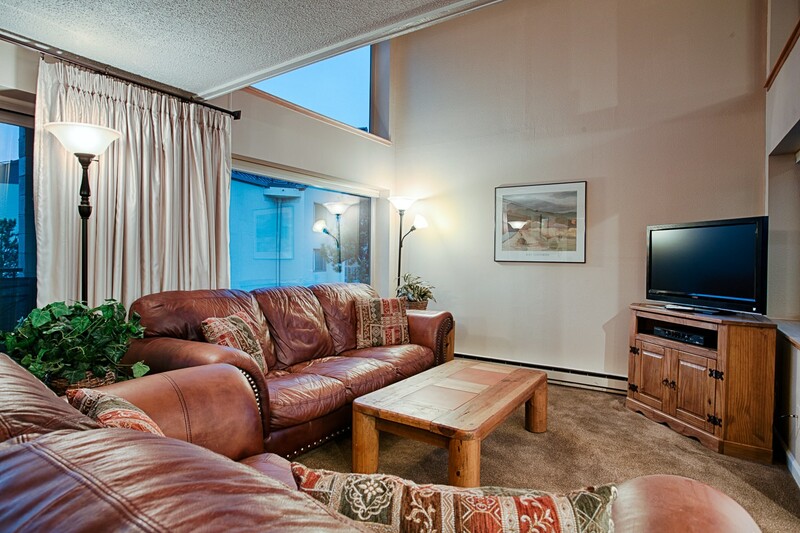 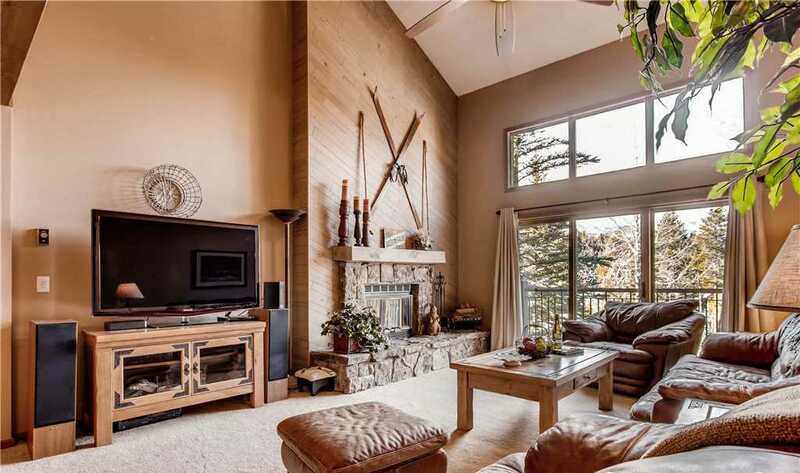 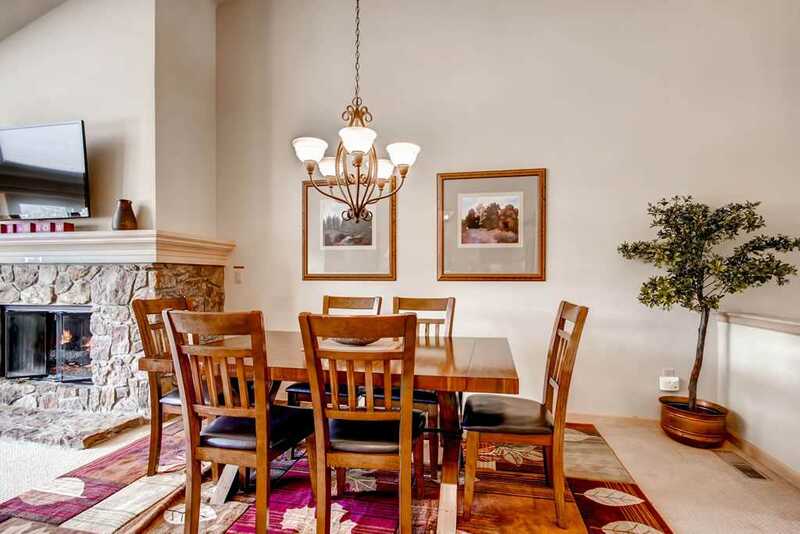 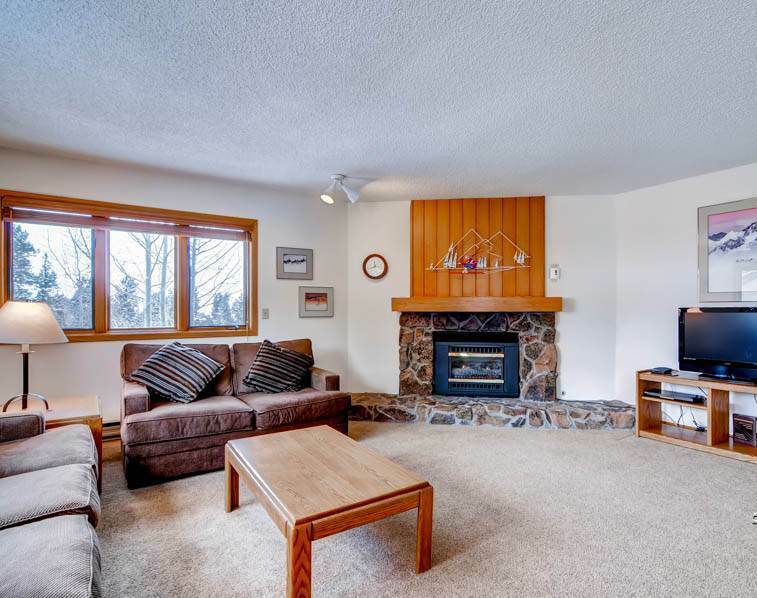 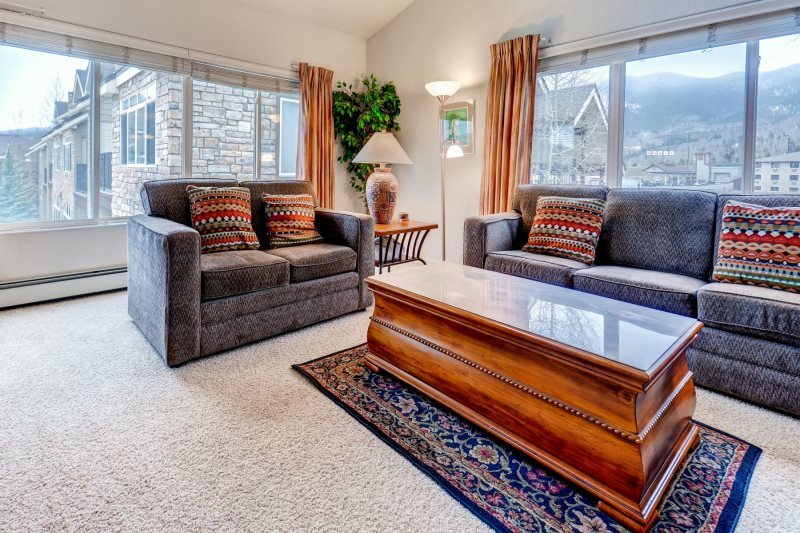 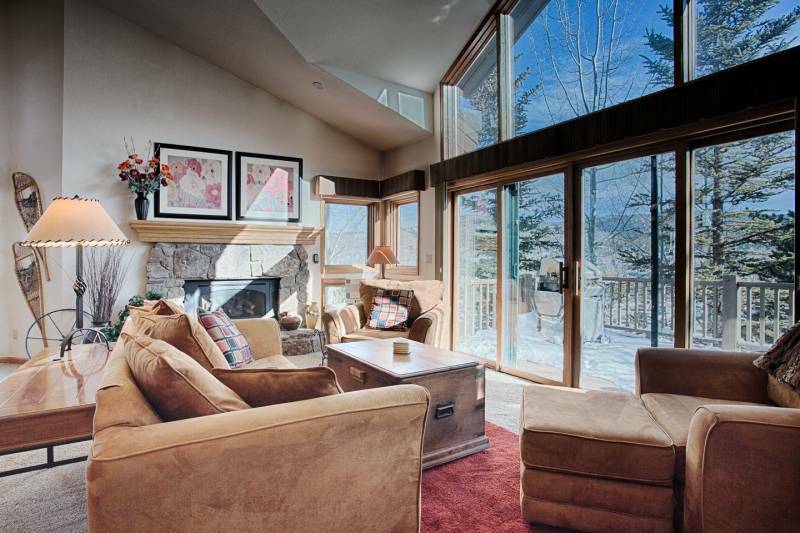 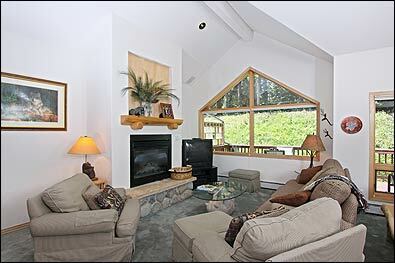 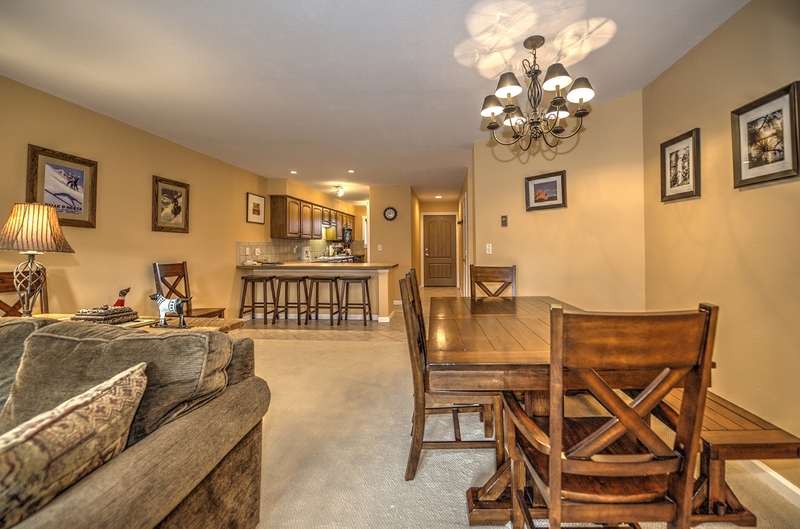 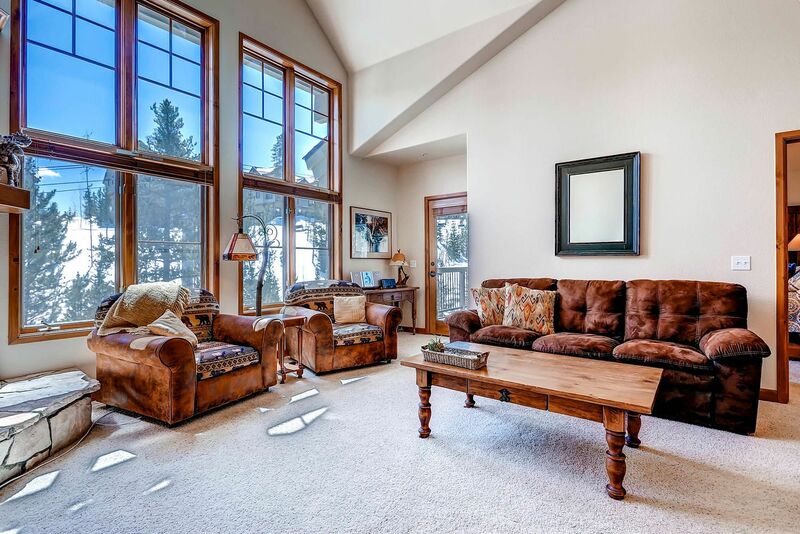 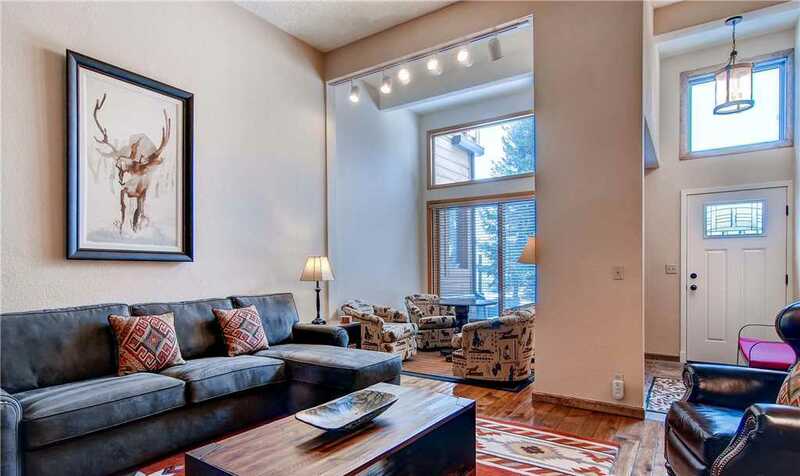 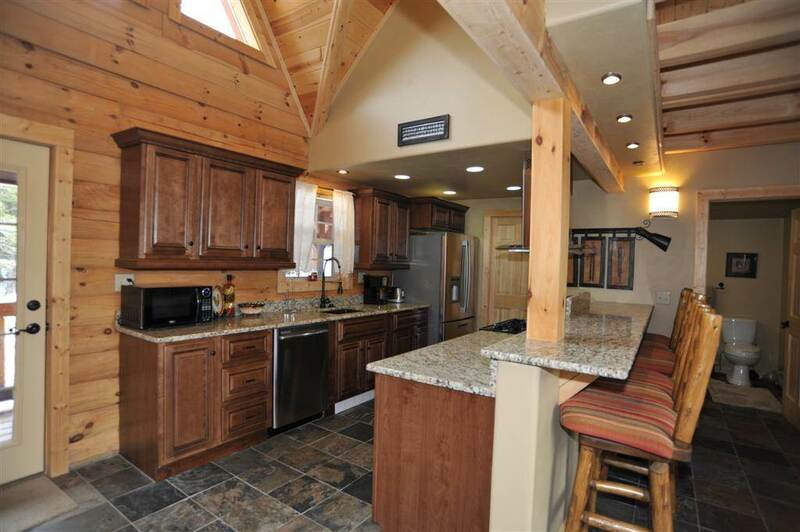 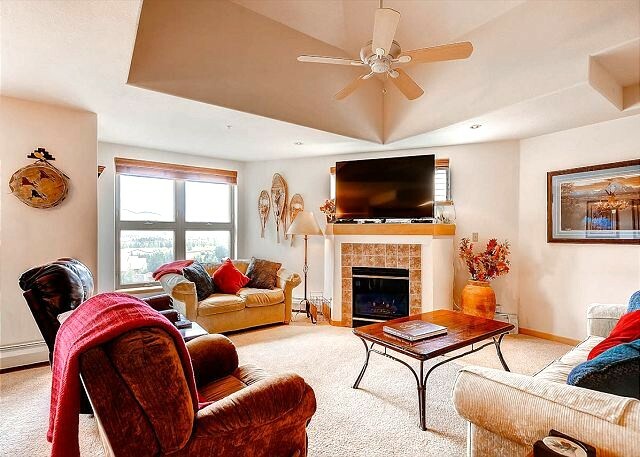 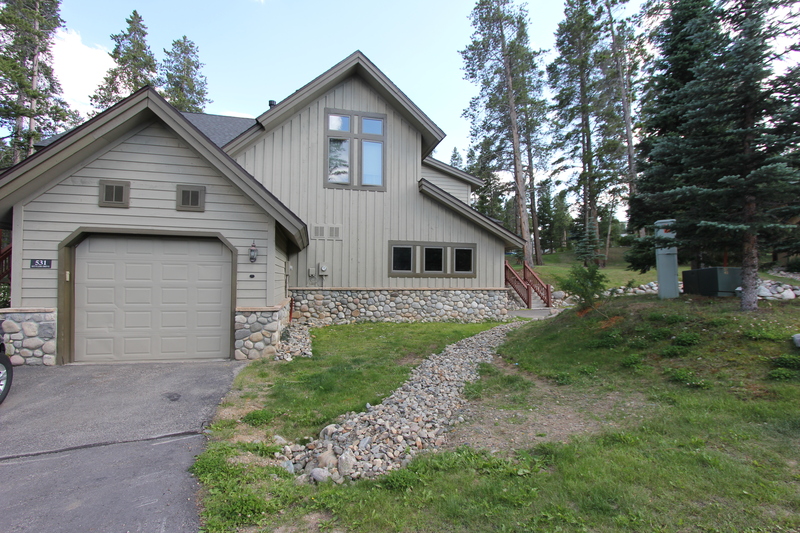 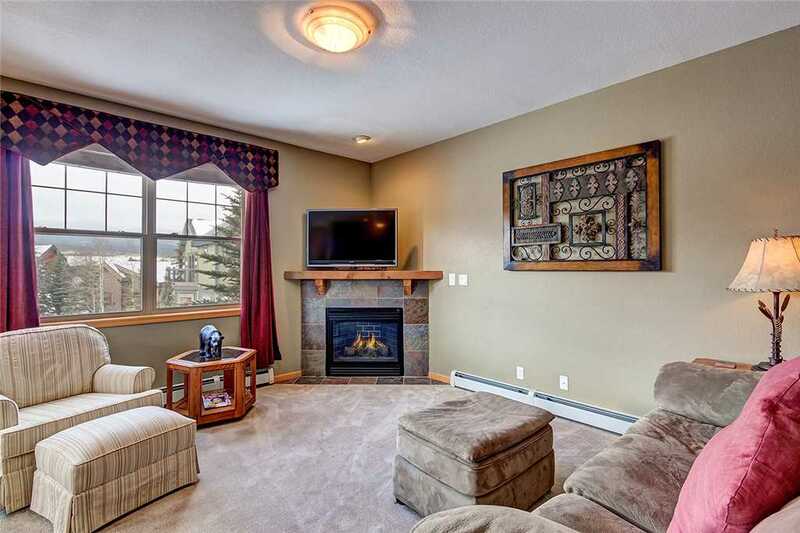 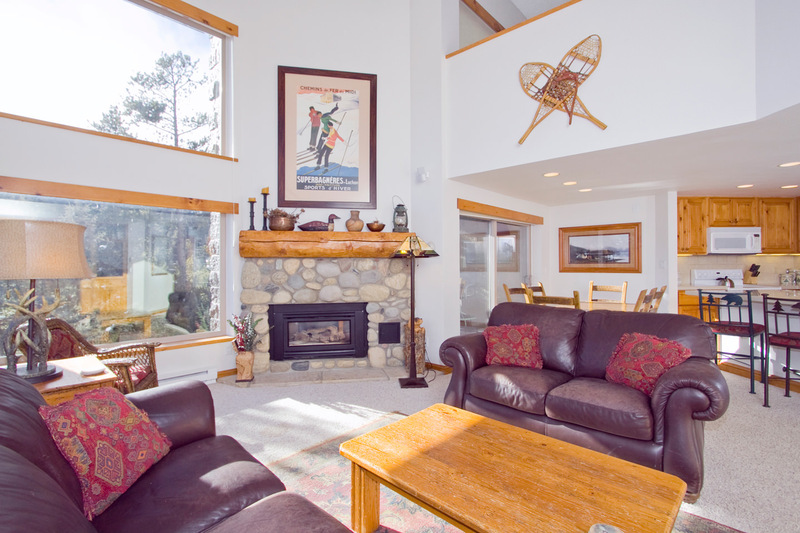 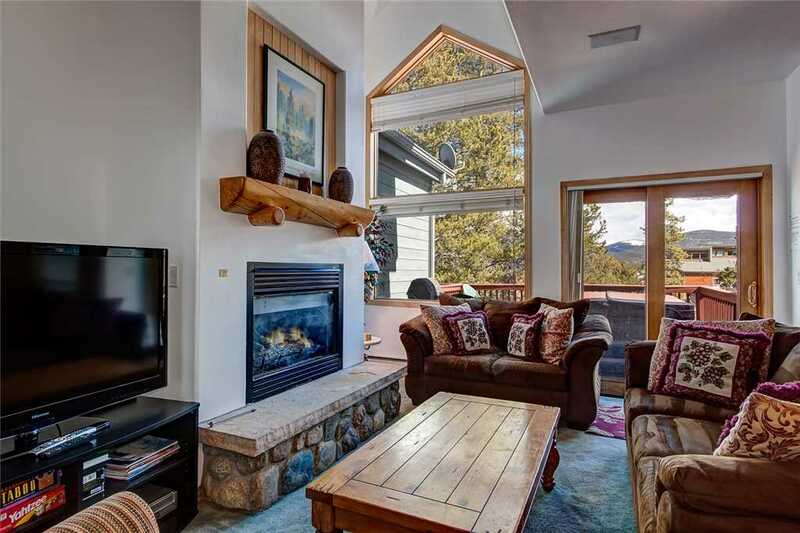 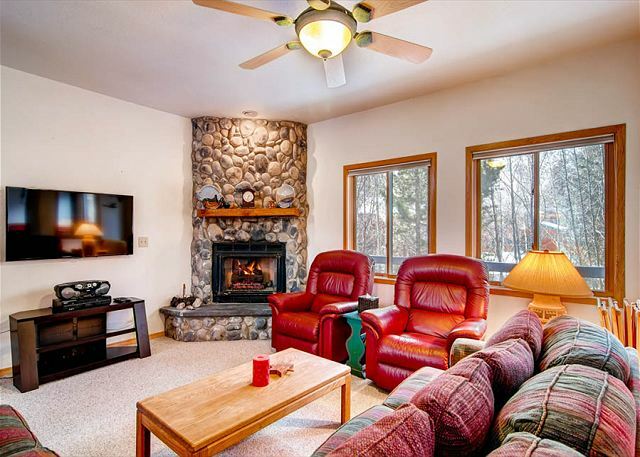 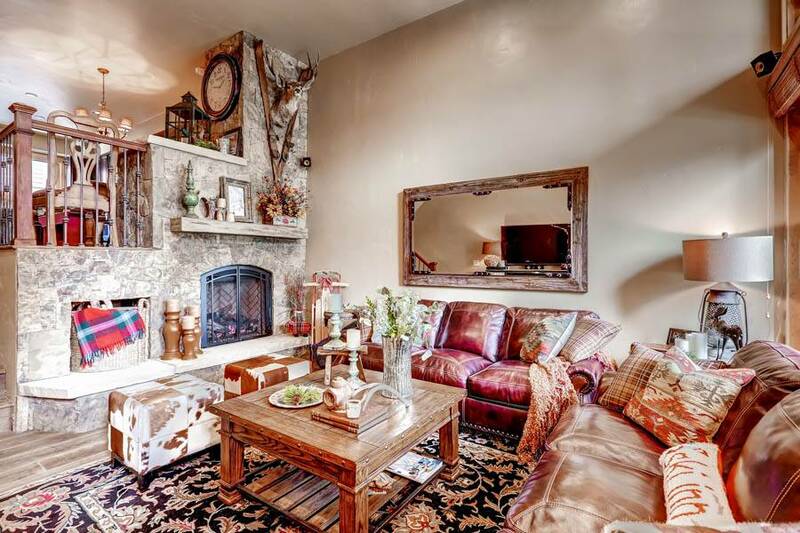 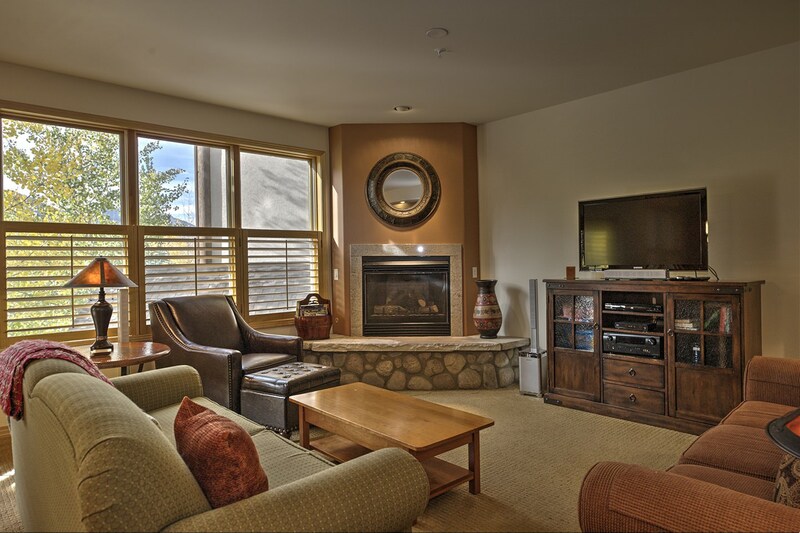 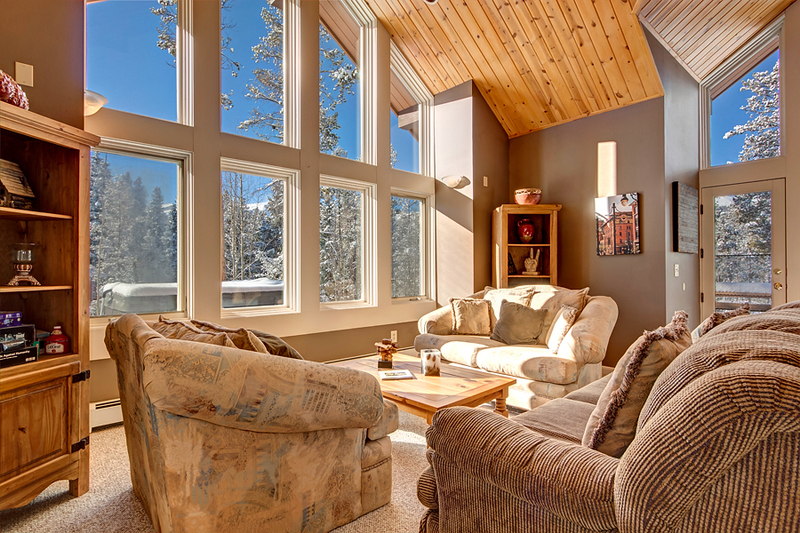 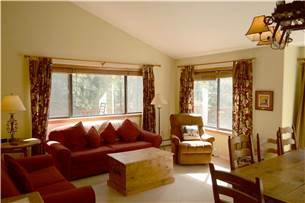 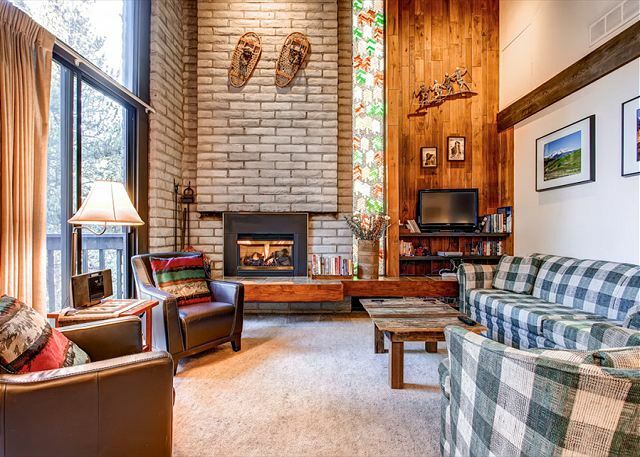 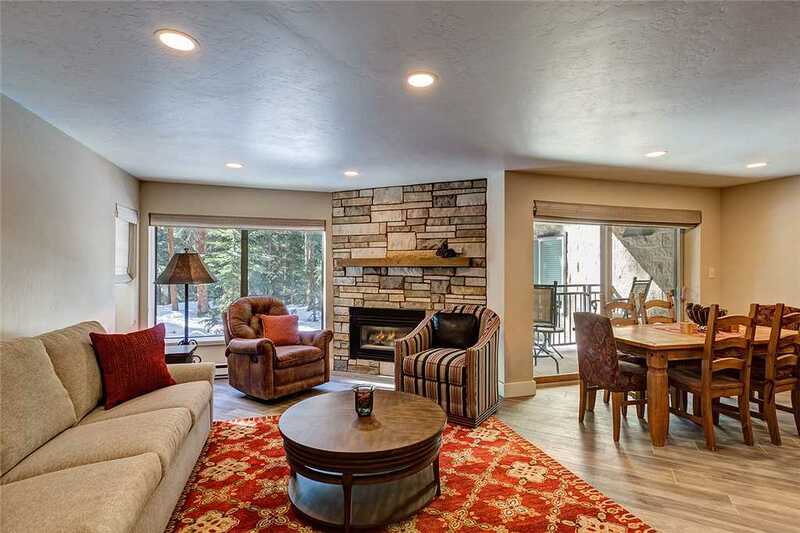 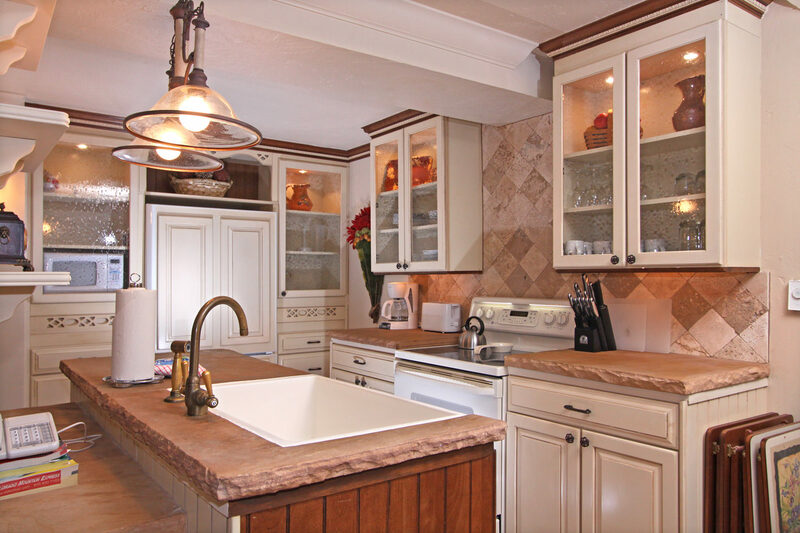 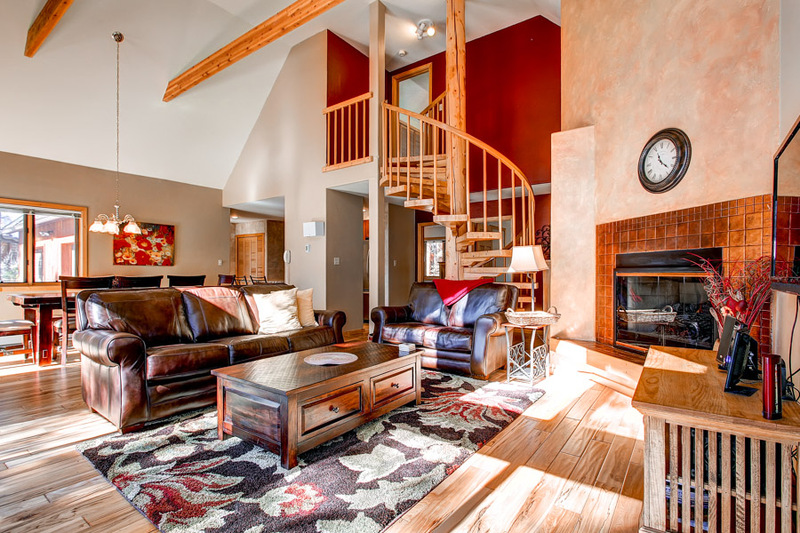 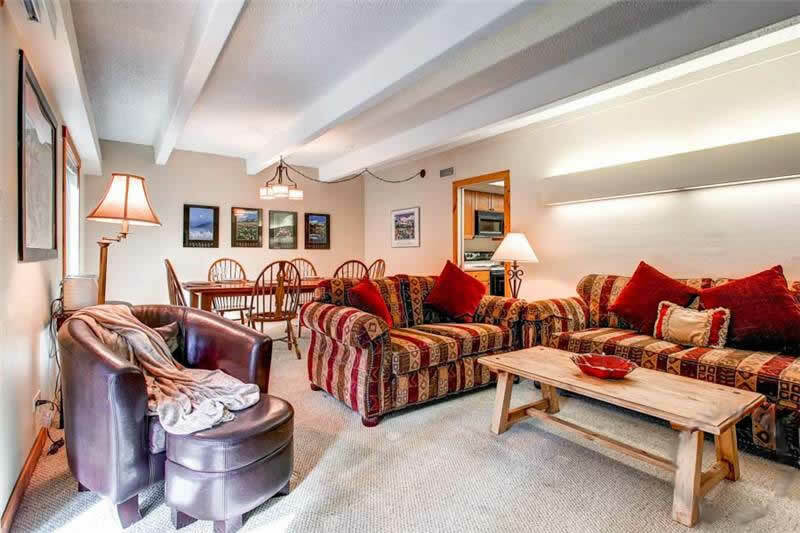 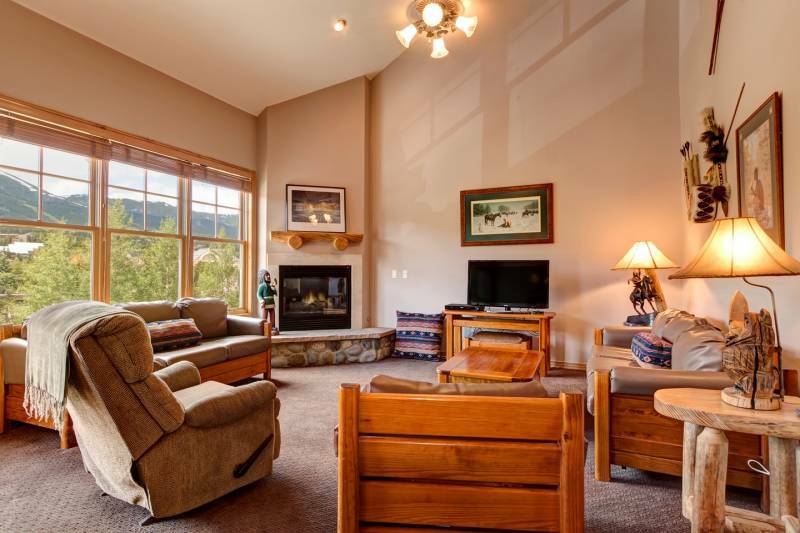 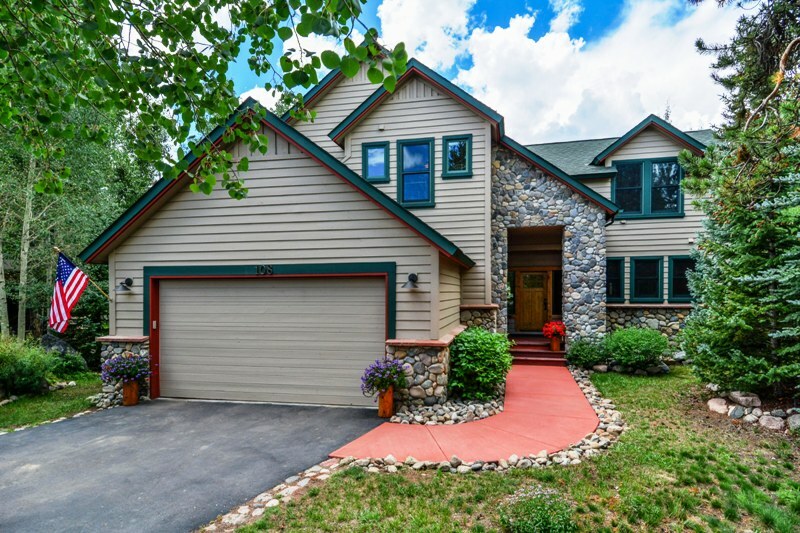 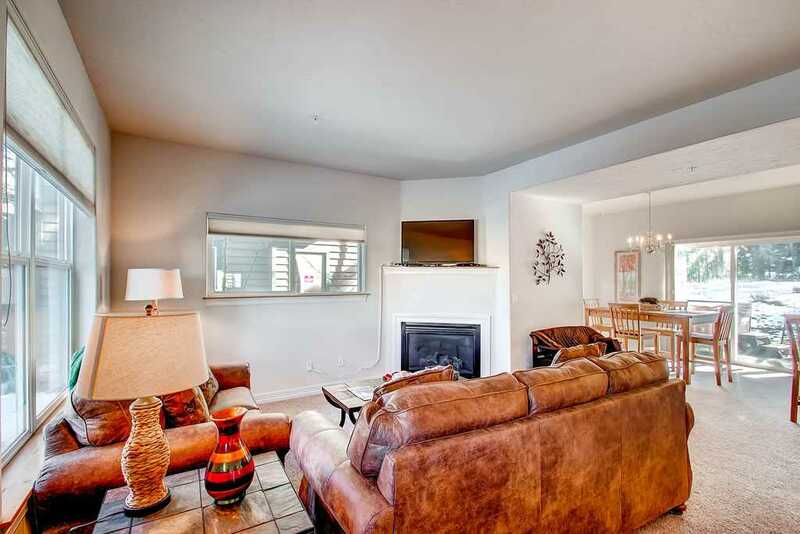 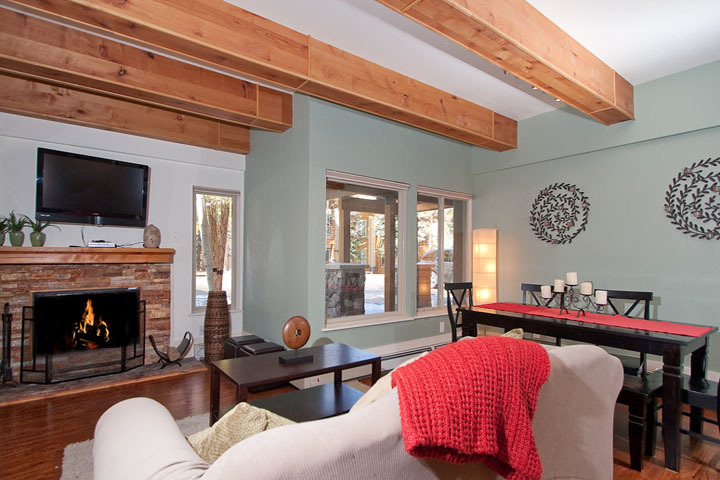 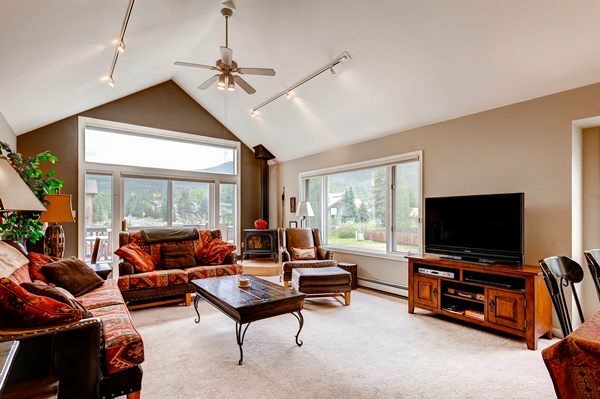 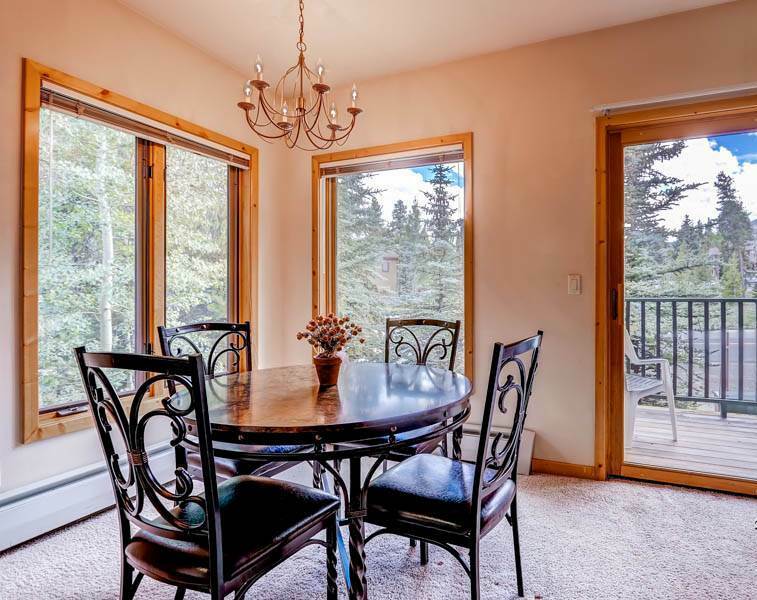 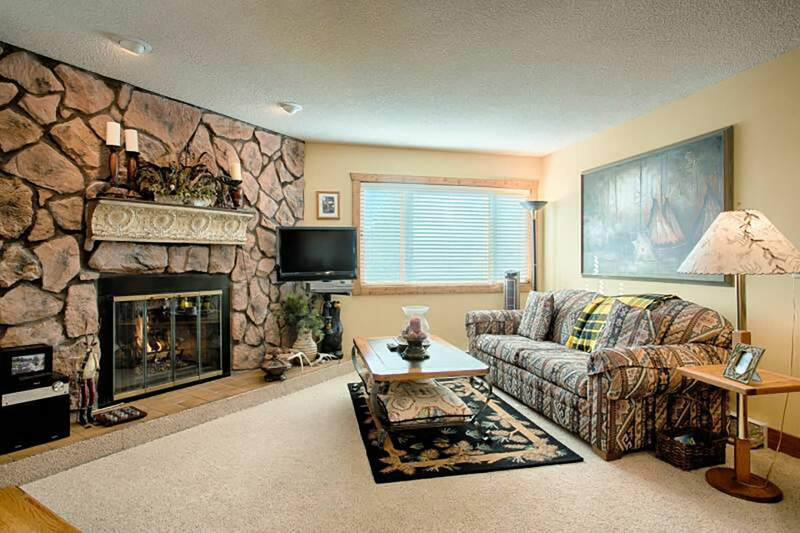 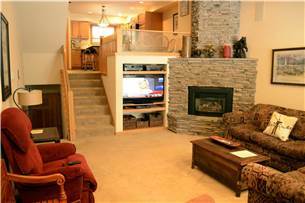 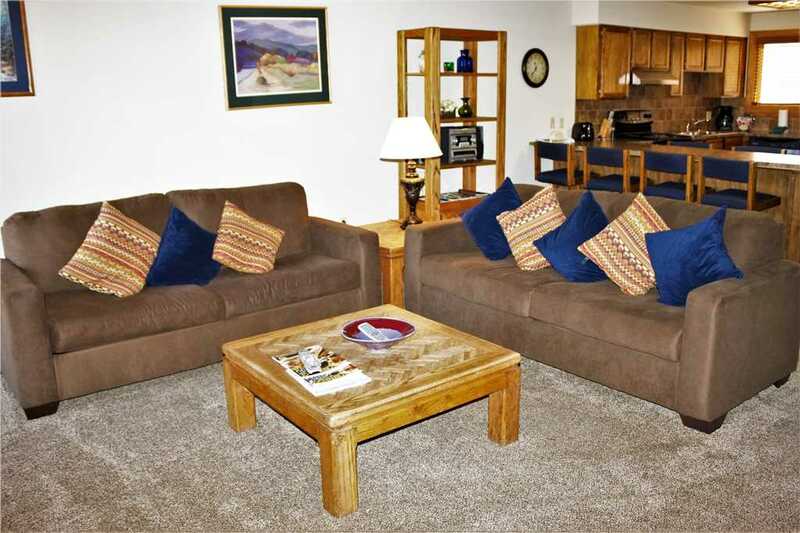 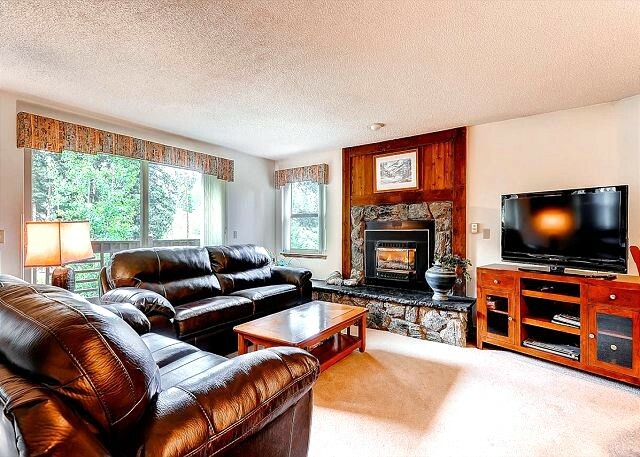 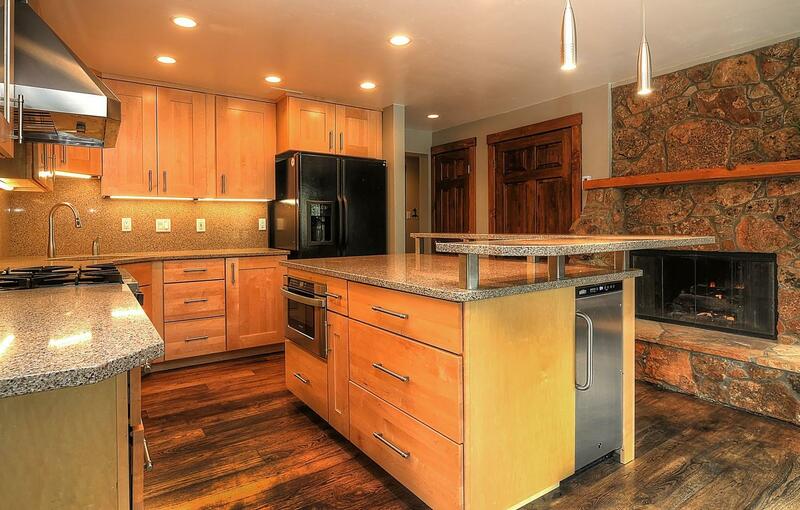 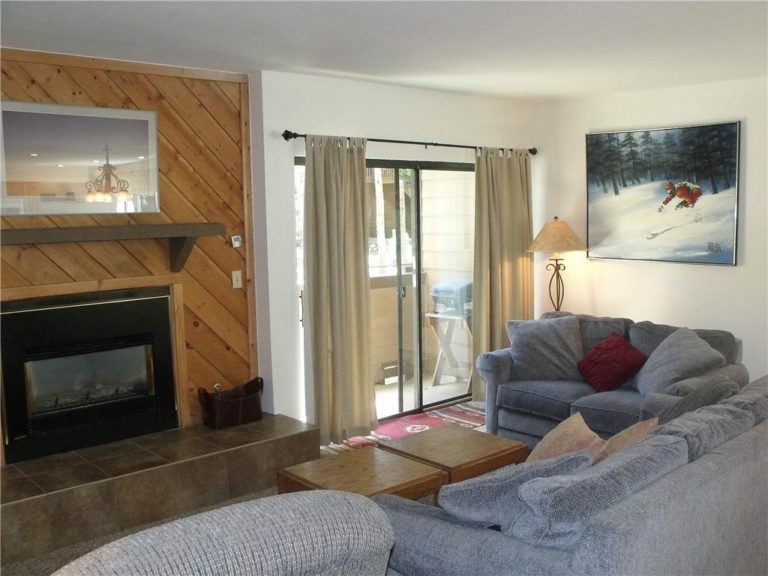 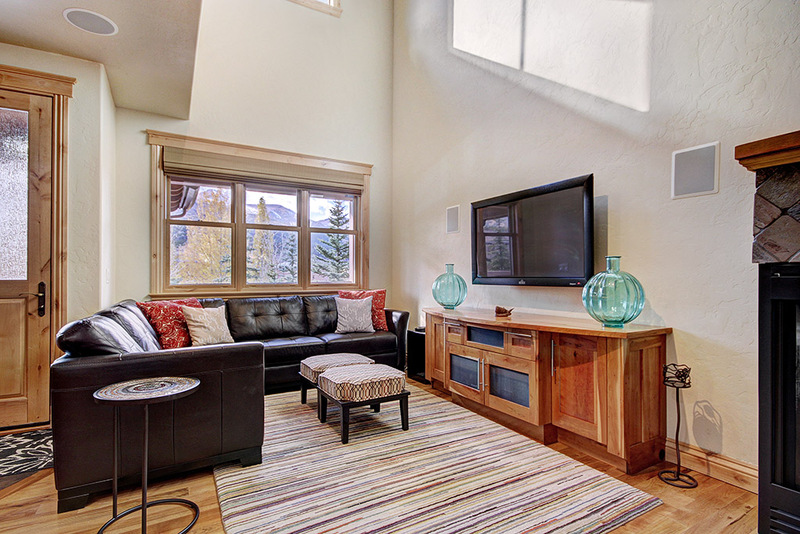 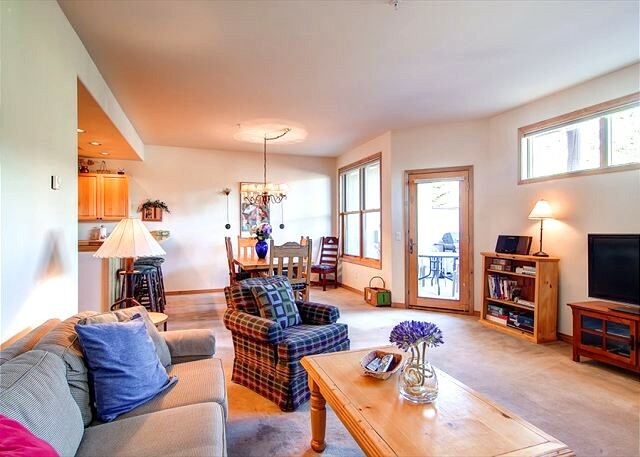 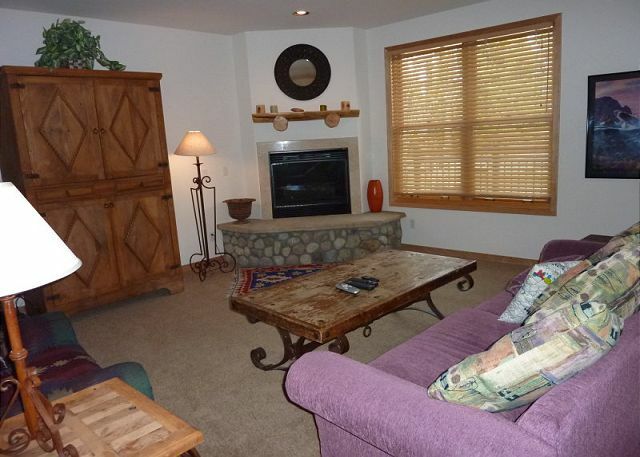 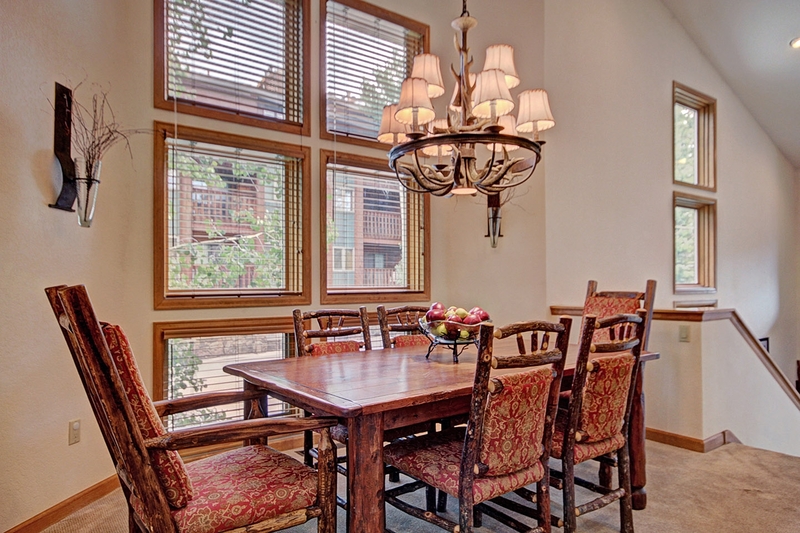 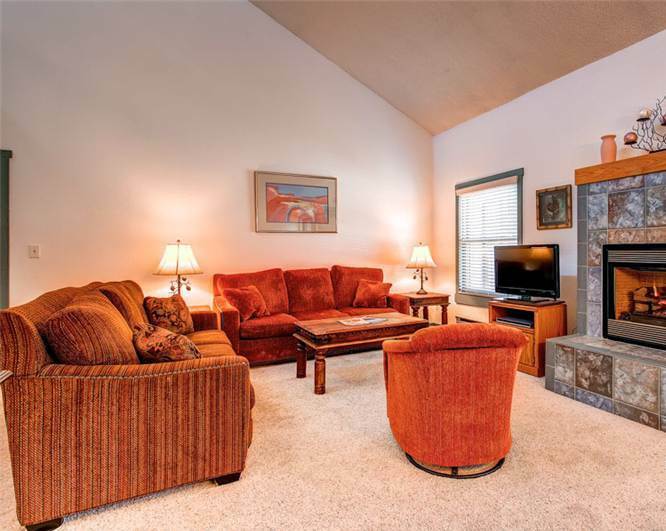 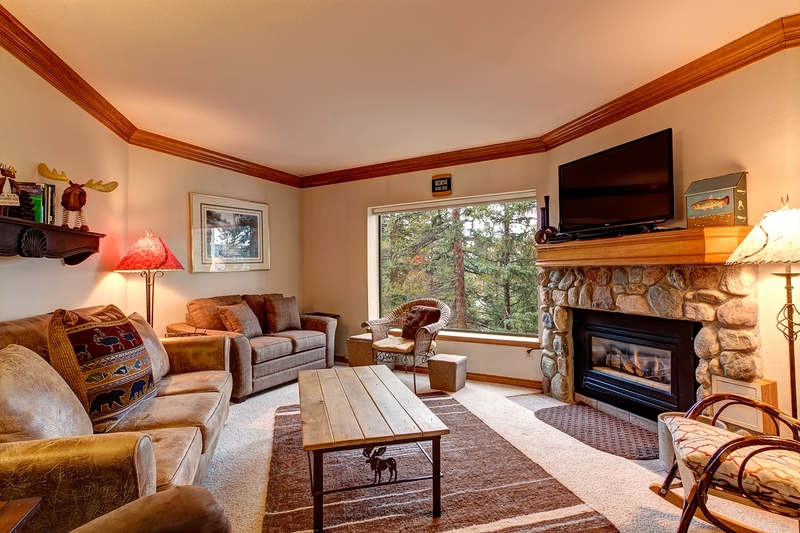 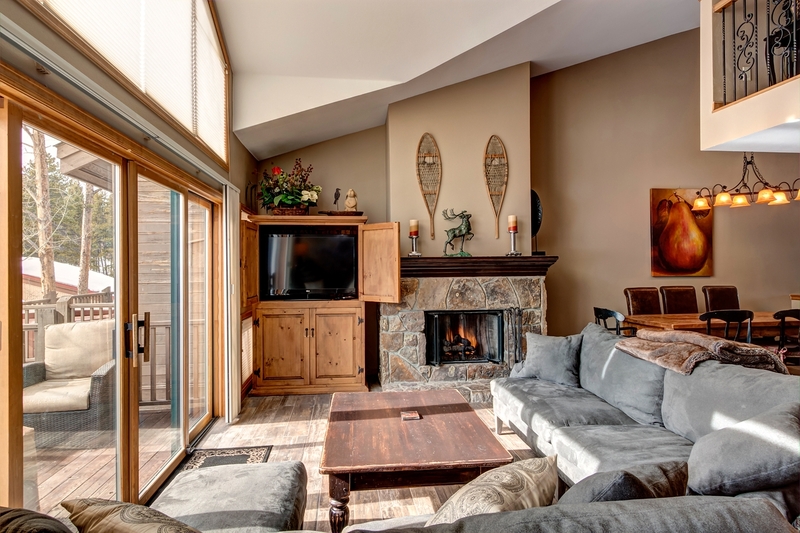 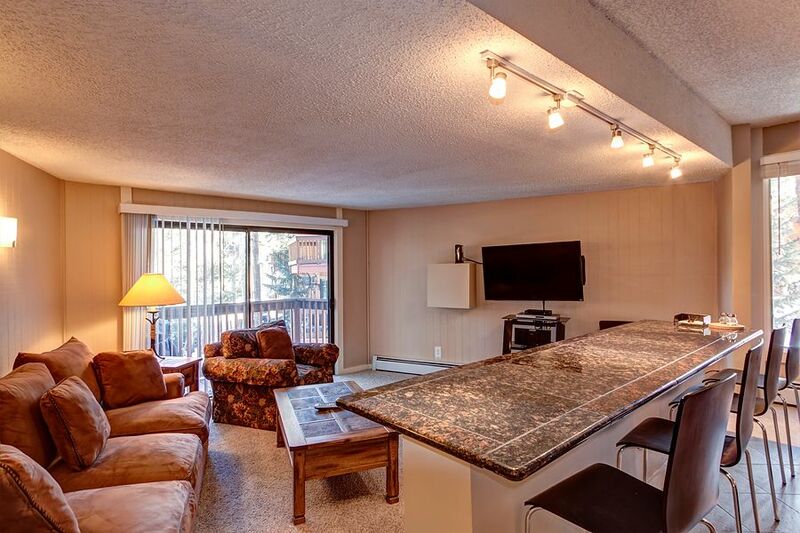 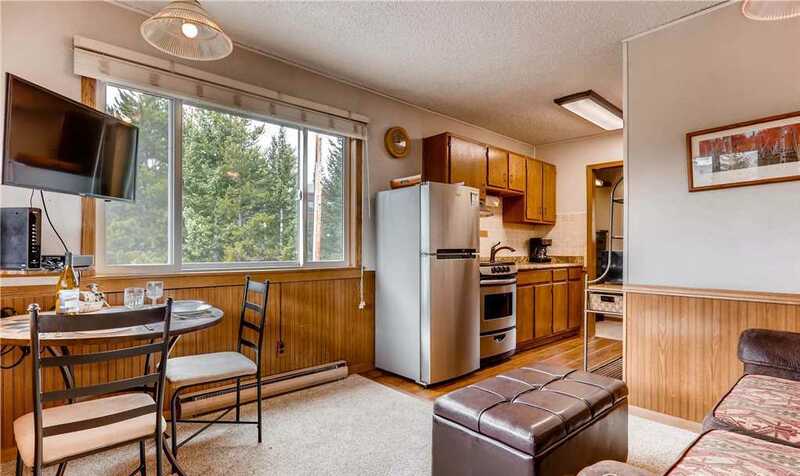 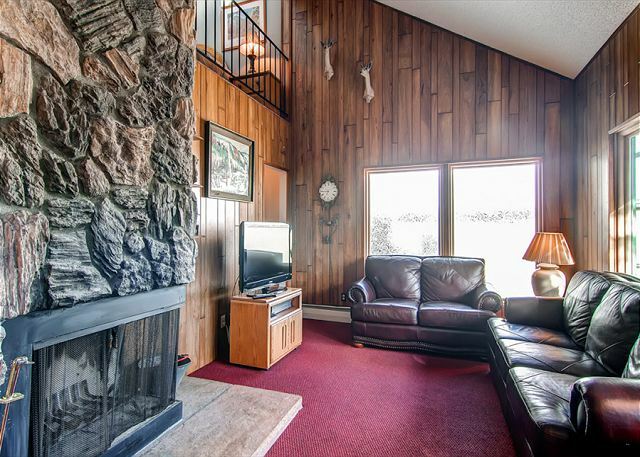 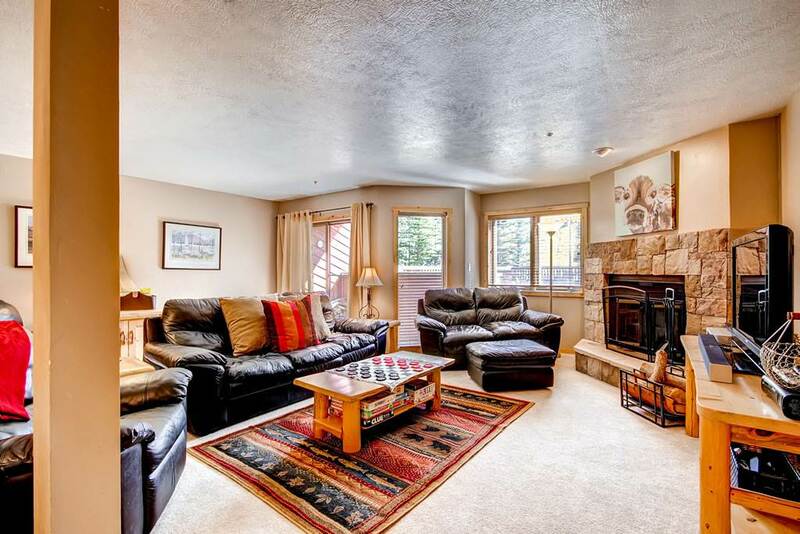 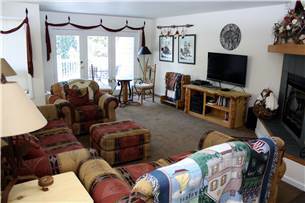 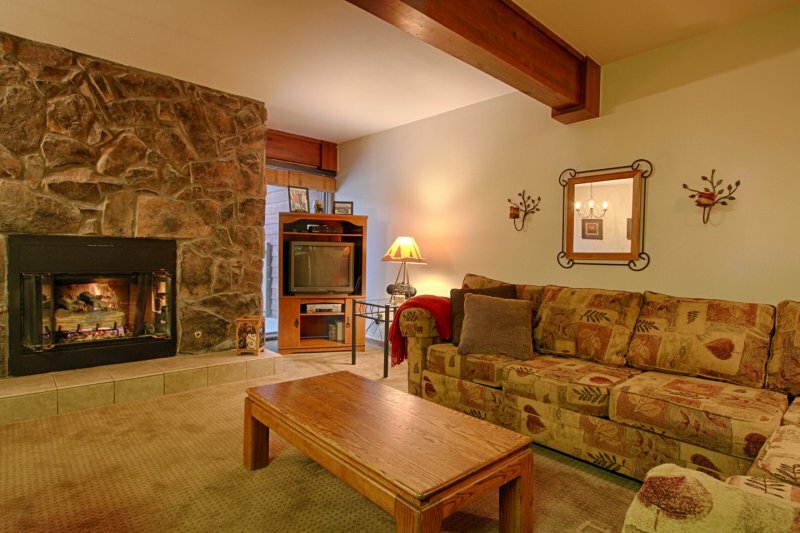 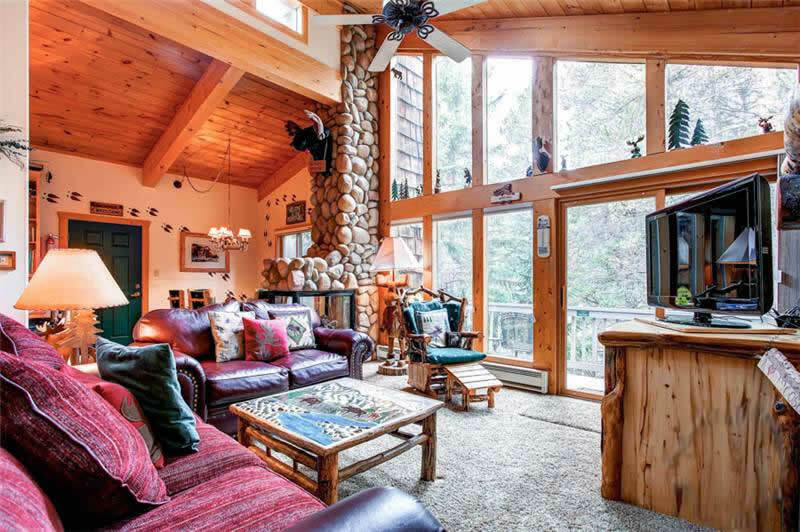 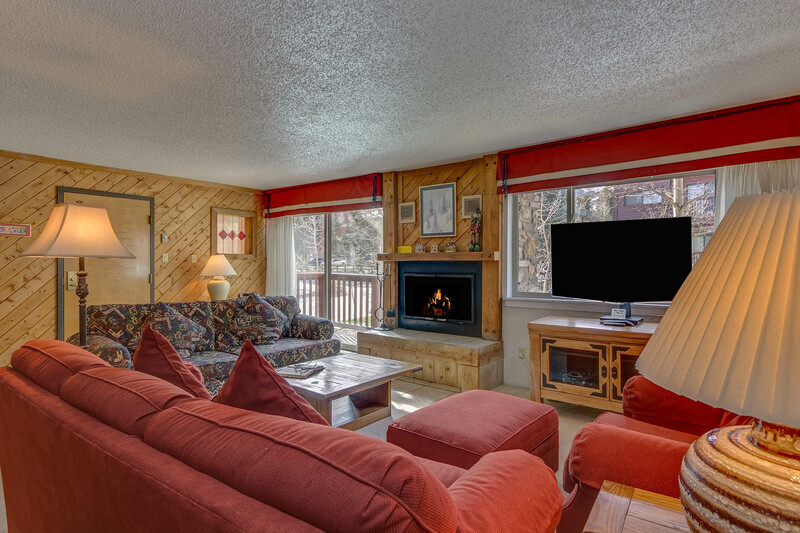 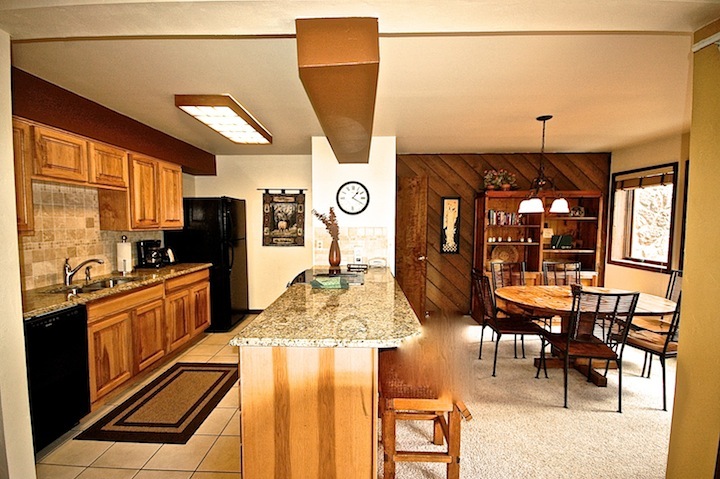 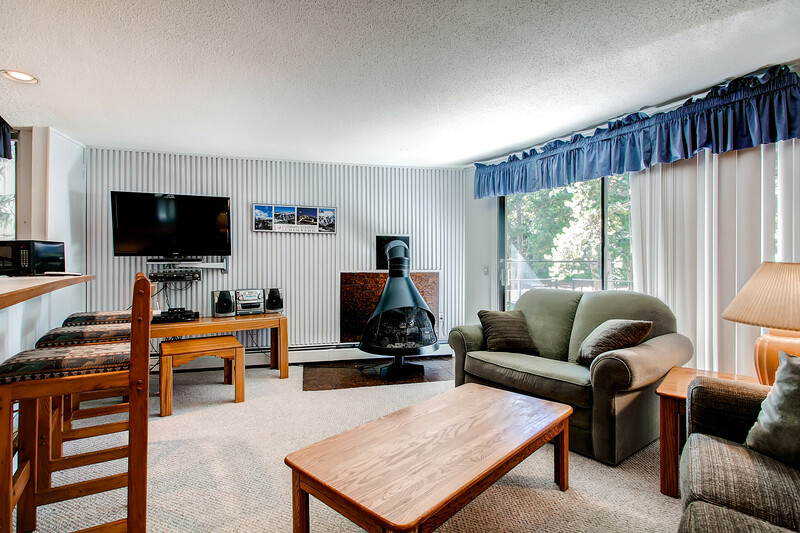 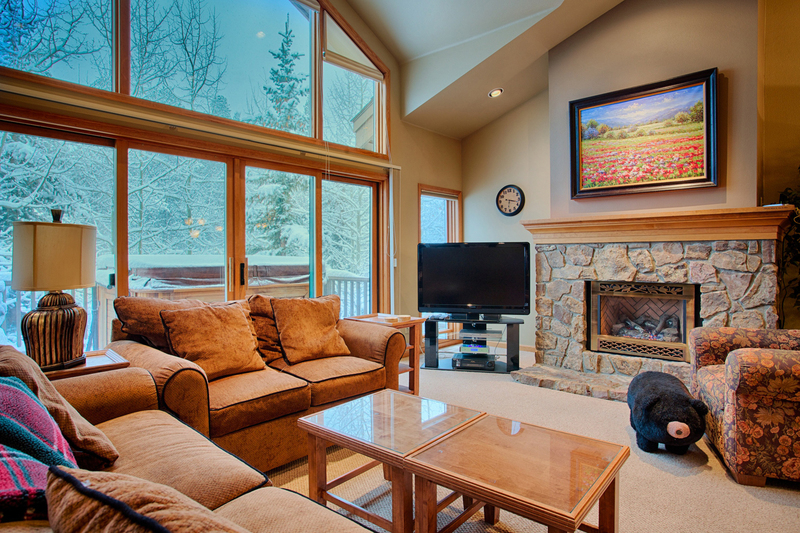 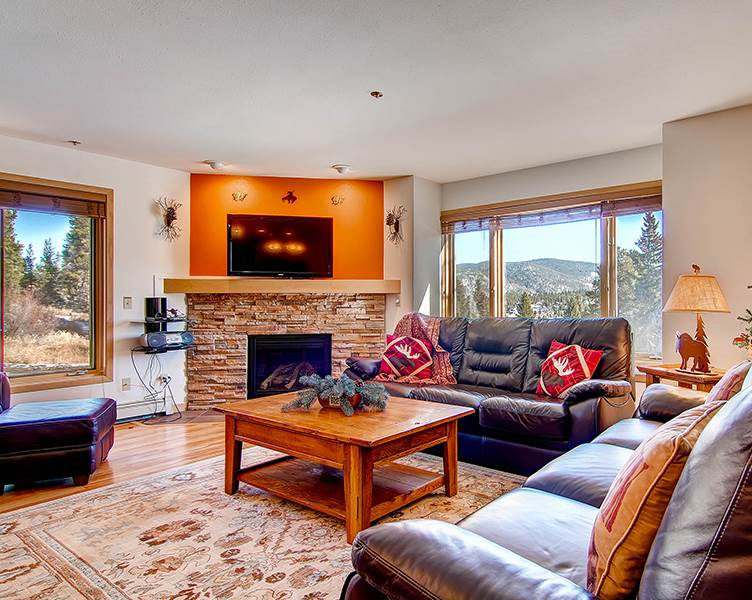 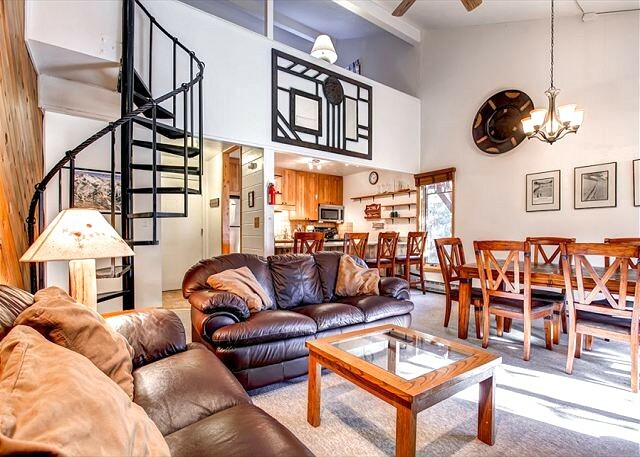 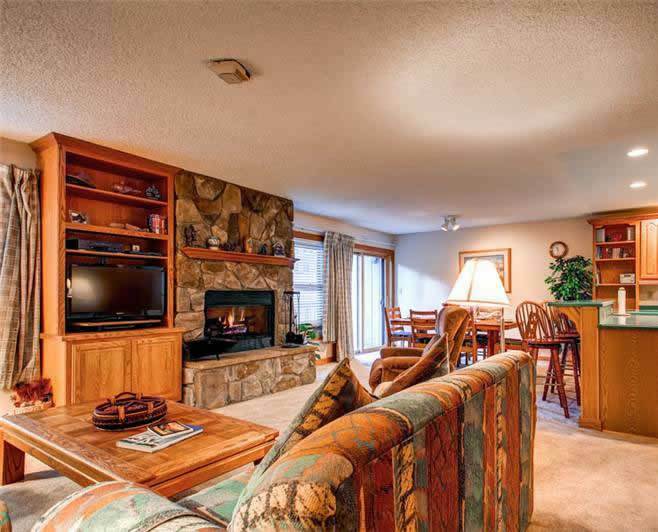 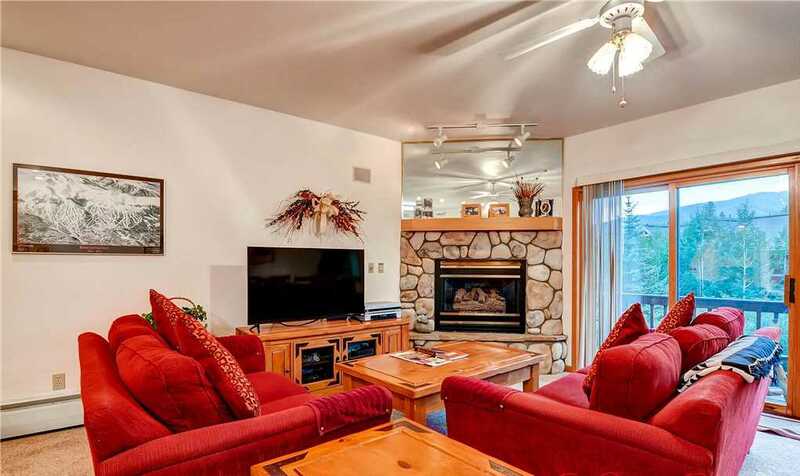 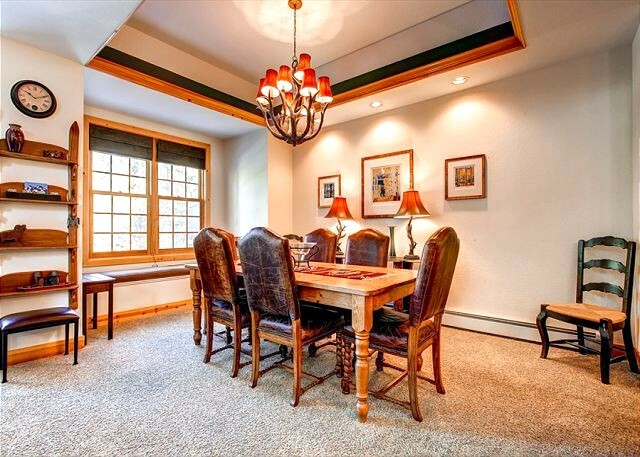 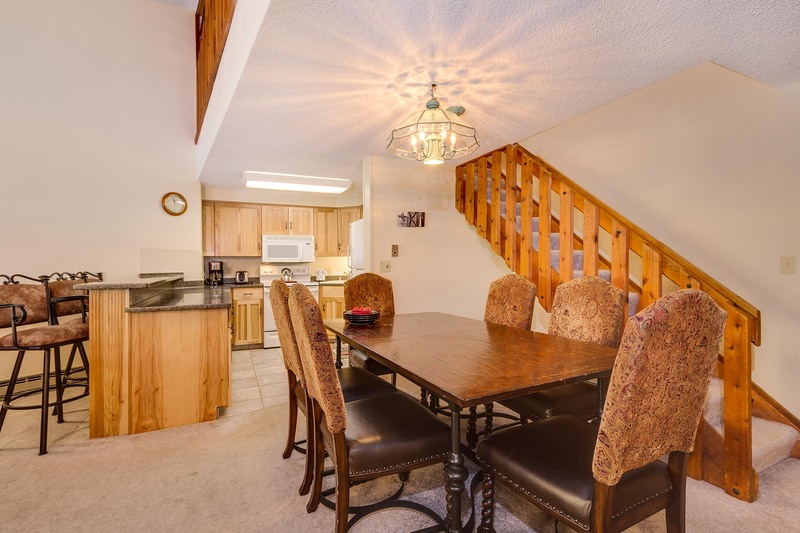 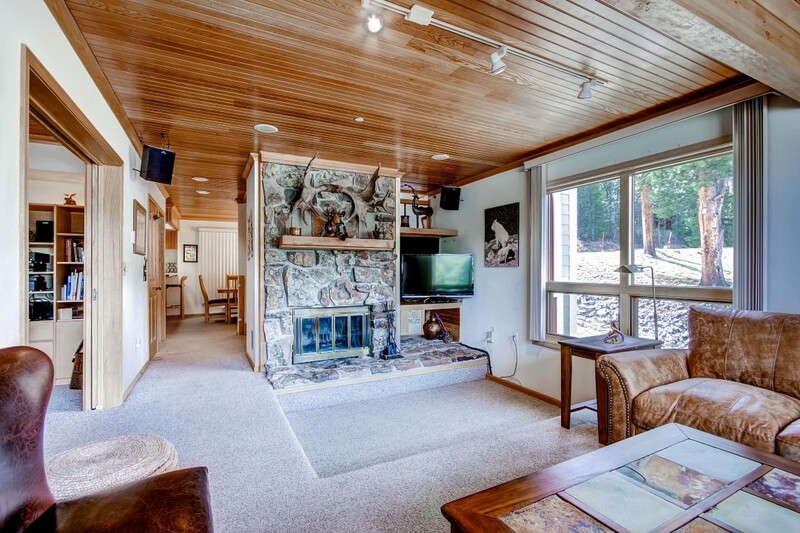 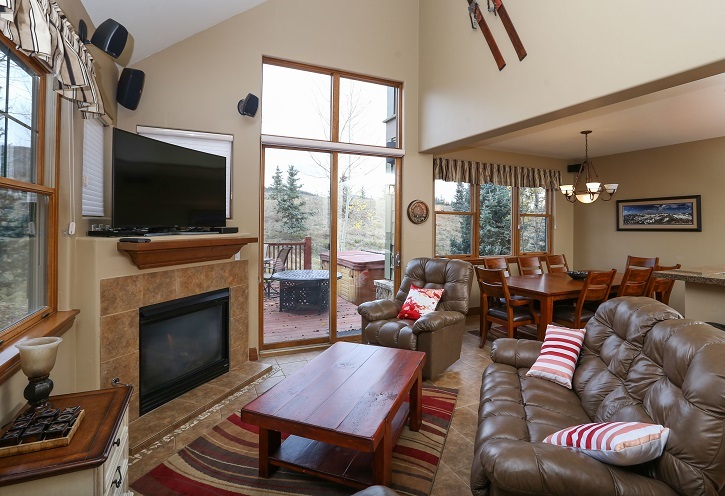 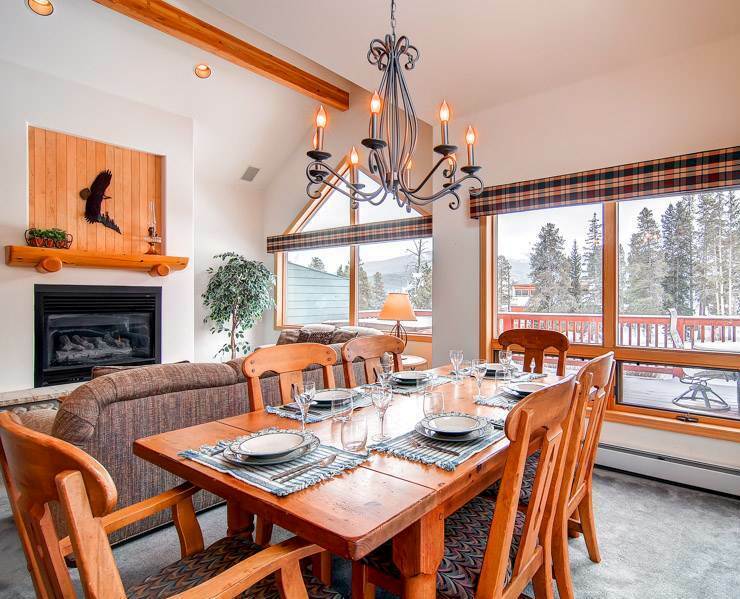 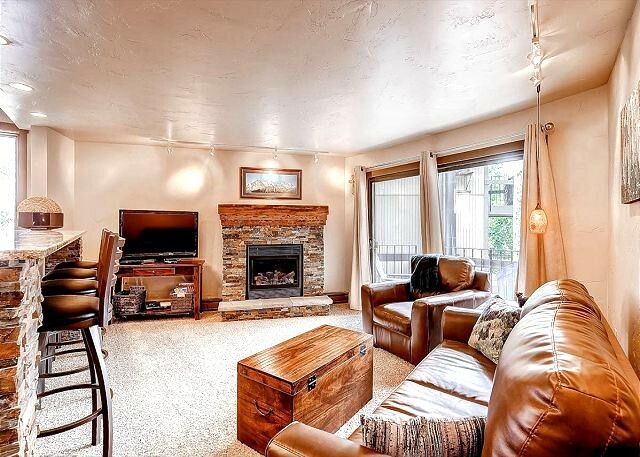 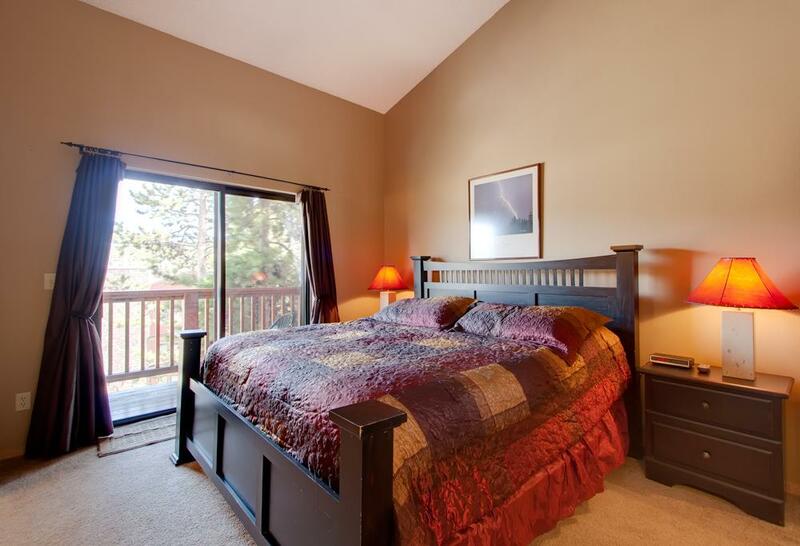 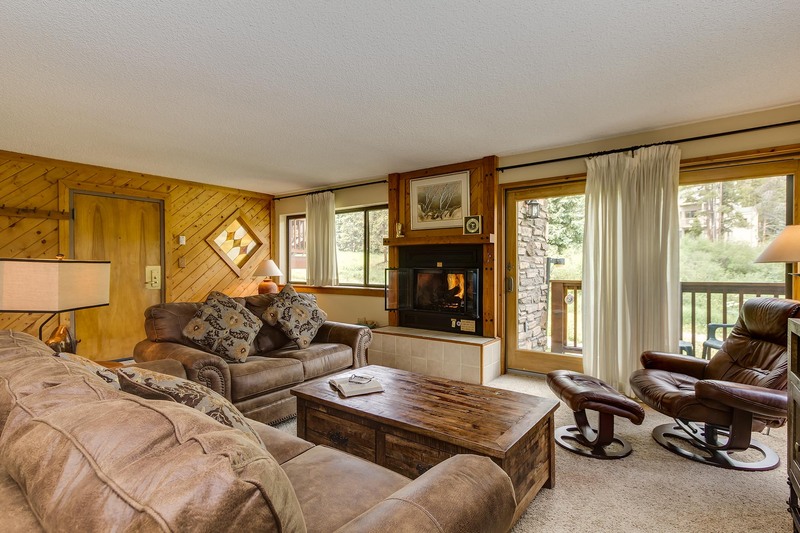 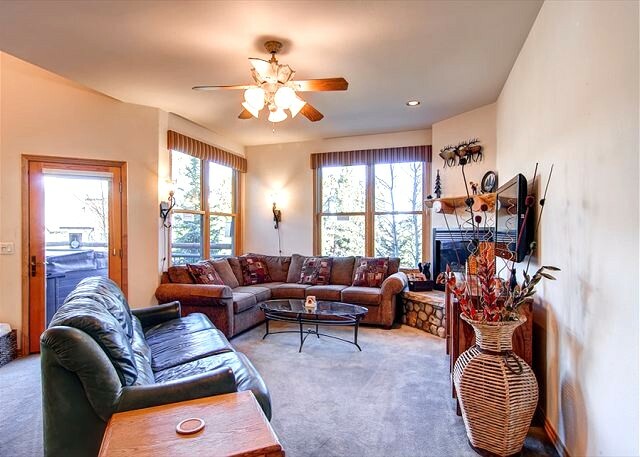 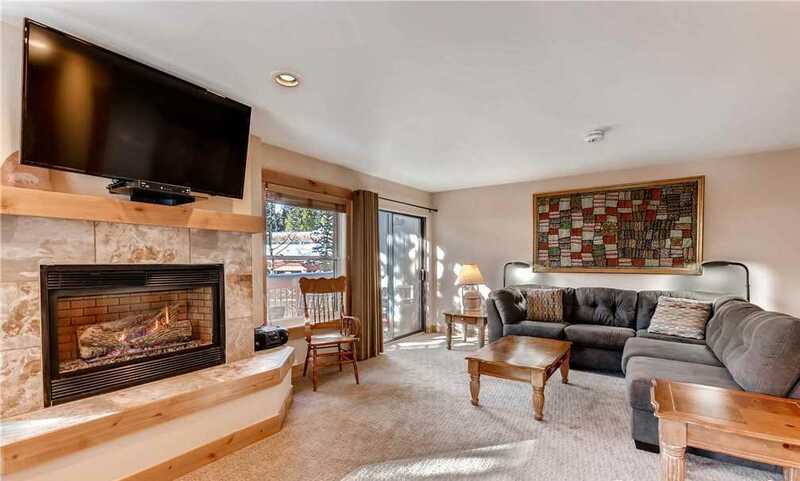 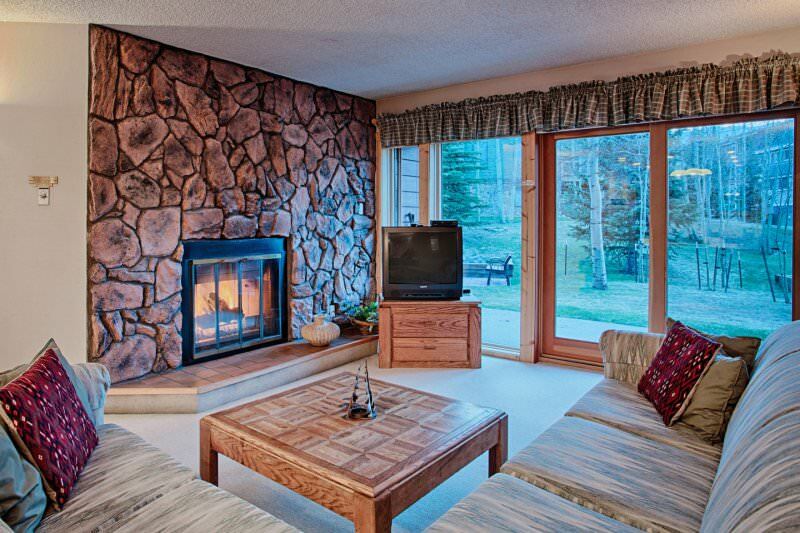 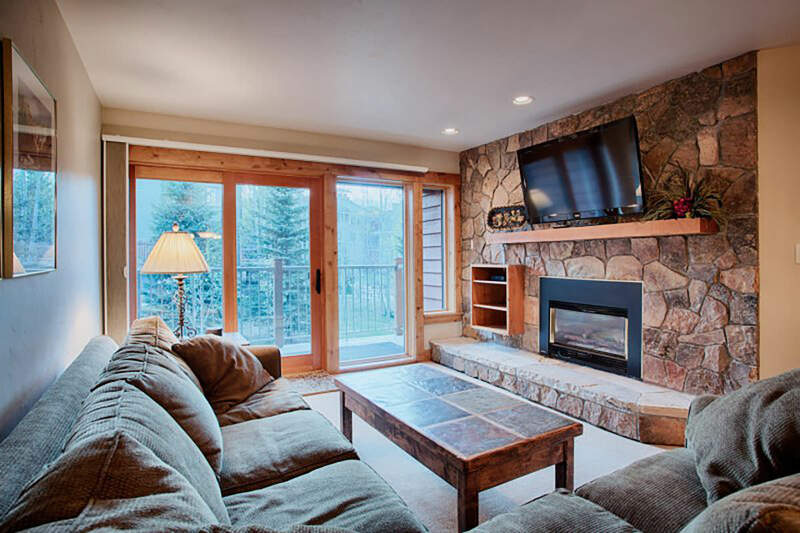 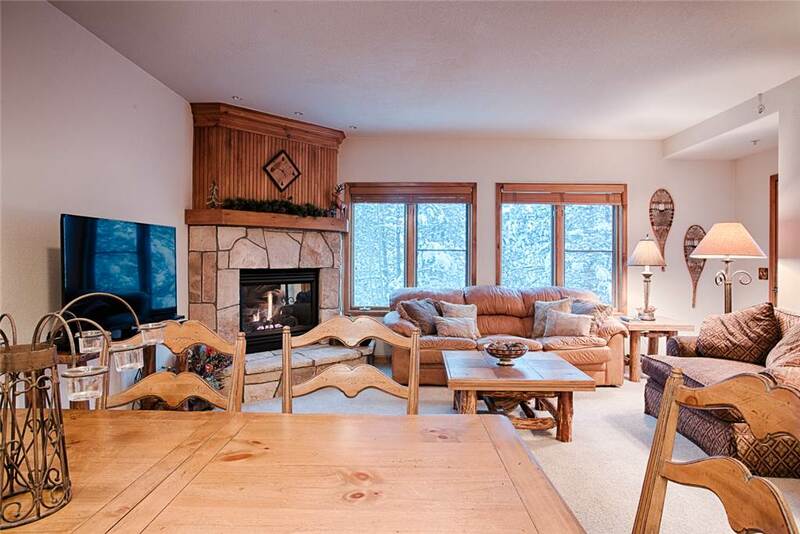 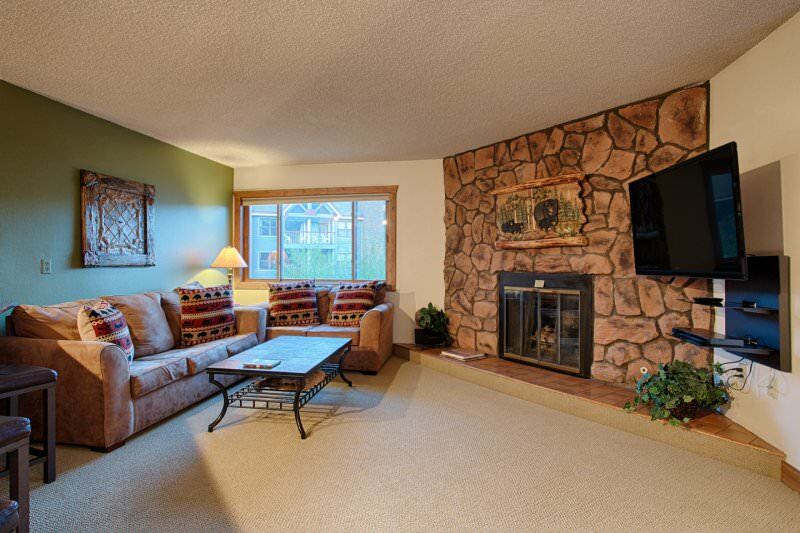 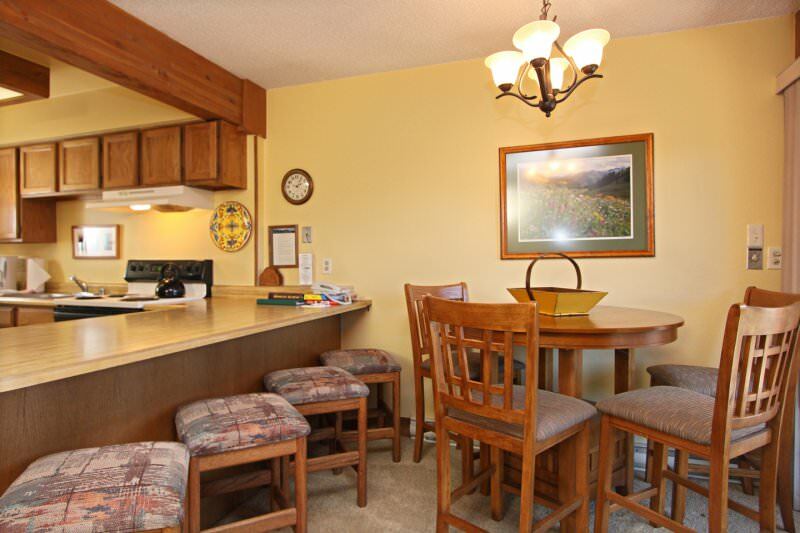 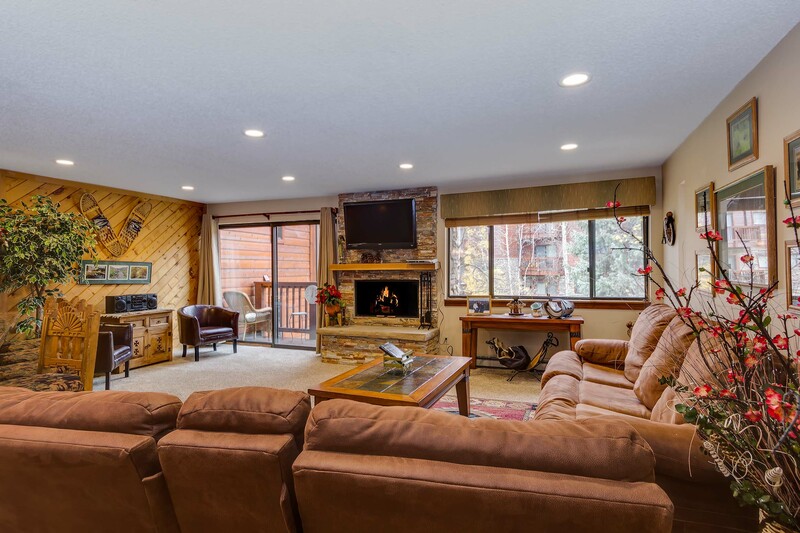 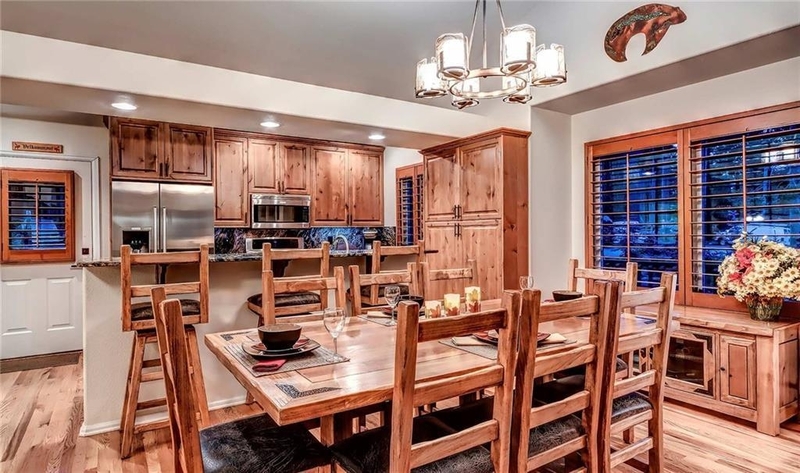 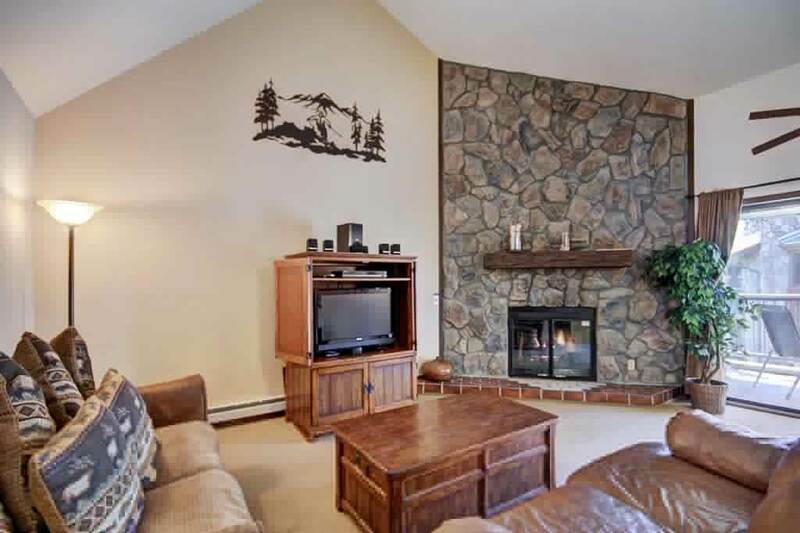 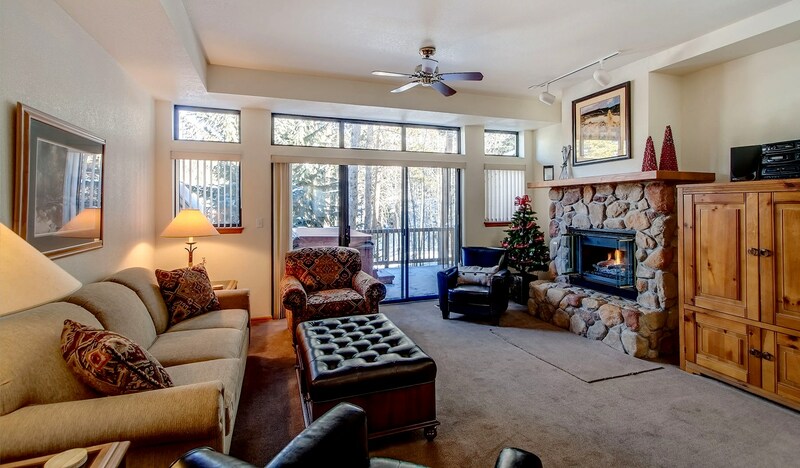 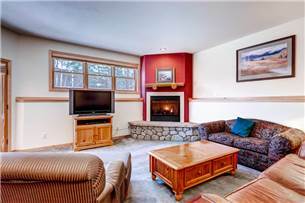 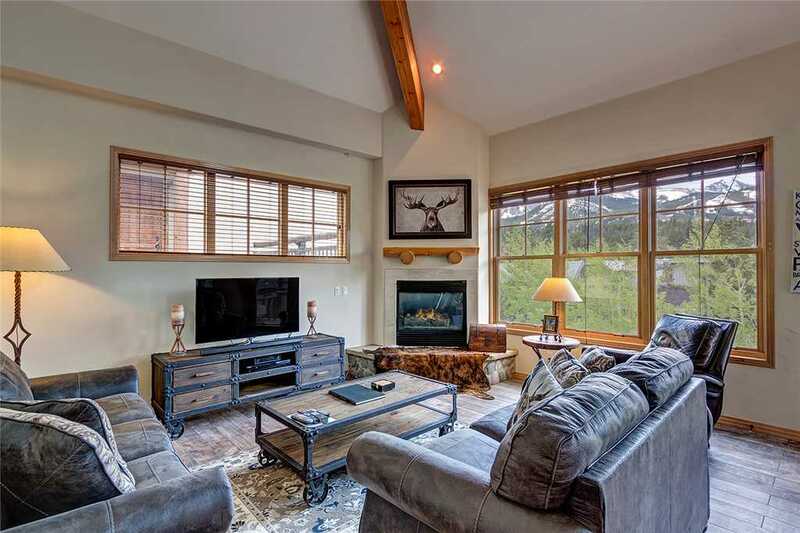 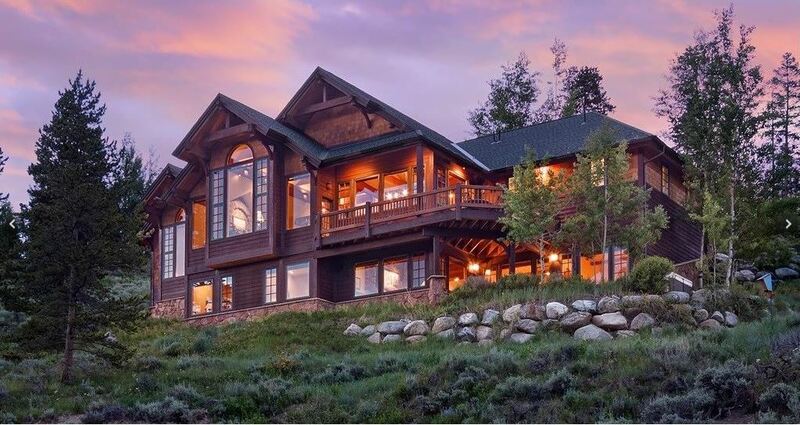 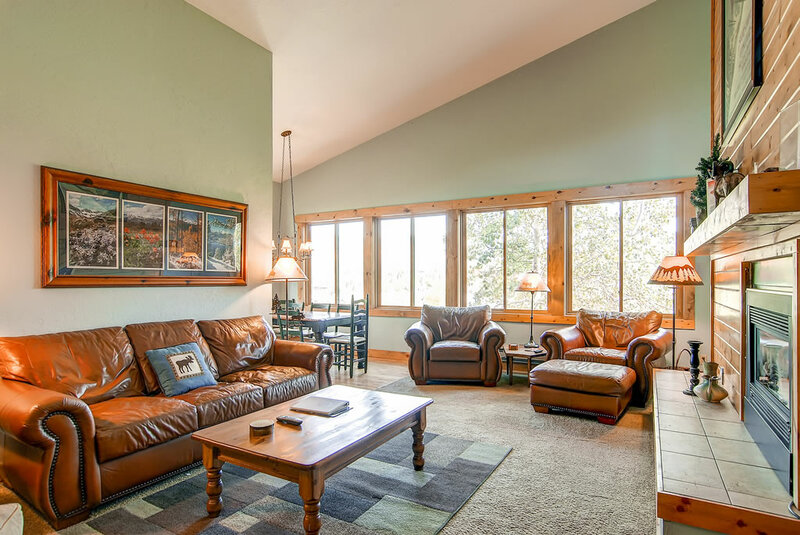 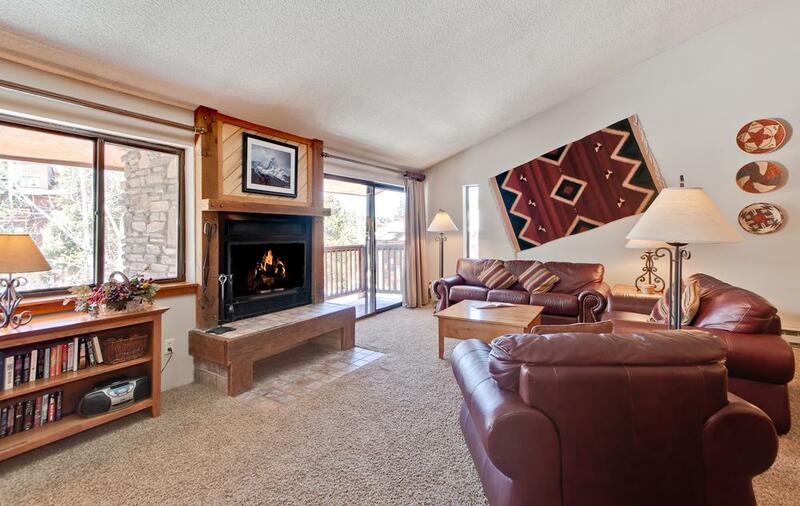 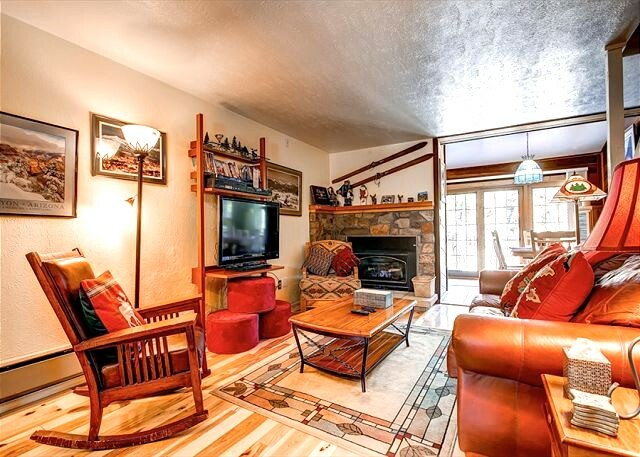 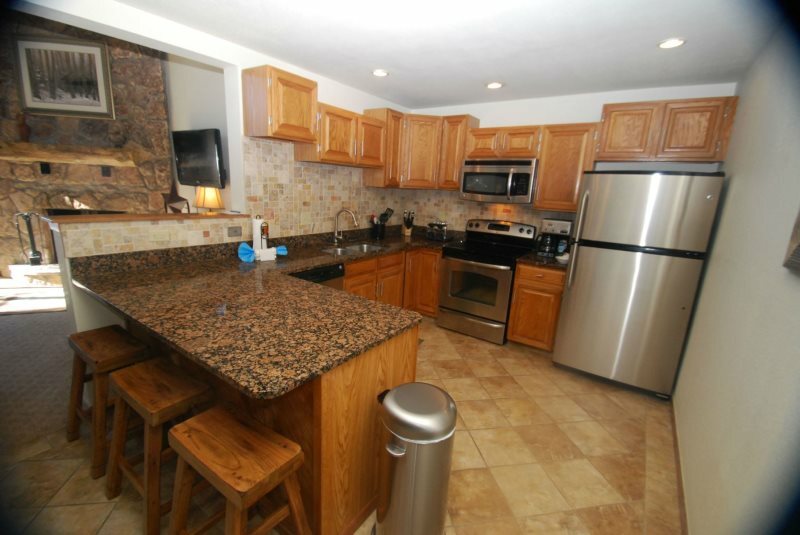 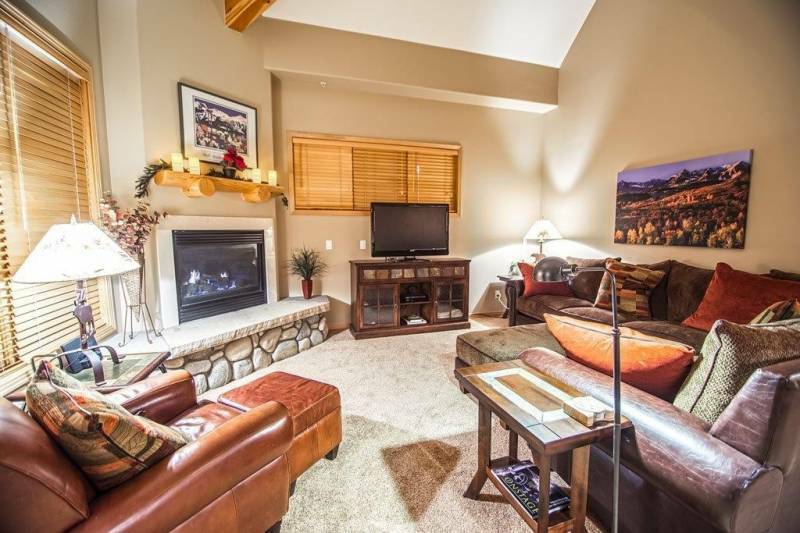 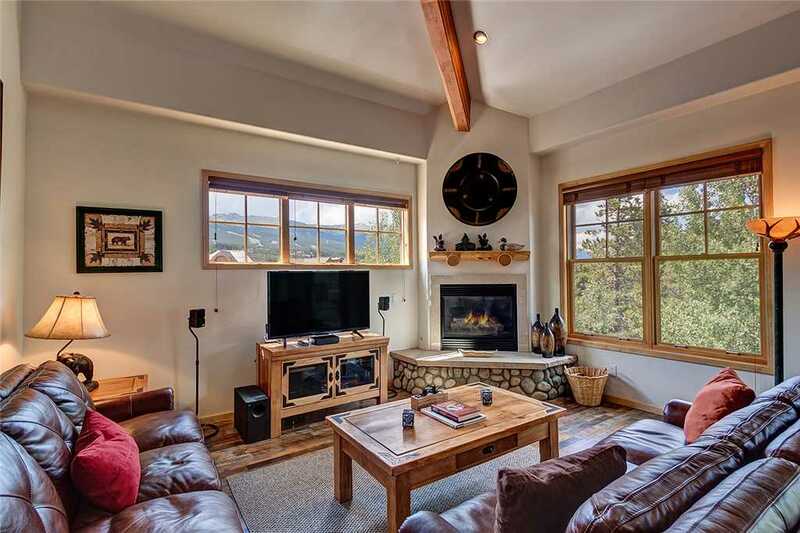 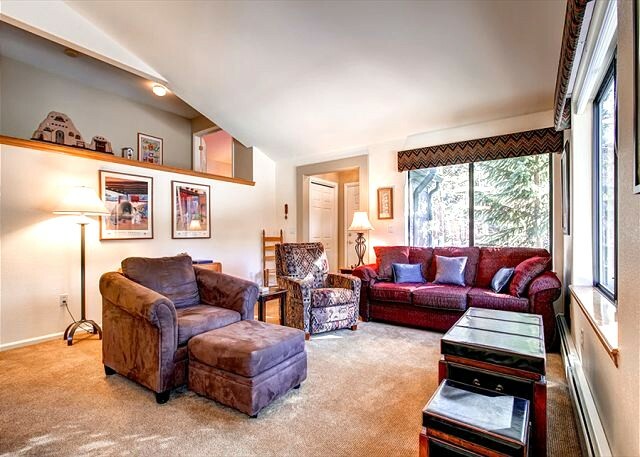 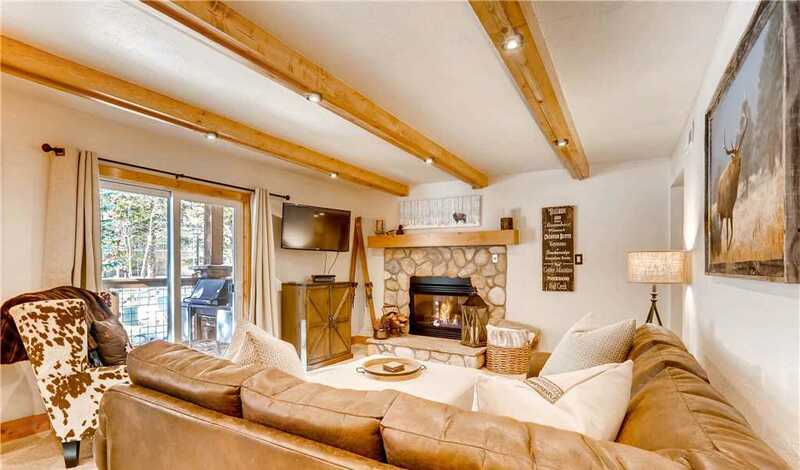 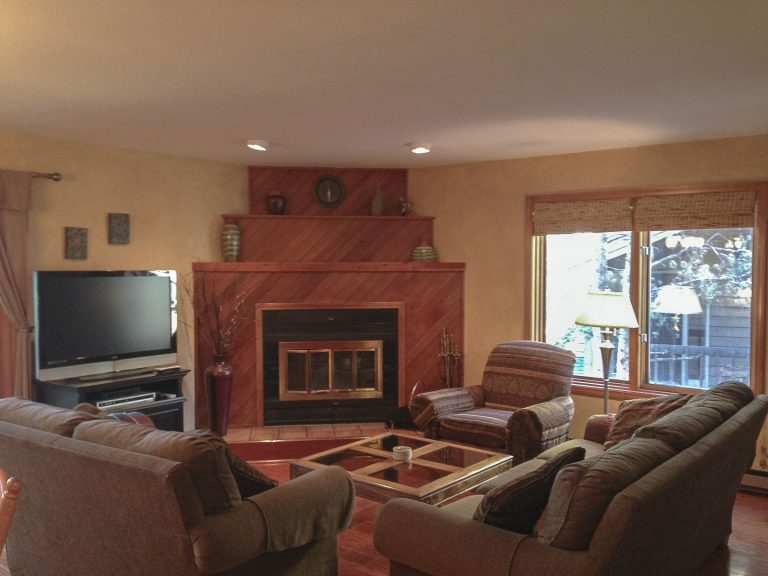 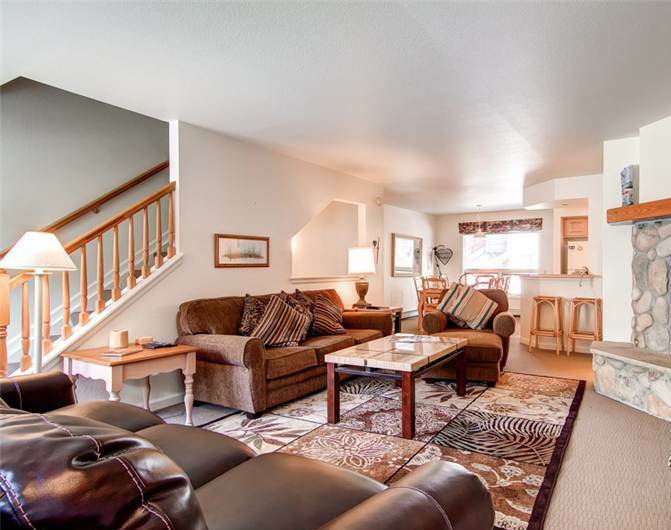 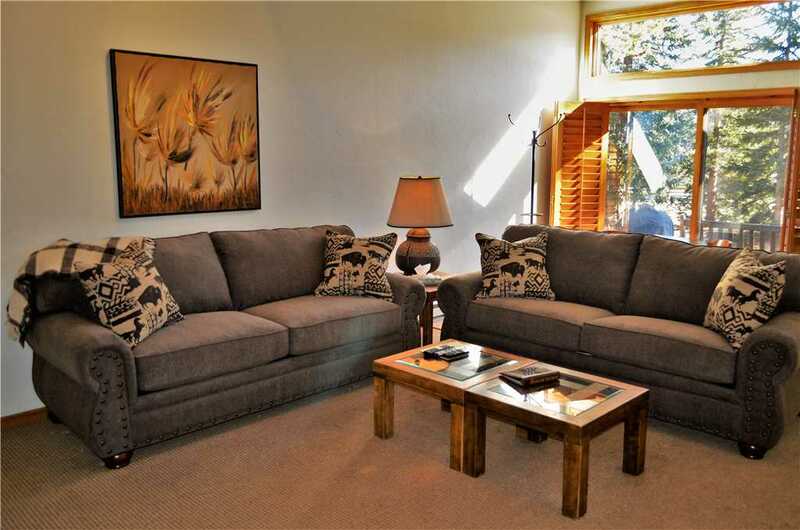 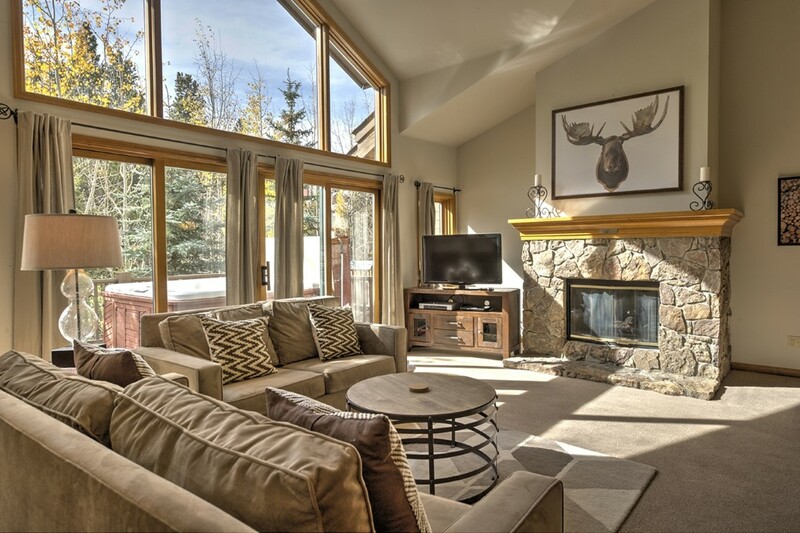 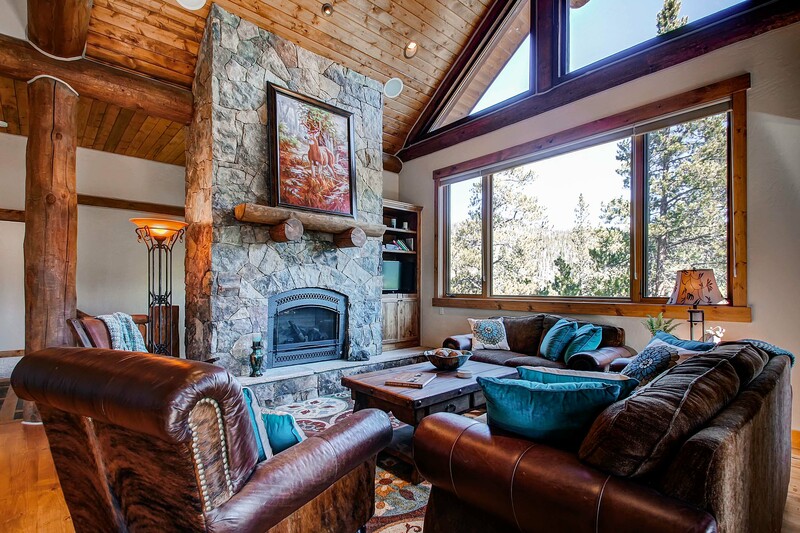 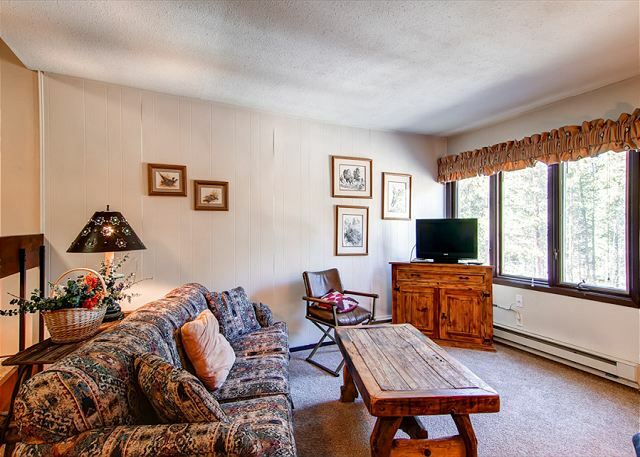 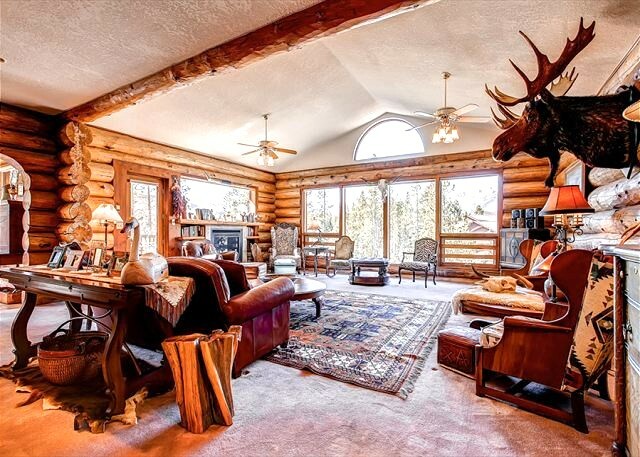 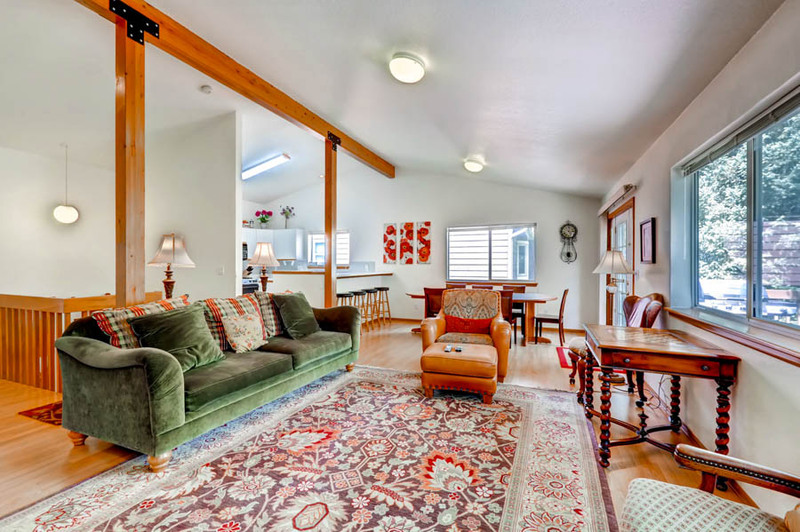 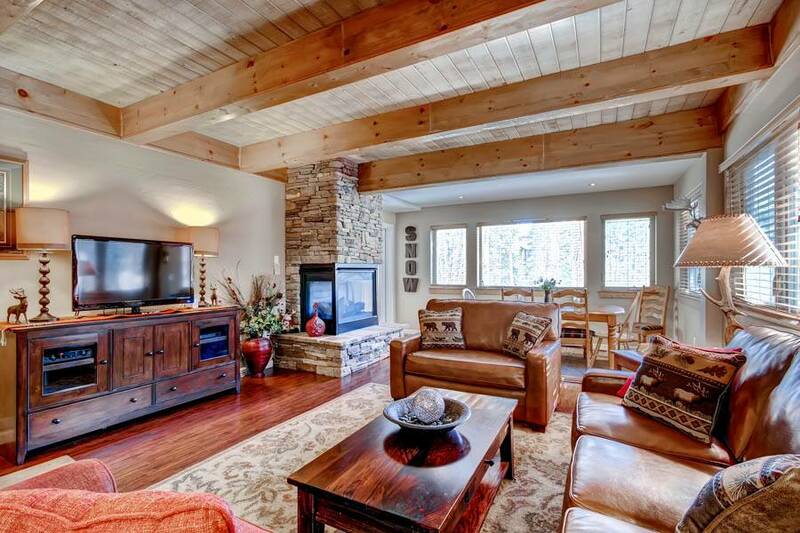 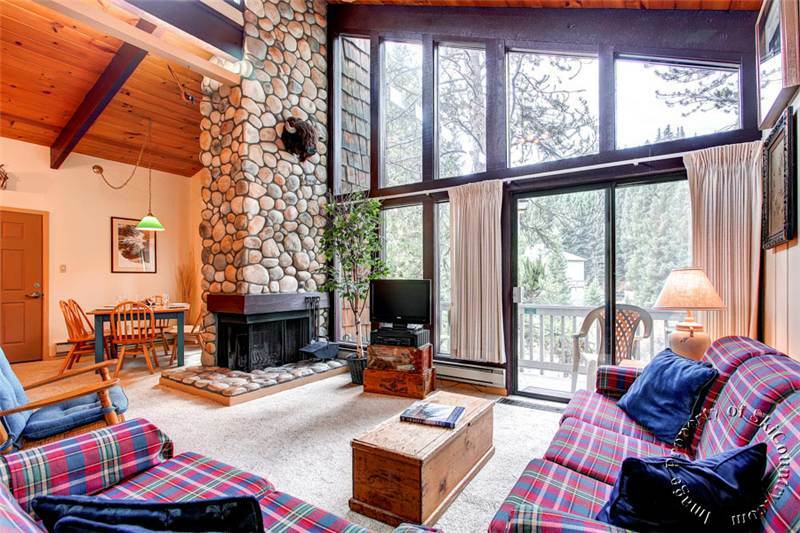 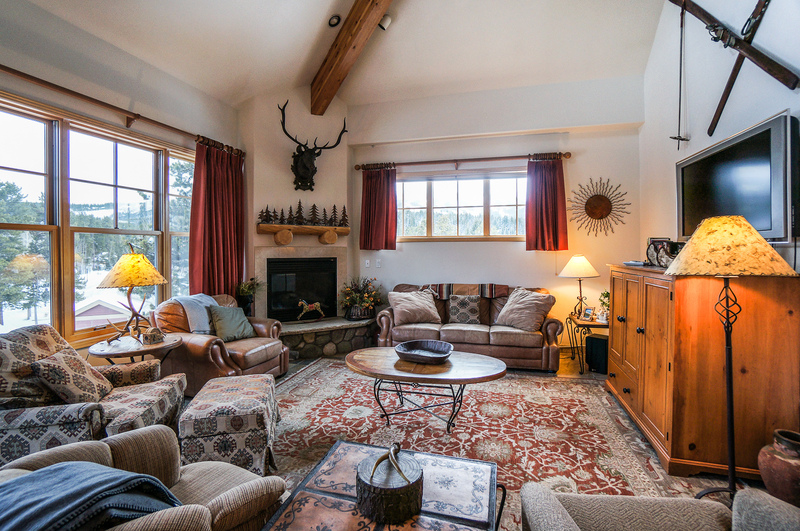 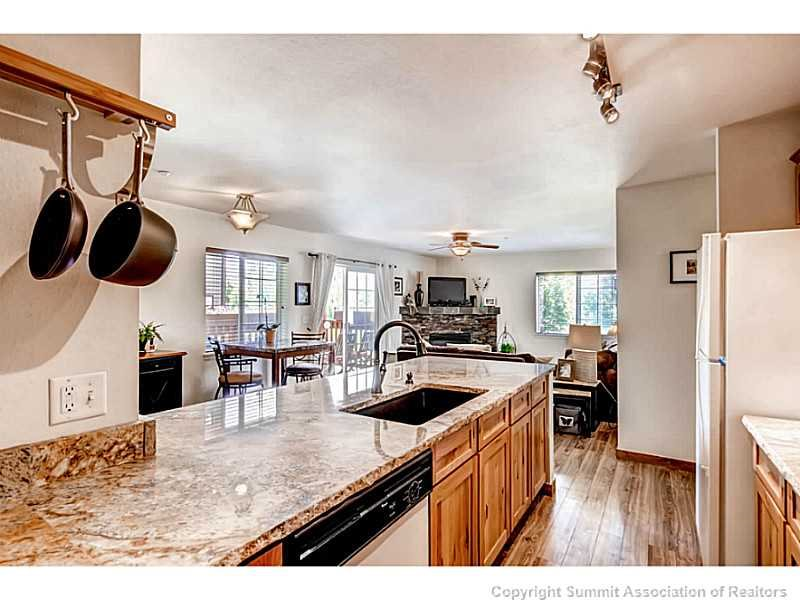 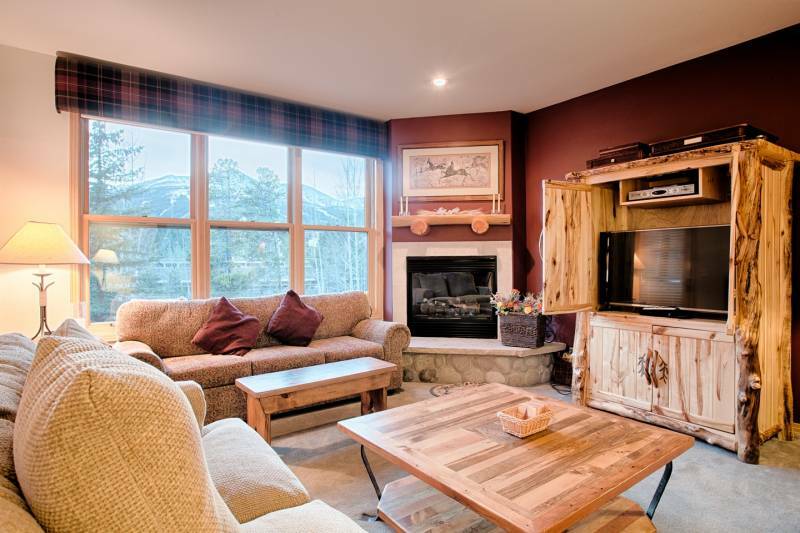 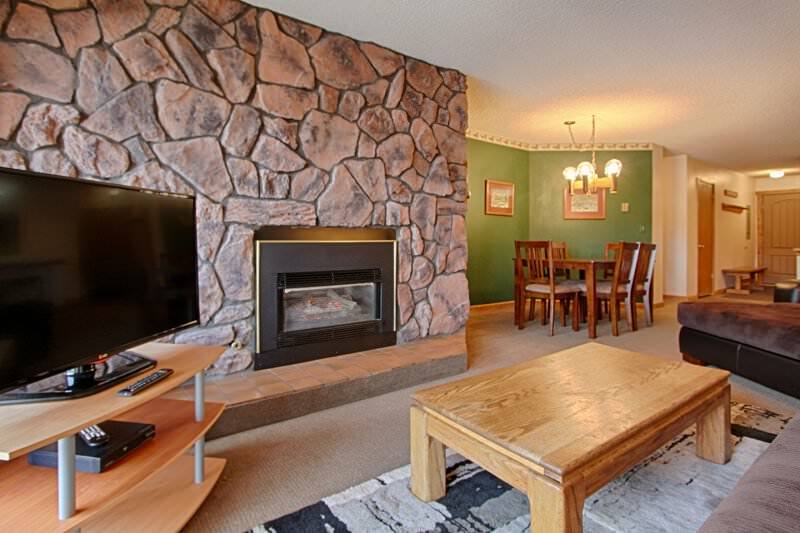 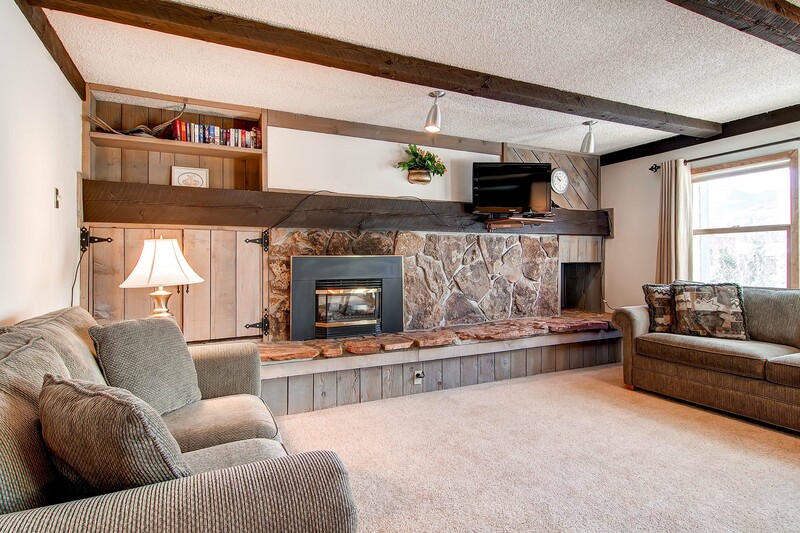 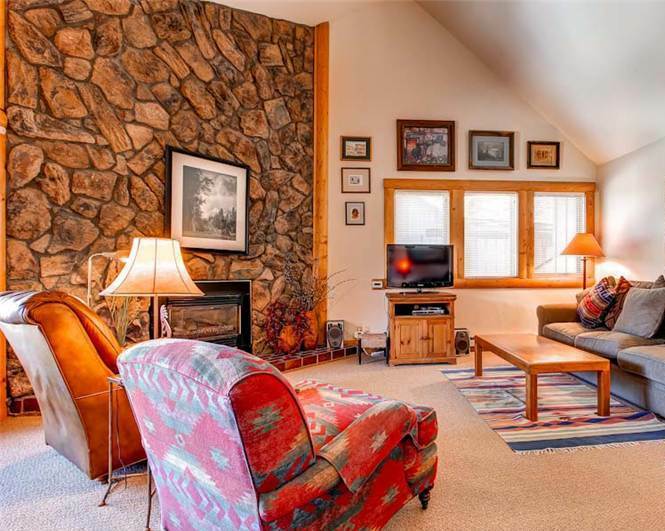 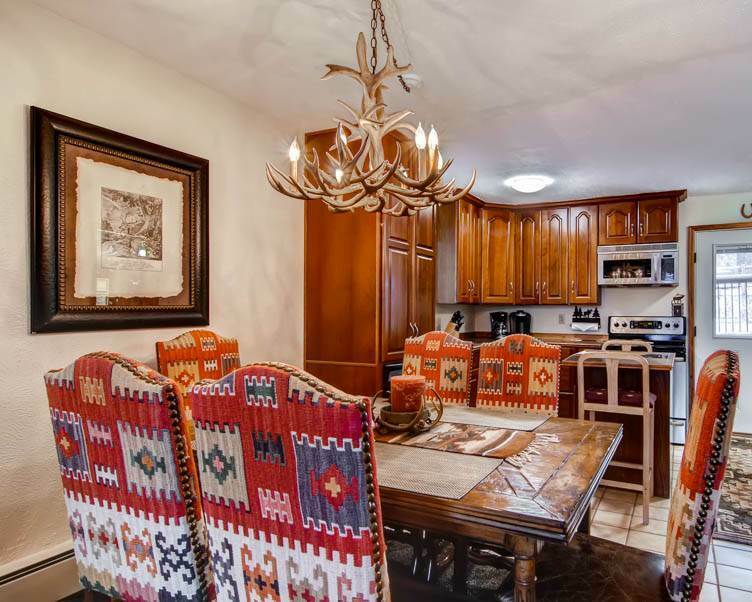 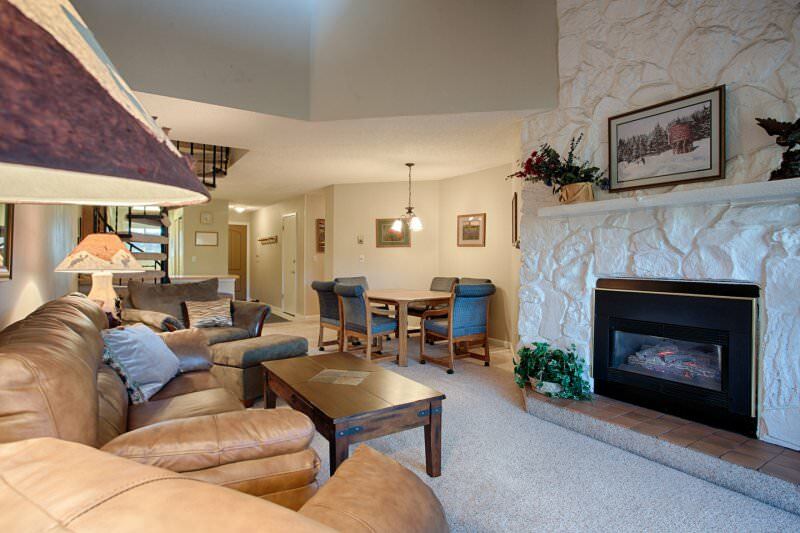 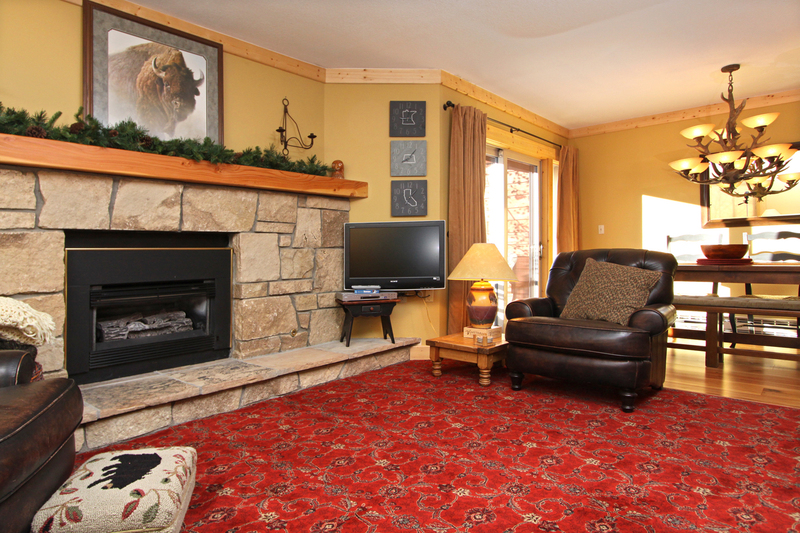 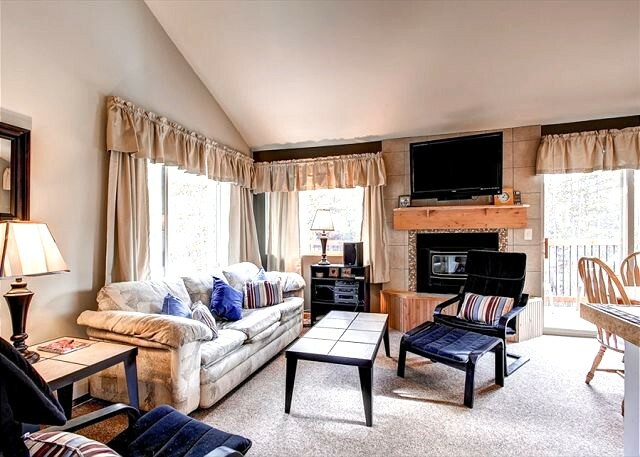 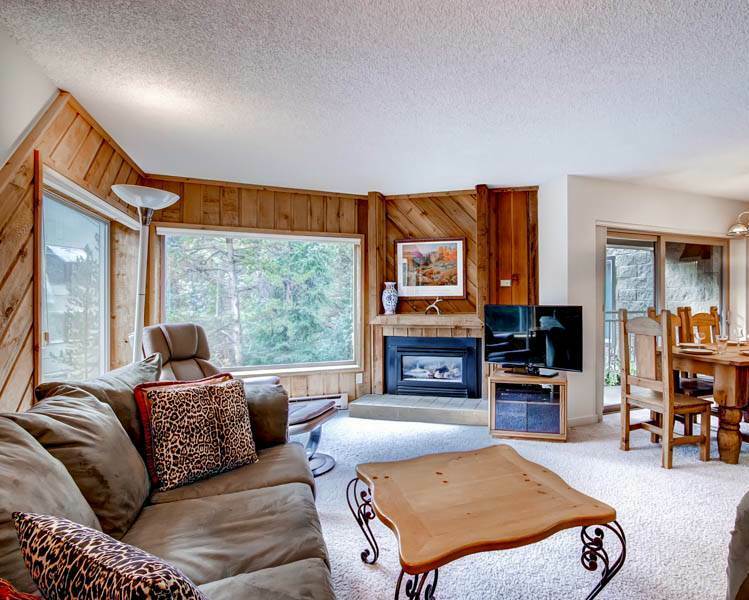 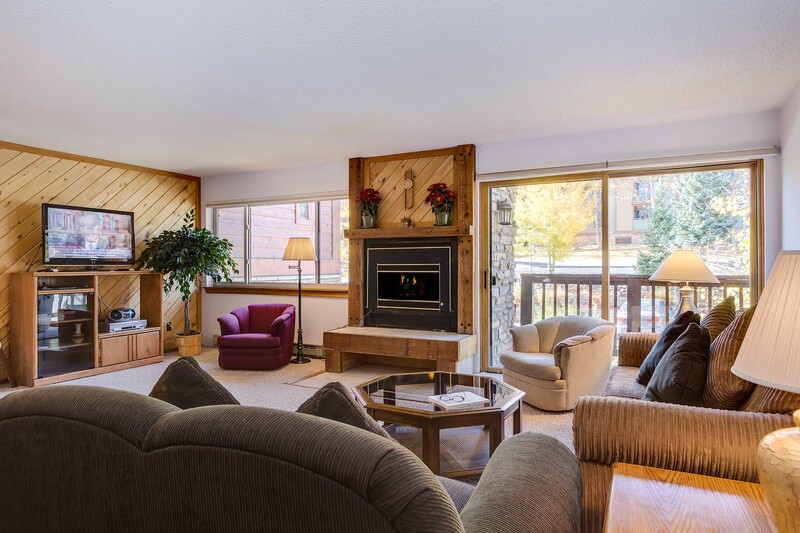 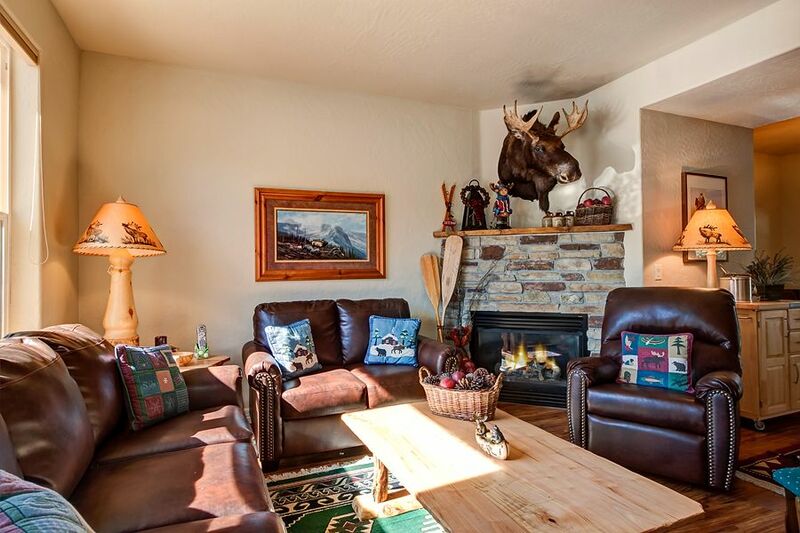 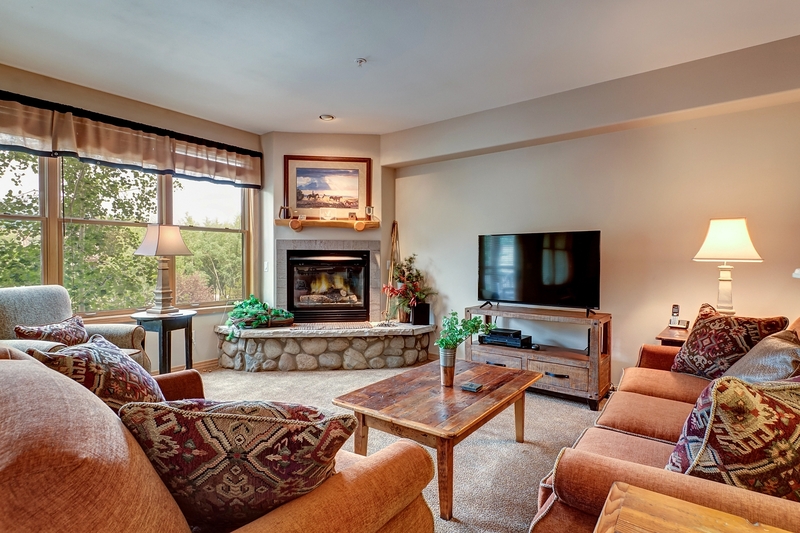 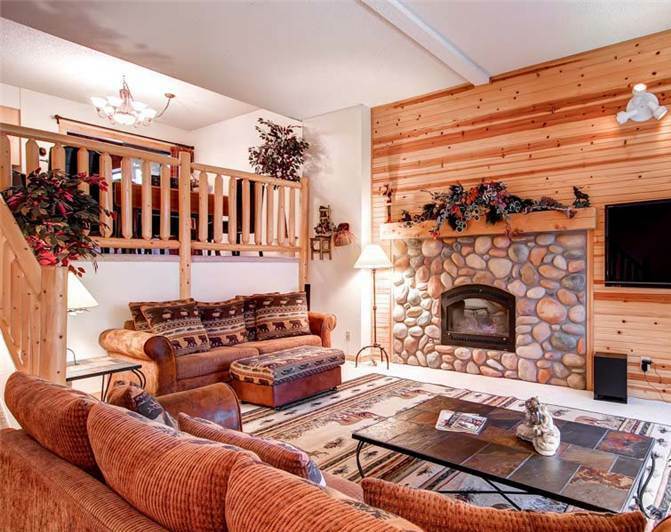 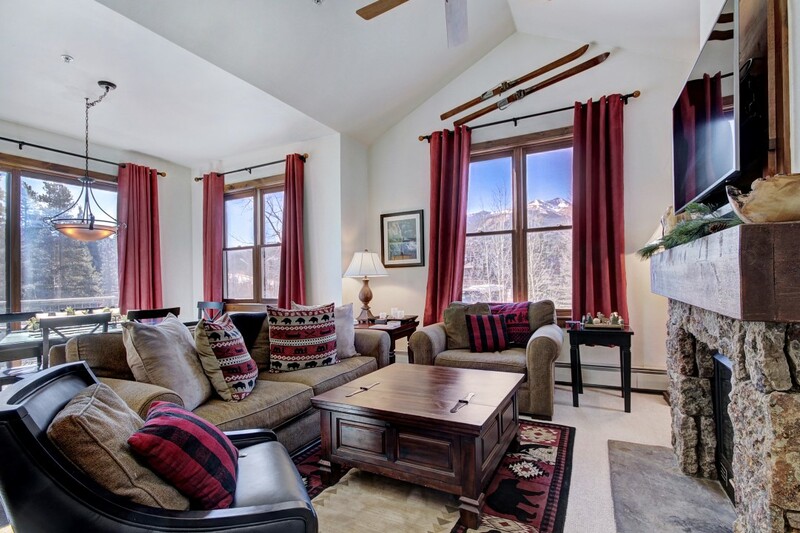 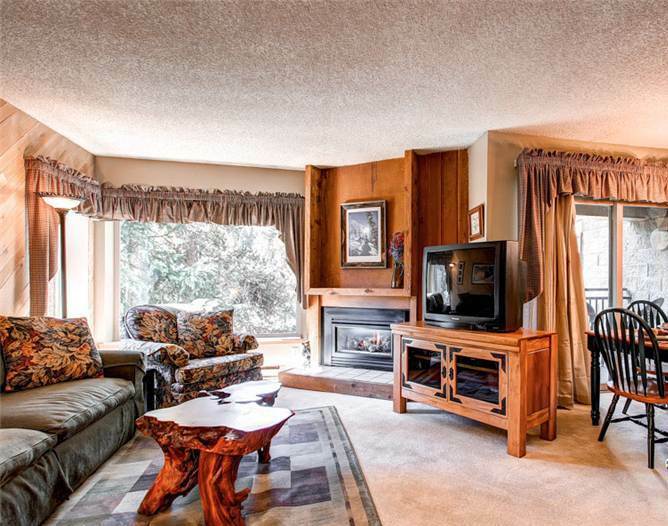 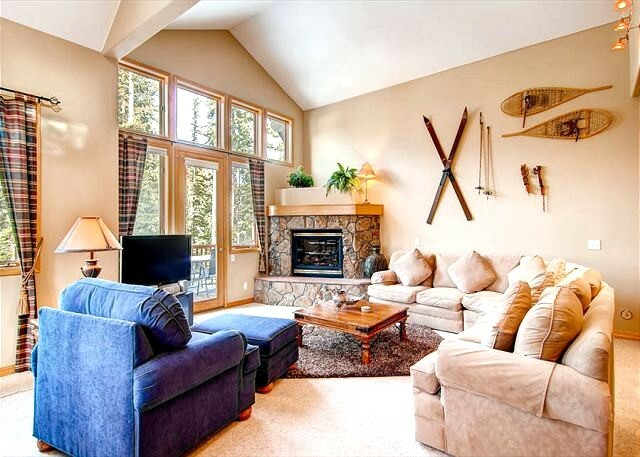 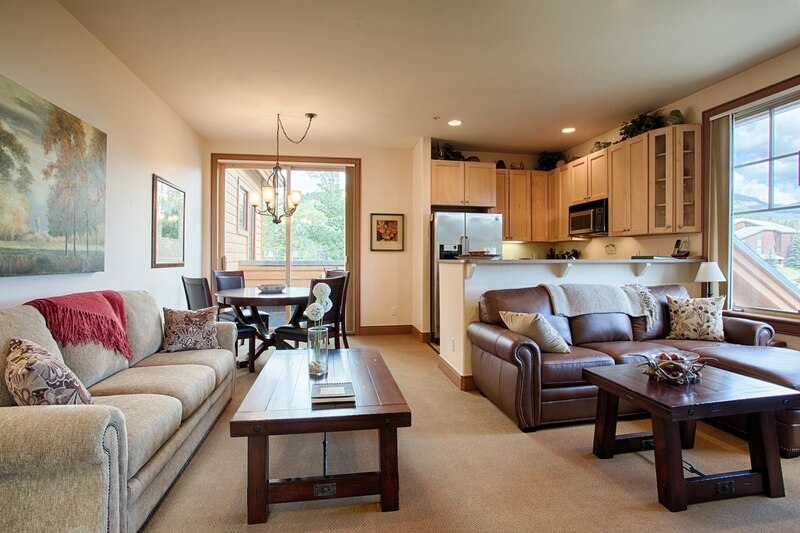 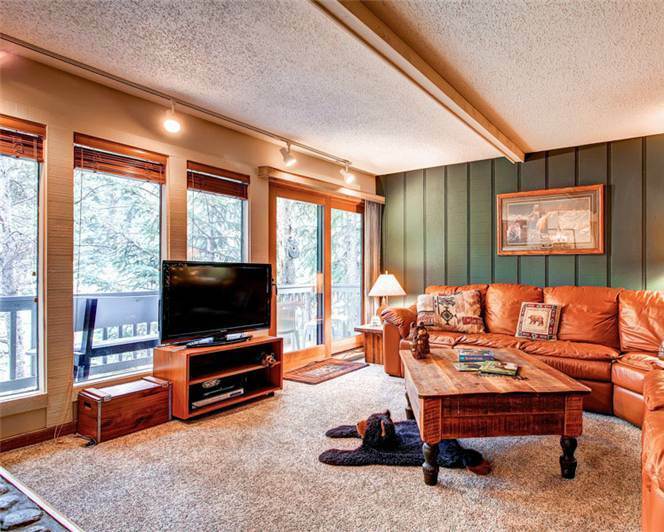 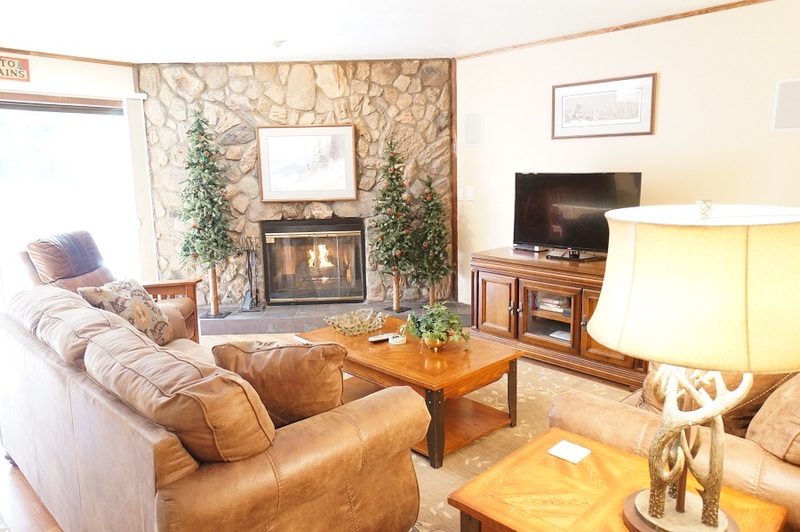 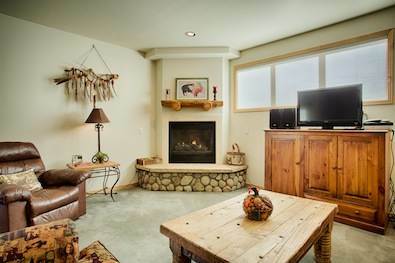 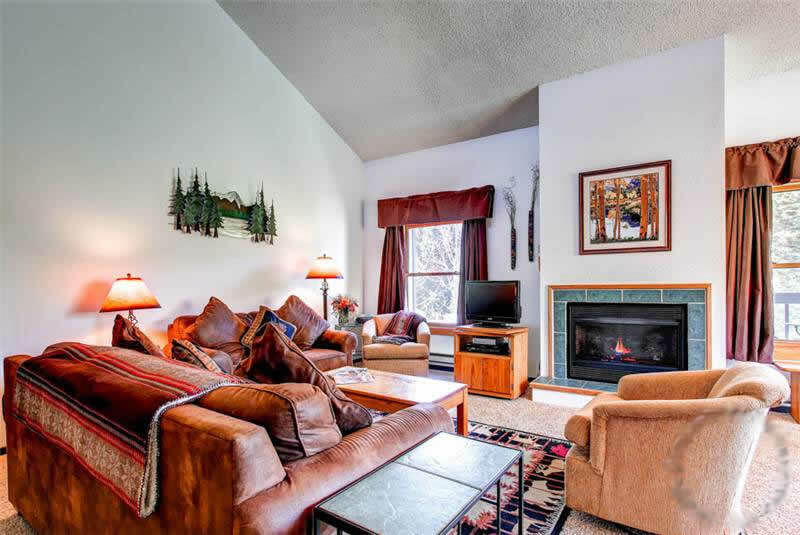 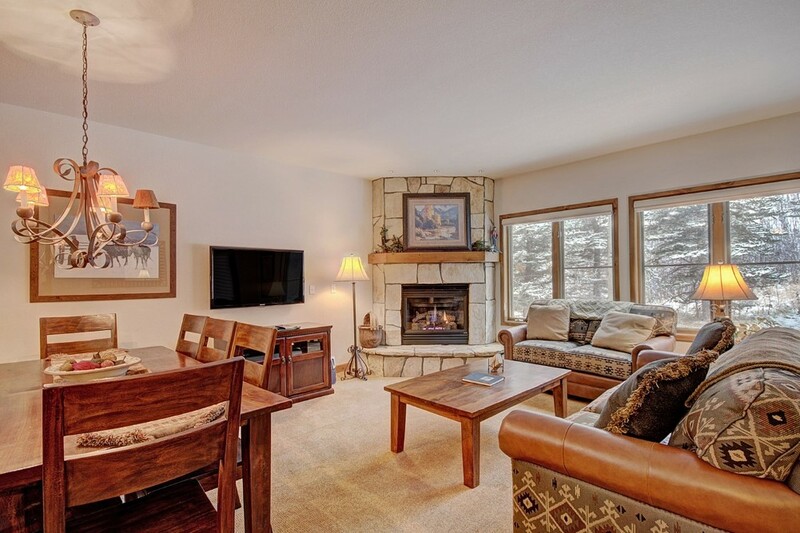 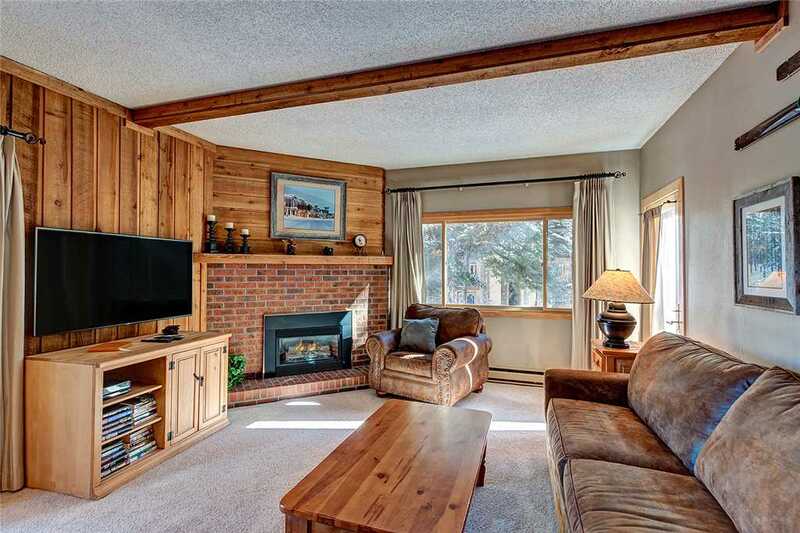 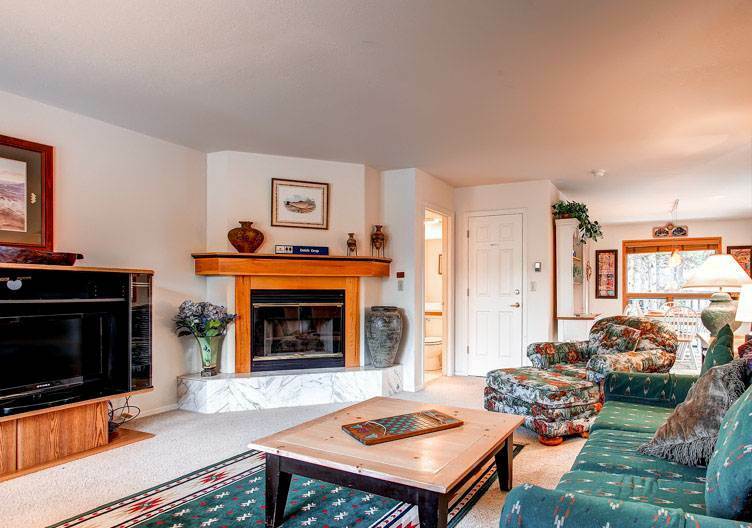 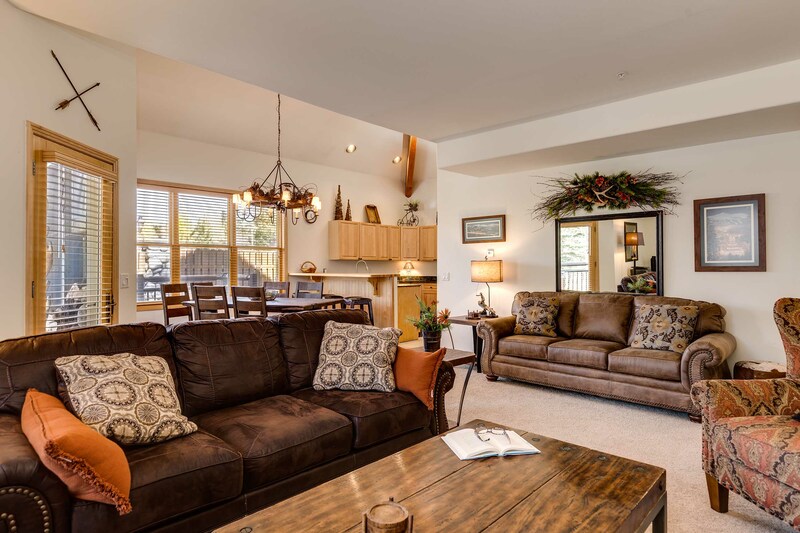 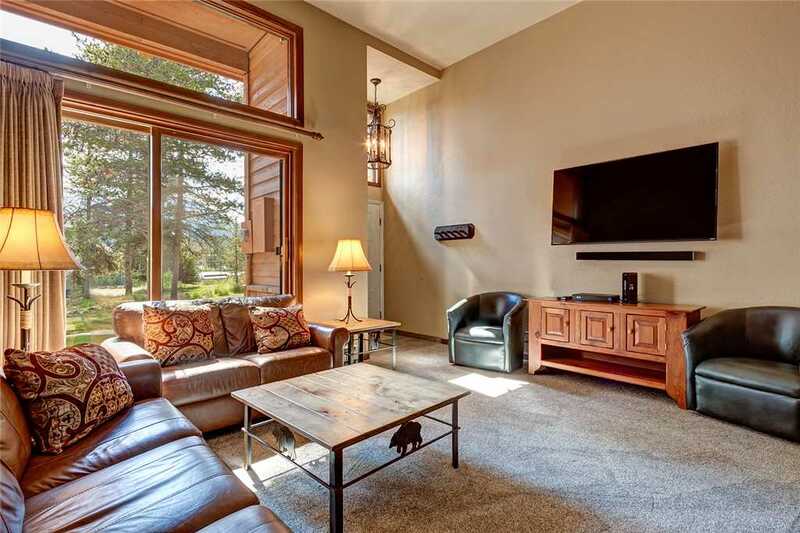 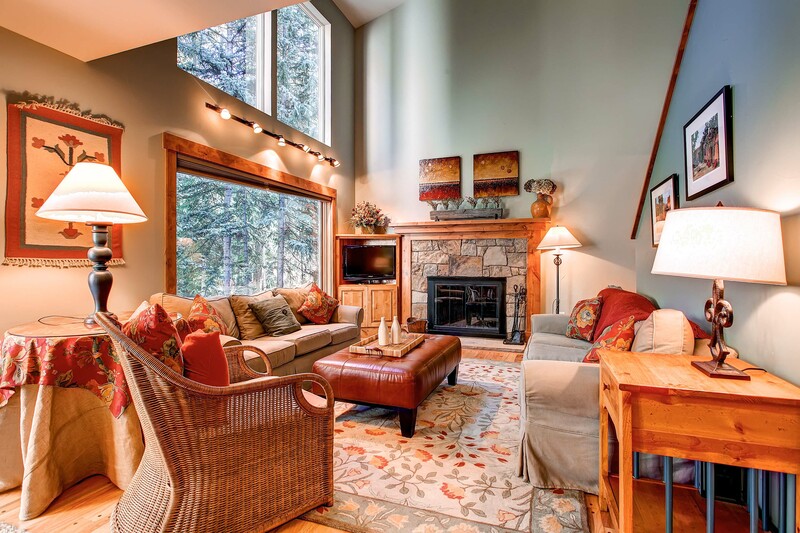 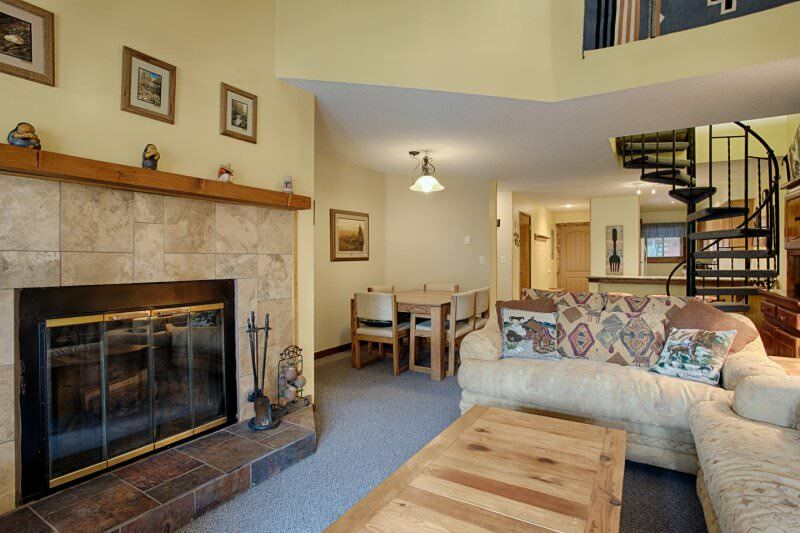 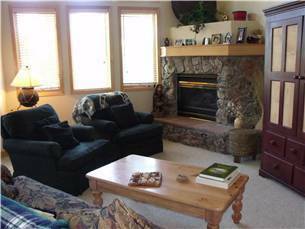 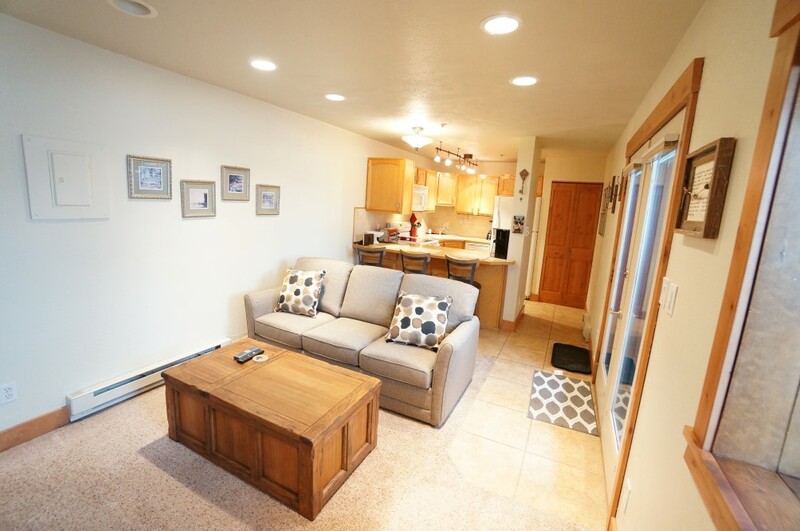 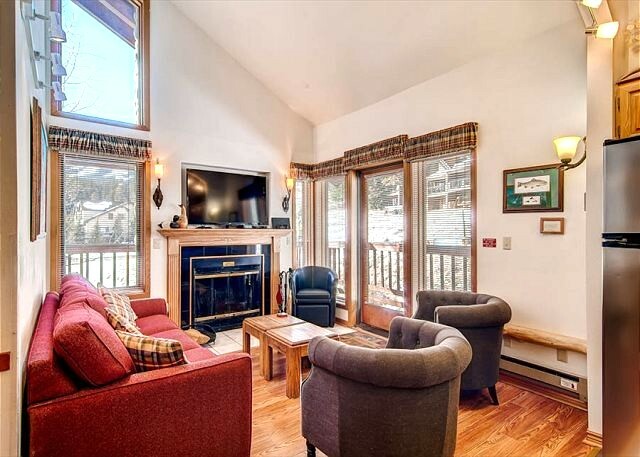 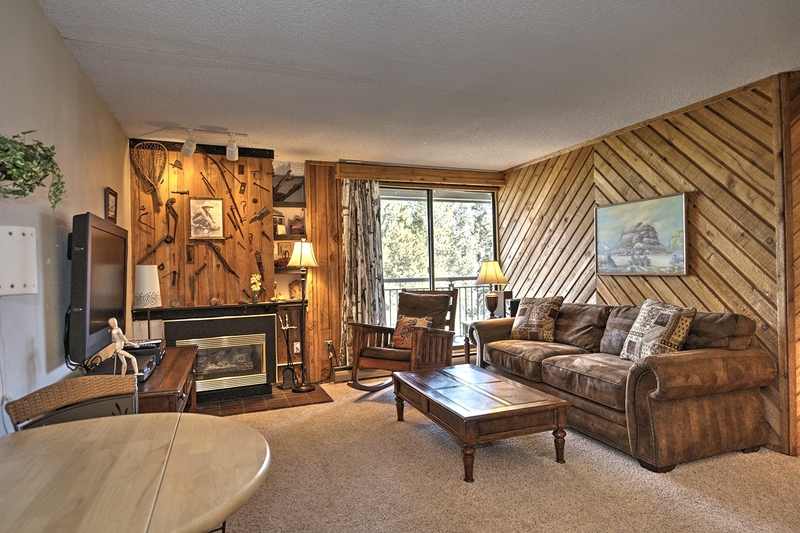 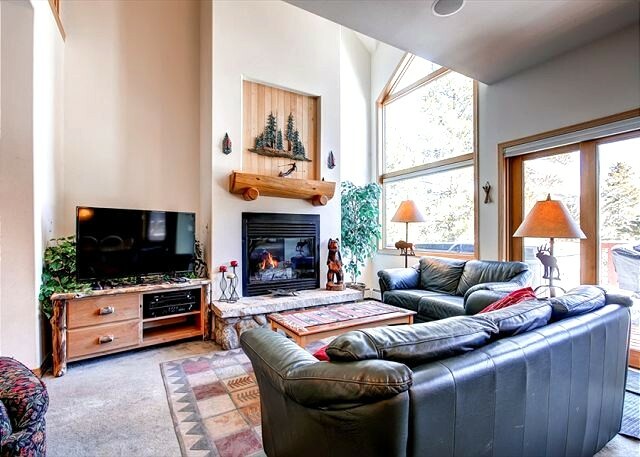 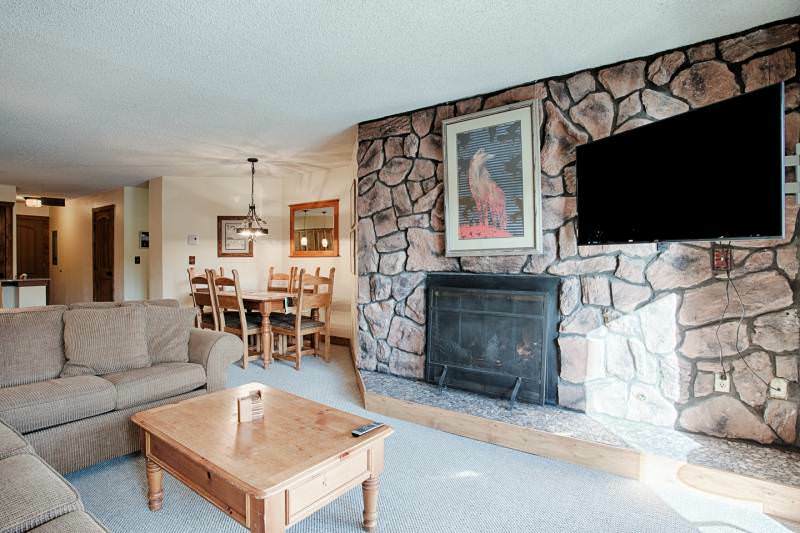 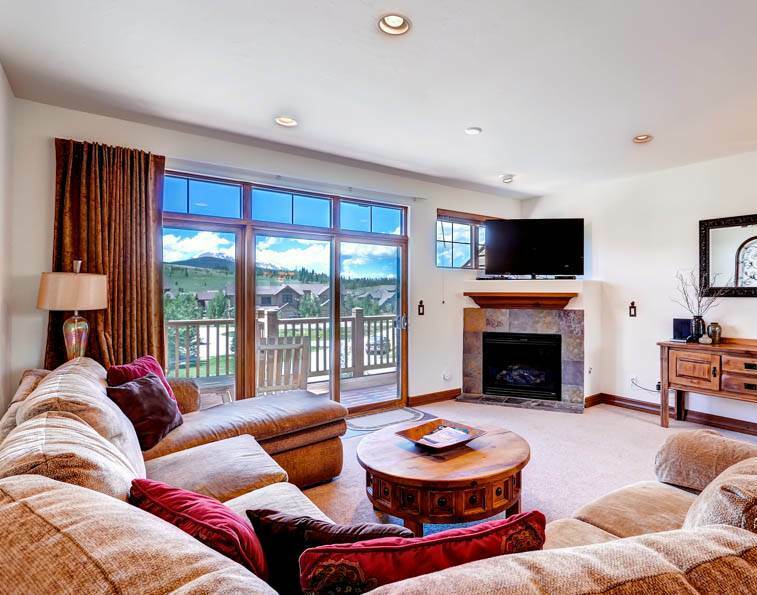 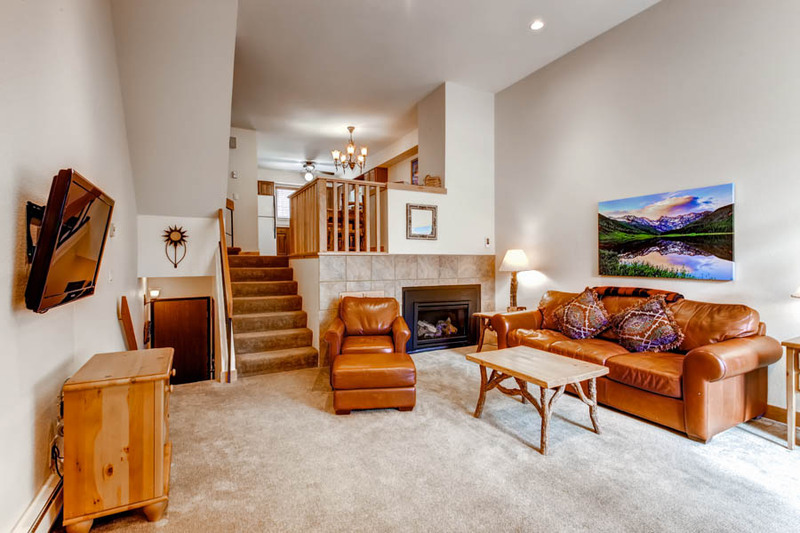 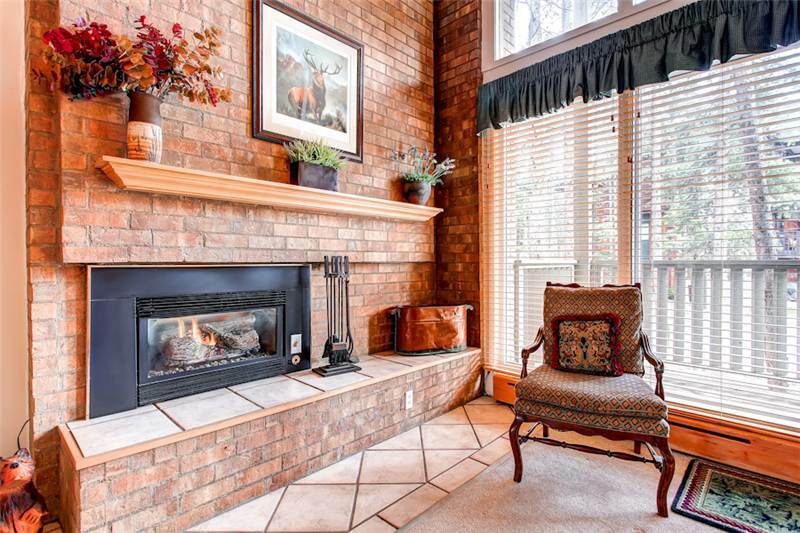 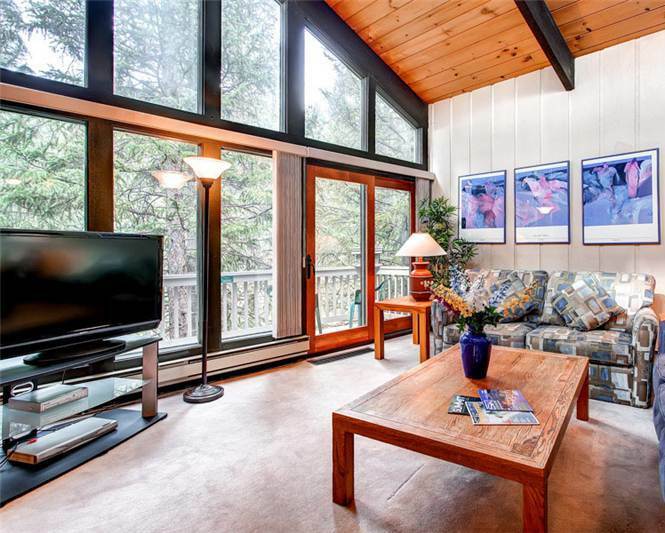 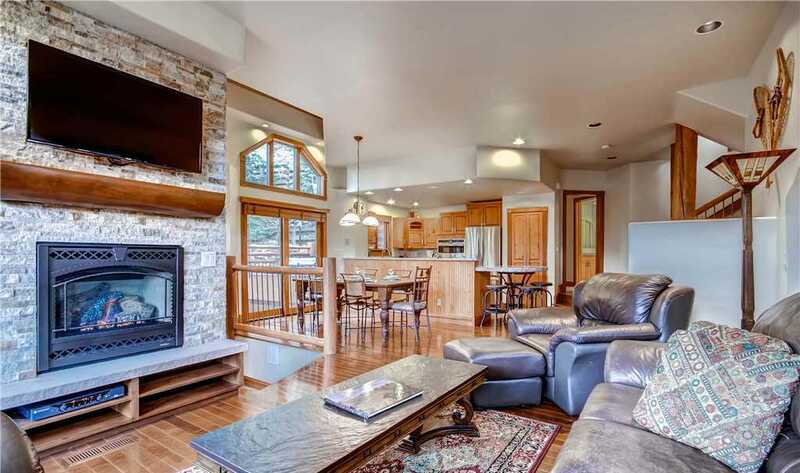 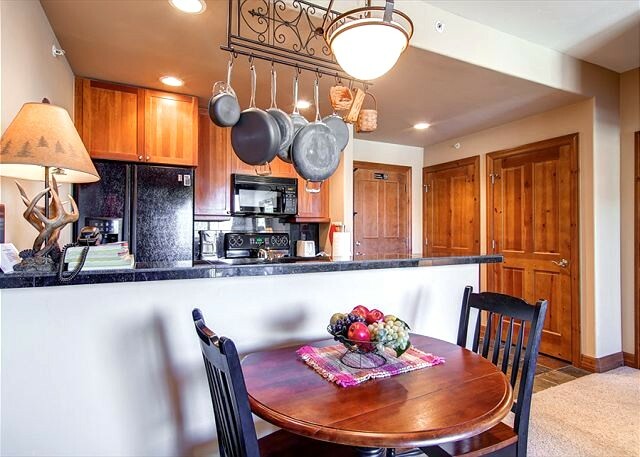 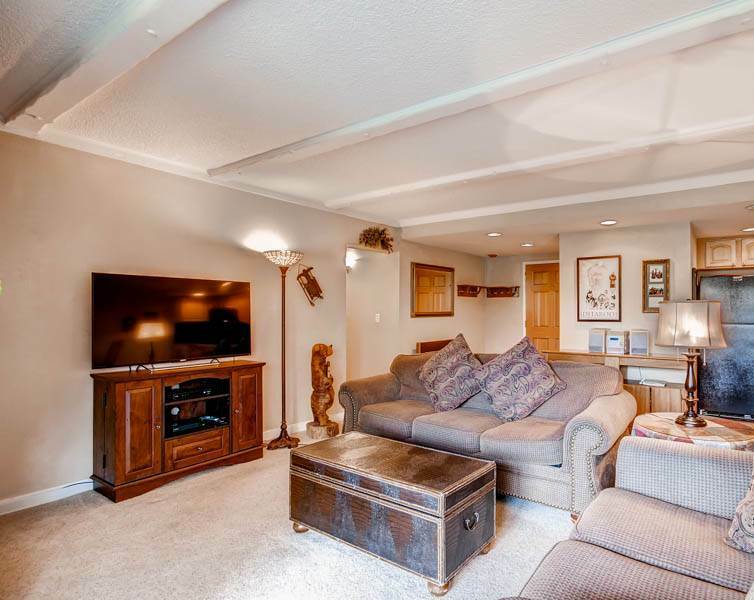 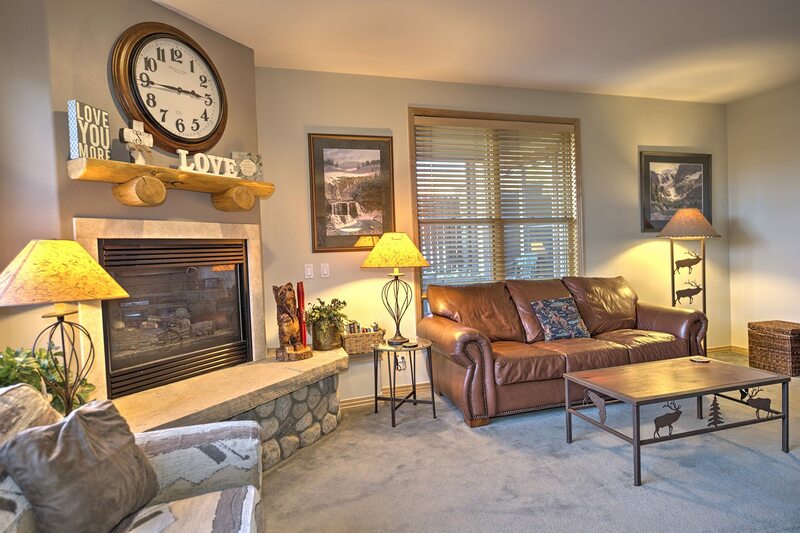 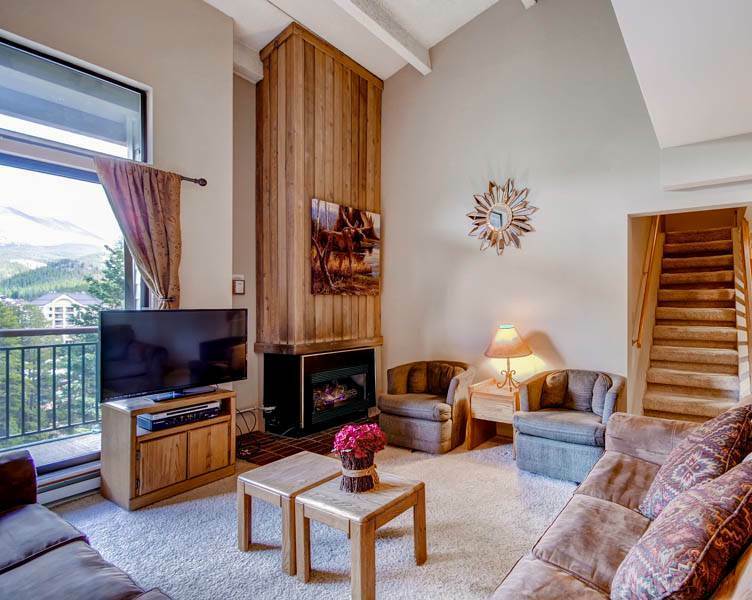 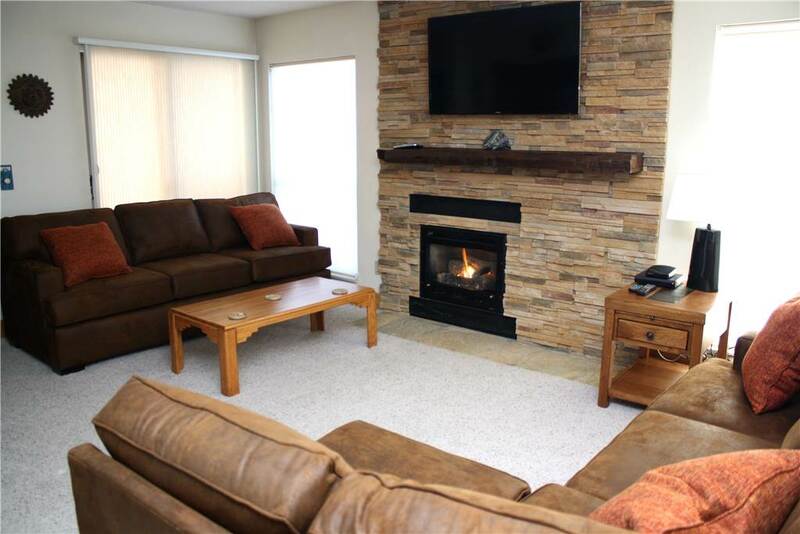 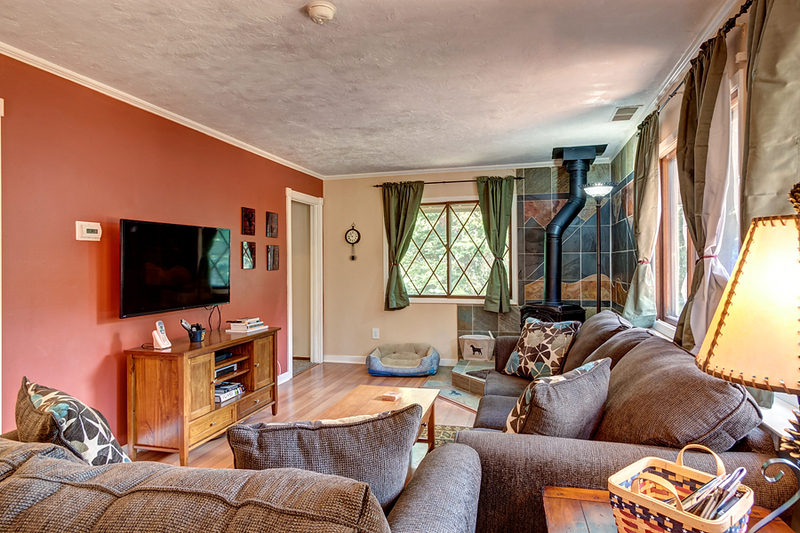 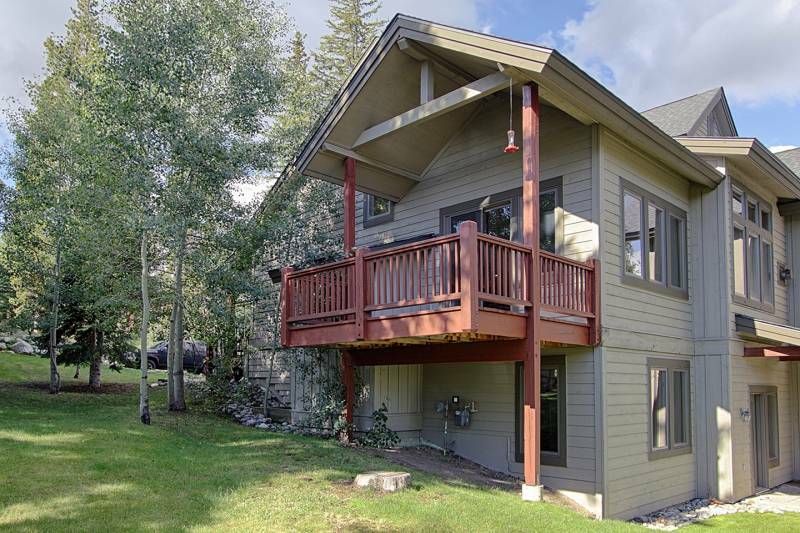 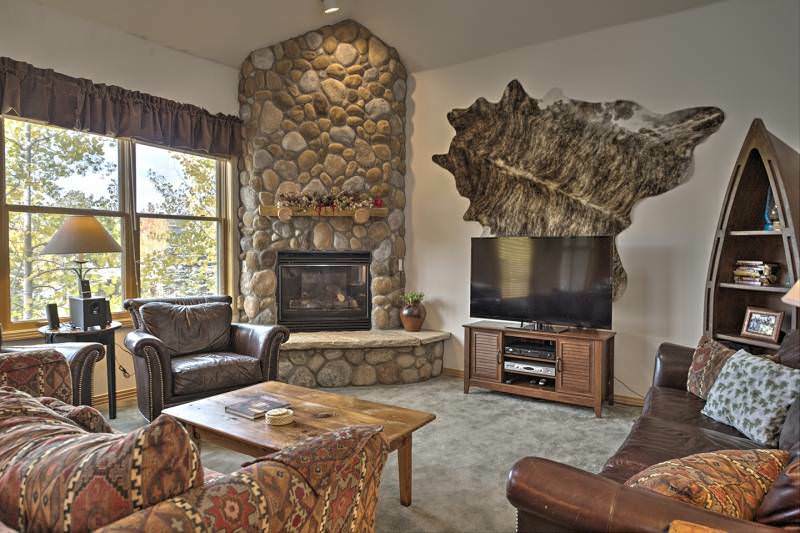 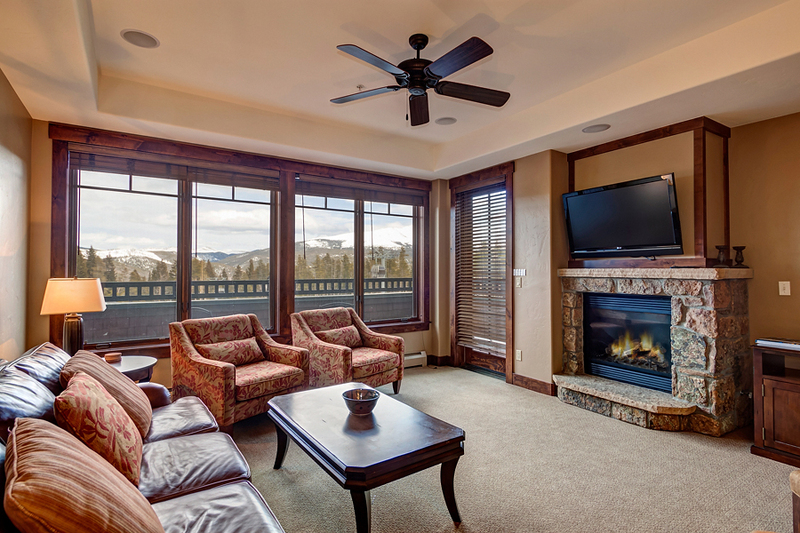 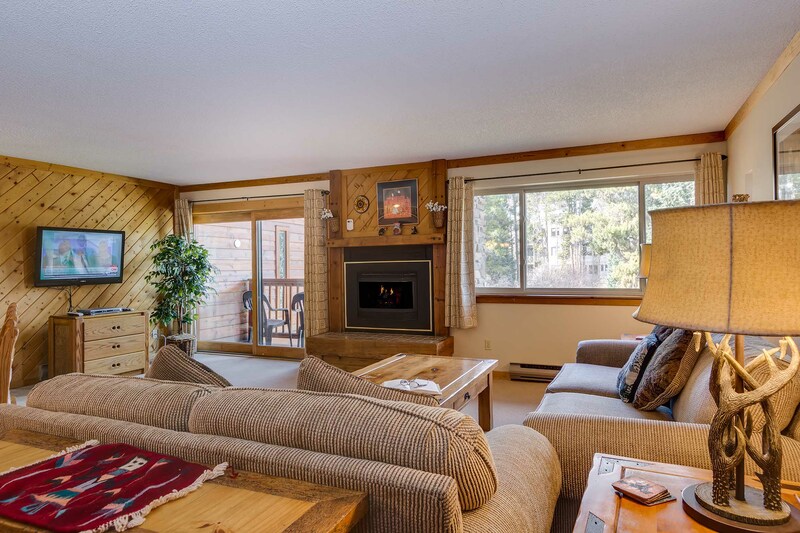 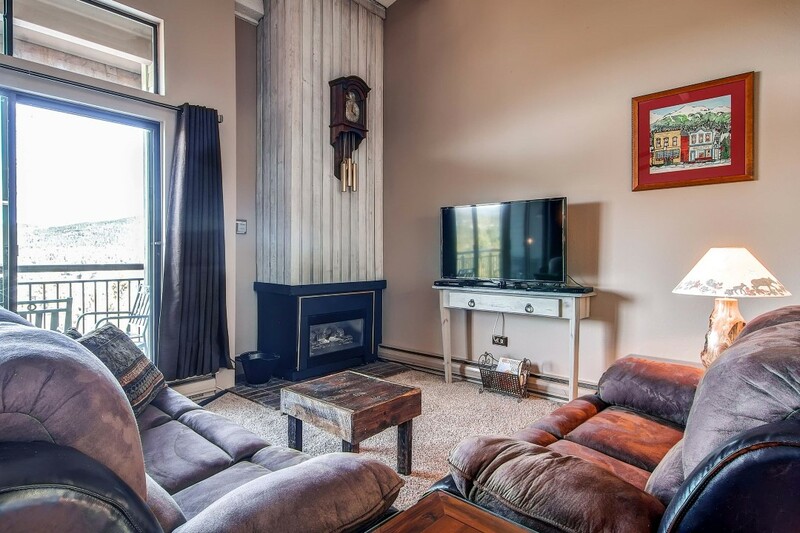 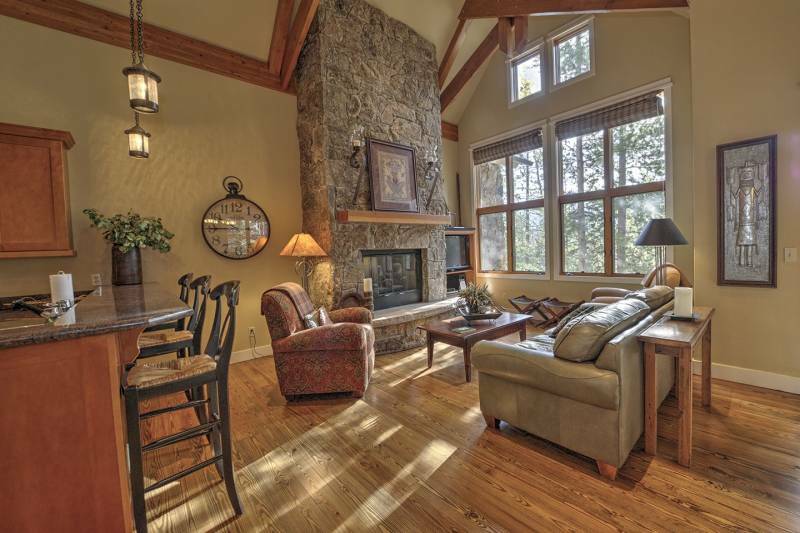 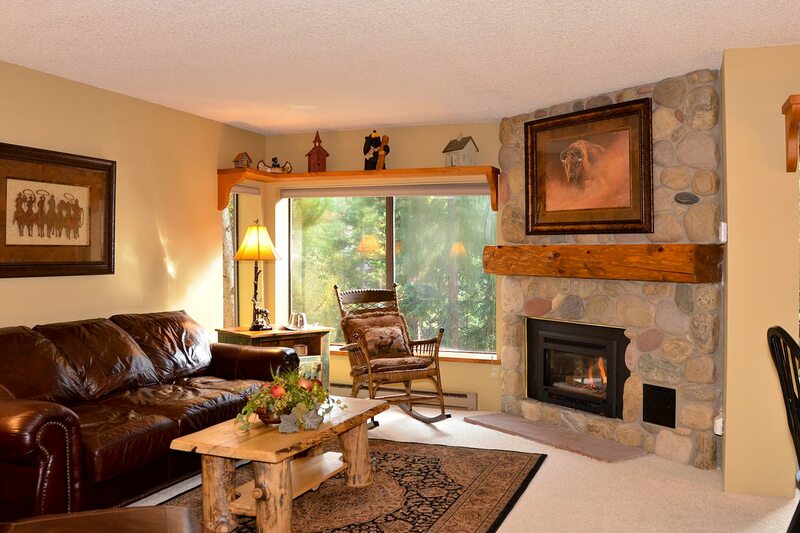 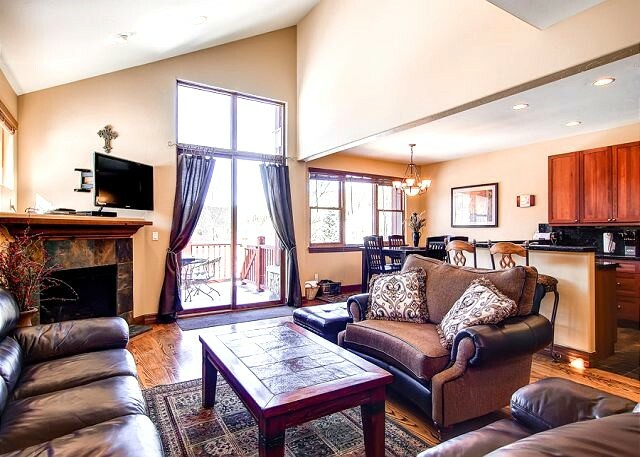 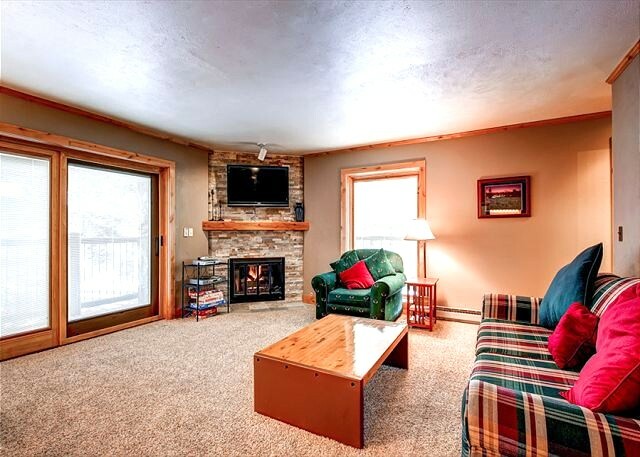 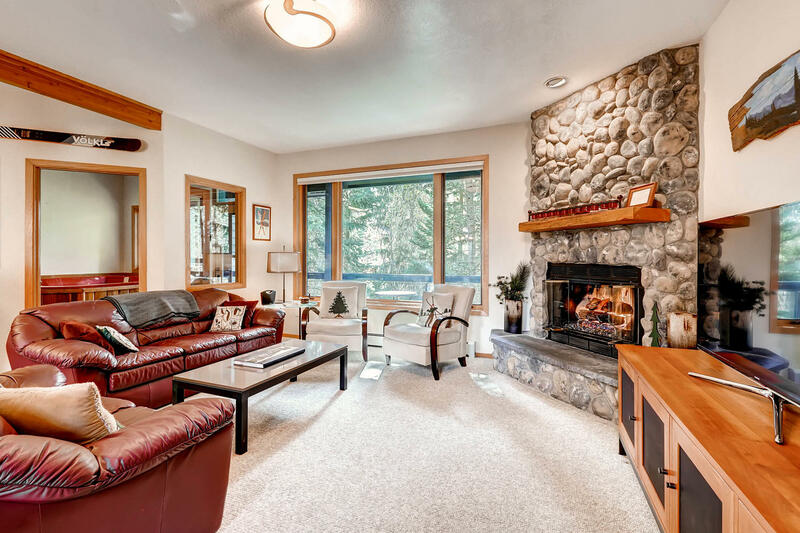 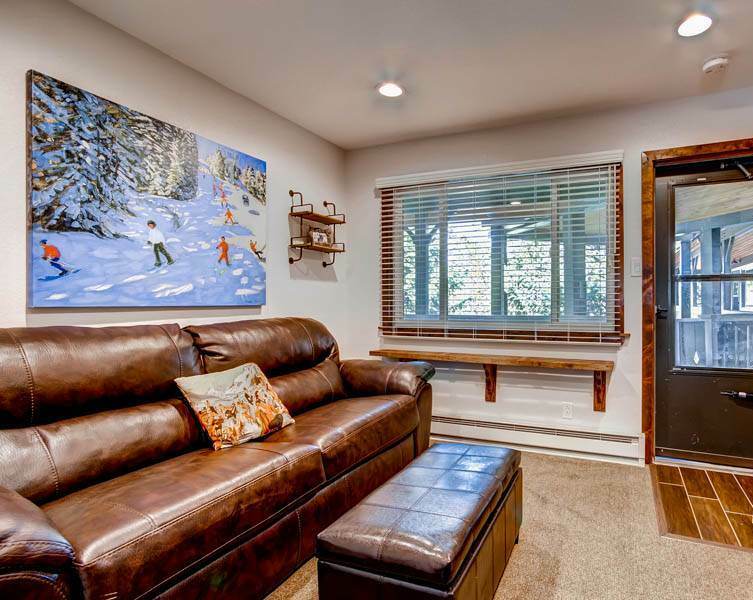 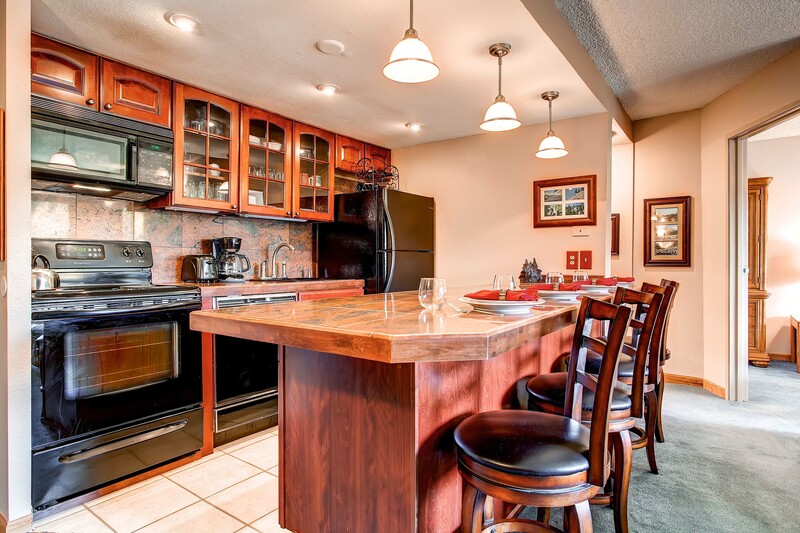 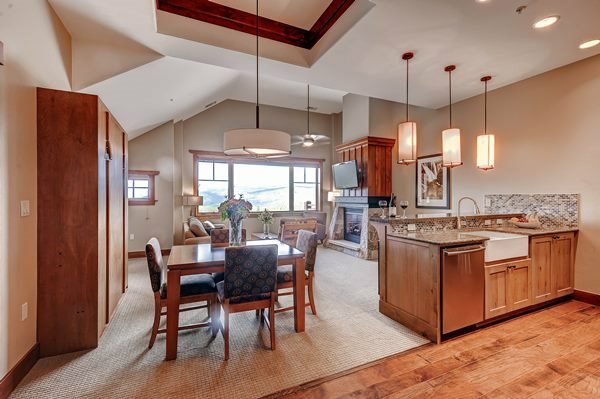 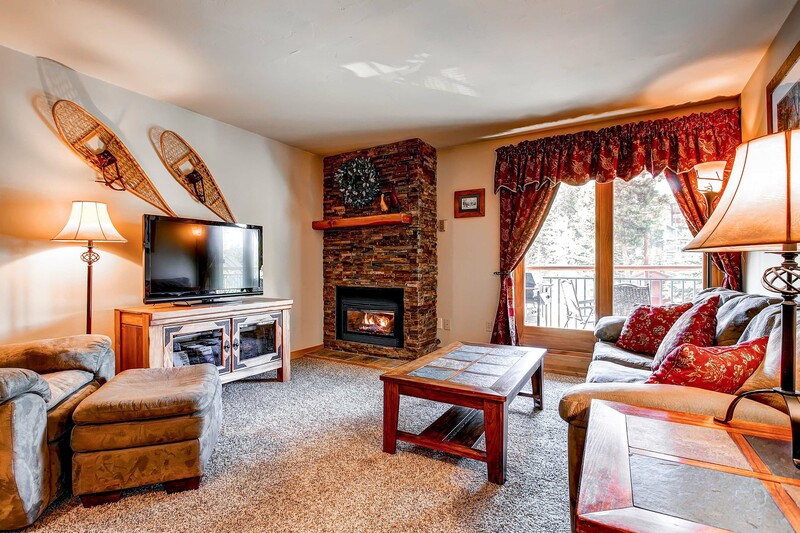 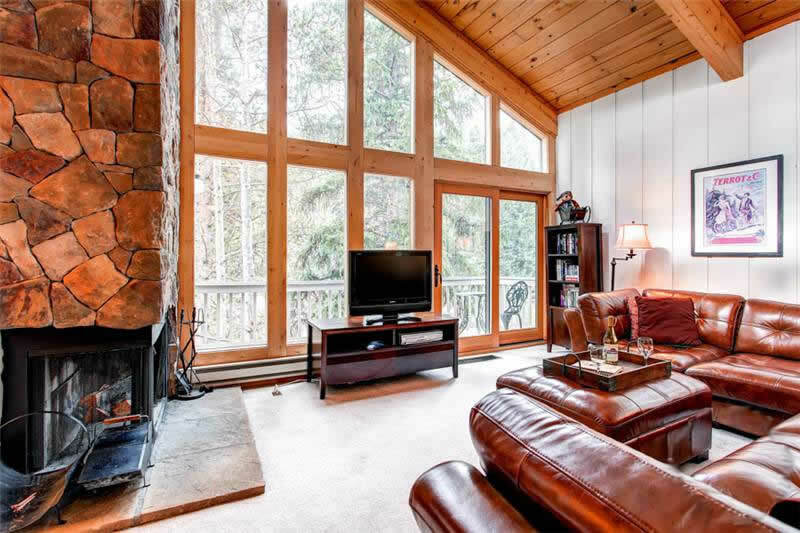 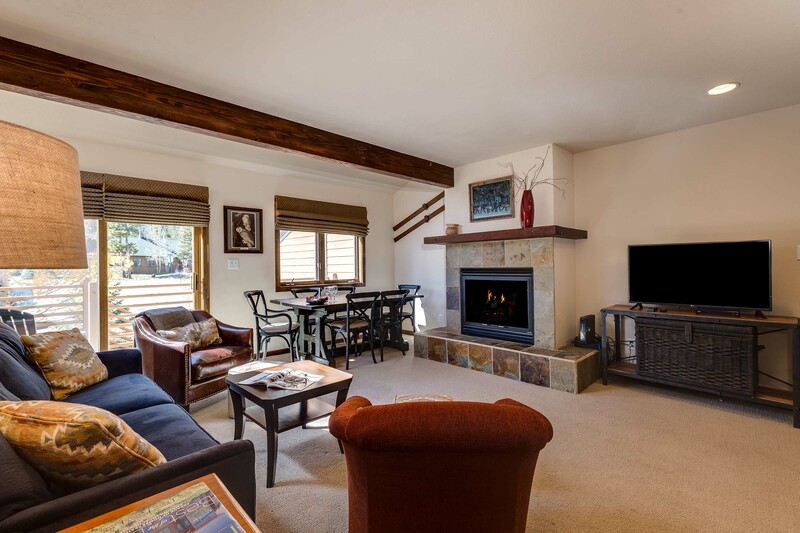 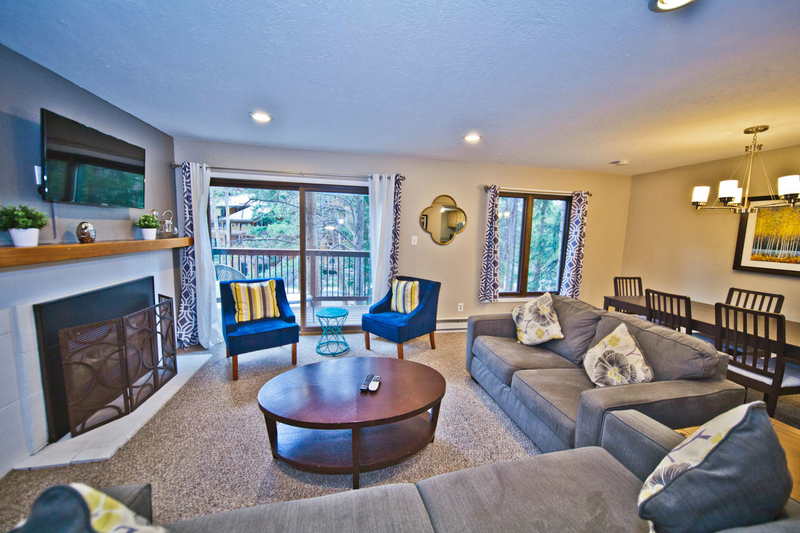 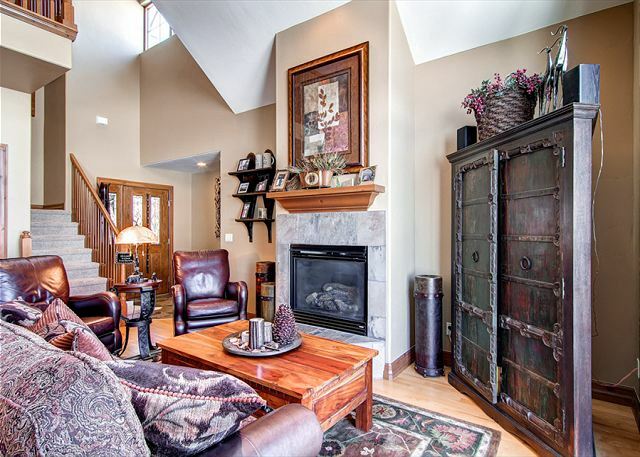 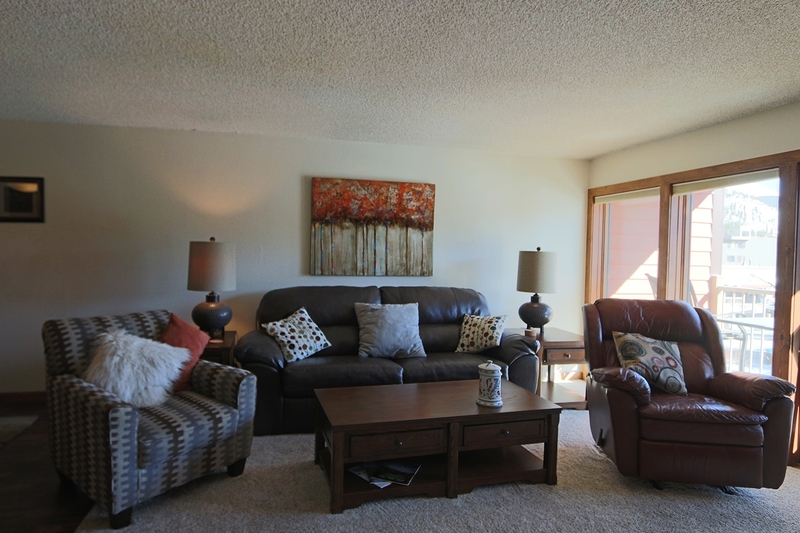 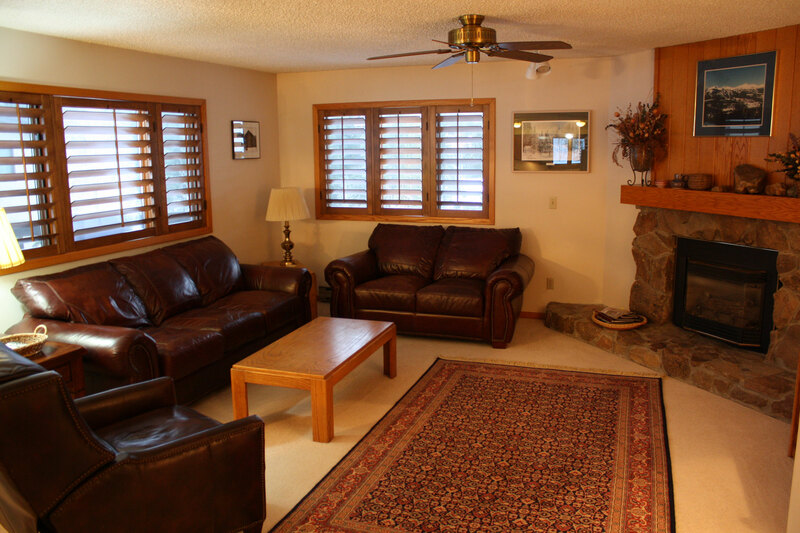 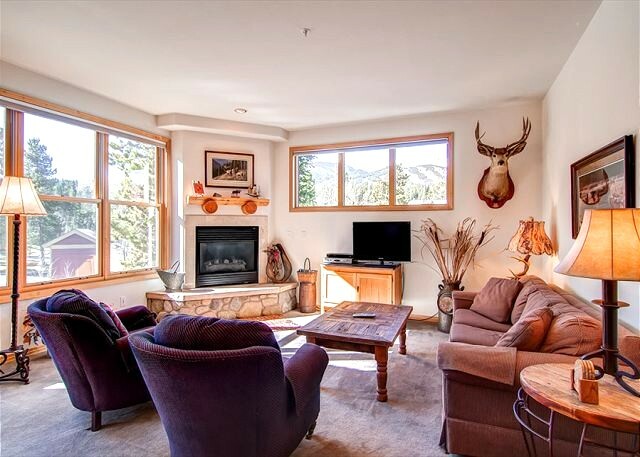 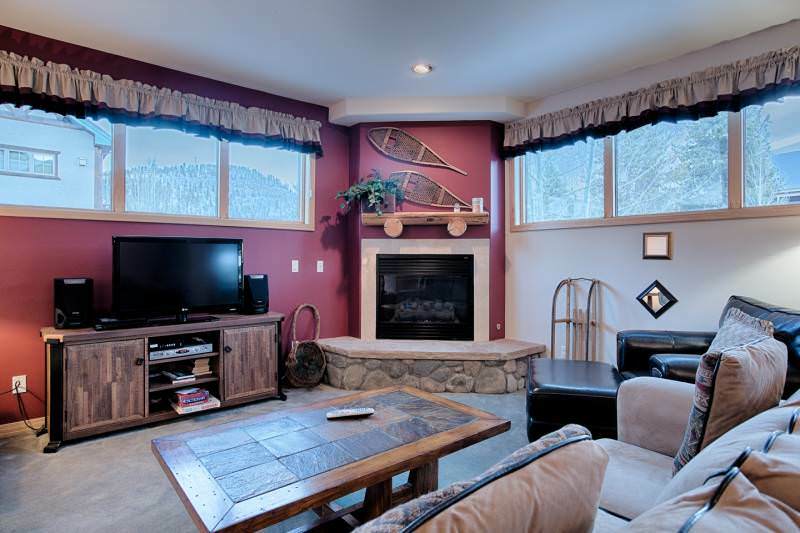 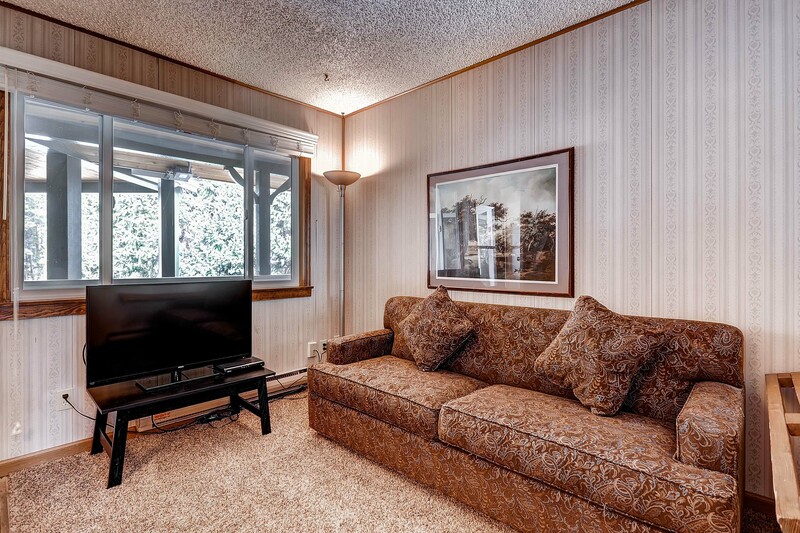 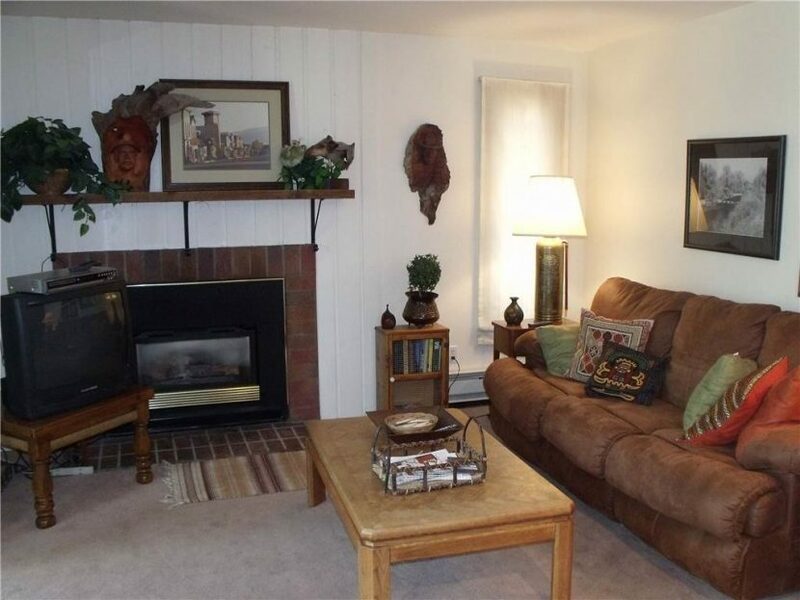 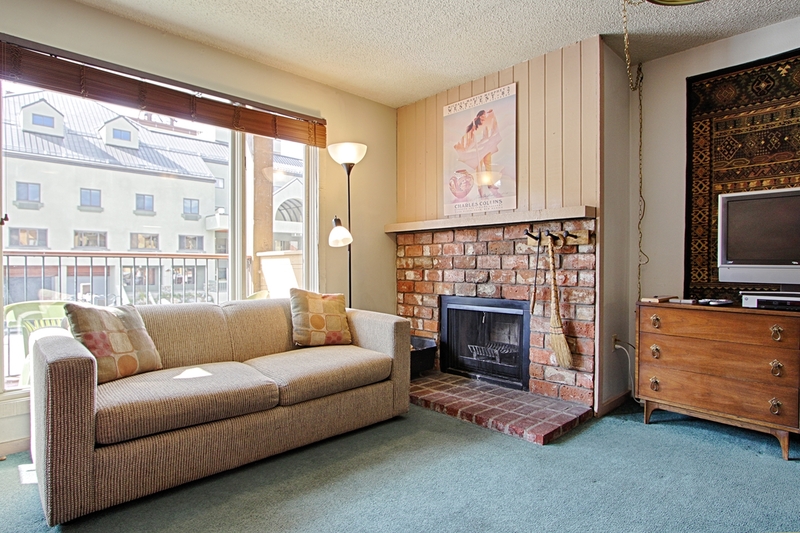 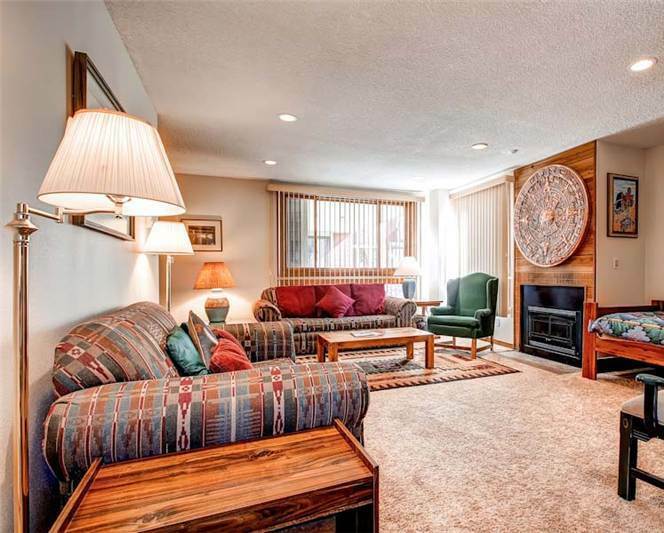 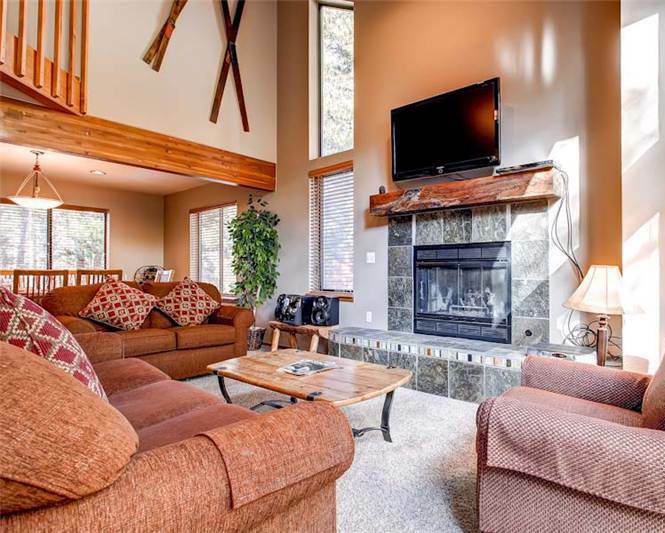 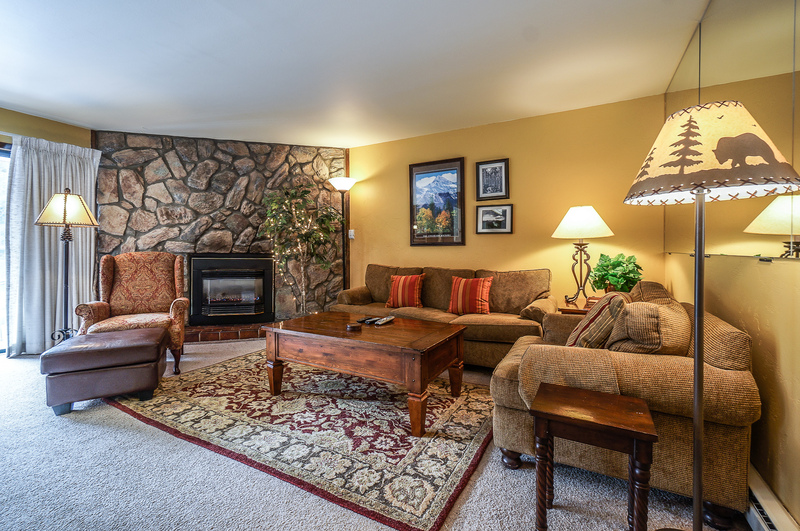 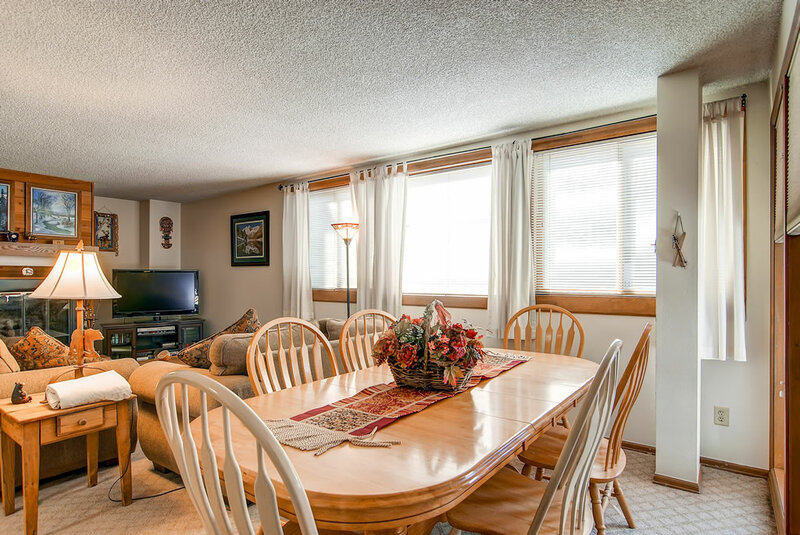 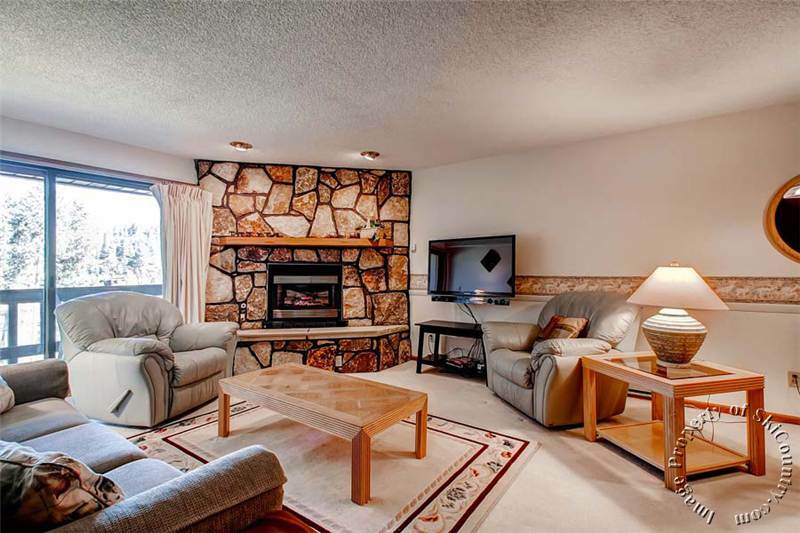 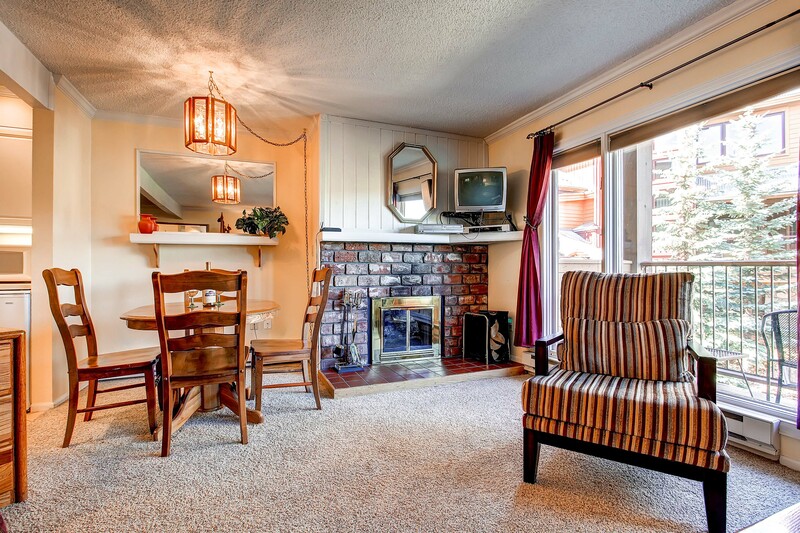 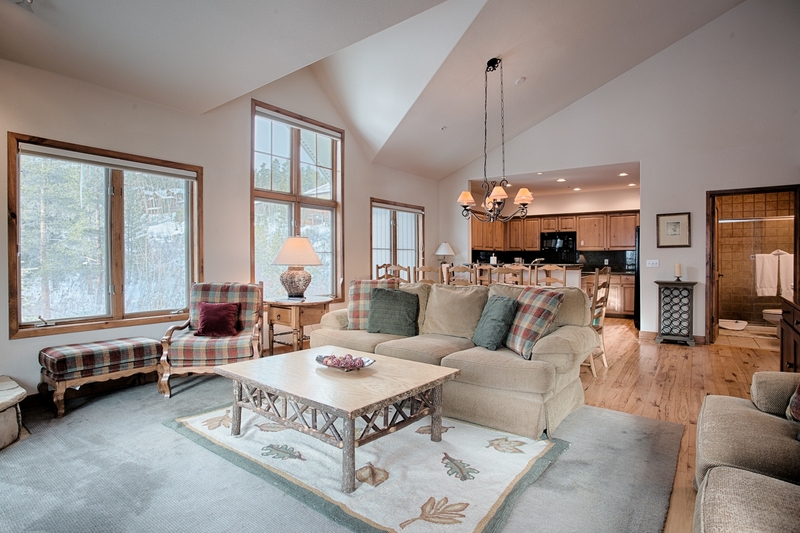 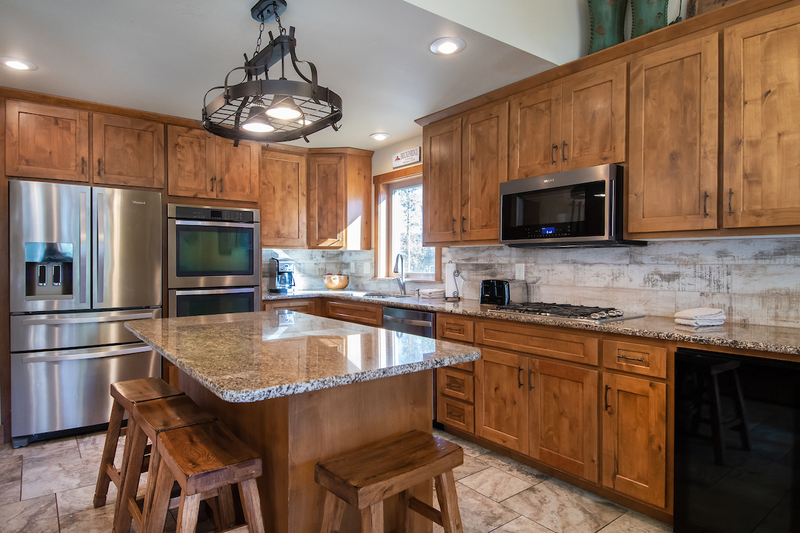 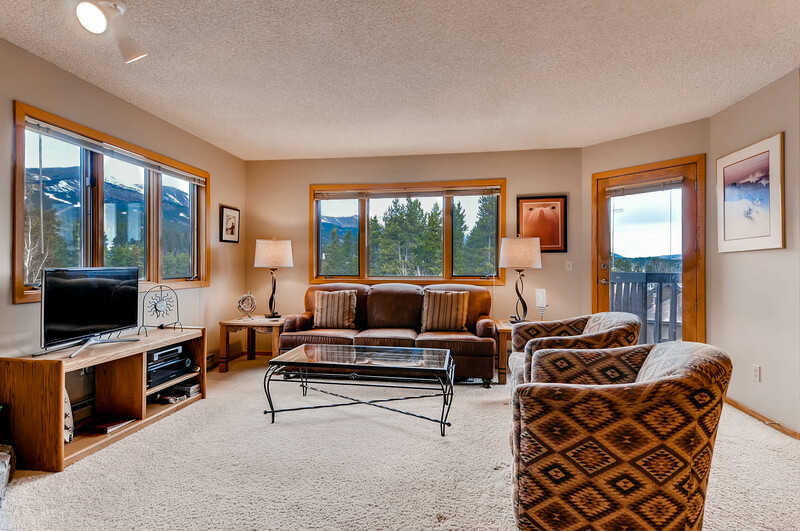 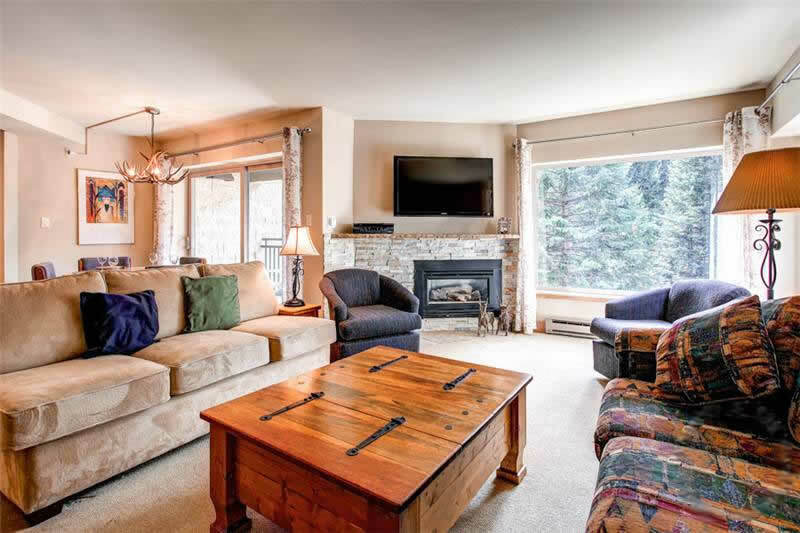 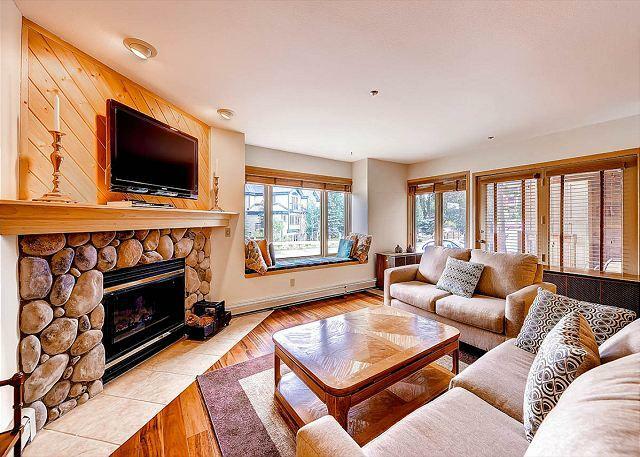 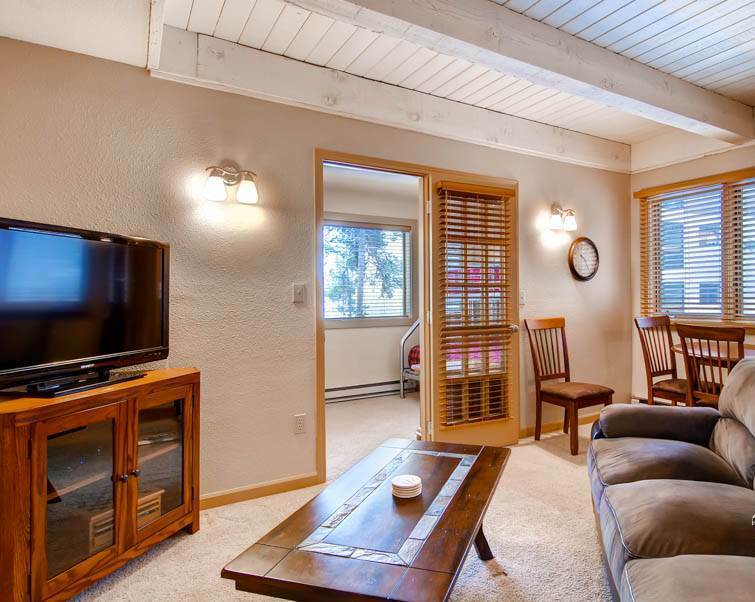 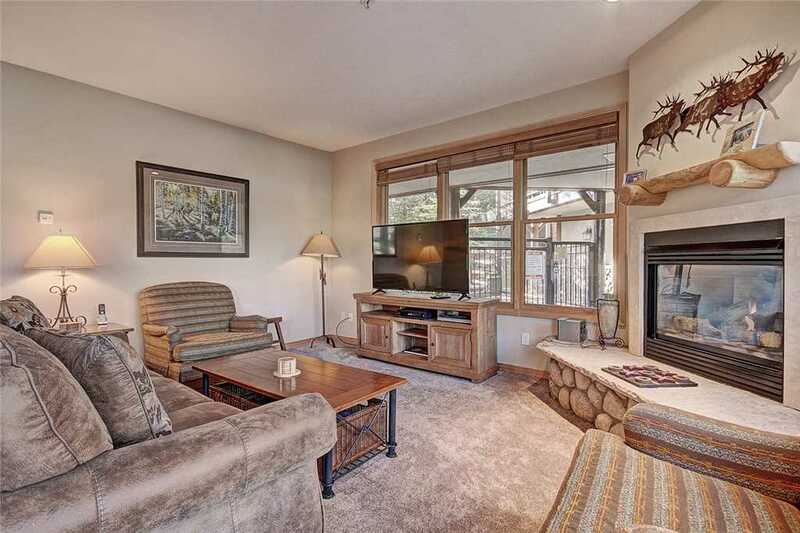 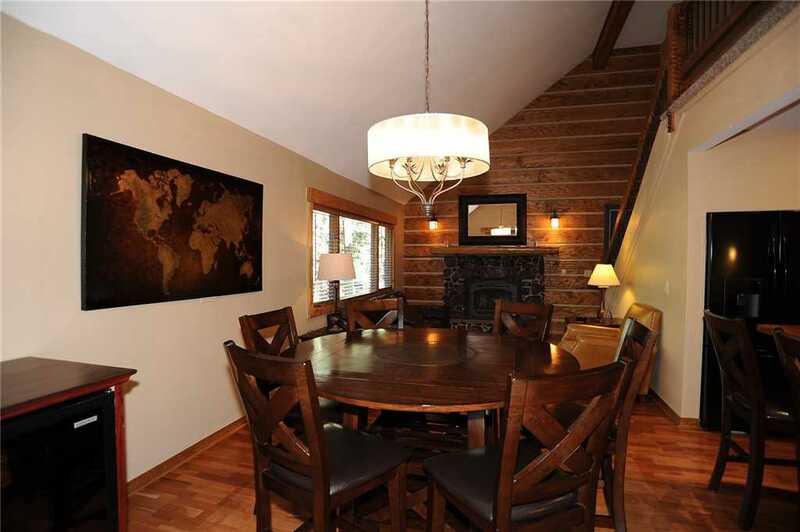 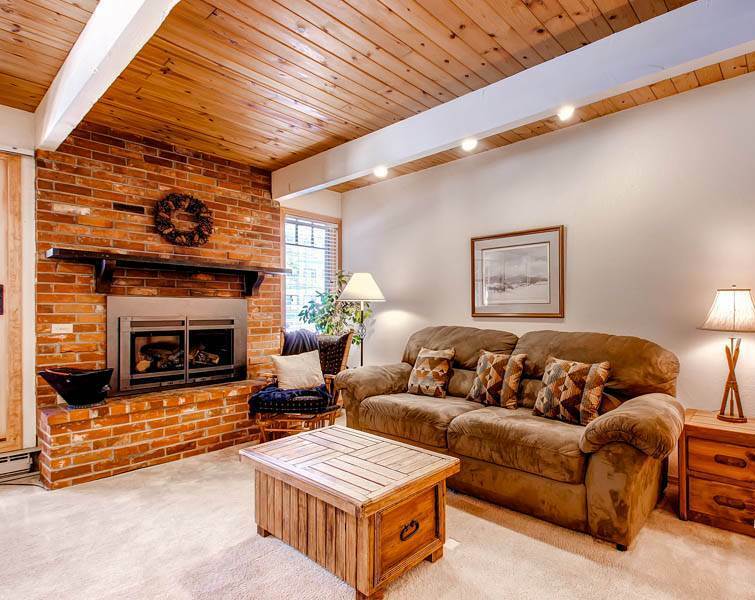 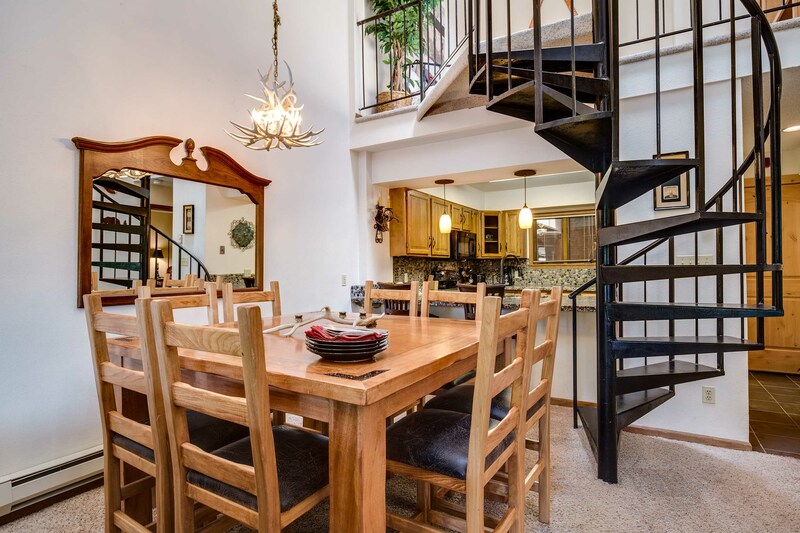 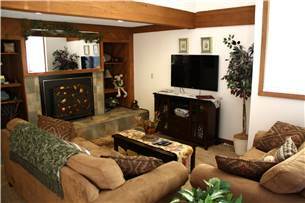 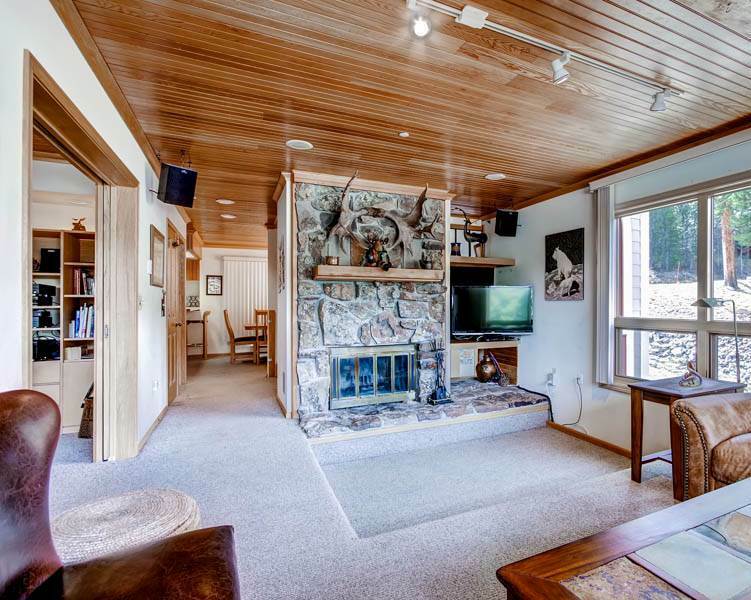 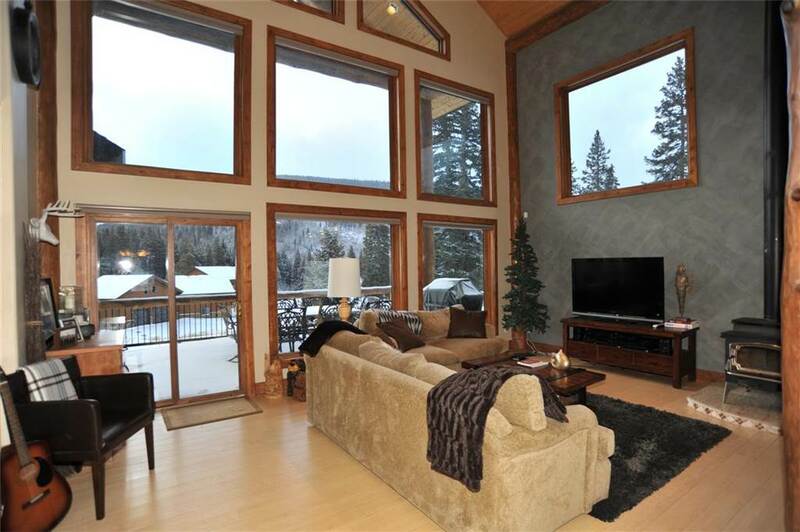 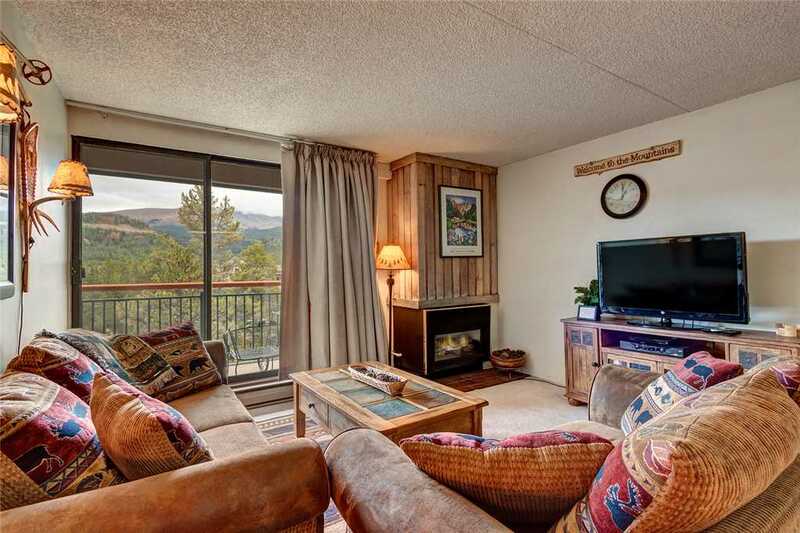 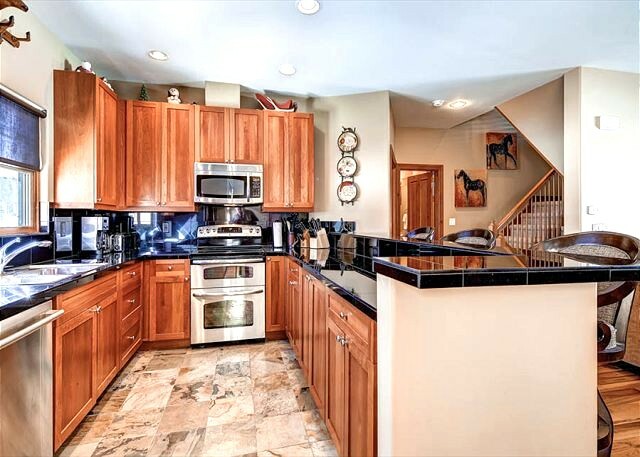 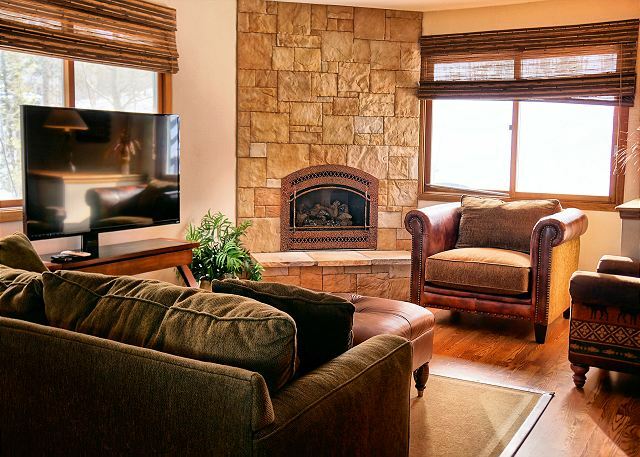 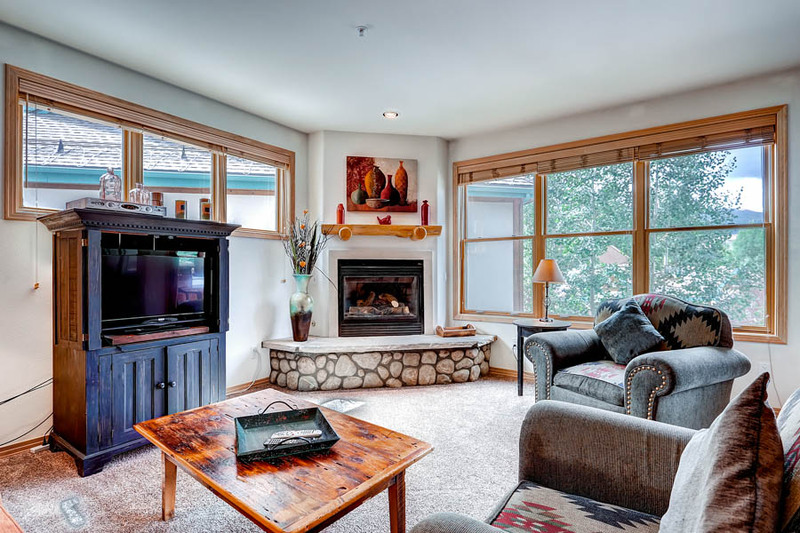 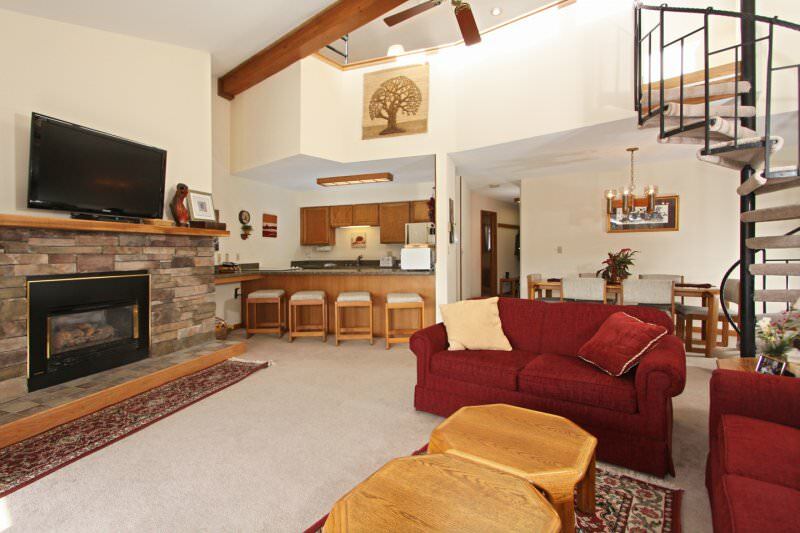 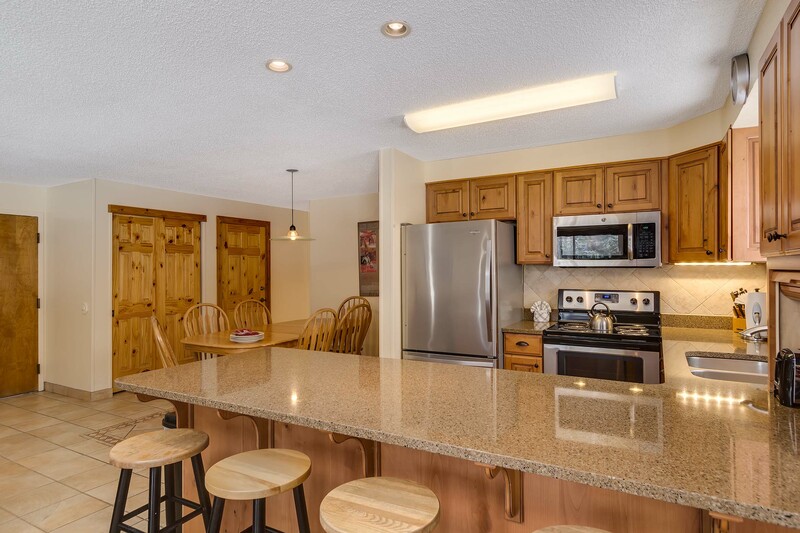 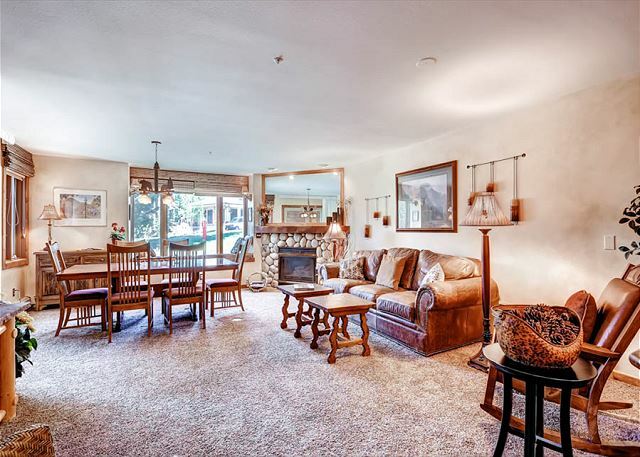 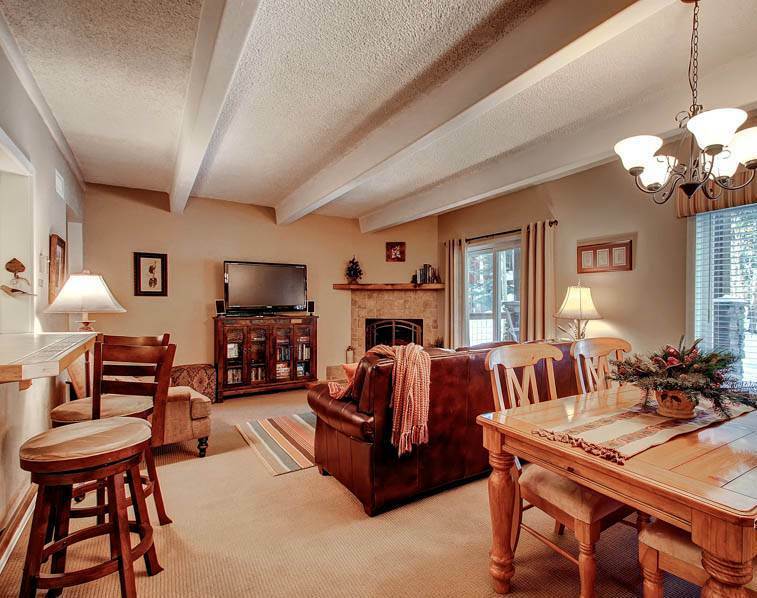 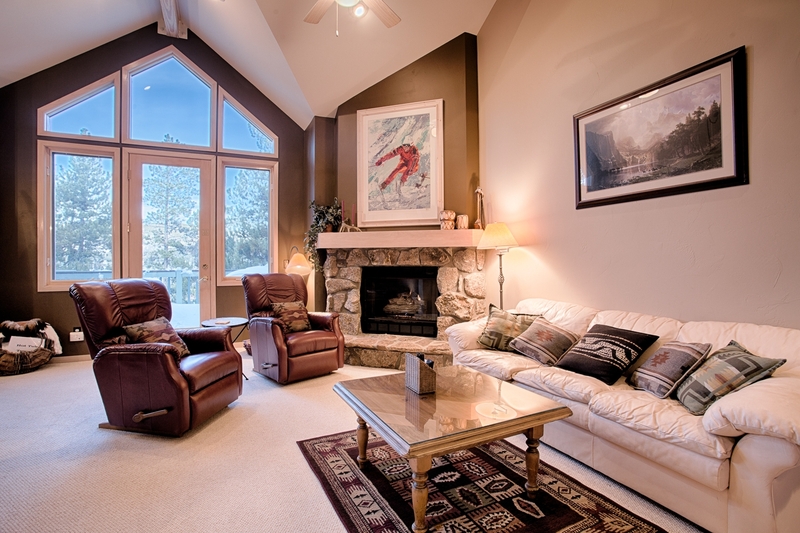 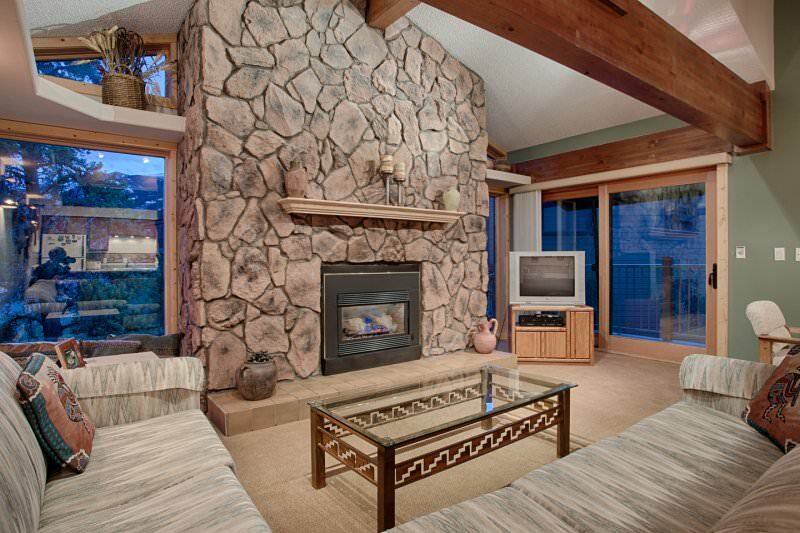 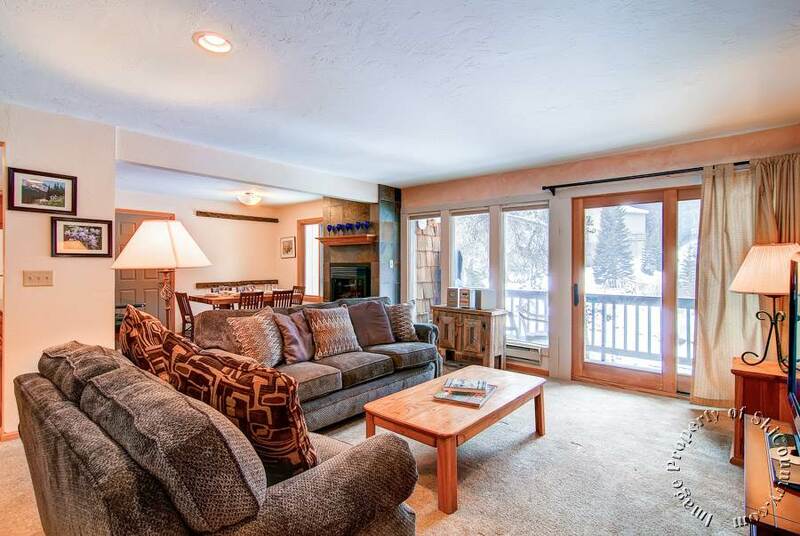 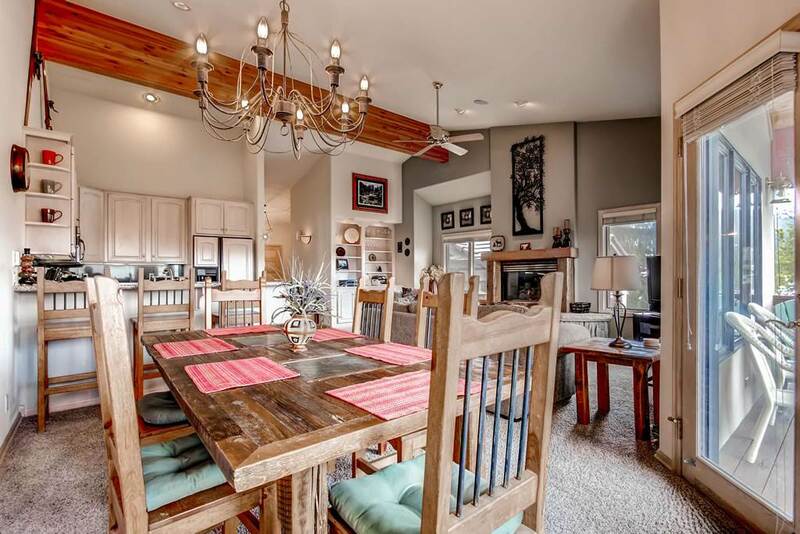 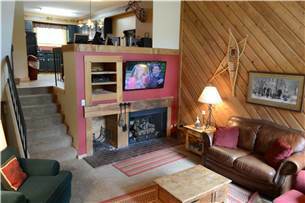 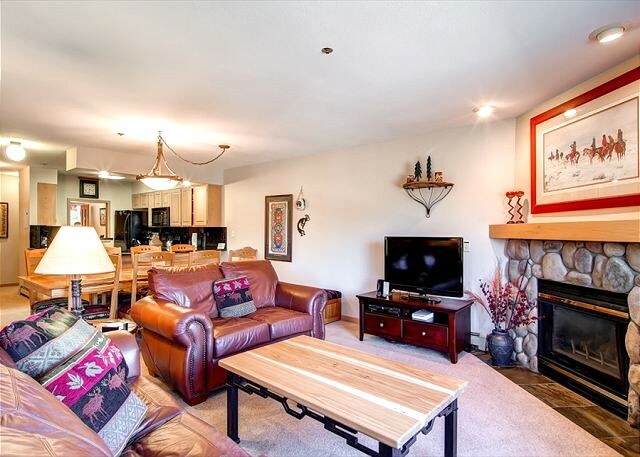 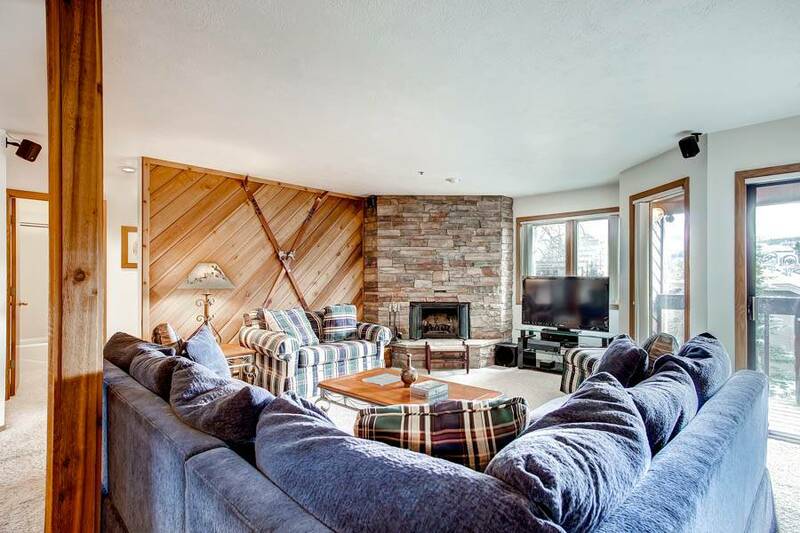 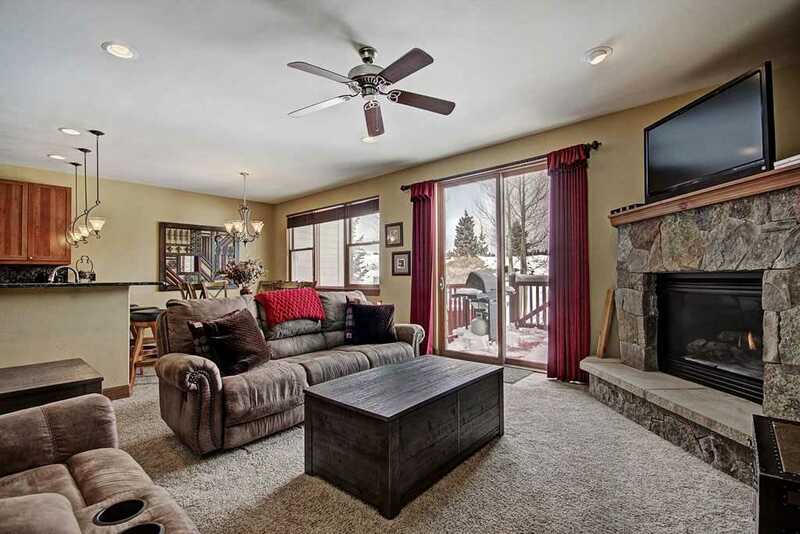 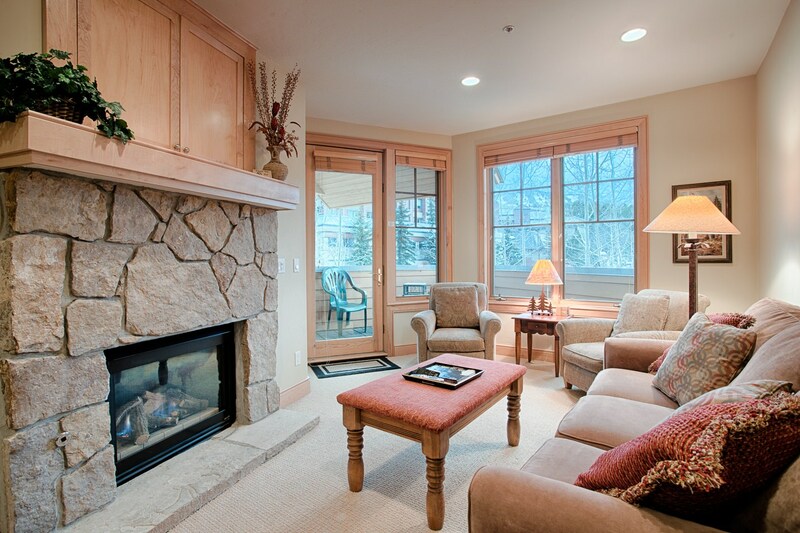 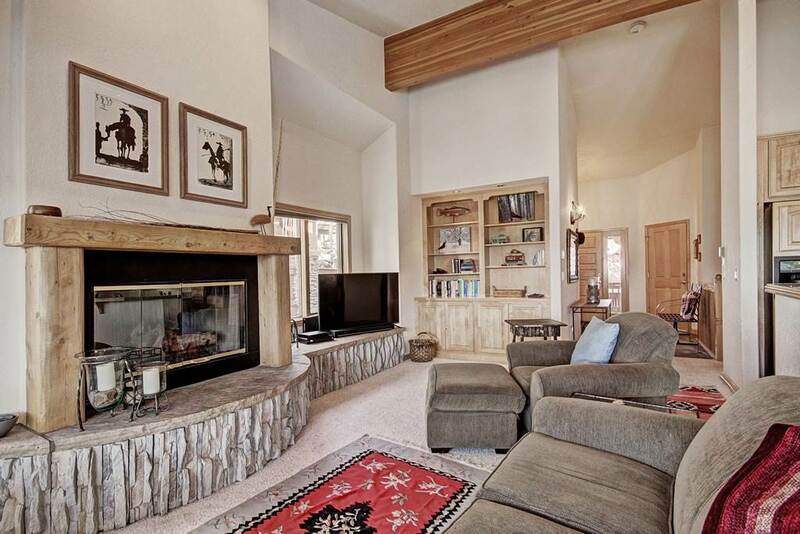 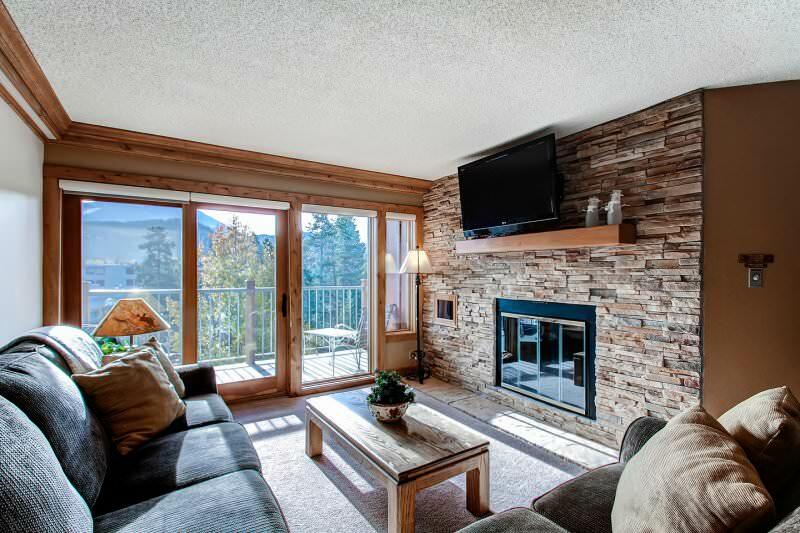 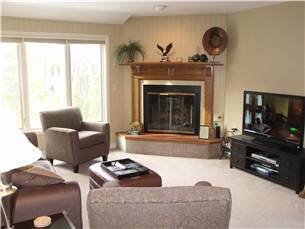 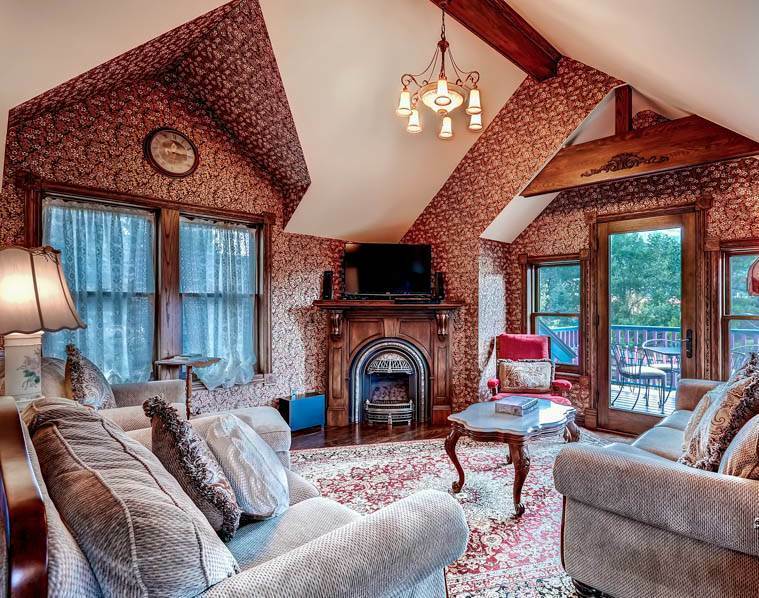 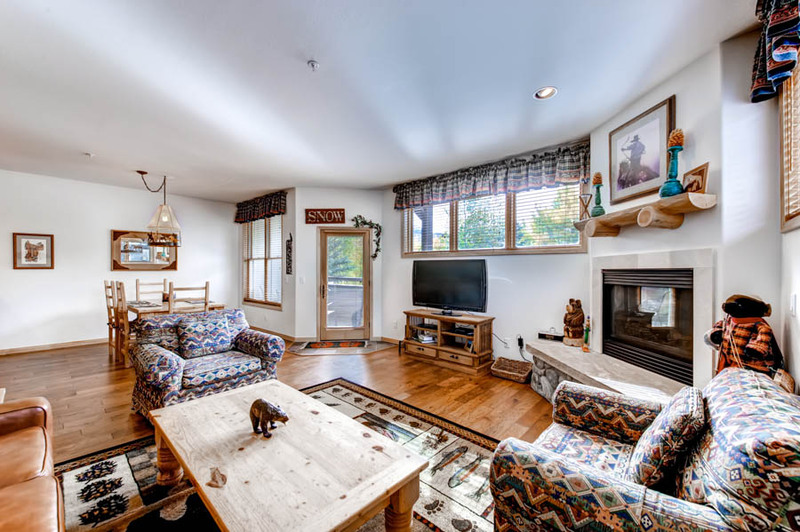 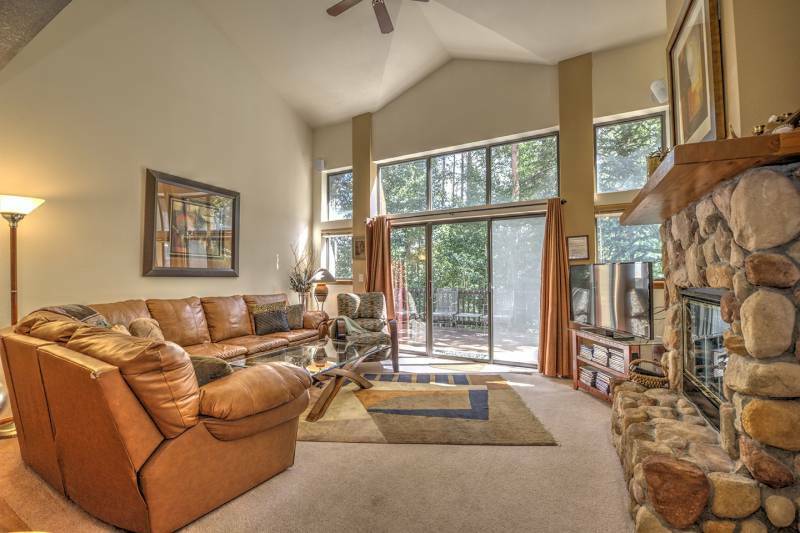 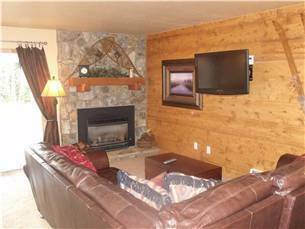 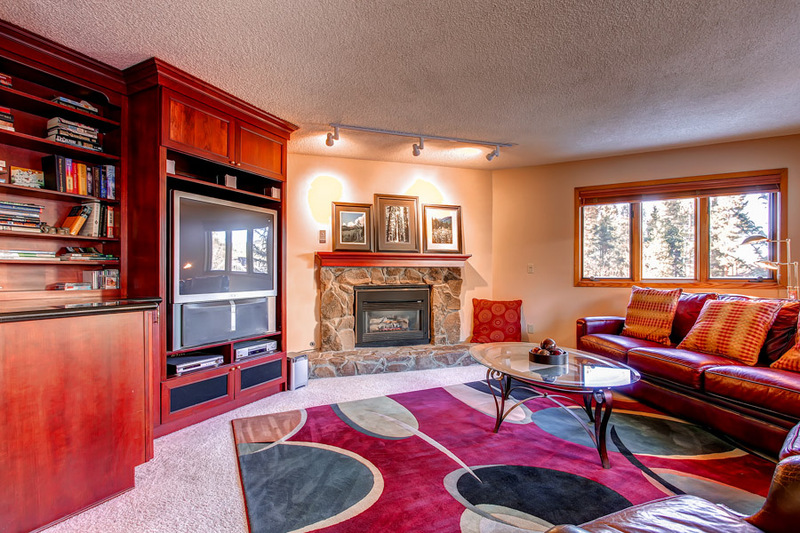 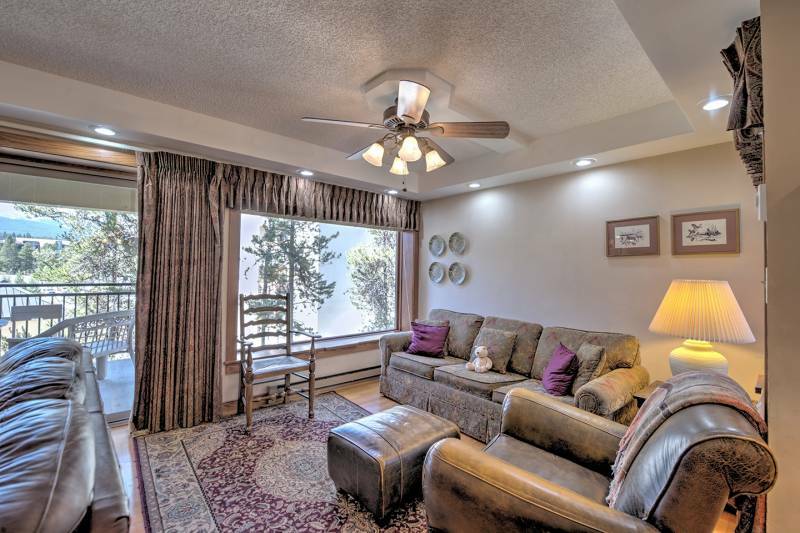 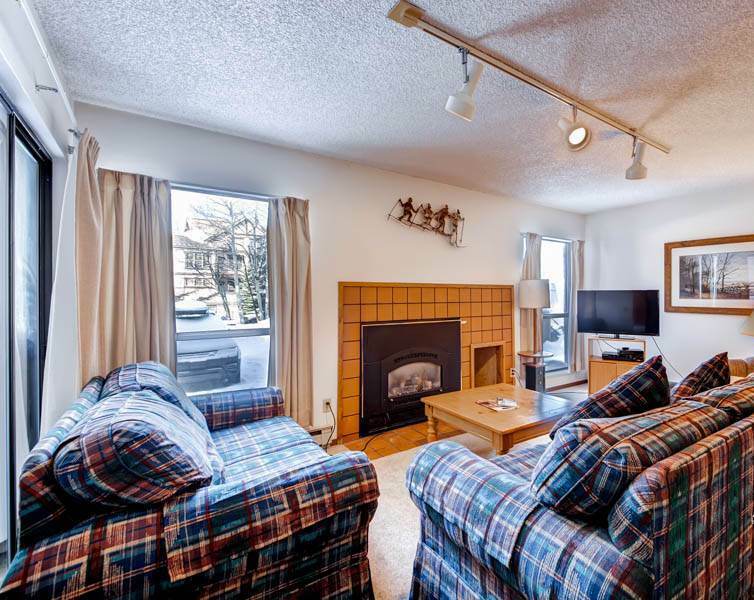 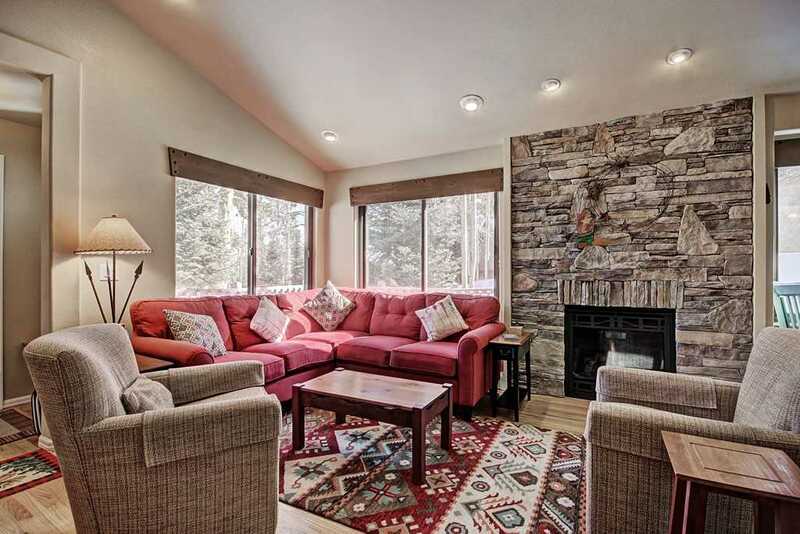 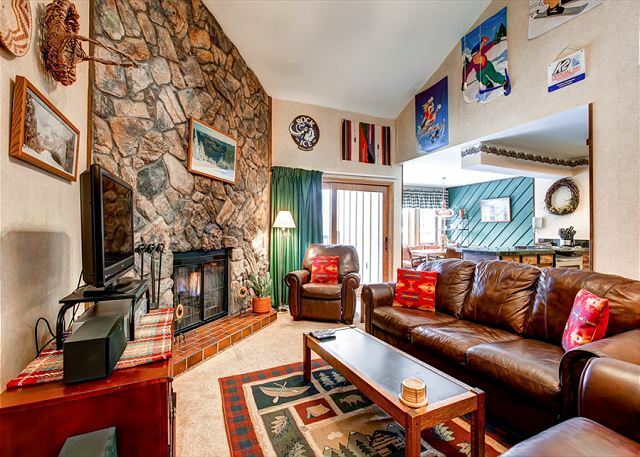 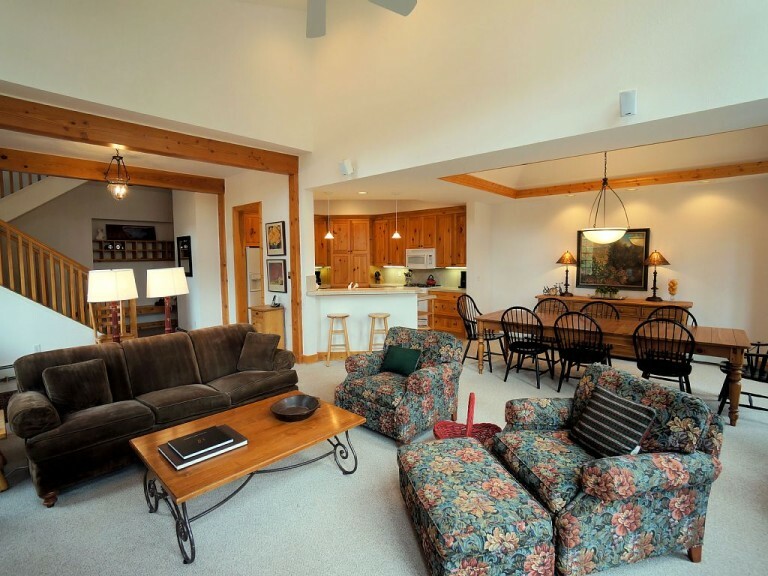 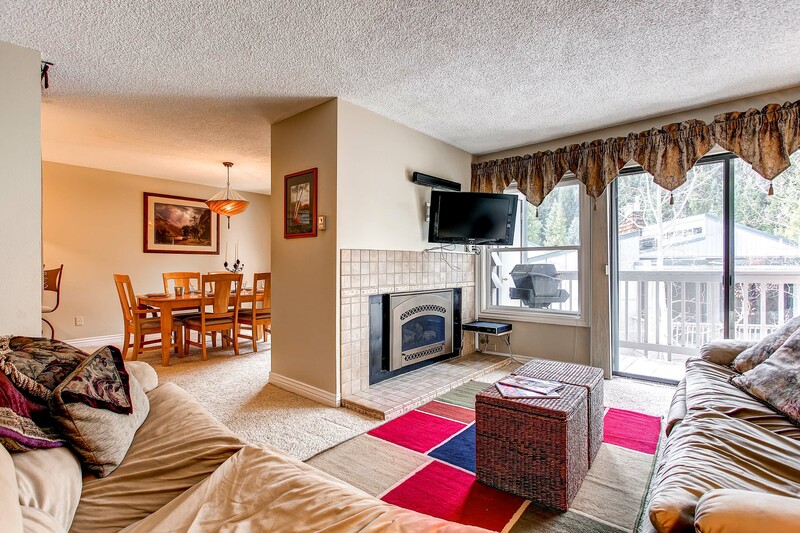 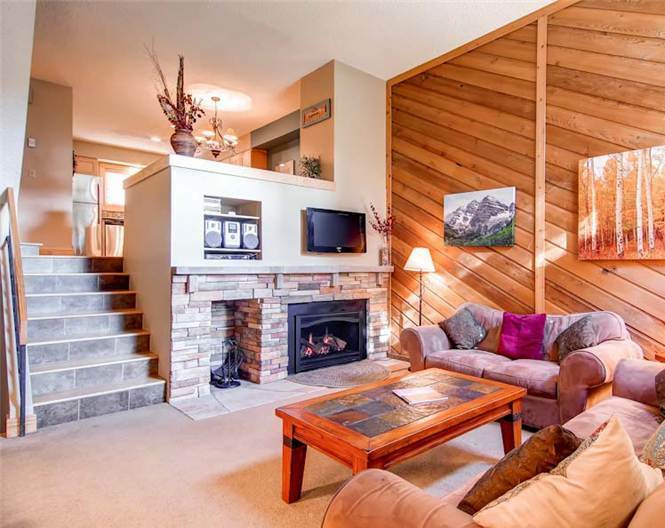 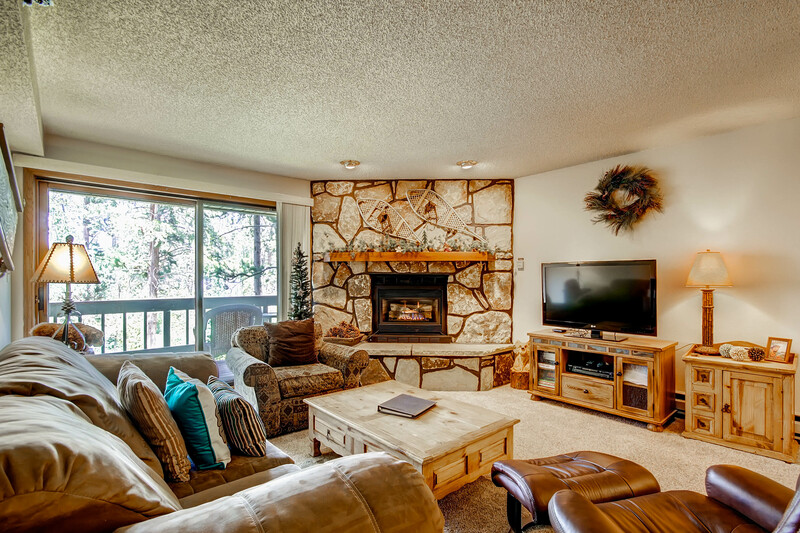 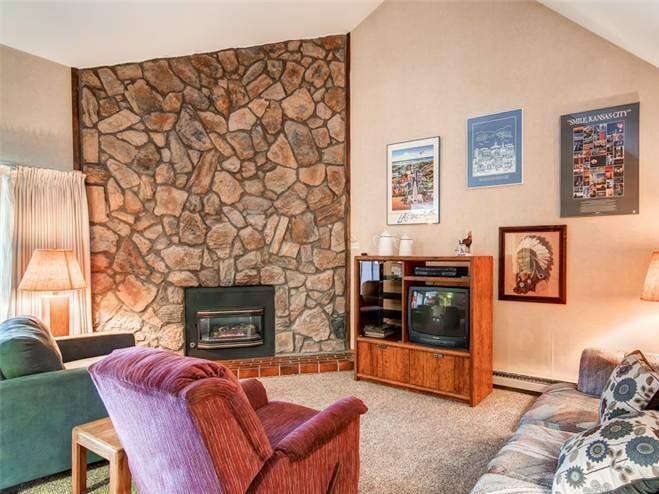 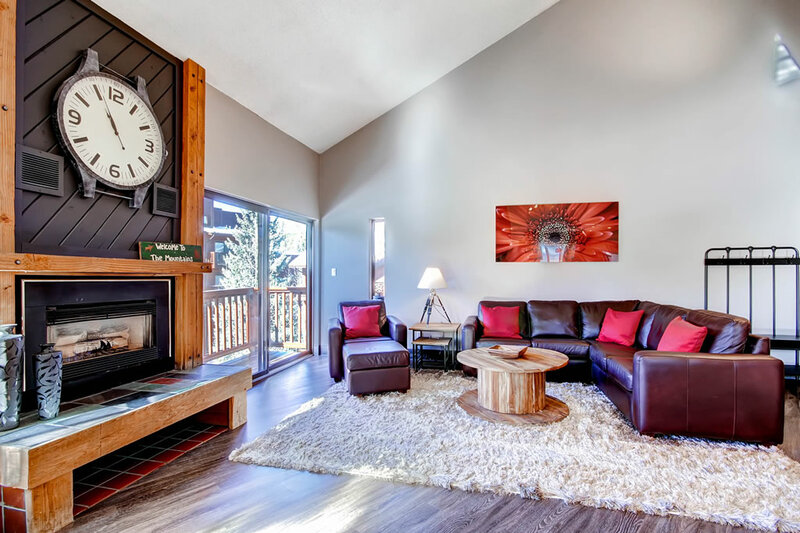 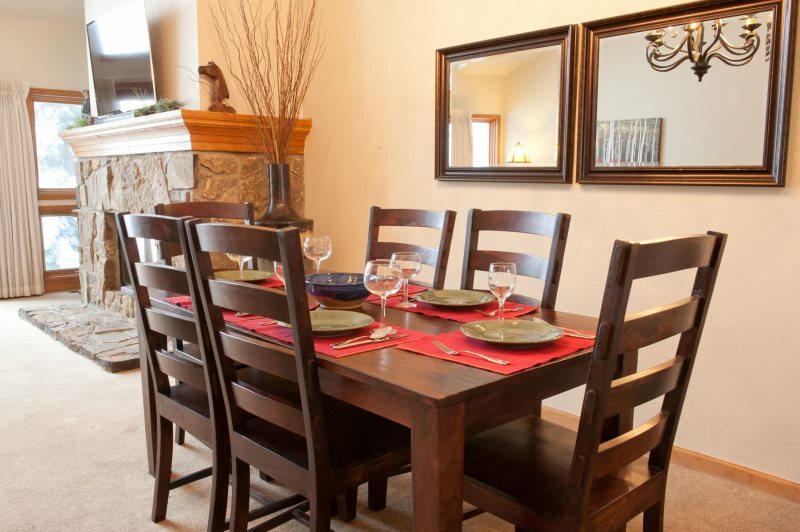 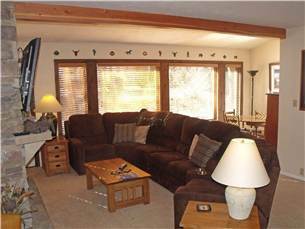 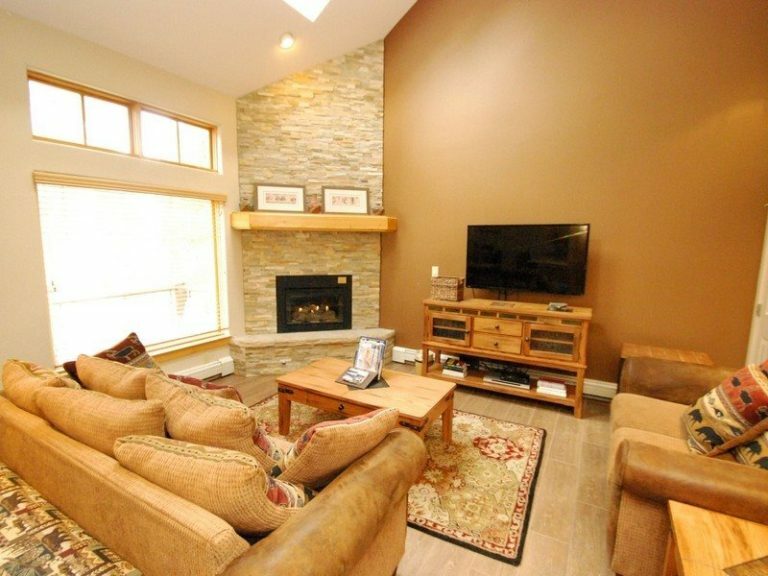 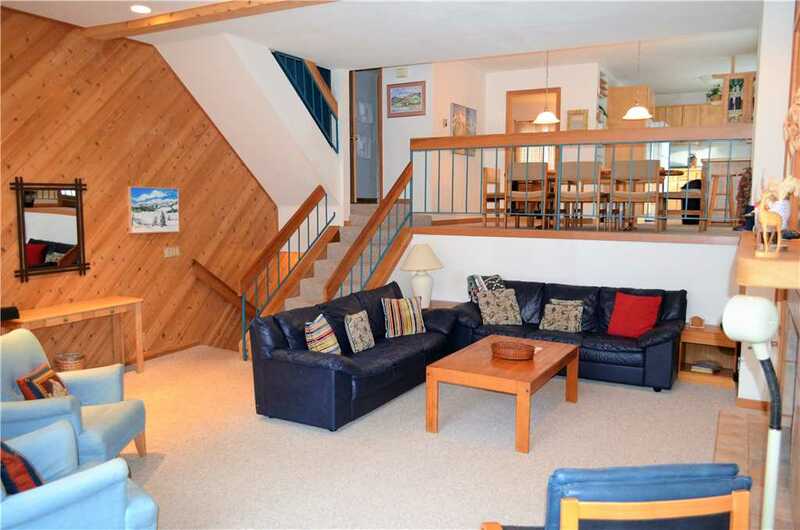 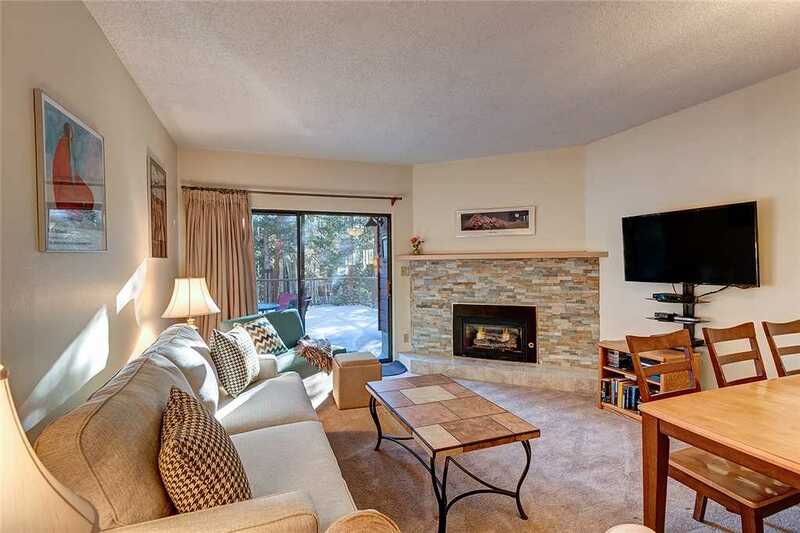 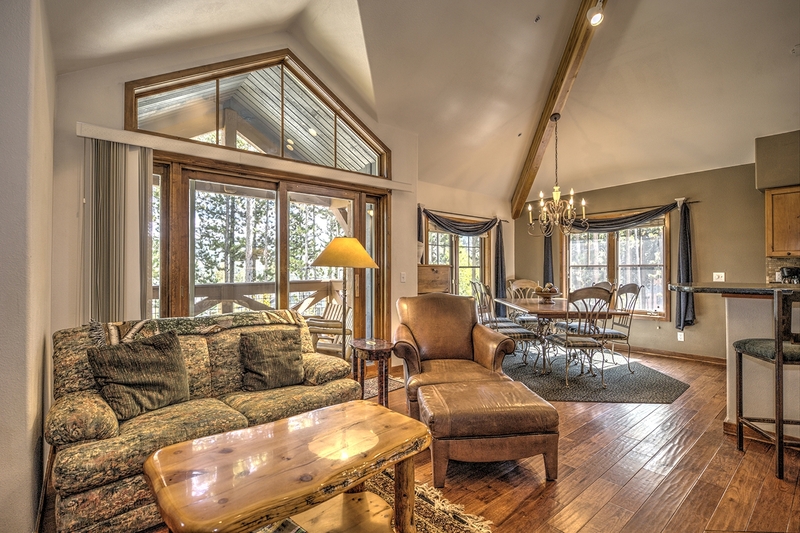 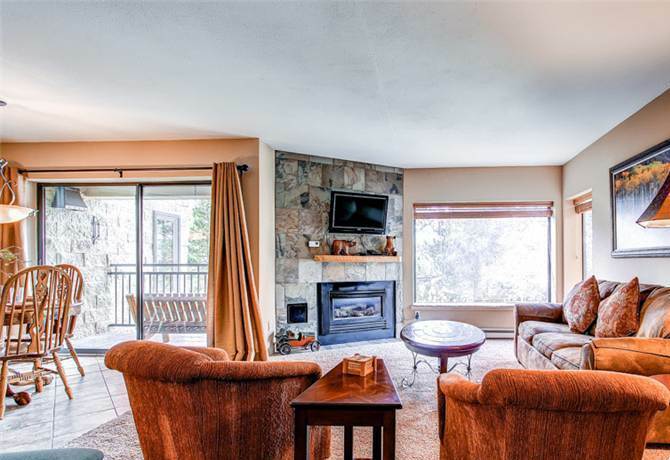 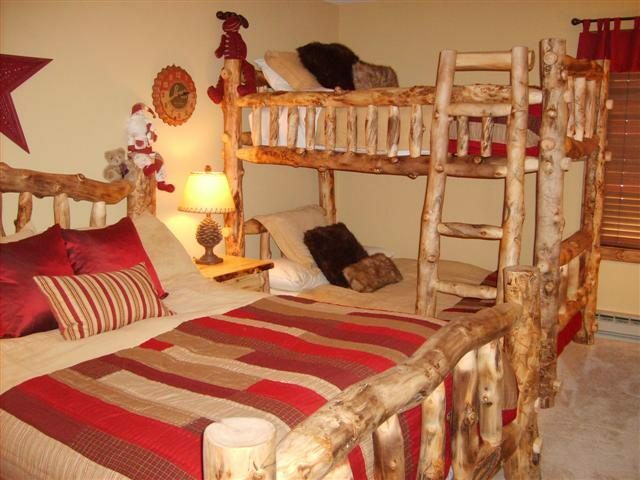 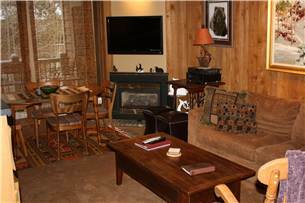 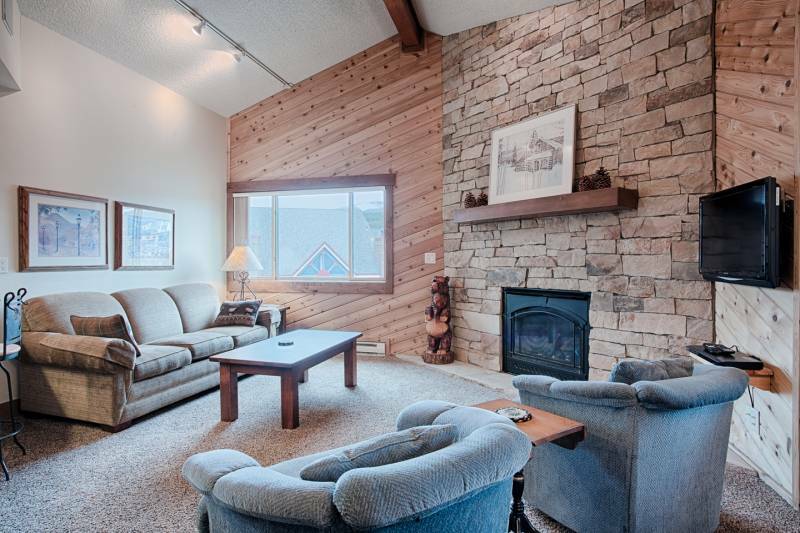 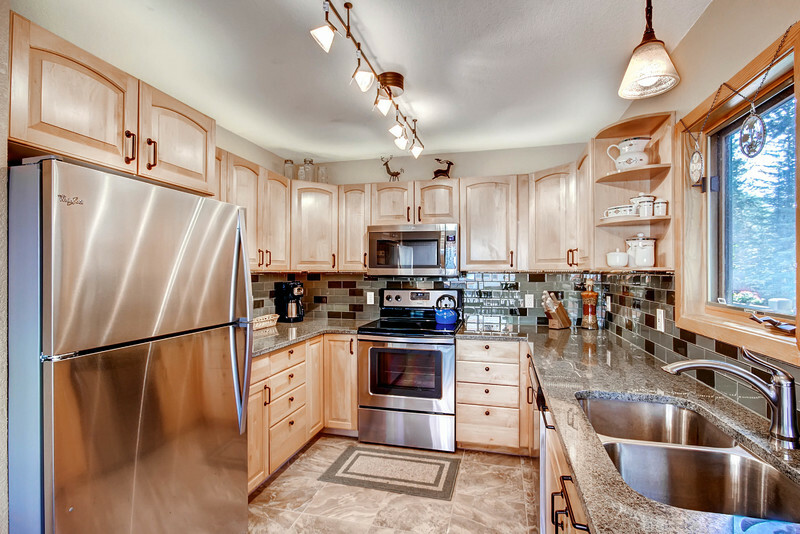 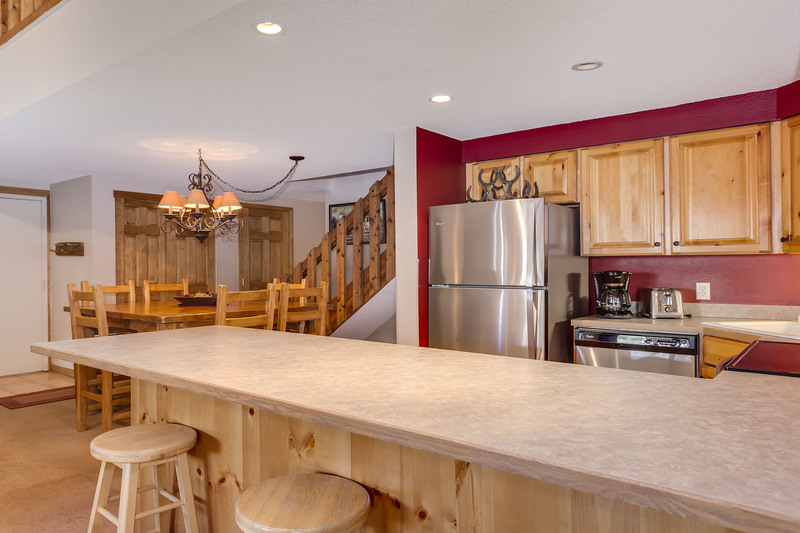 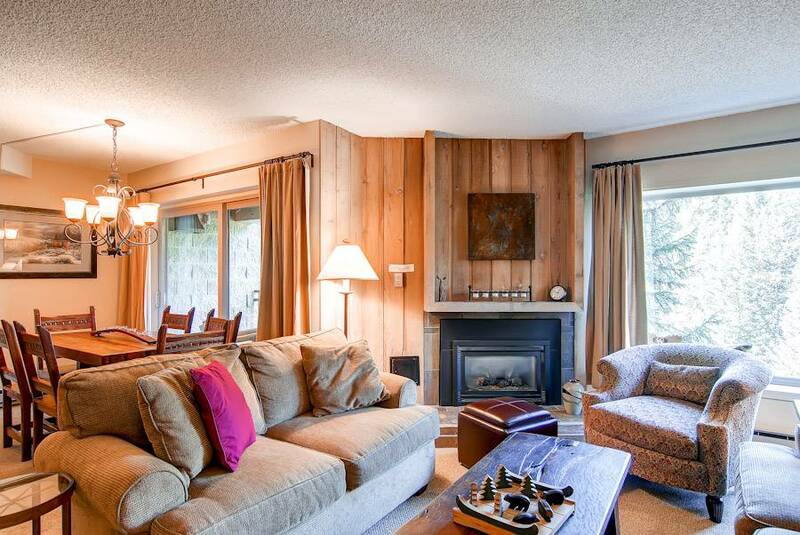 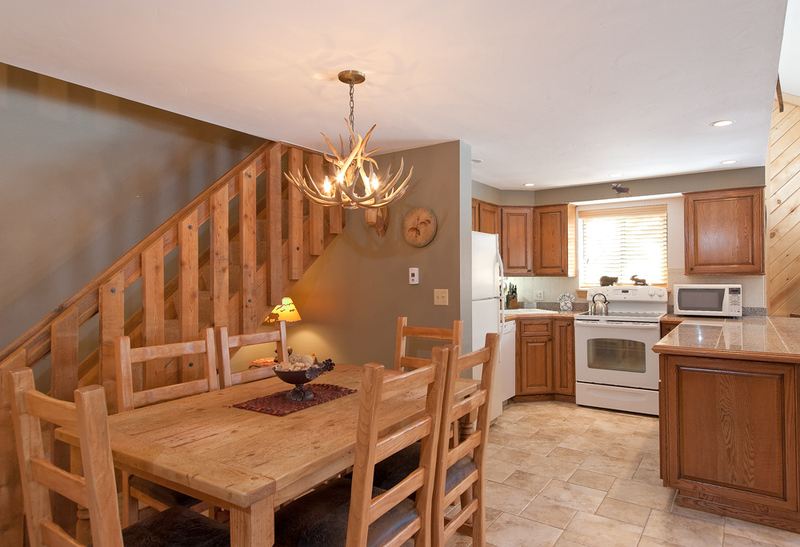 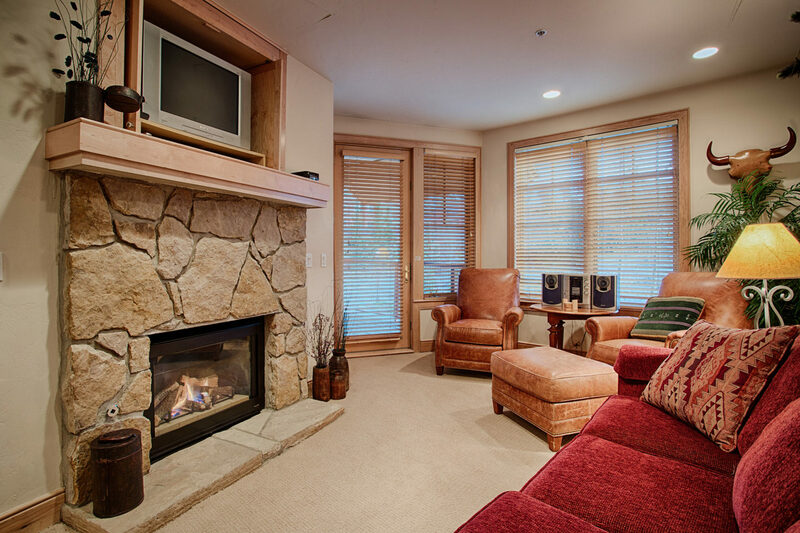 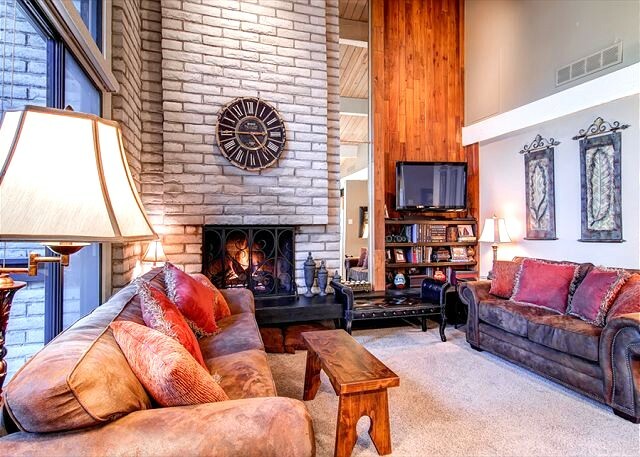 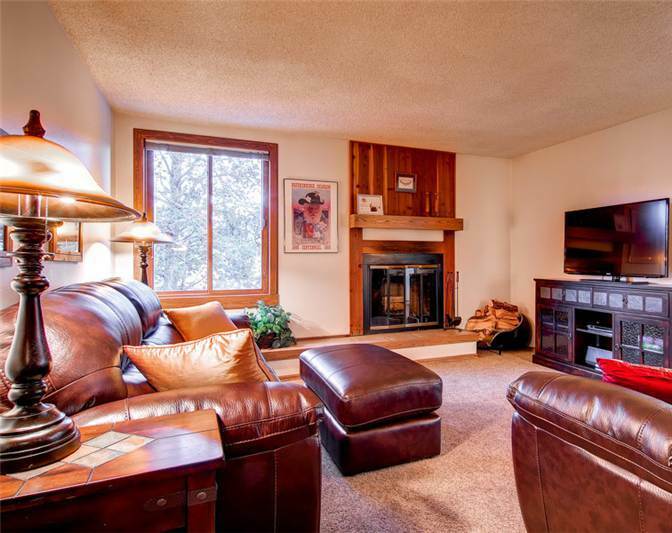 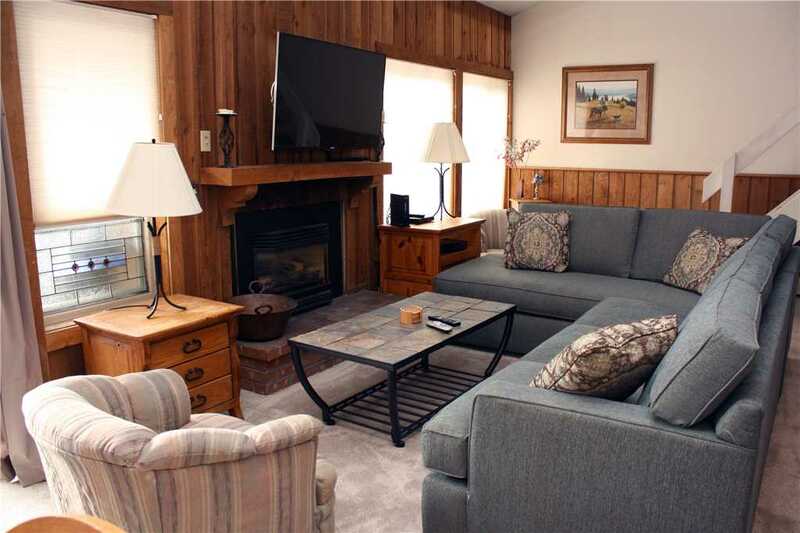 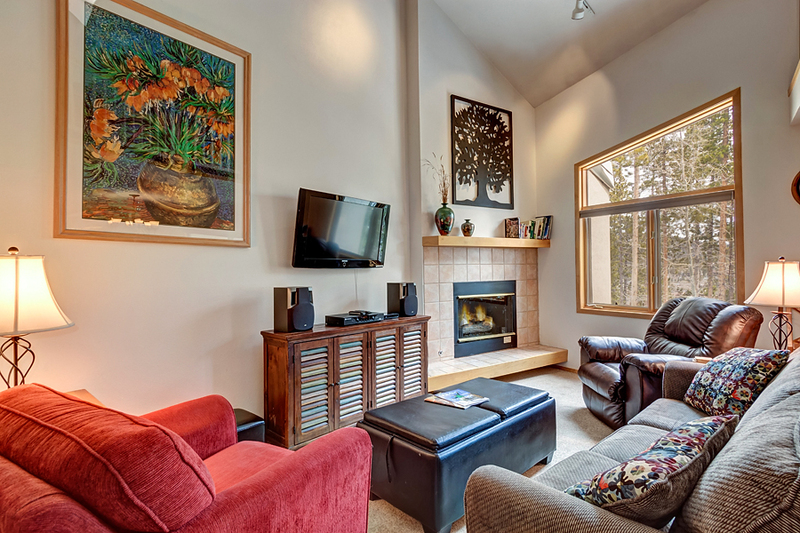 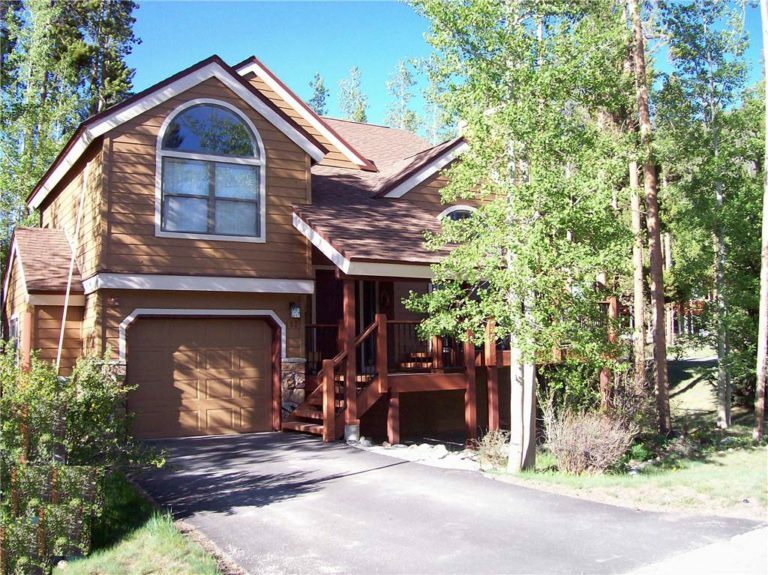 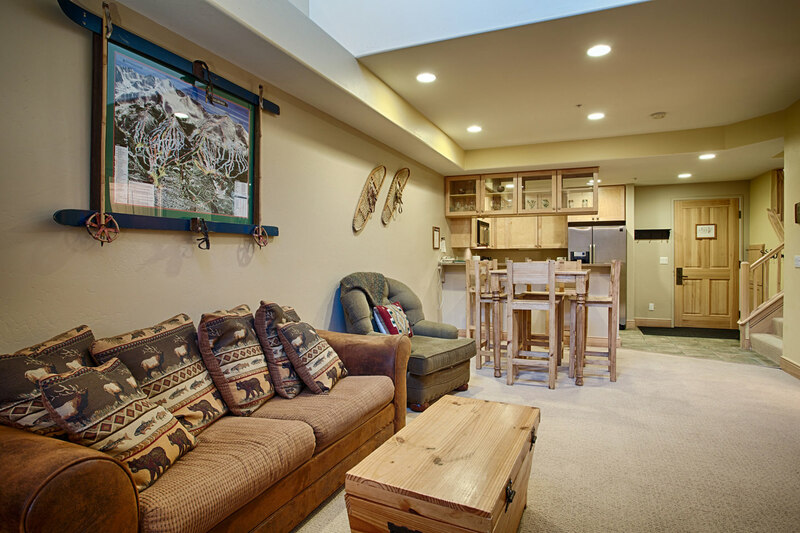 This family friendly home sits in a beautiful, serene mountain setting with amazing views! 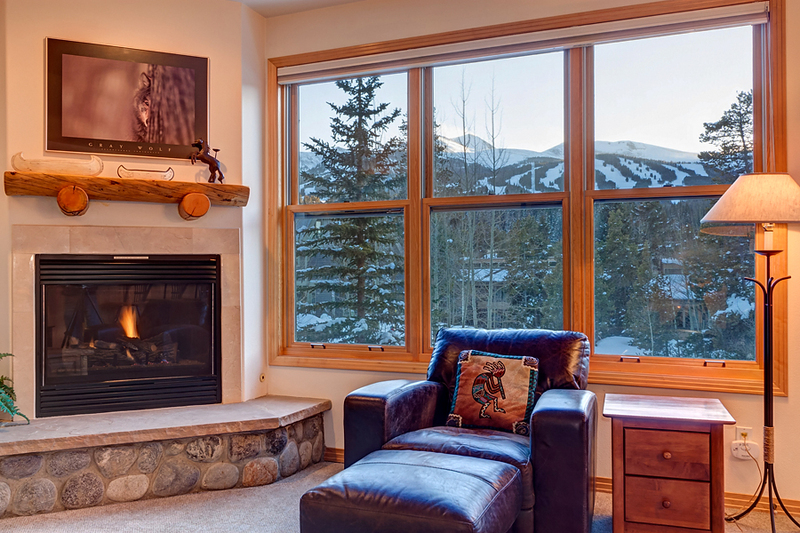 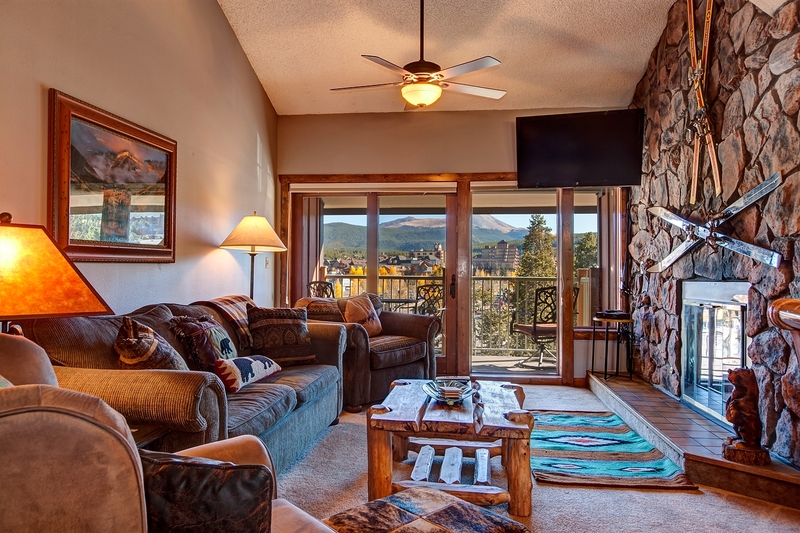 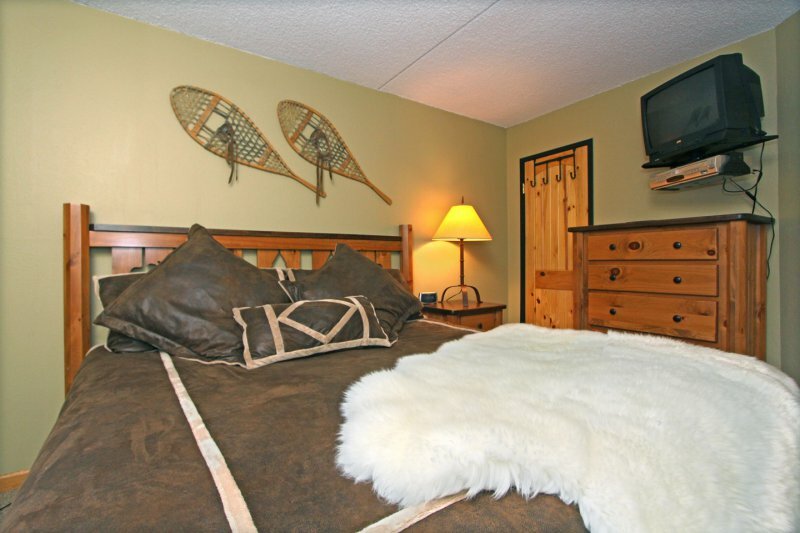 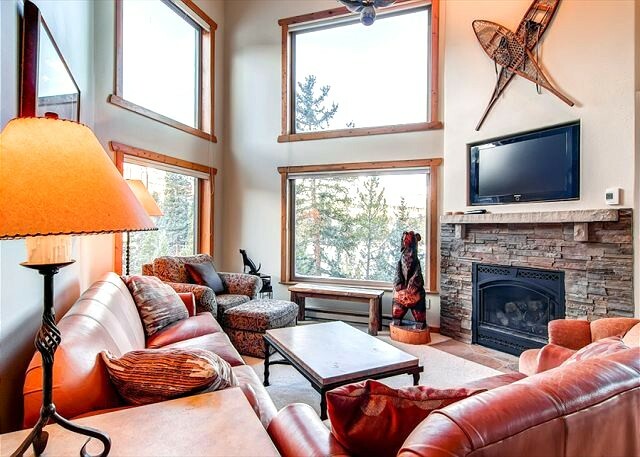 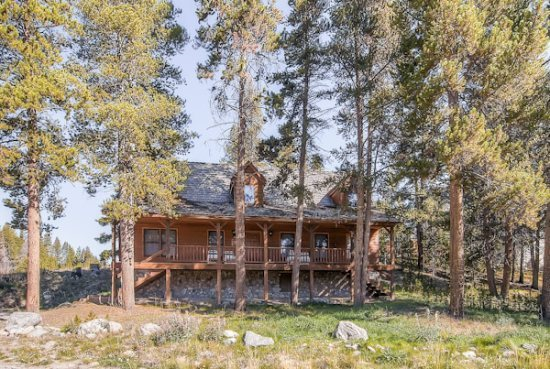 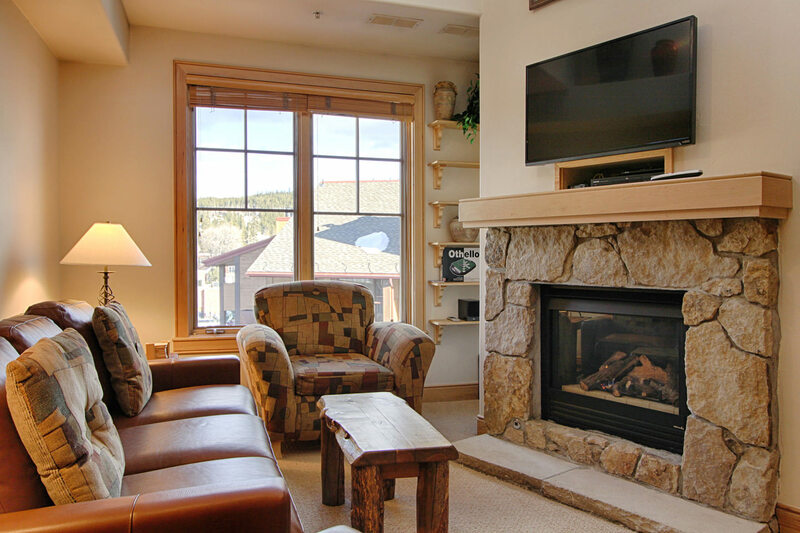 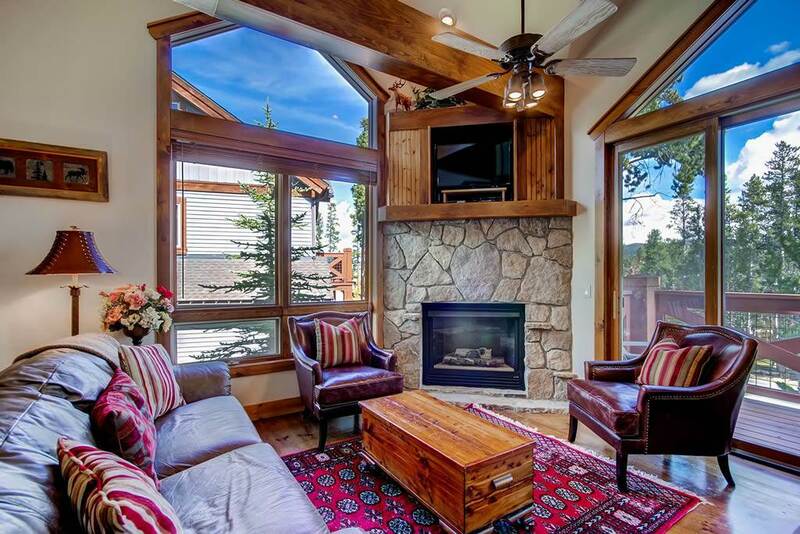 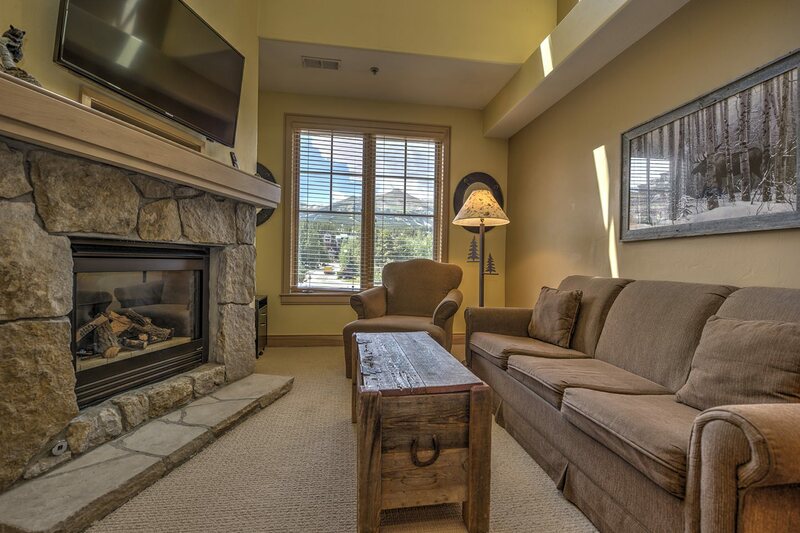 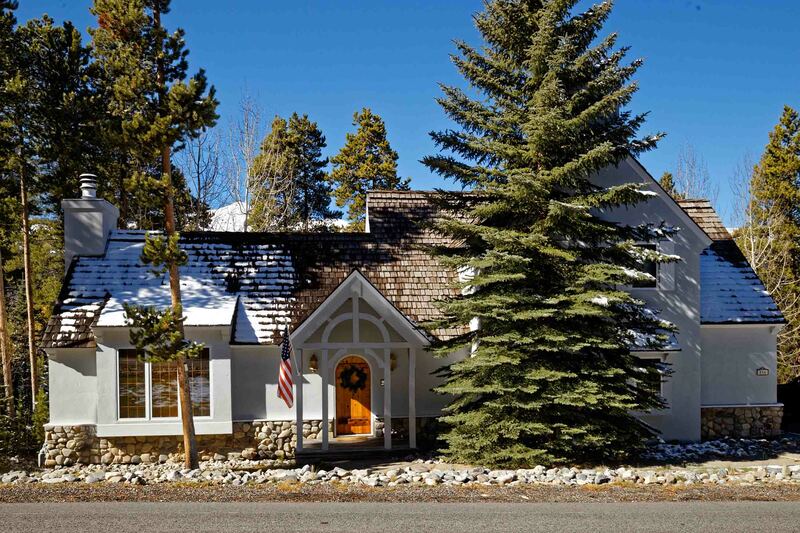 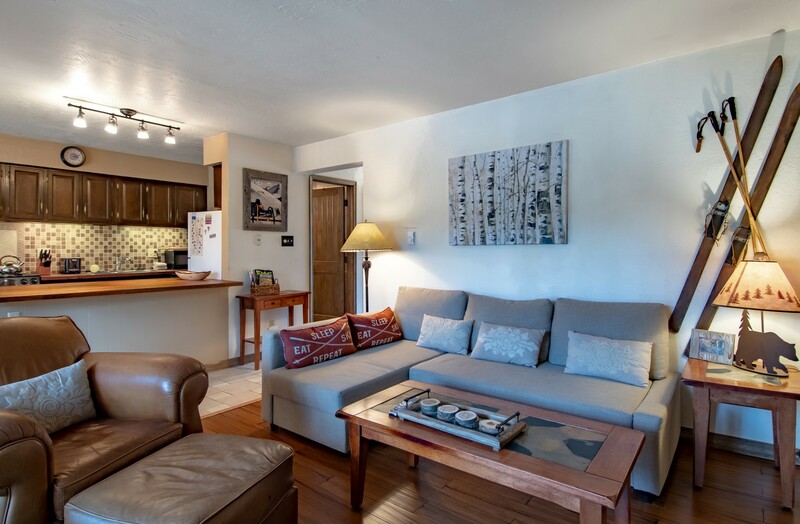 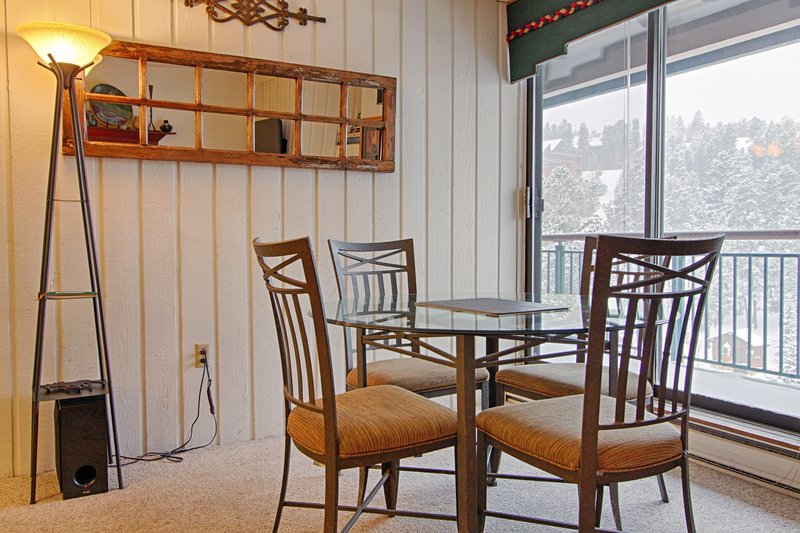 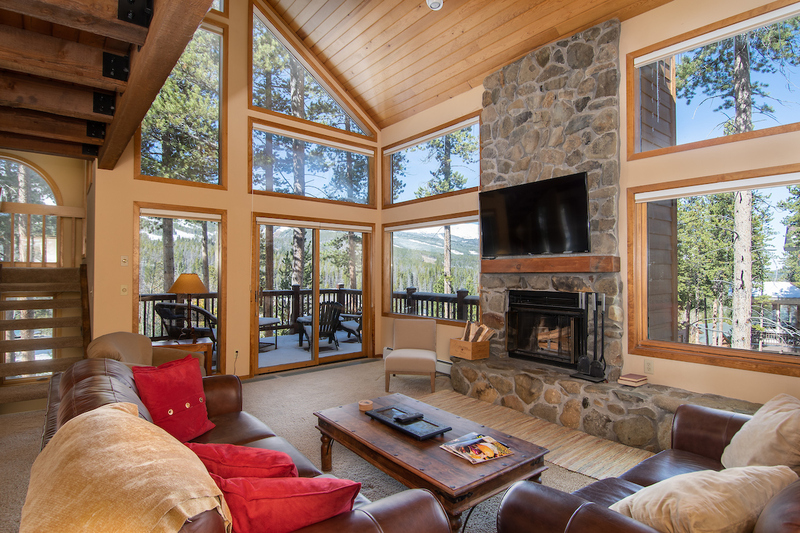 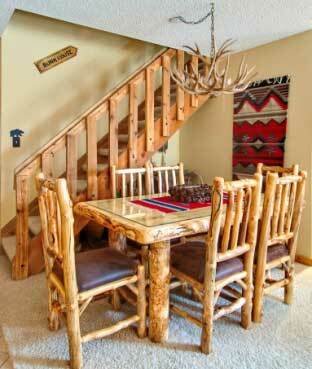 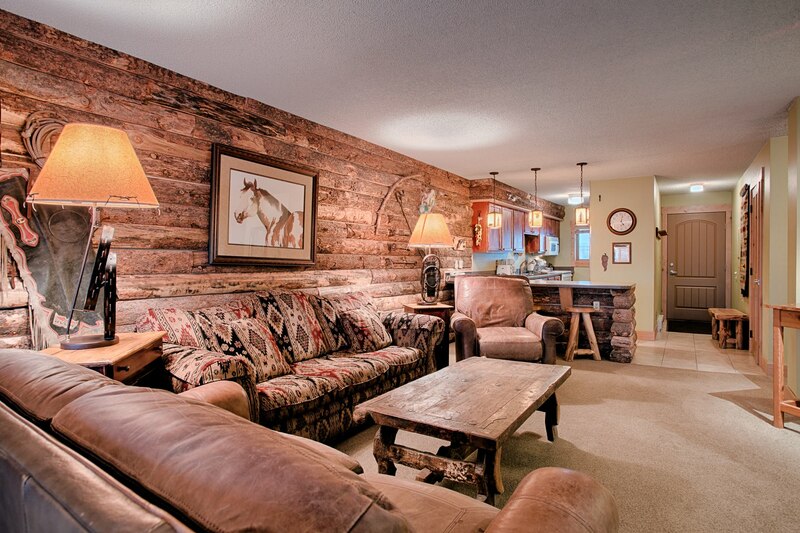 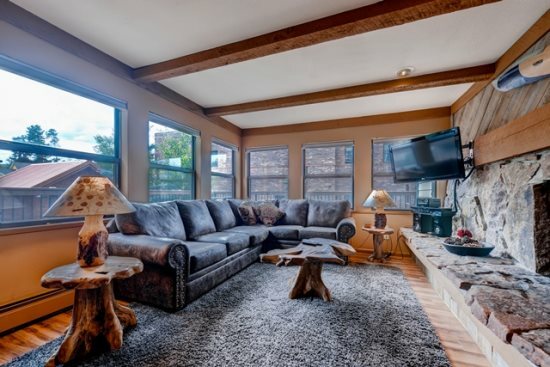 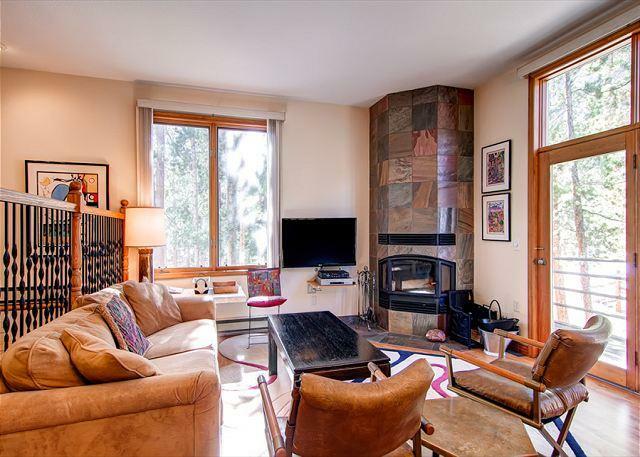 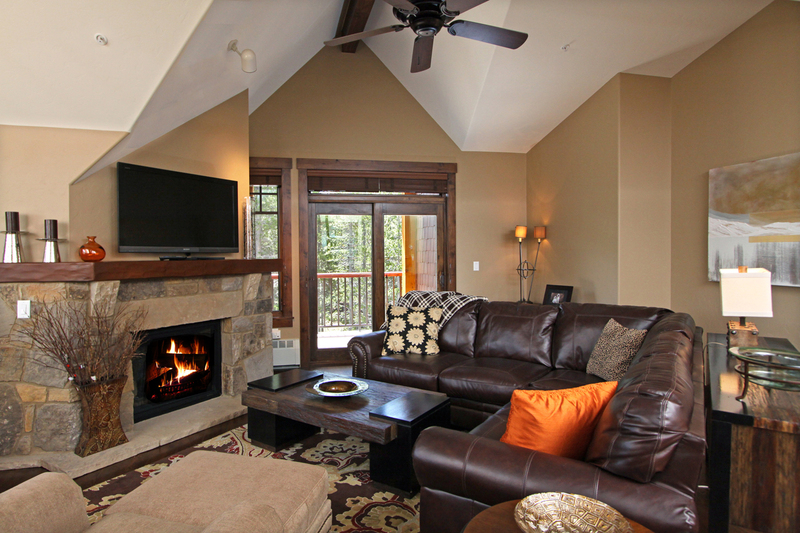 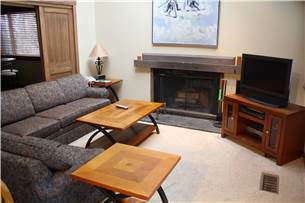 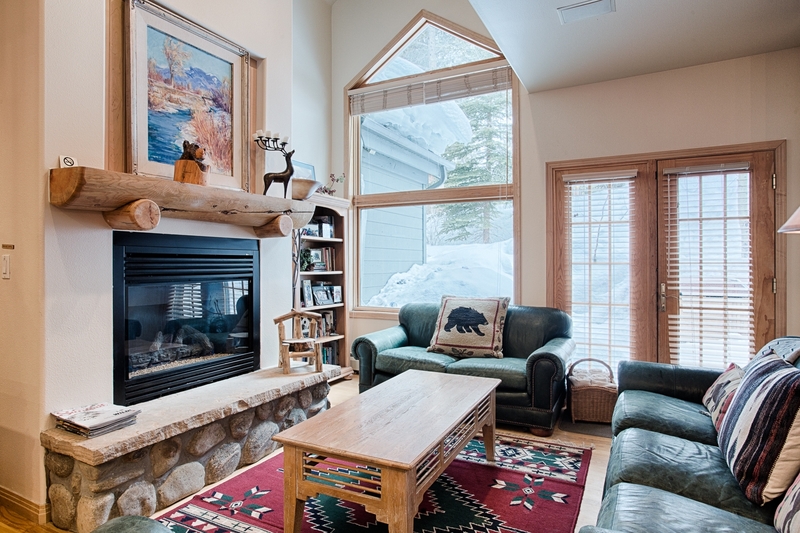 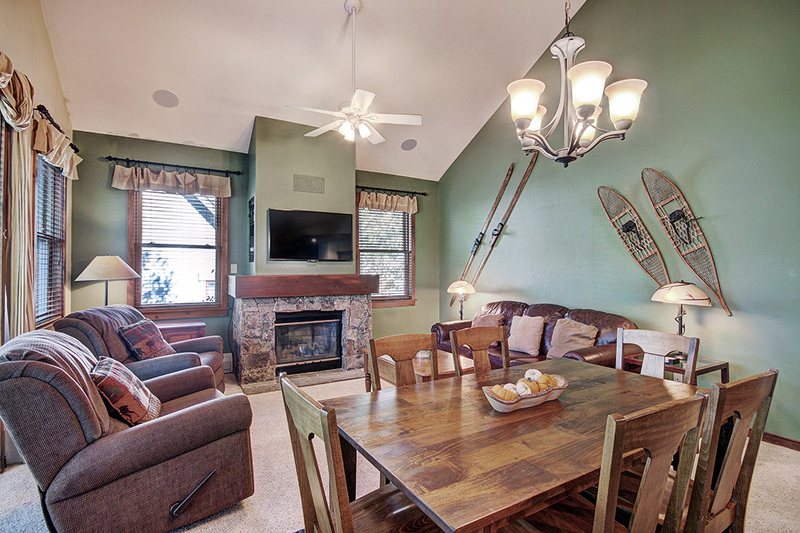 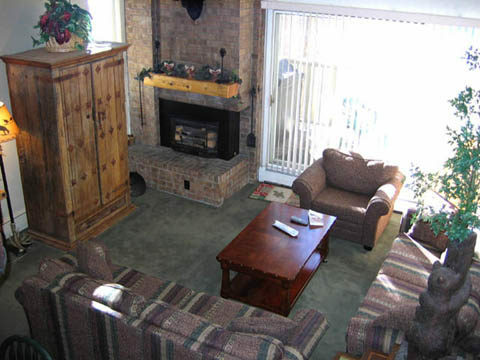 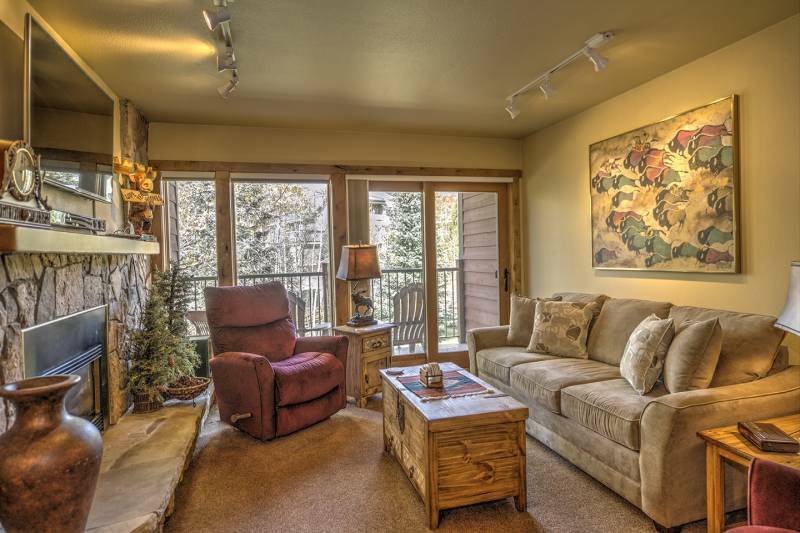 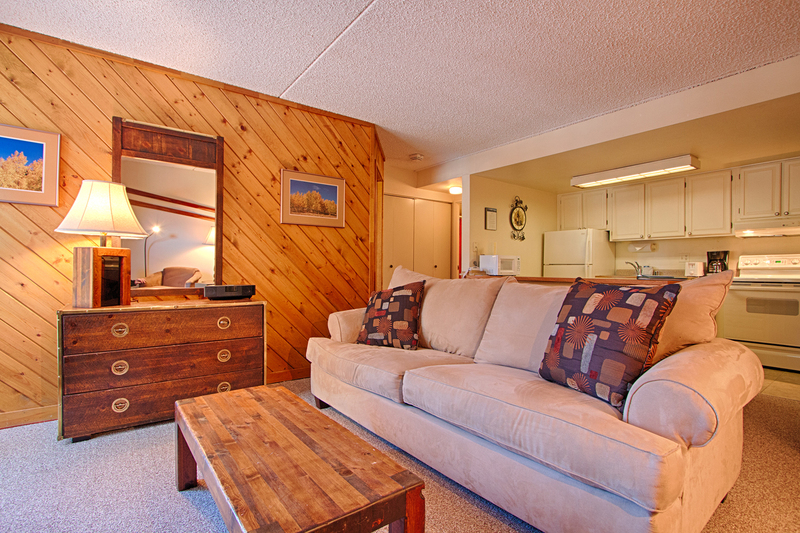 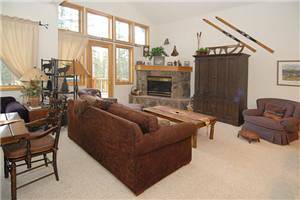 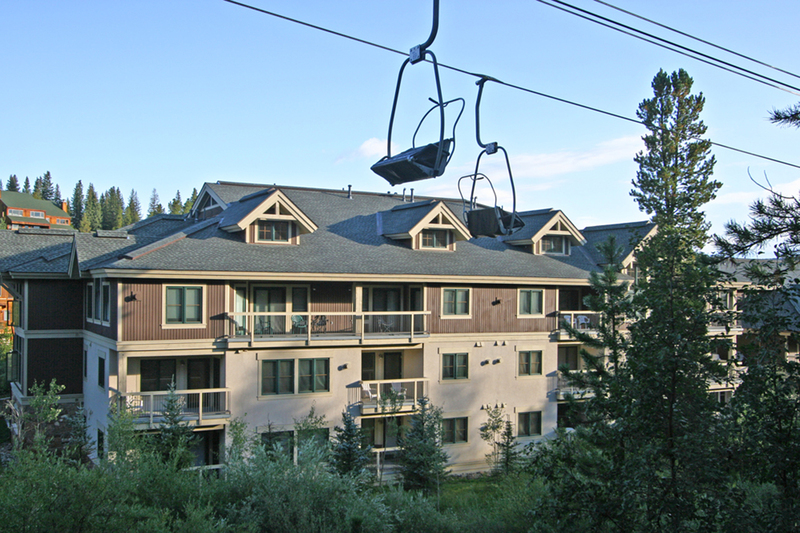 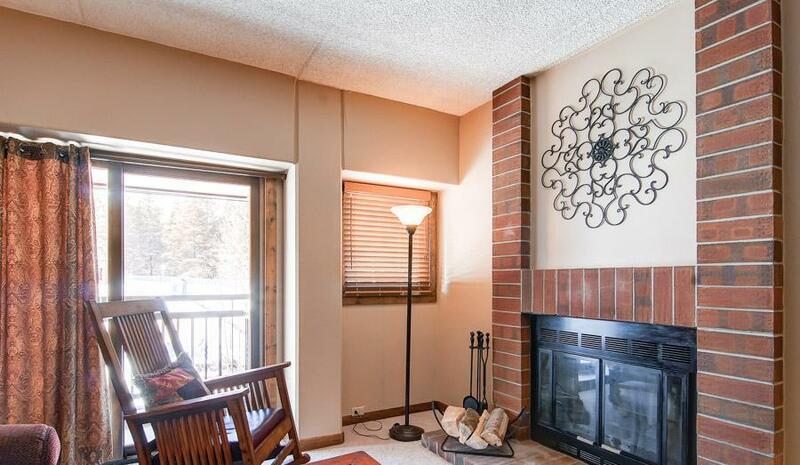 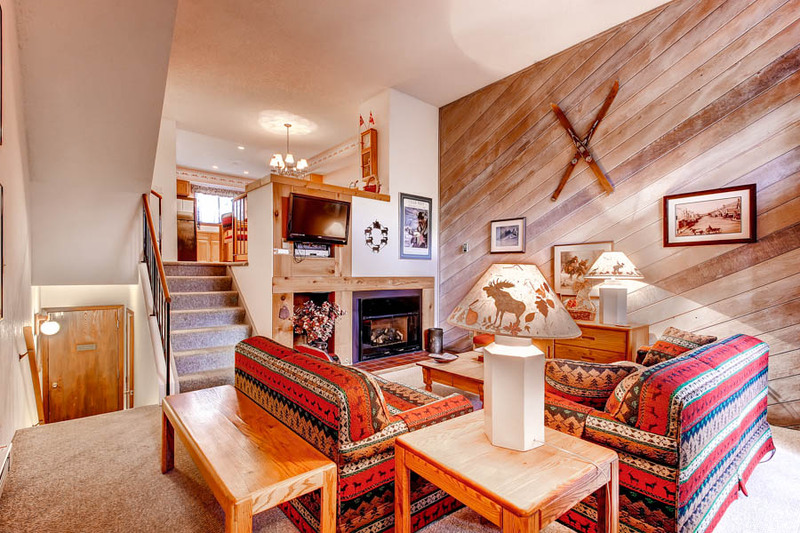 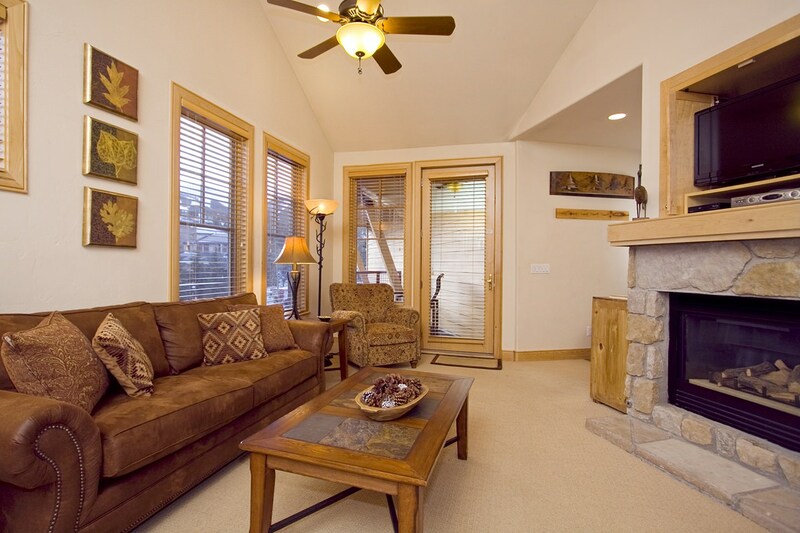 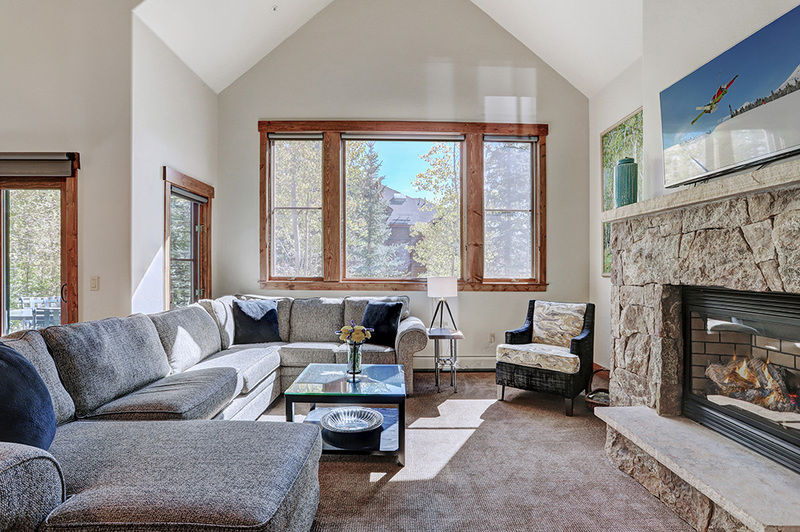 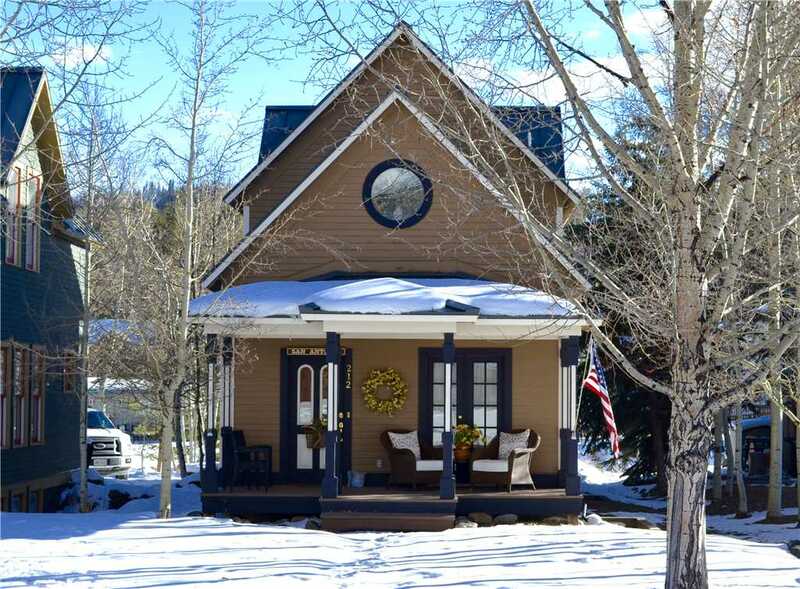 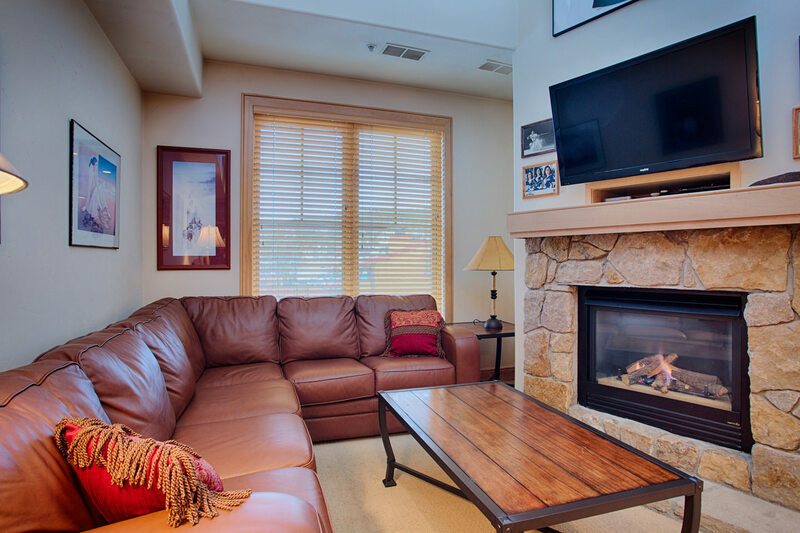 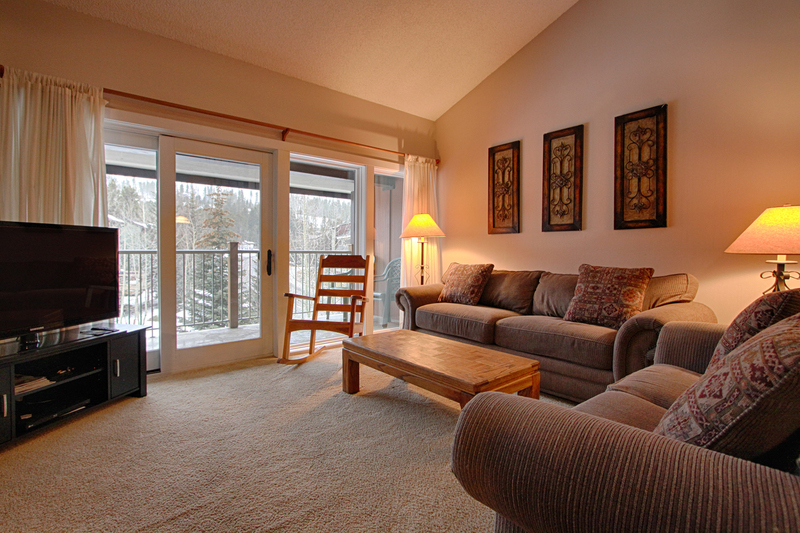 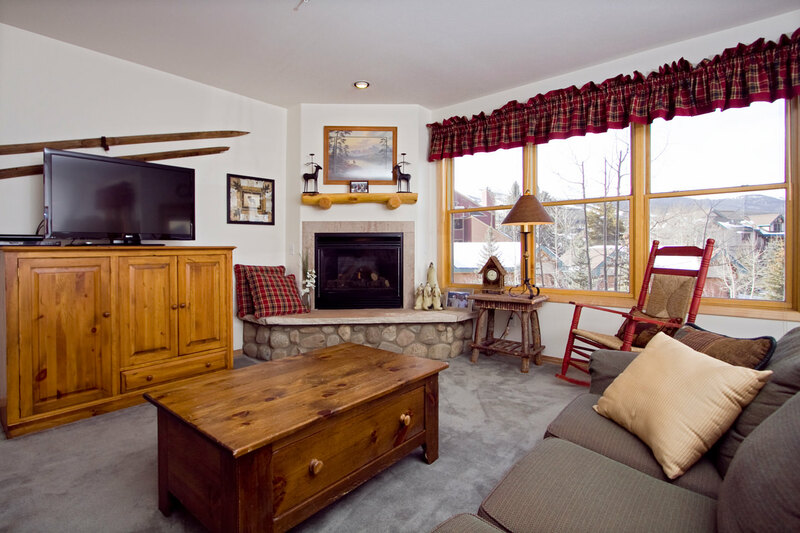 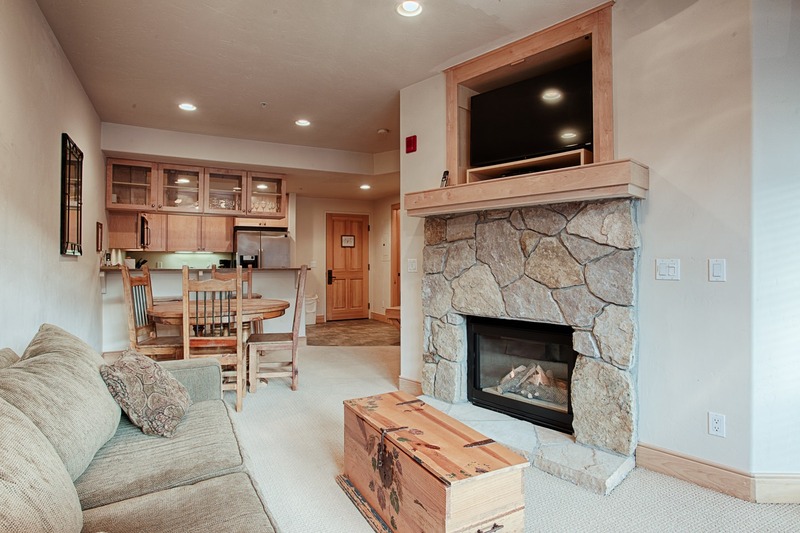 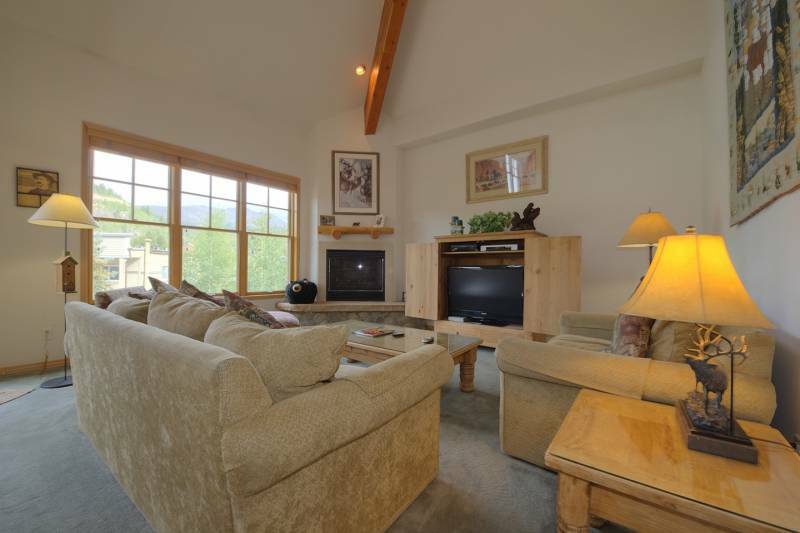 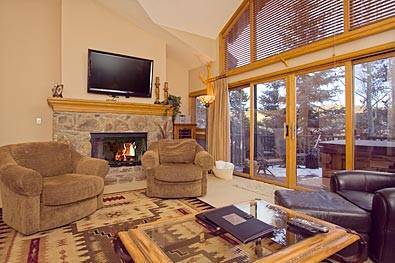 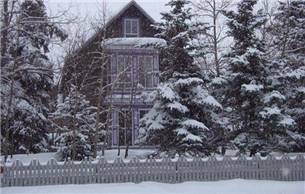 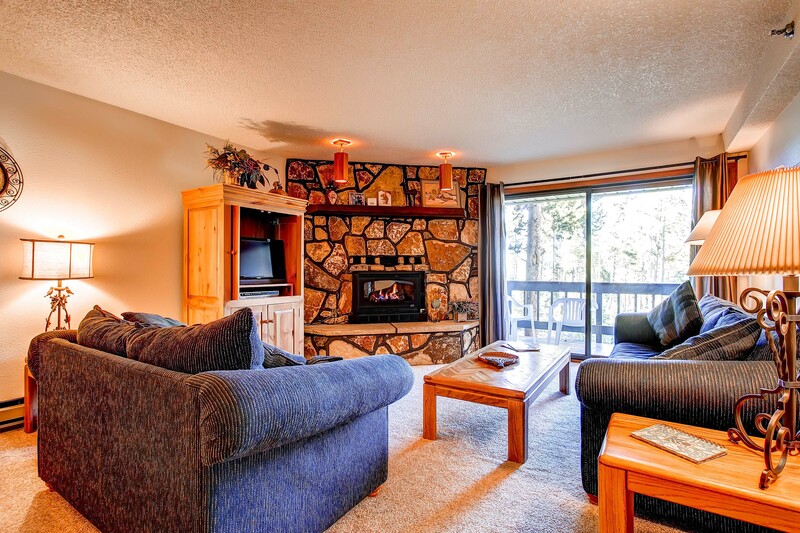 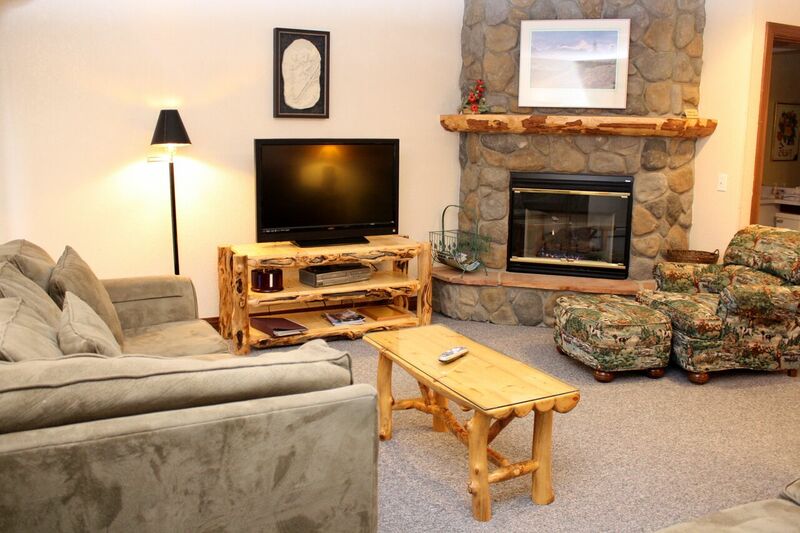 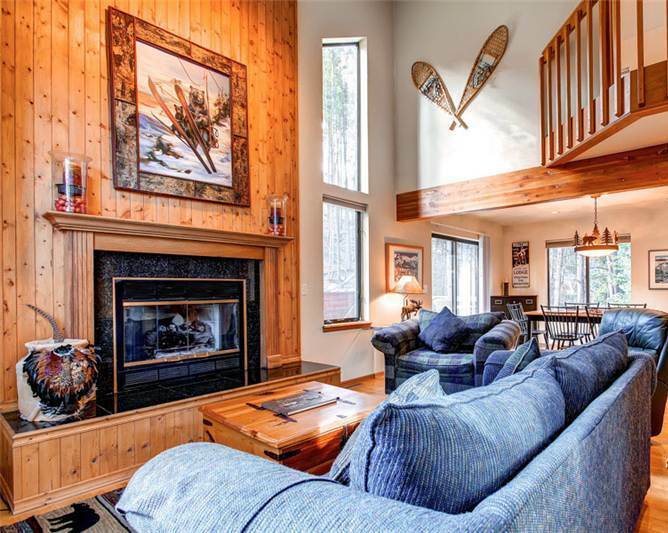 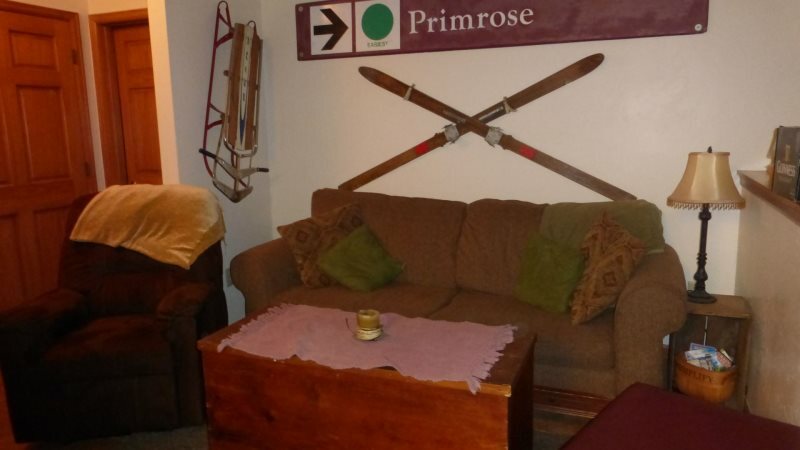 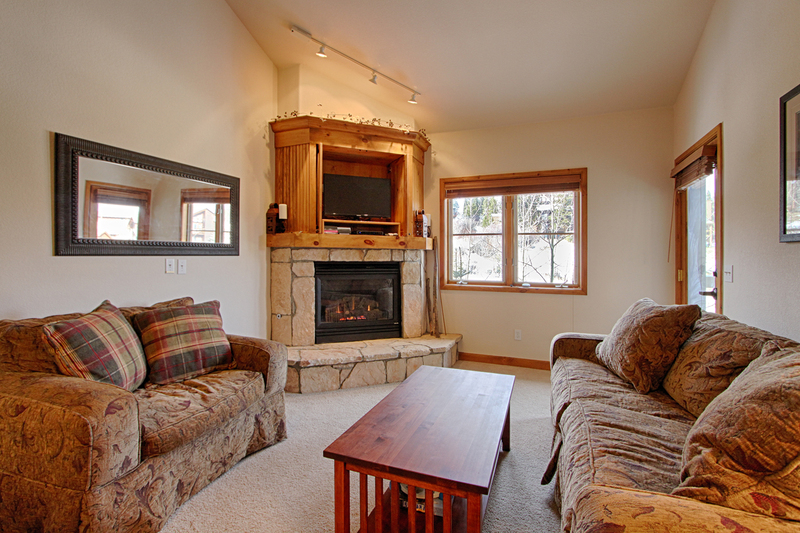 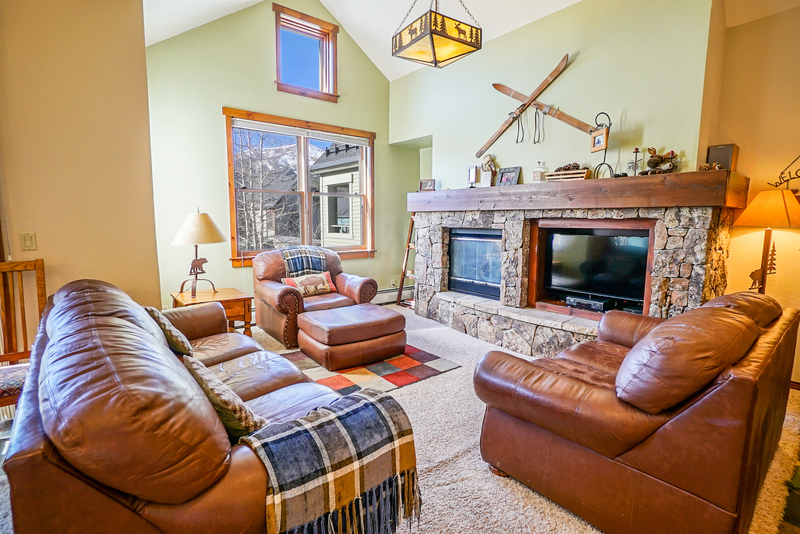 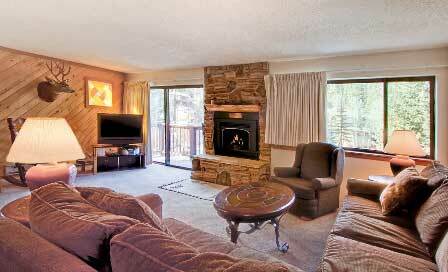 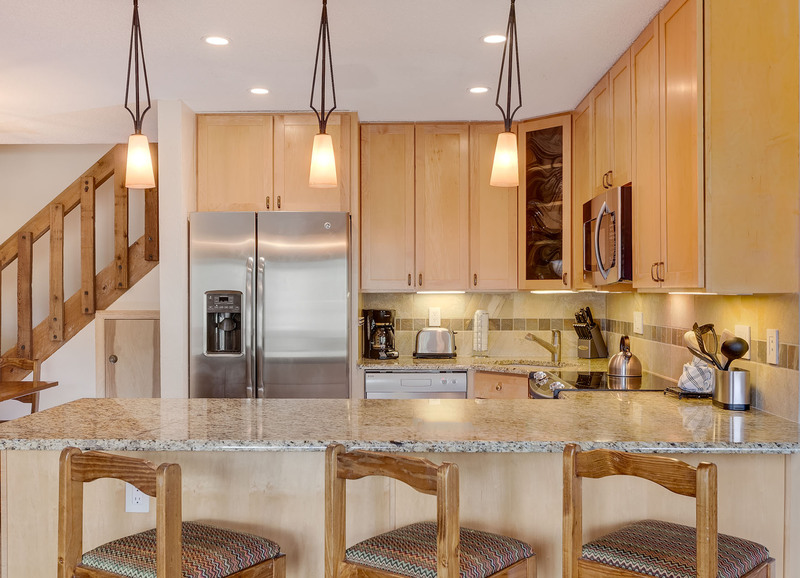 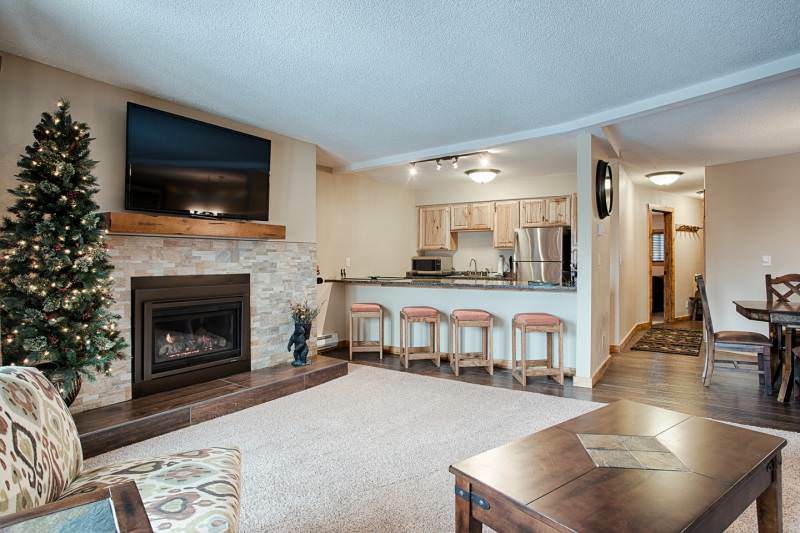 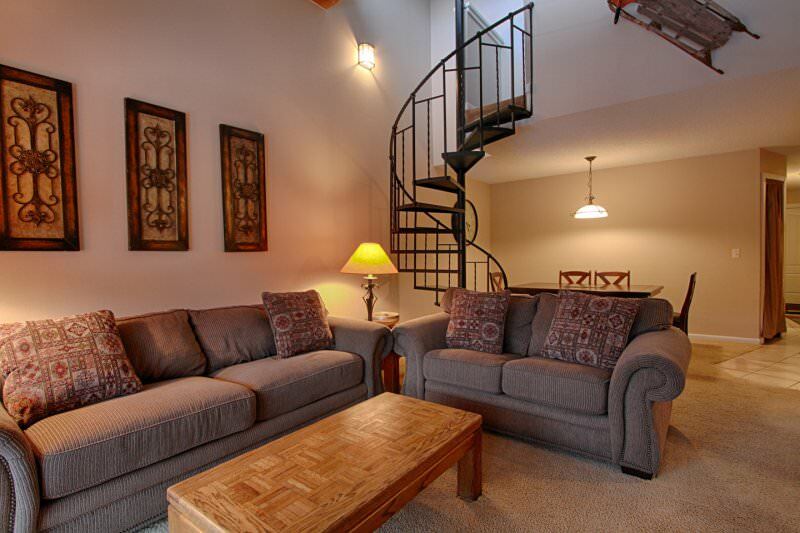 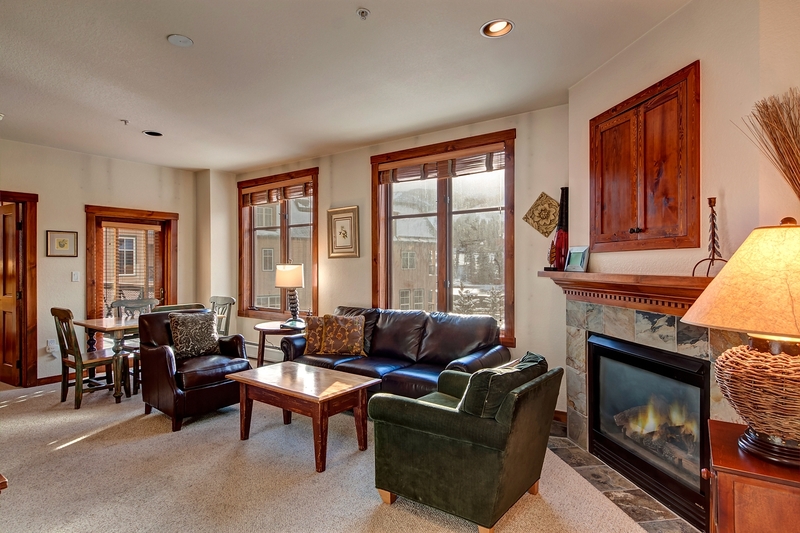 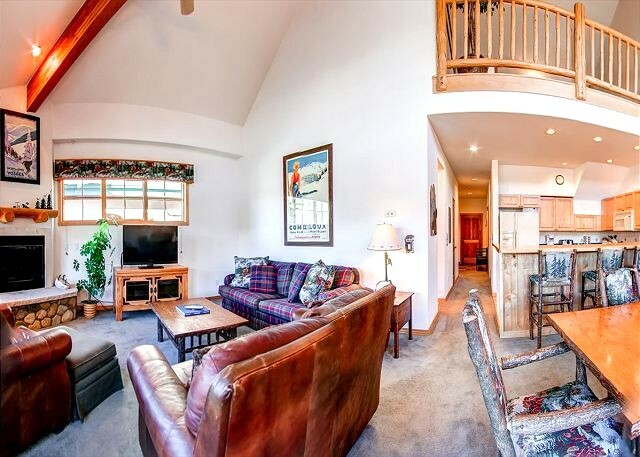 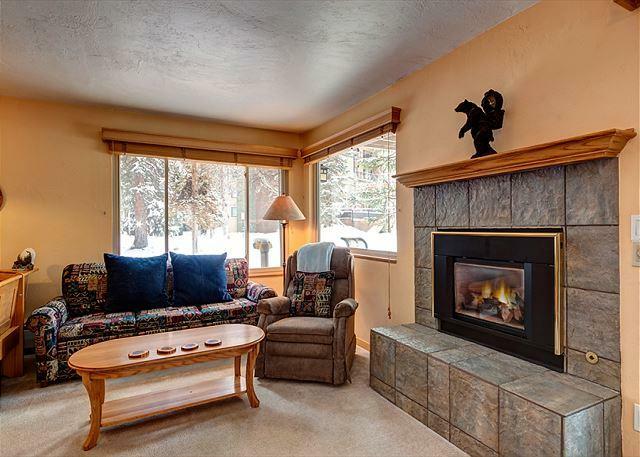 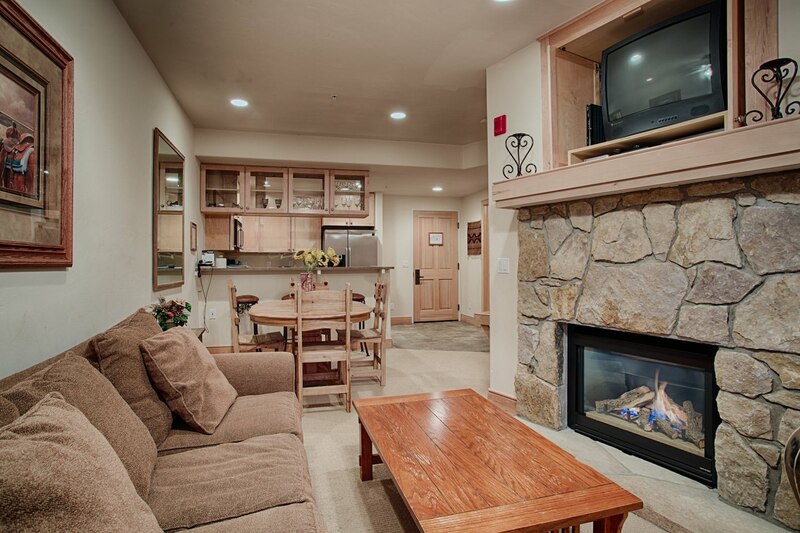 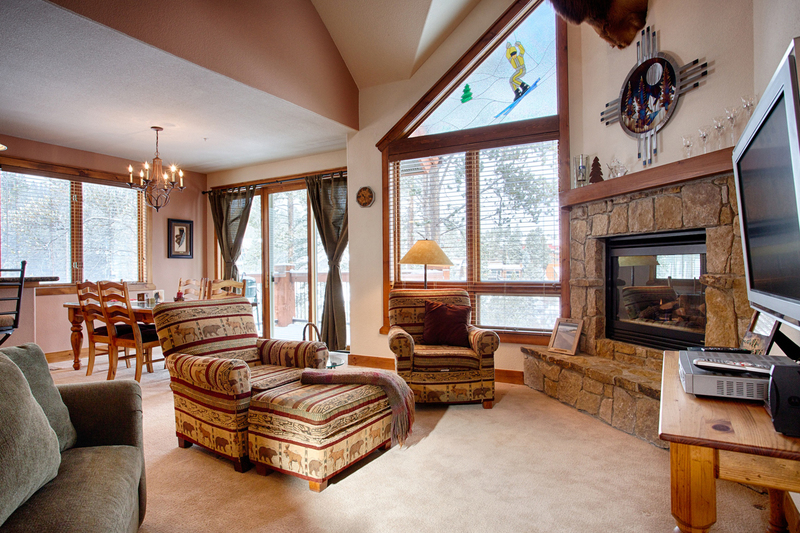 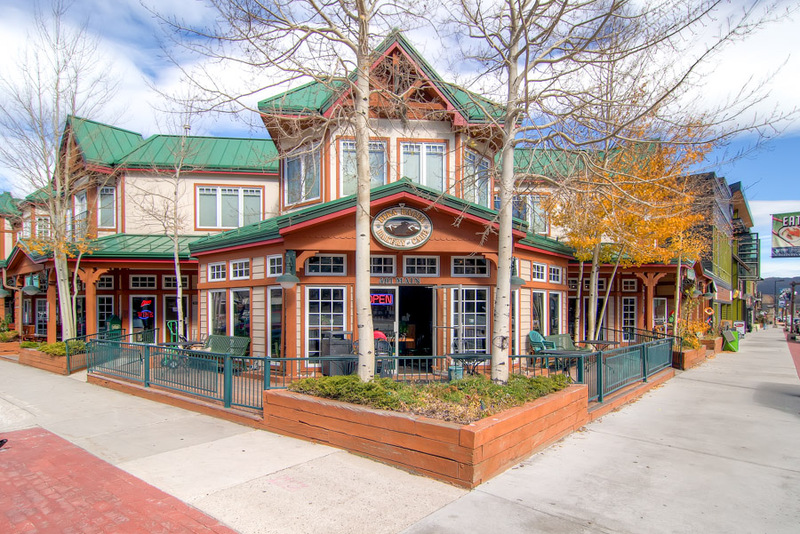 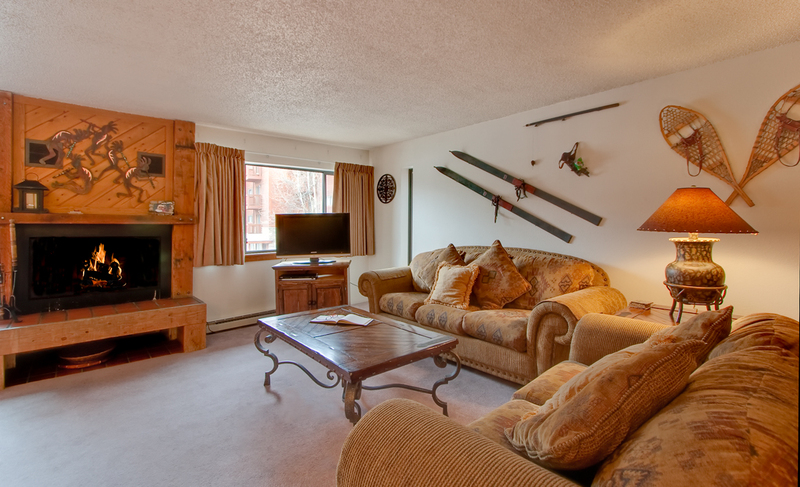 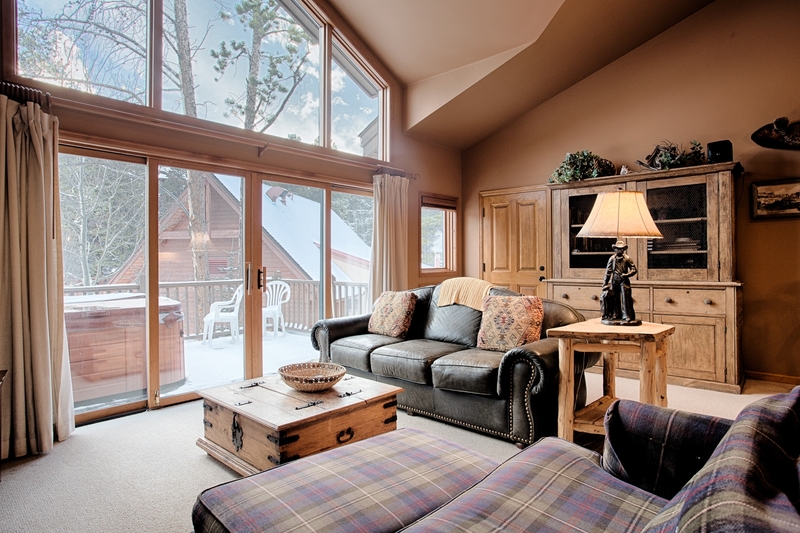 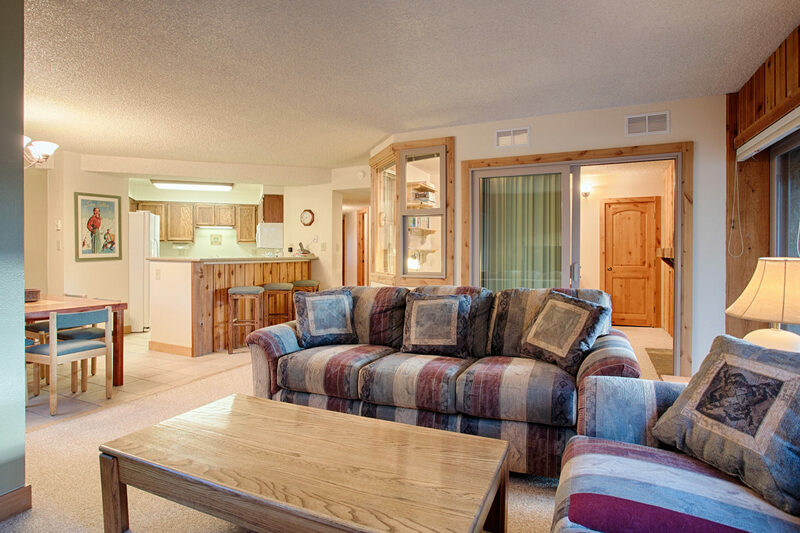 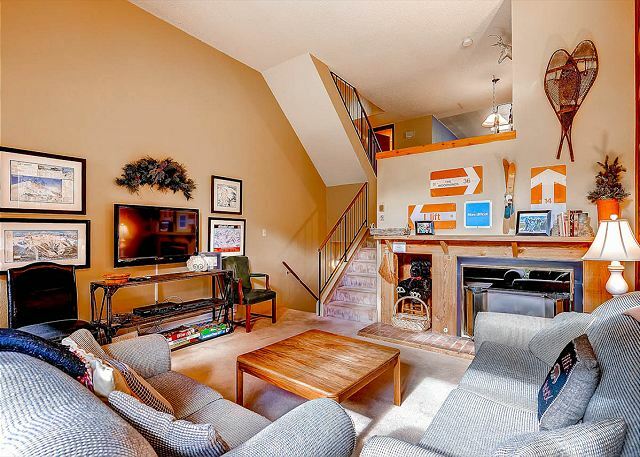 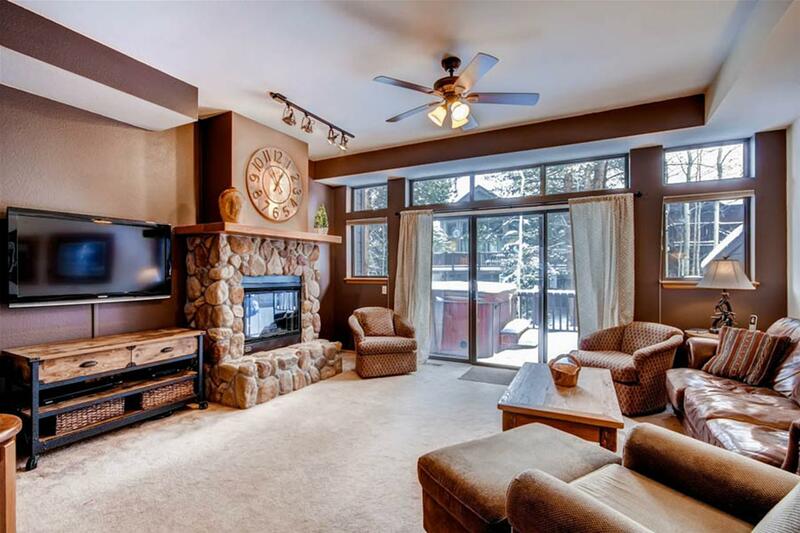 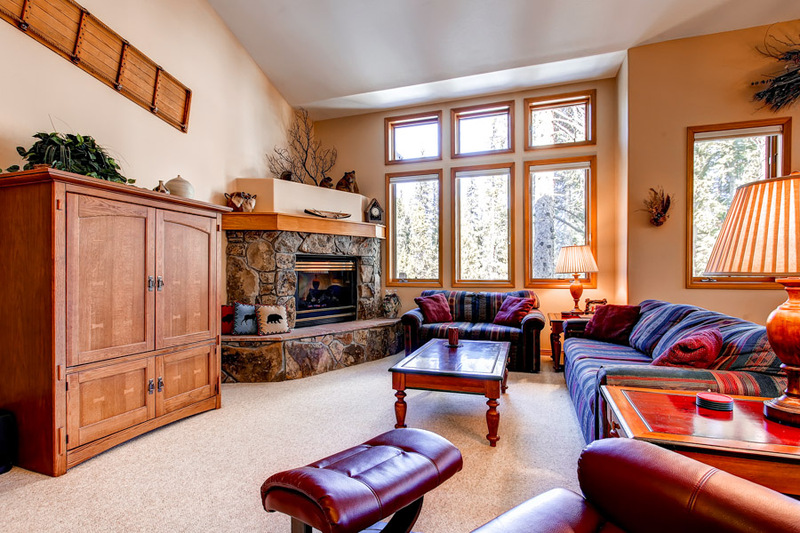 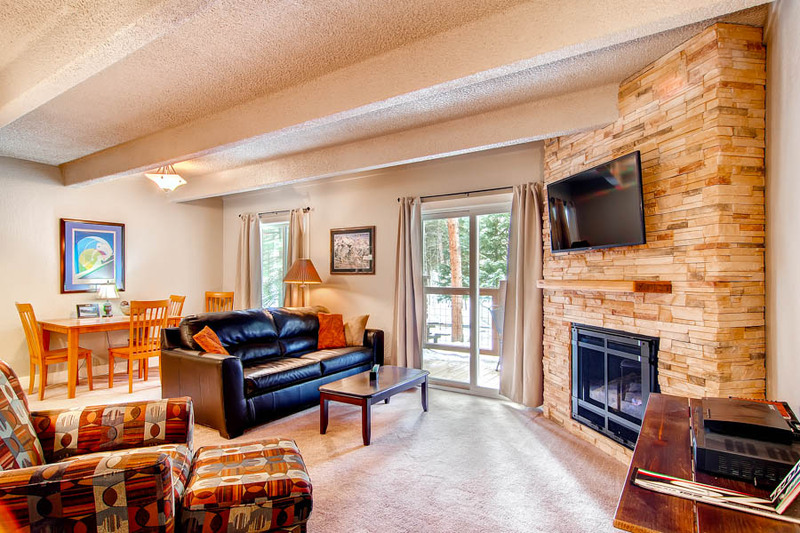 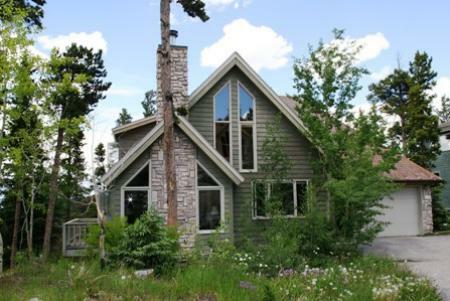 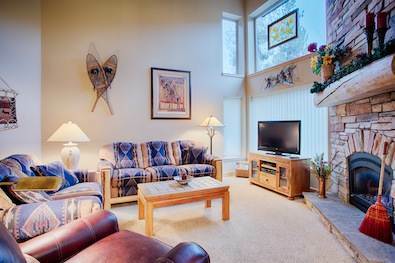 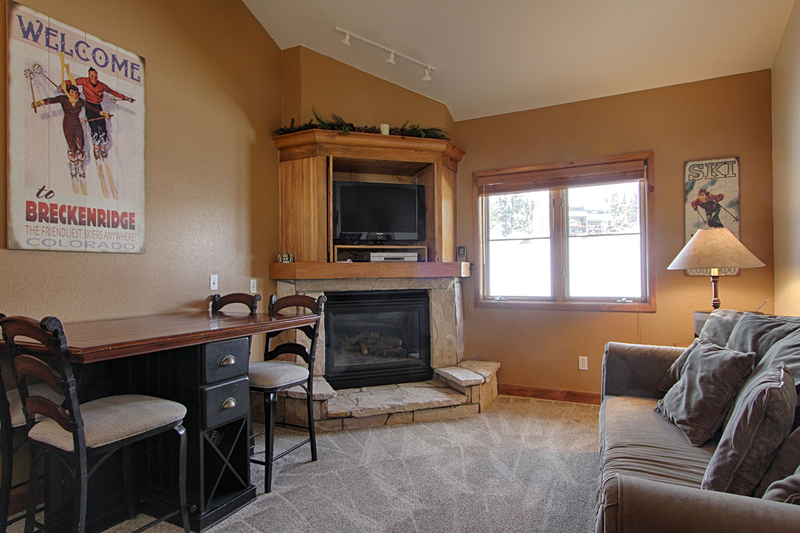 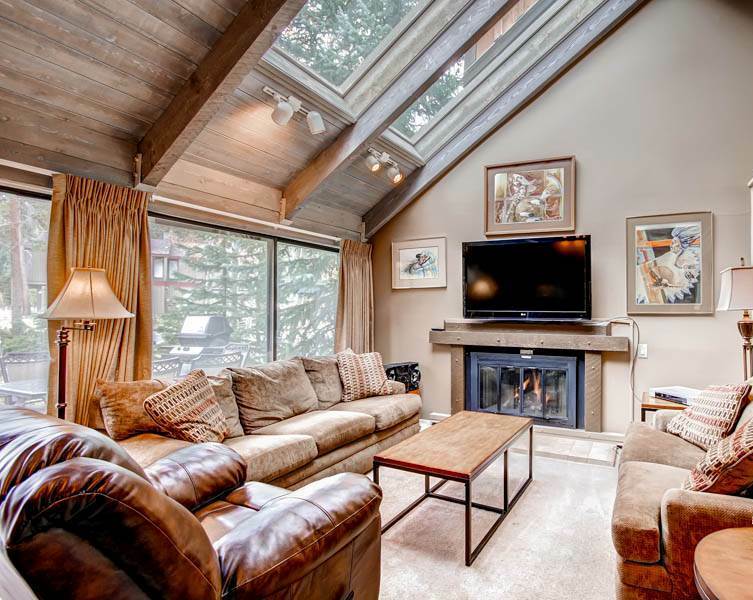 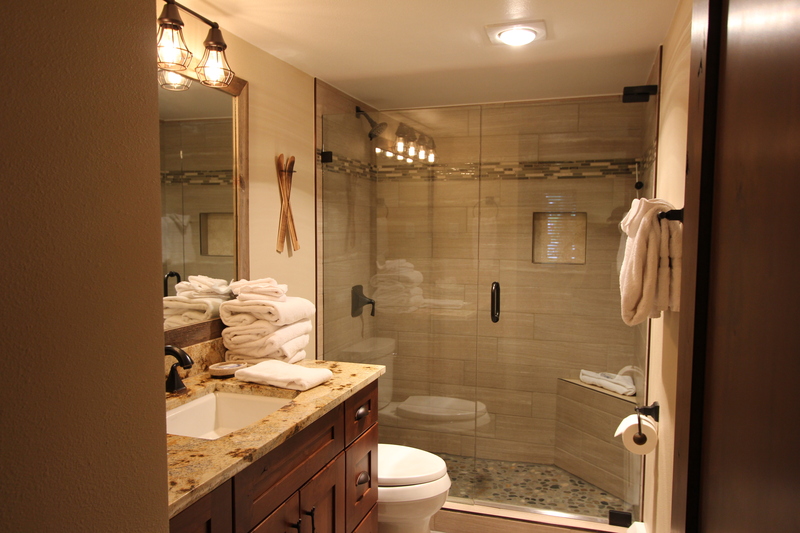 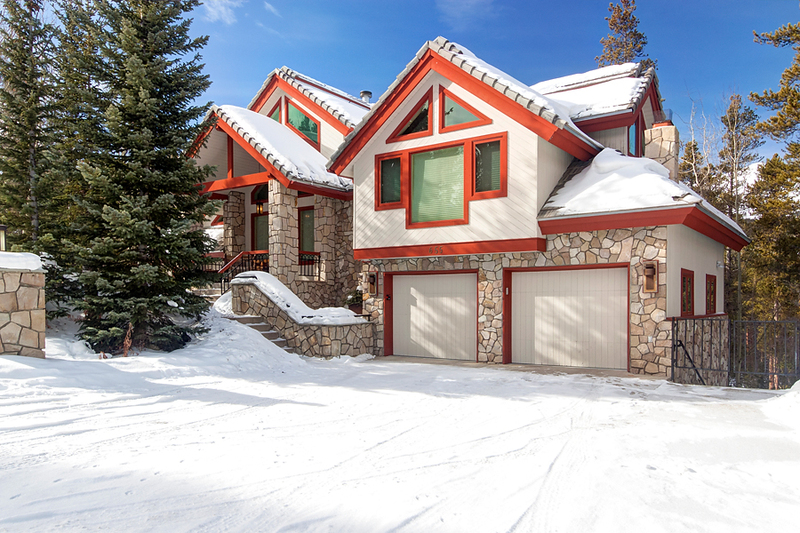 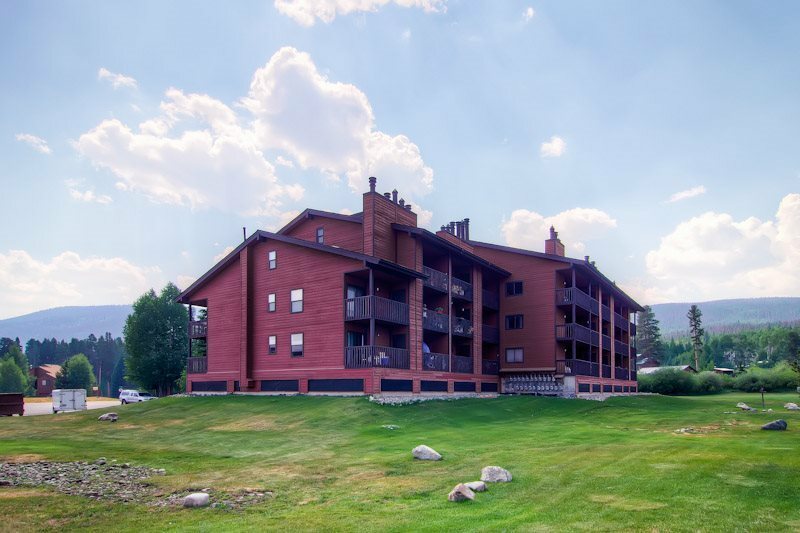 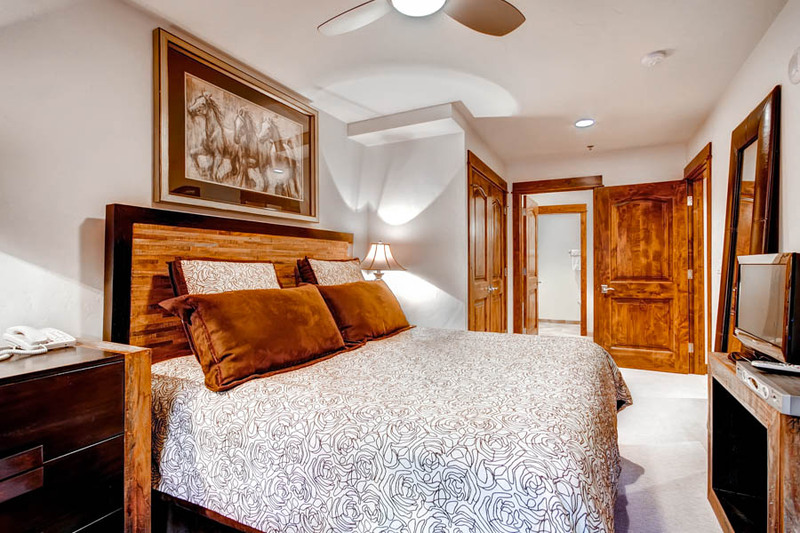 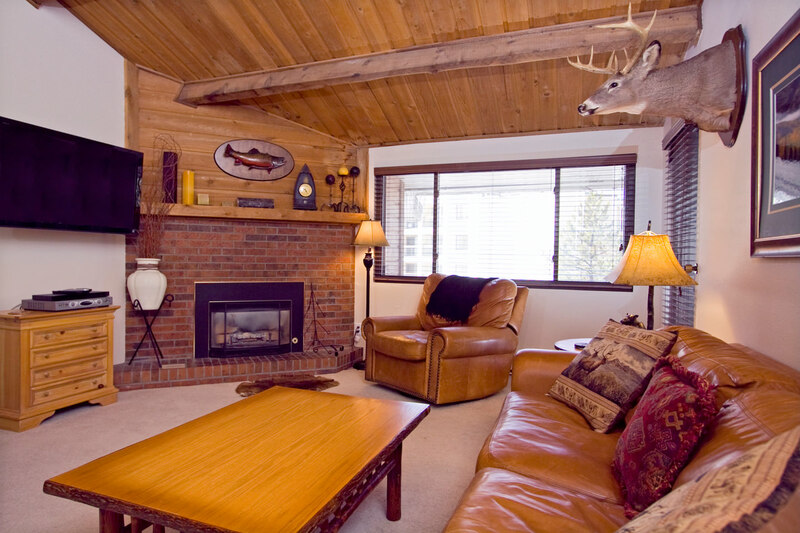 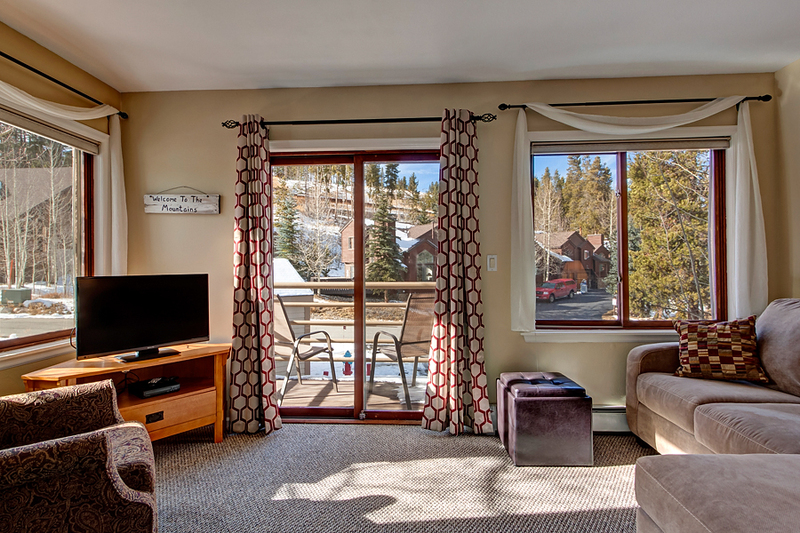 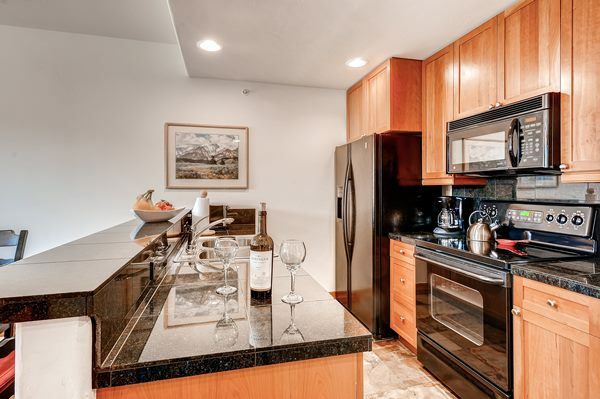 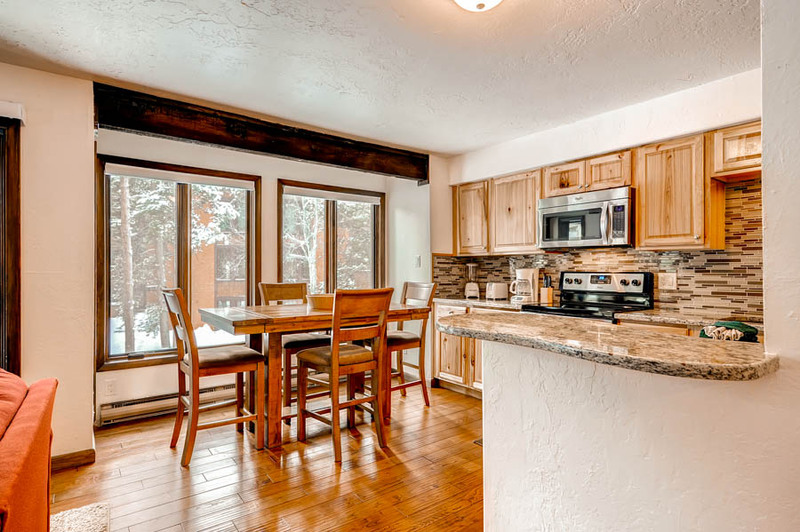 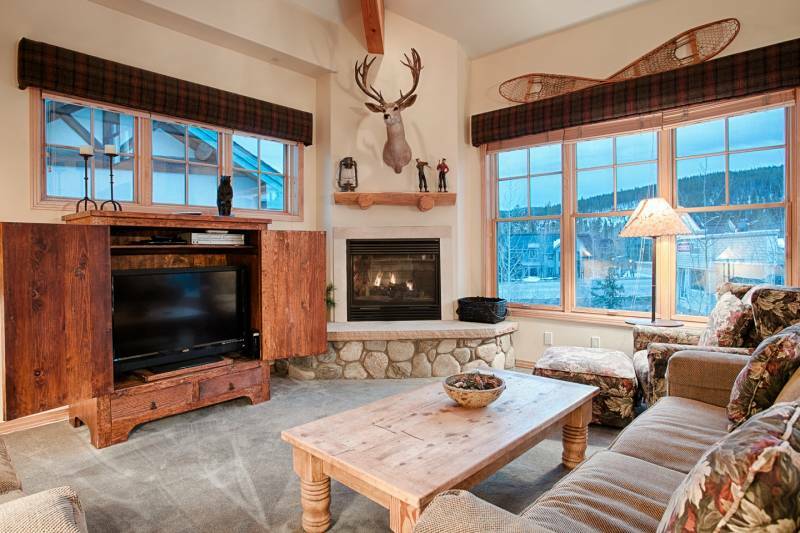 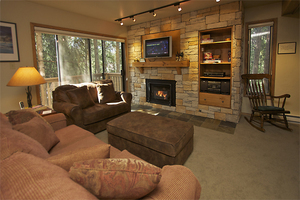 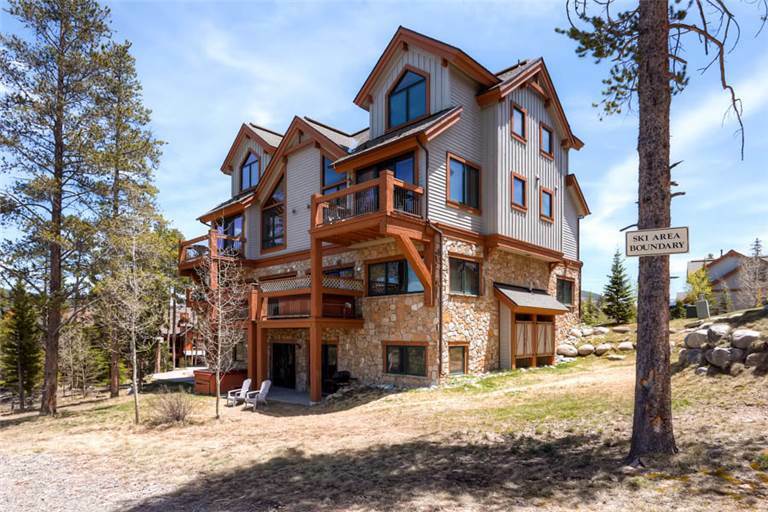 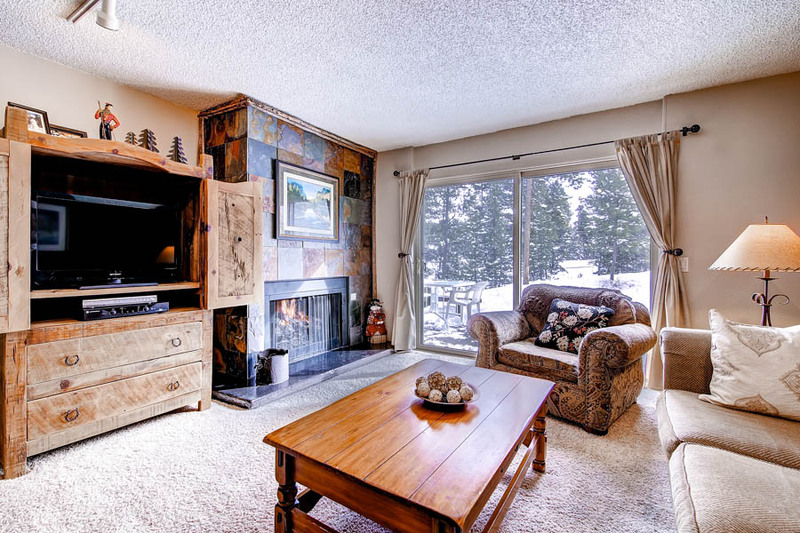 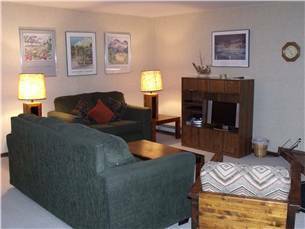 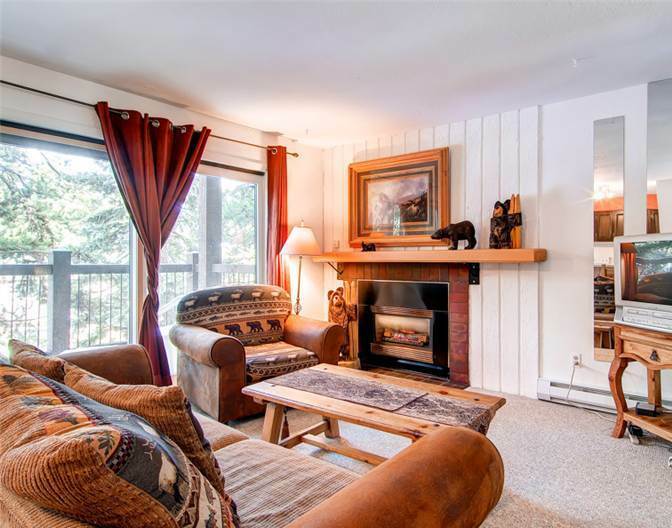 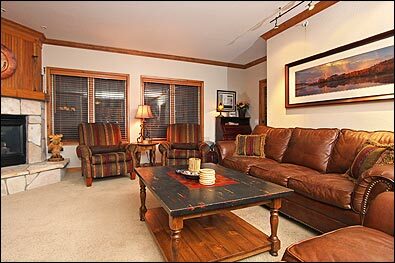 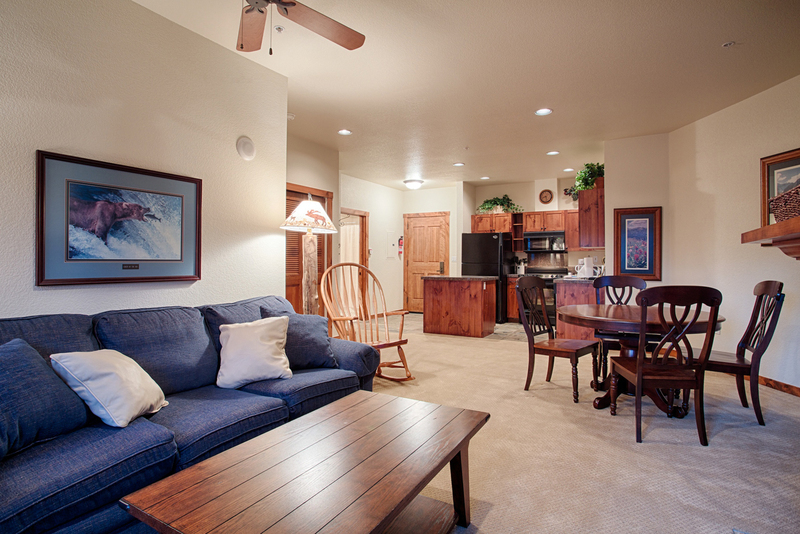 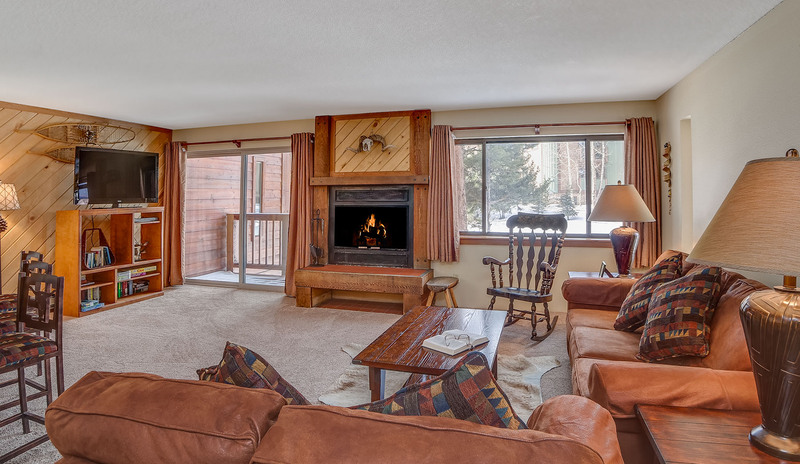 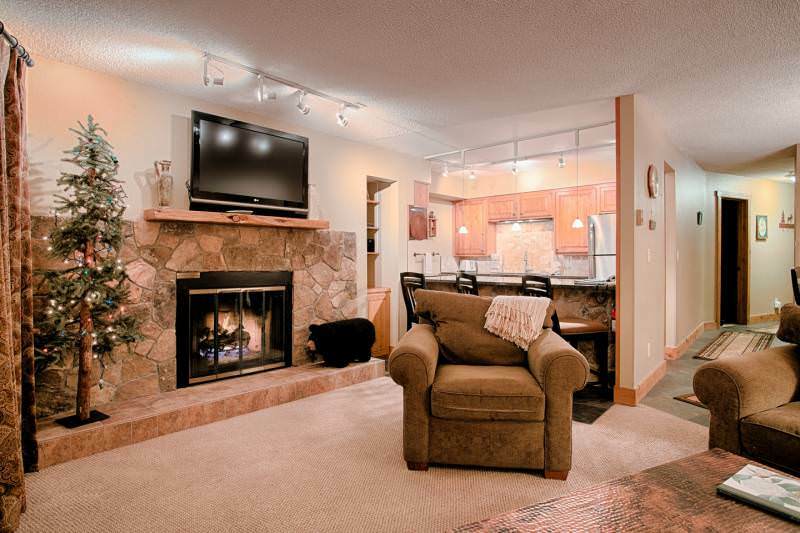 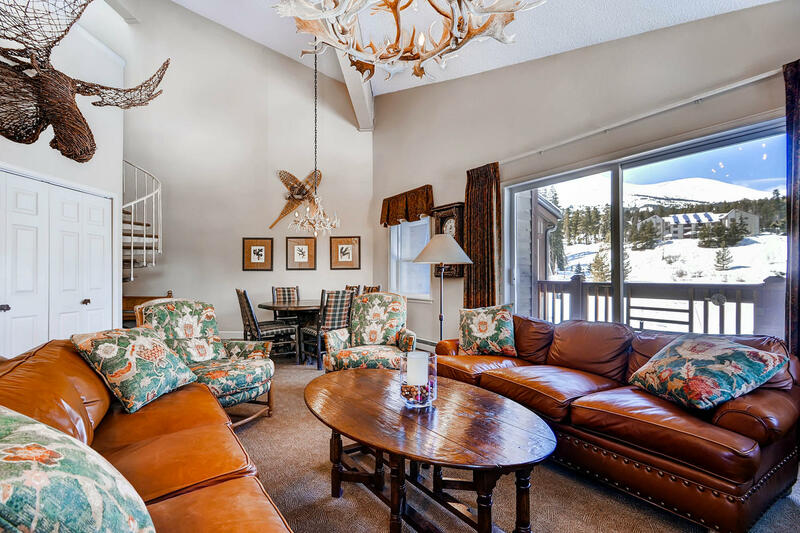 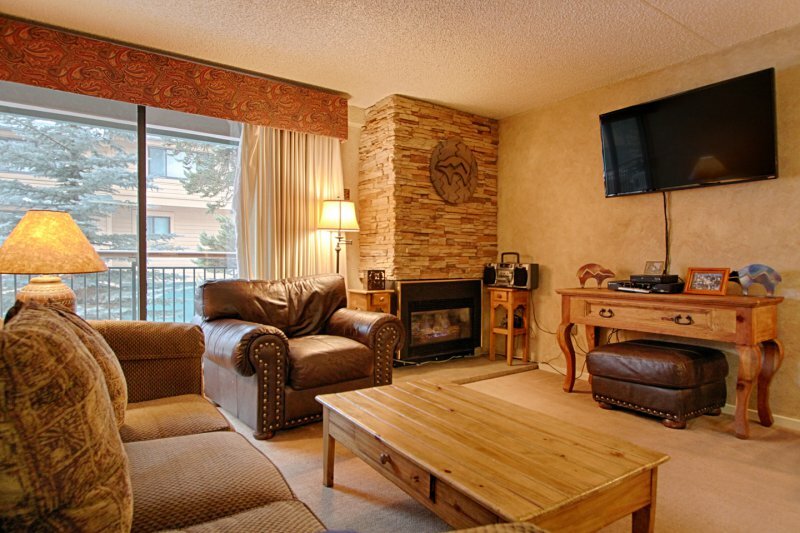 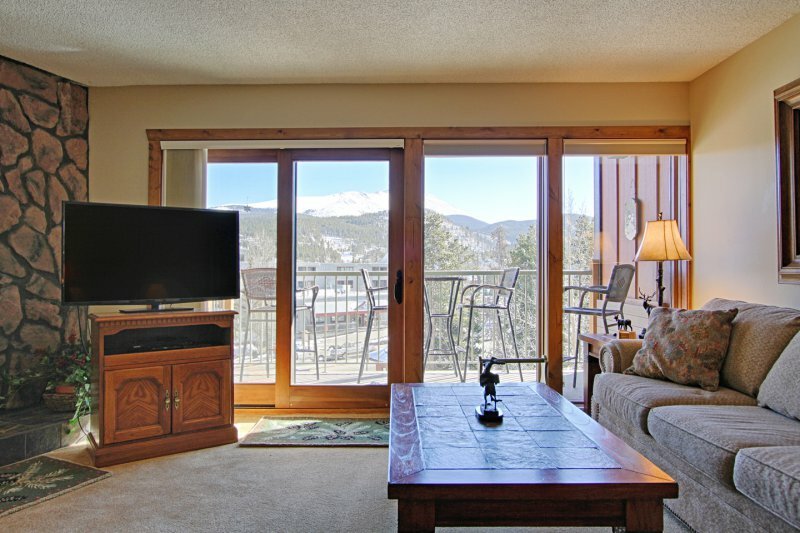 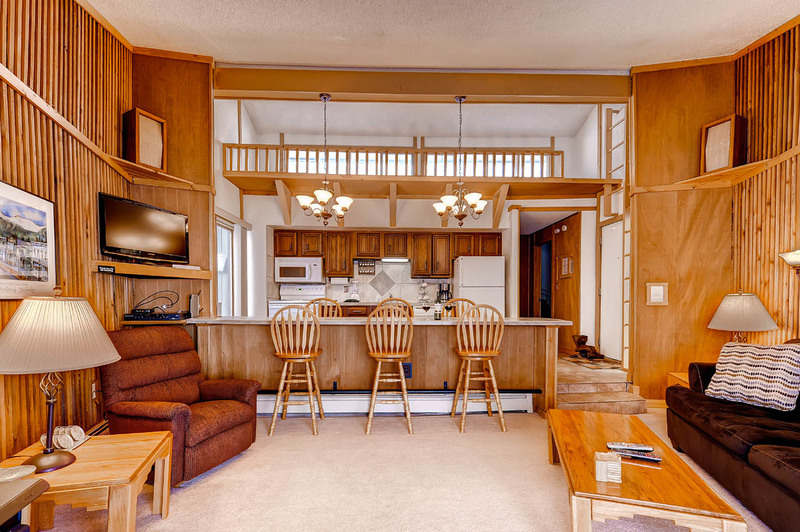 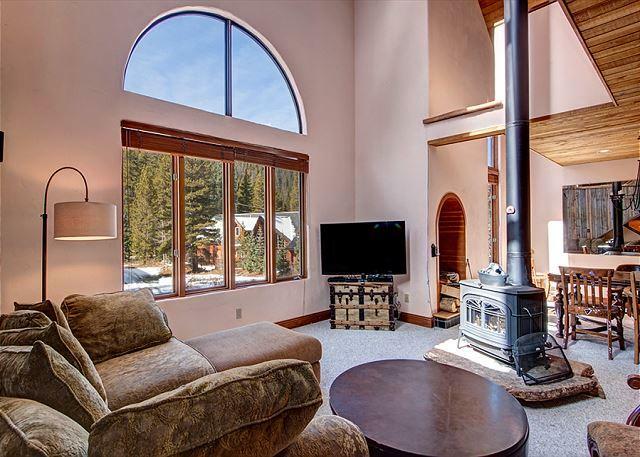 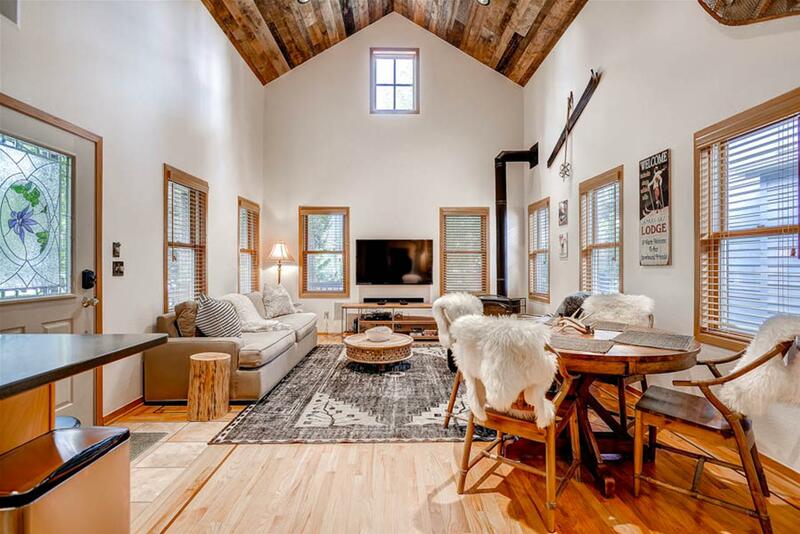 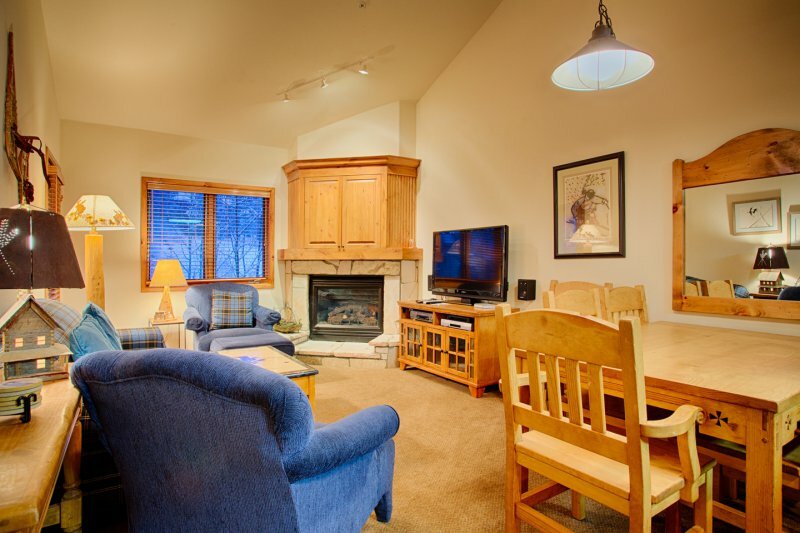 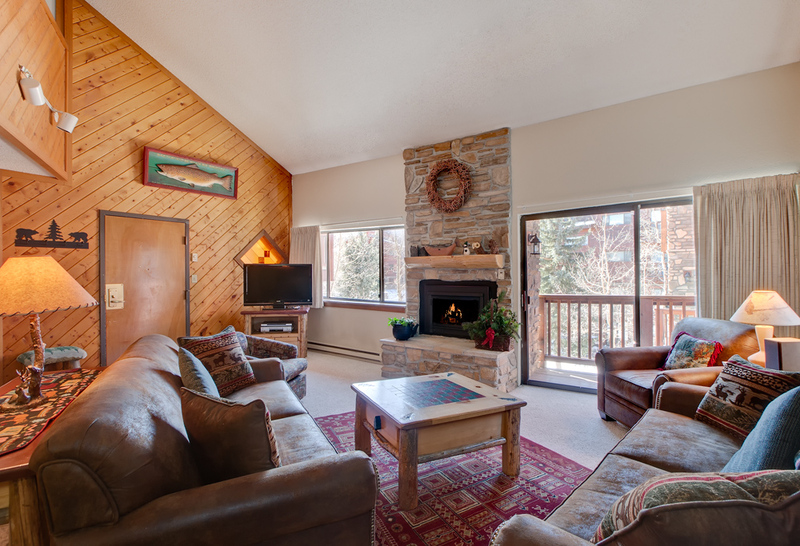 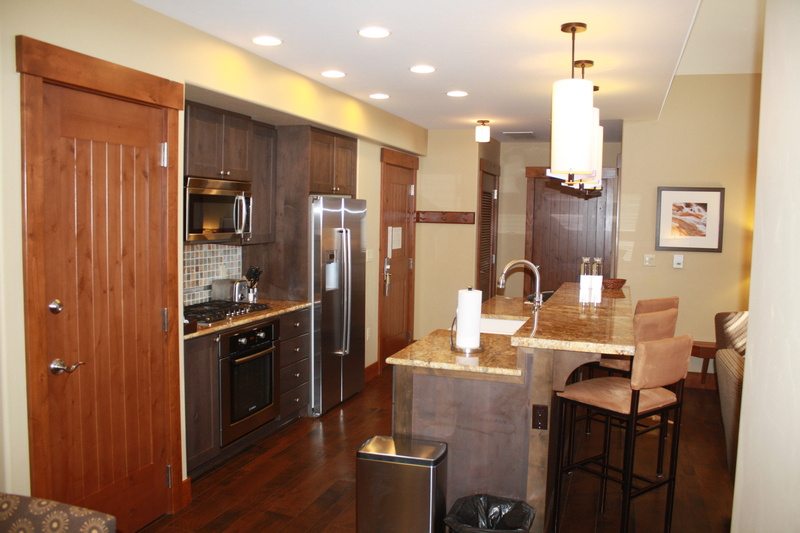 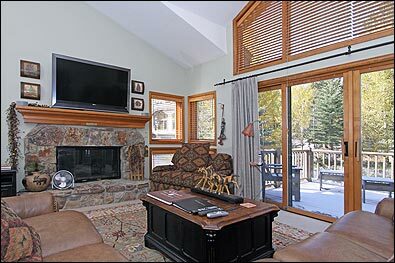 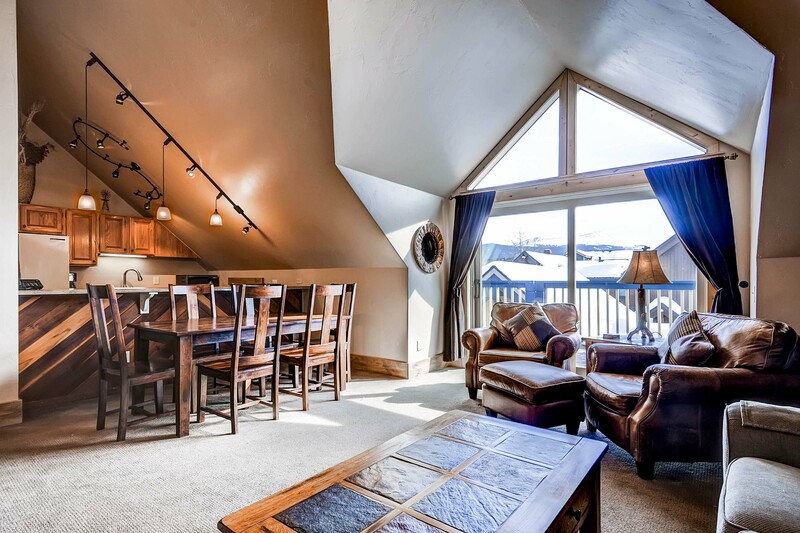 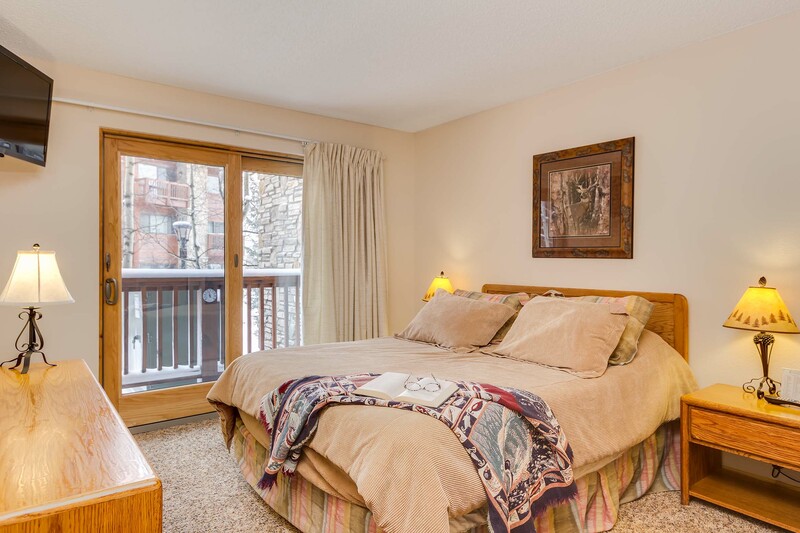 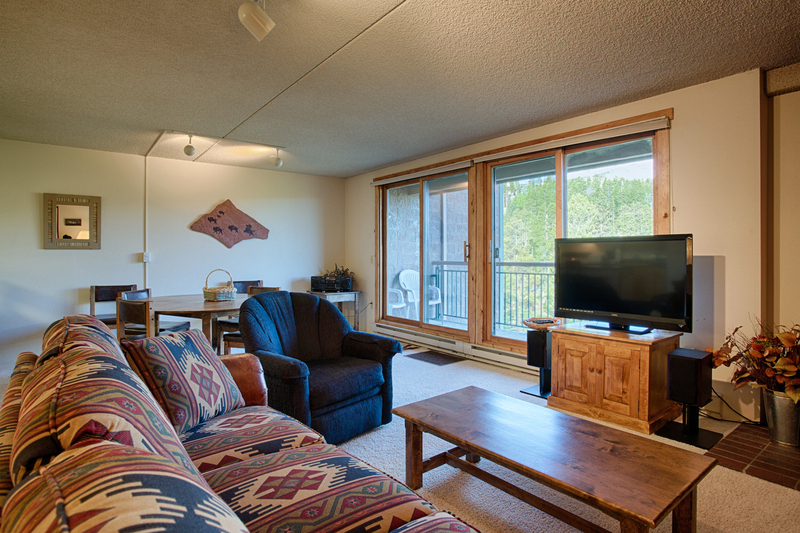 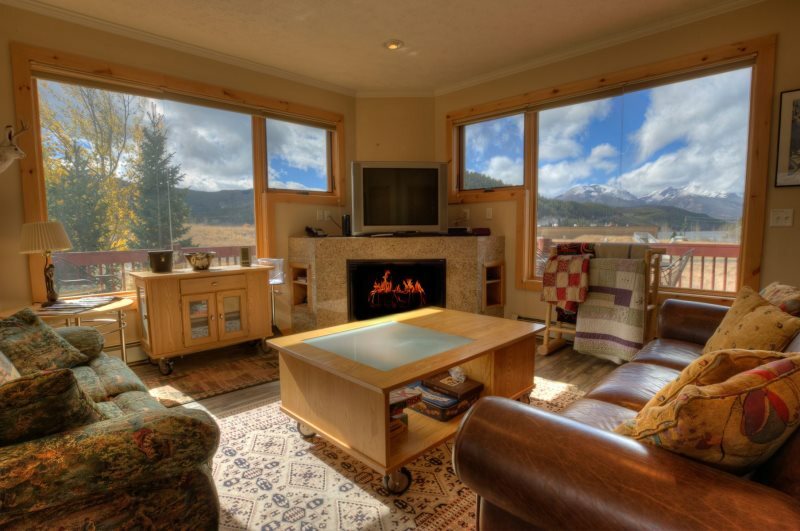 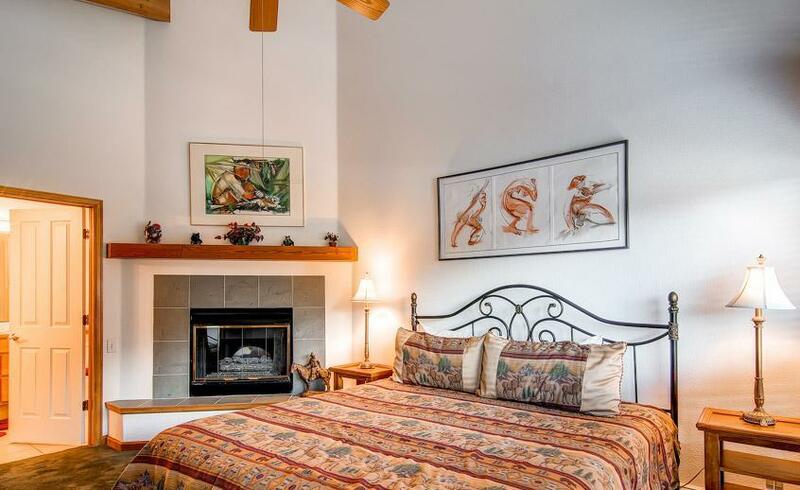 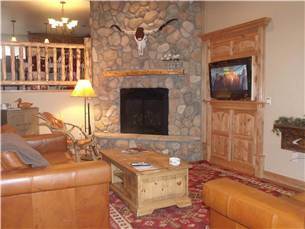 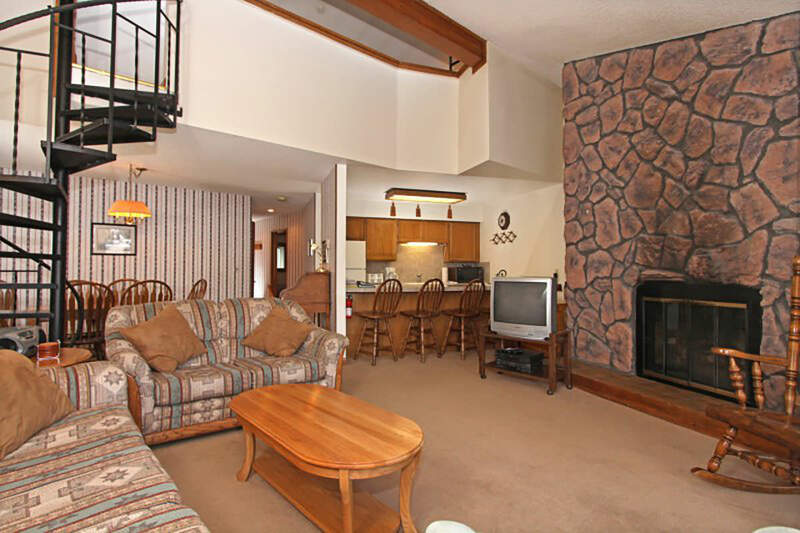 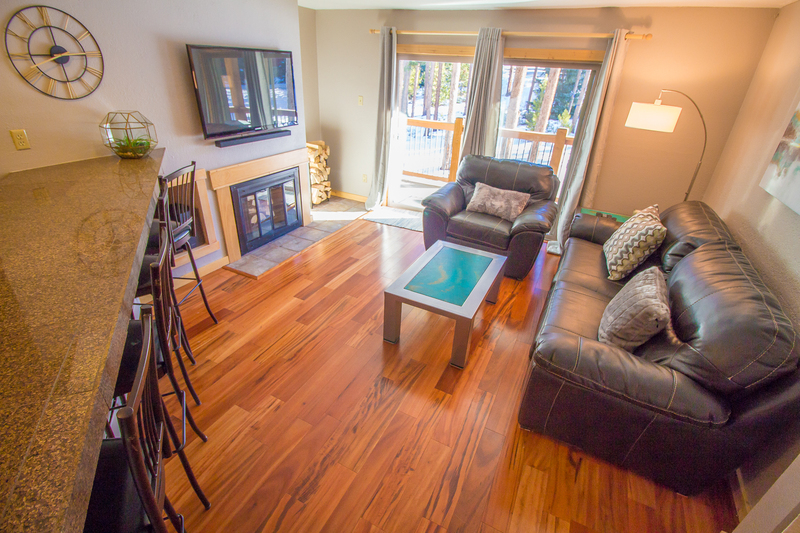 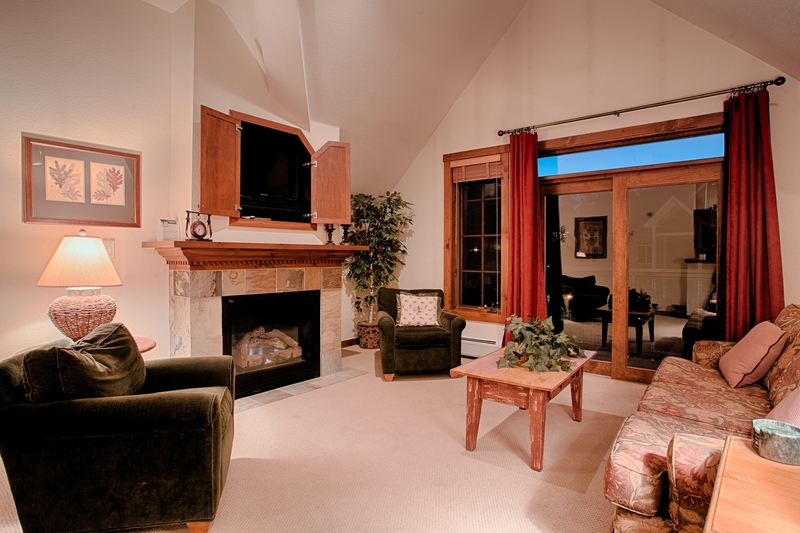 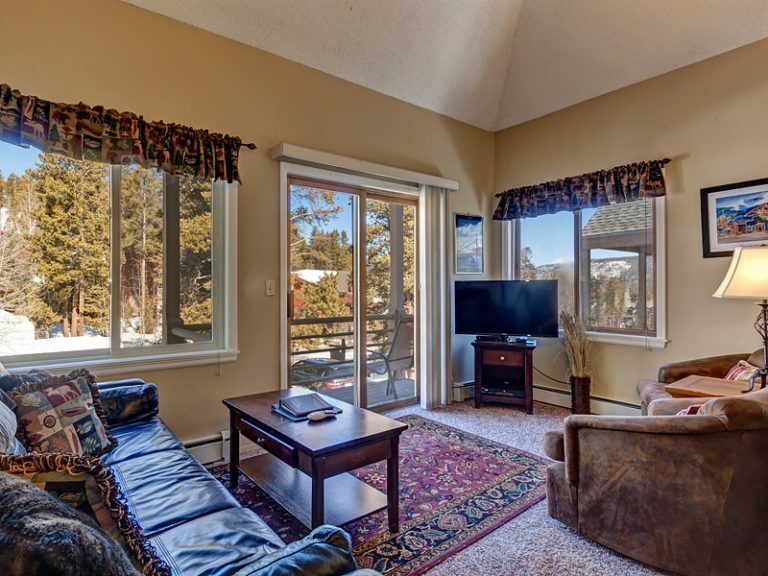 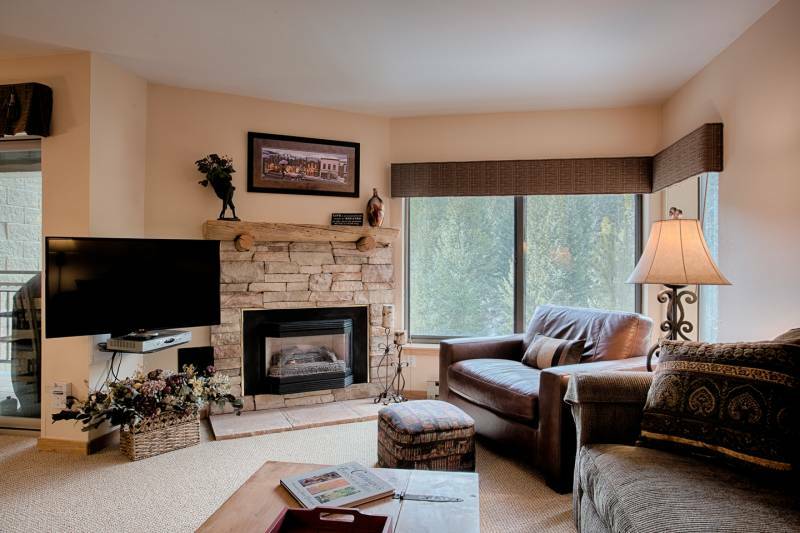 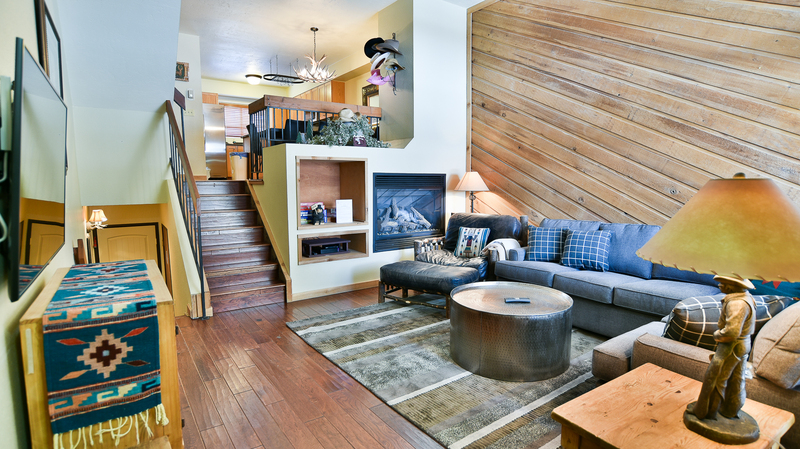 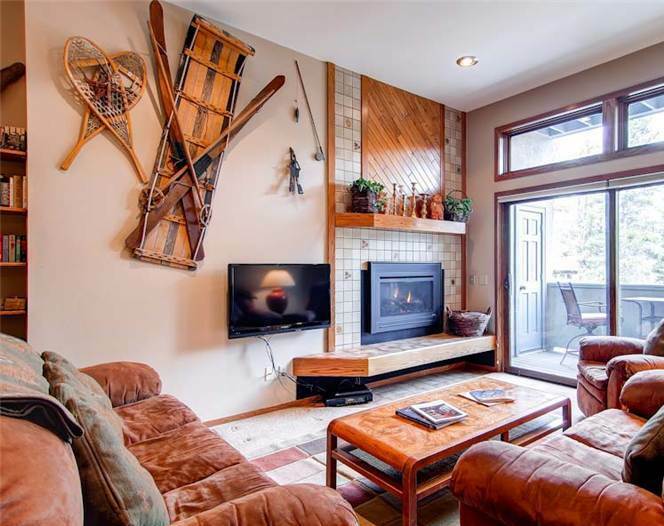 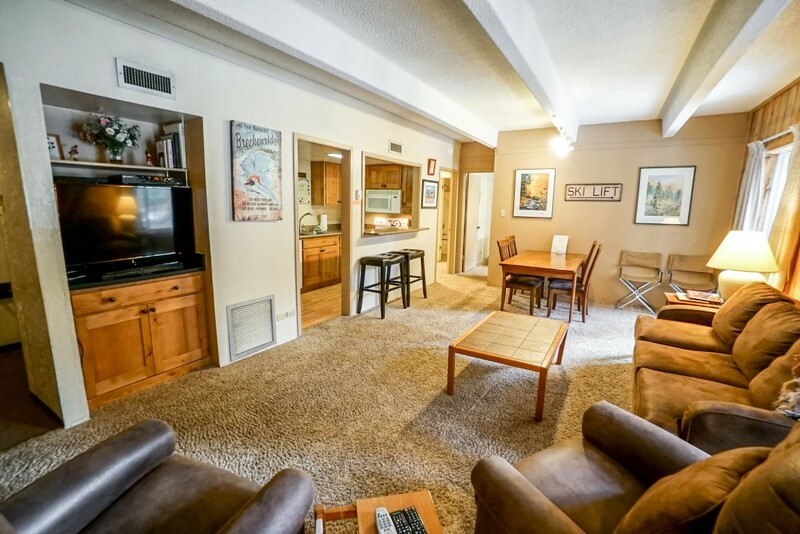 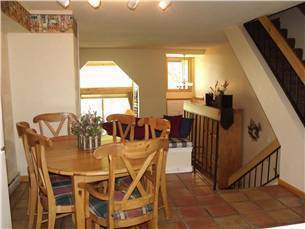 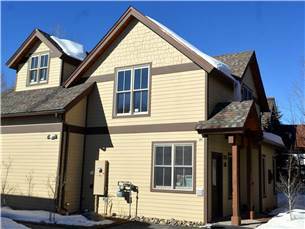 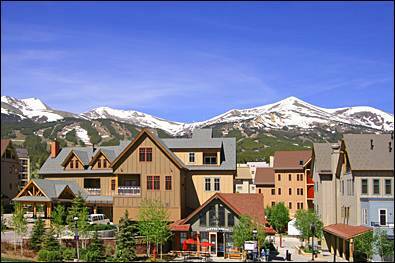 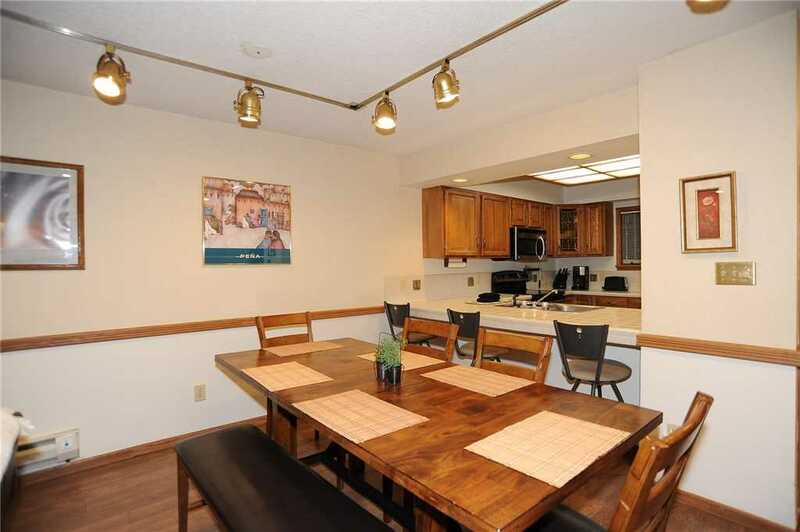 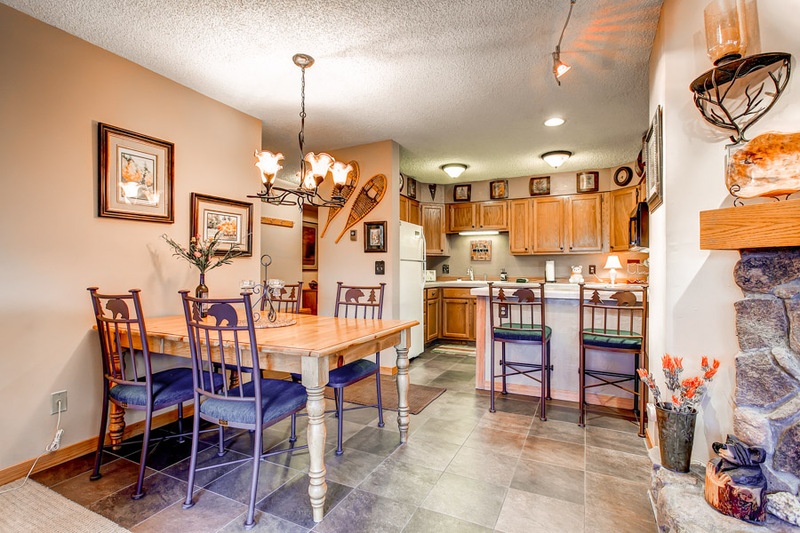 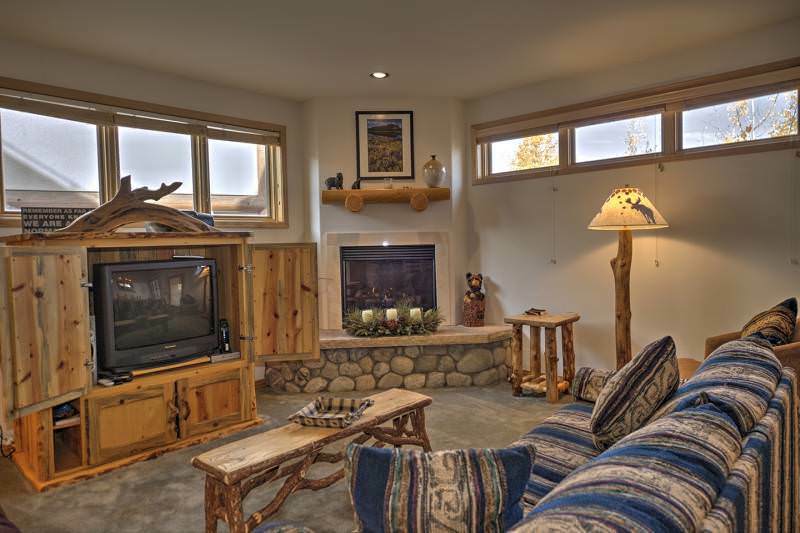 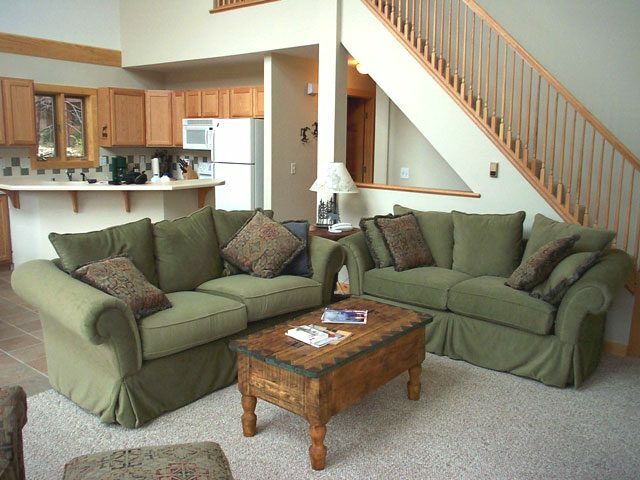 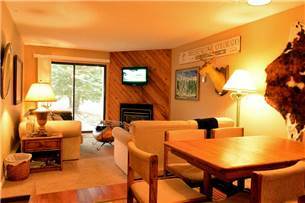 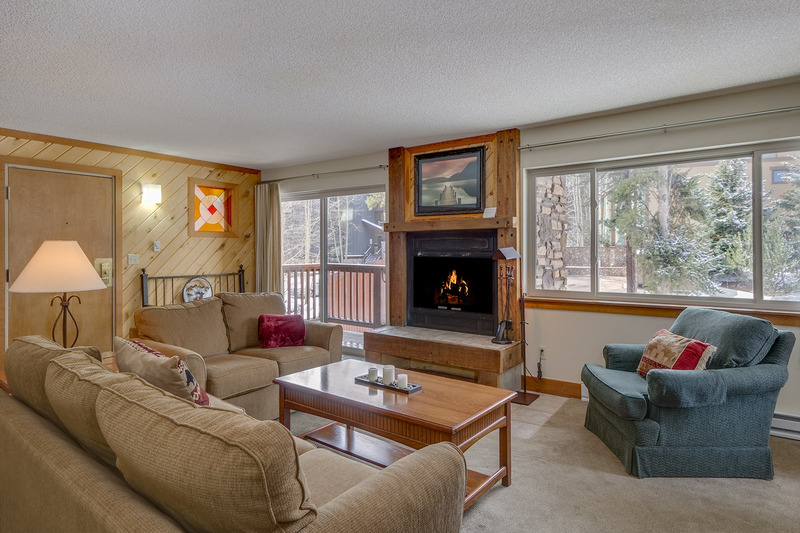 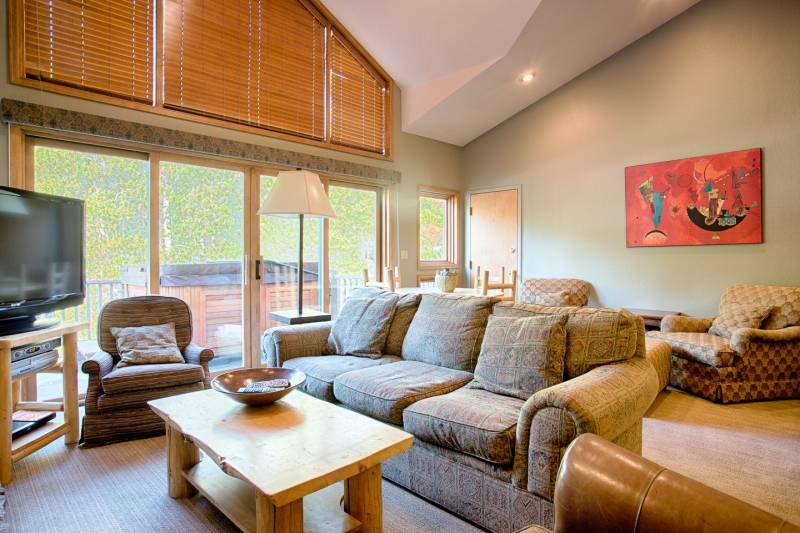 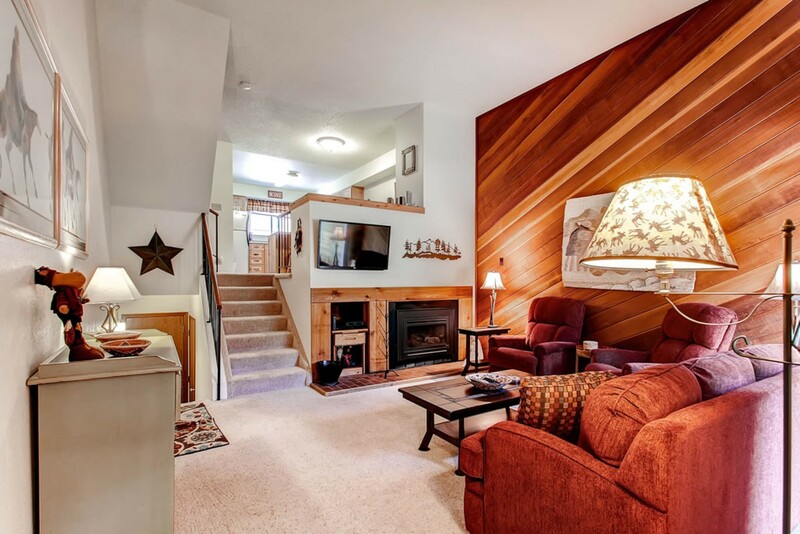 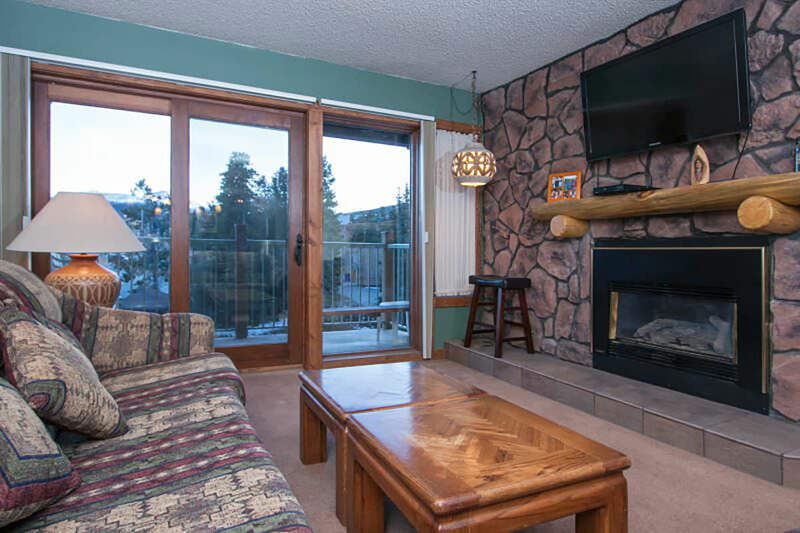 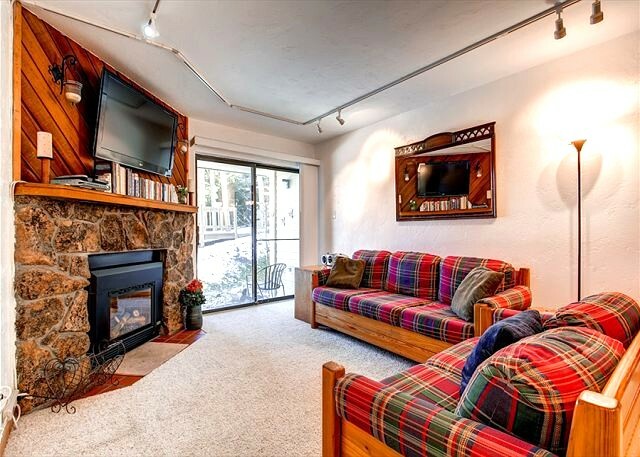 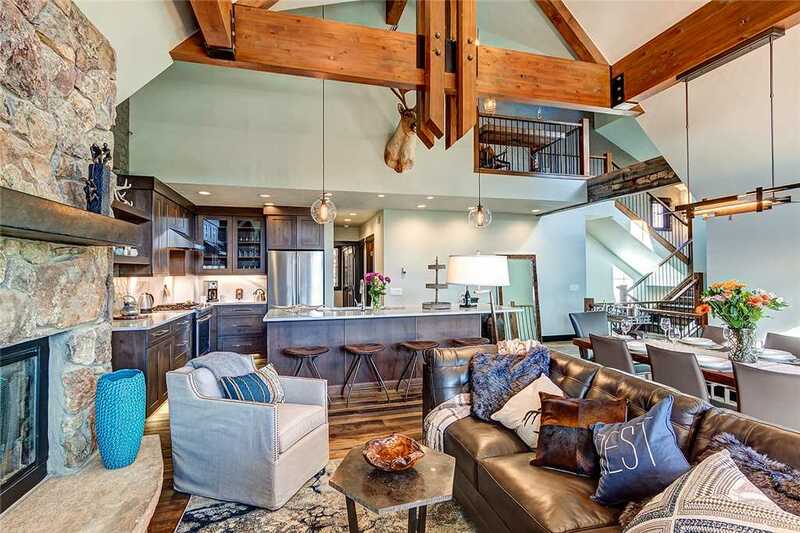 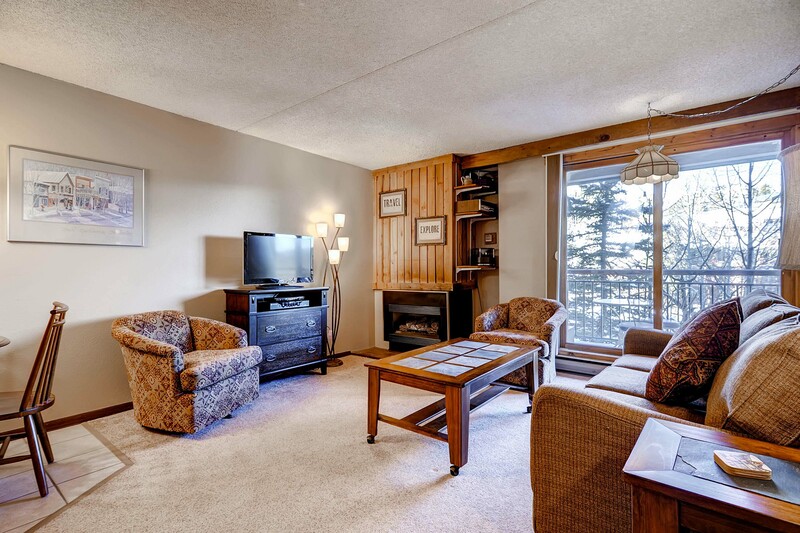 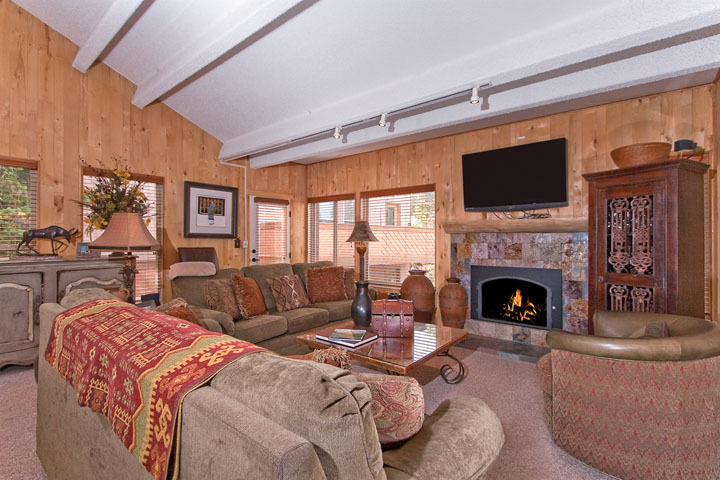 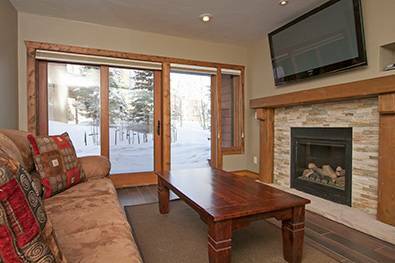 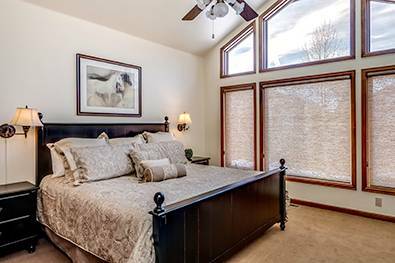 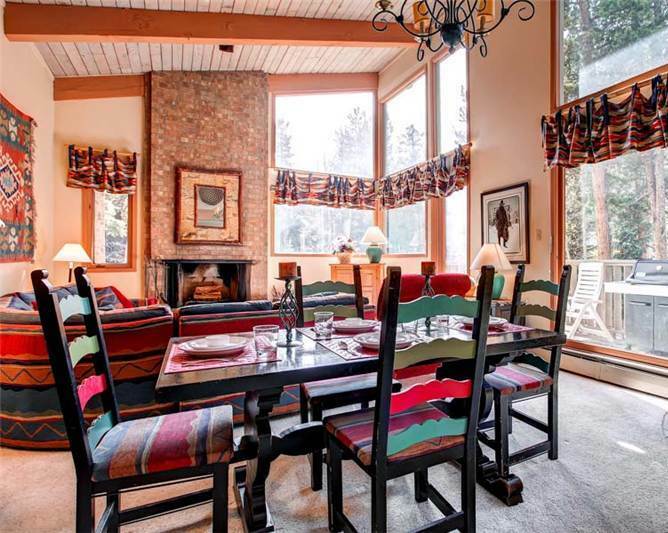 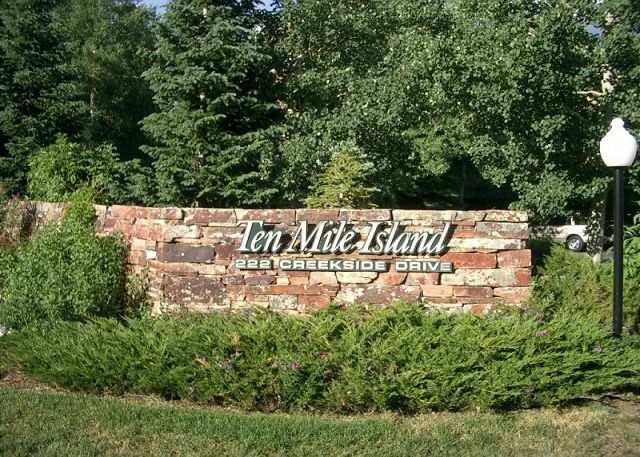 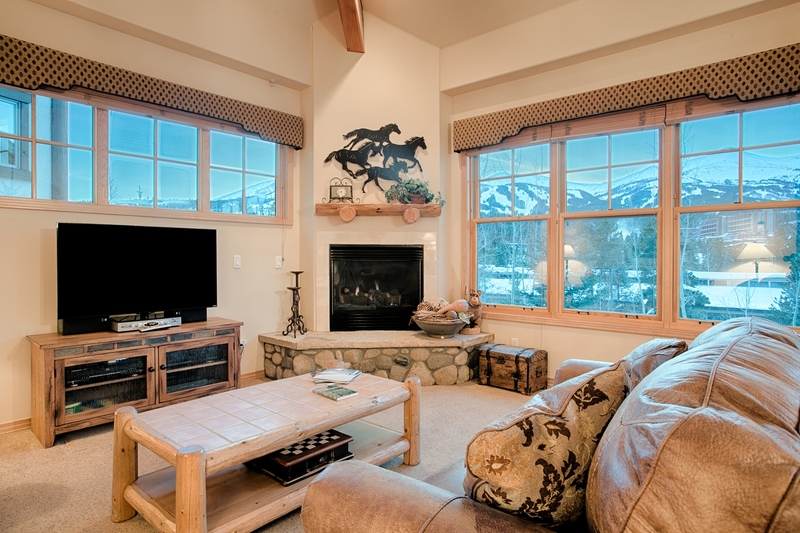 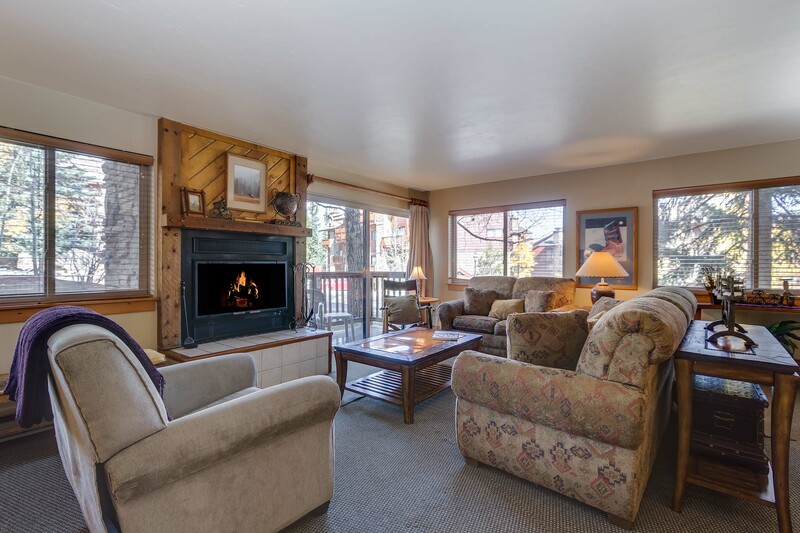 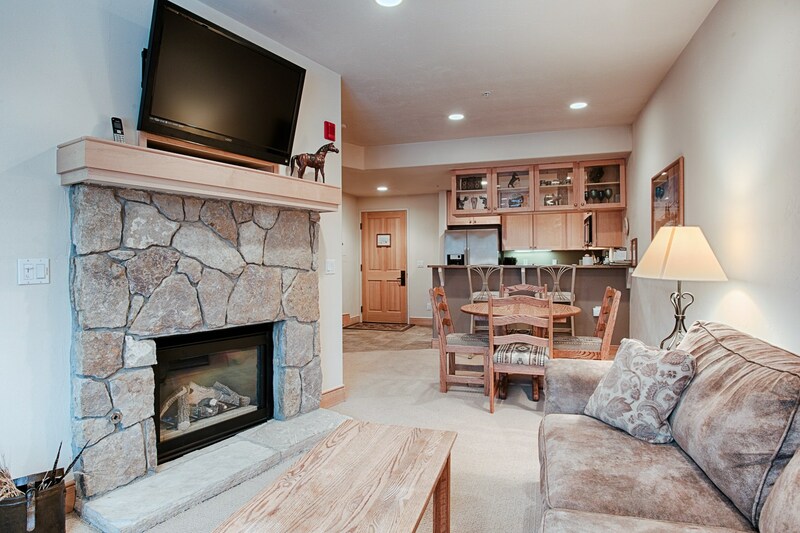 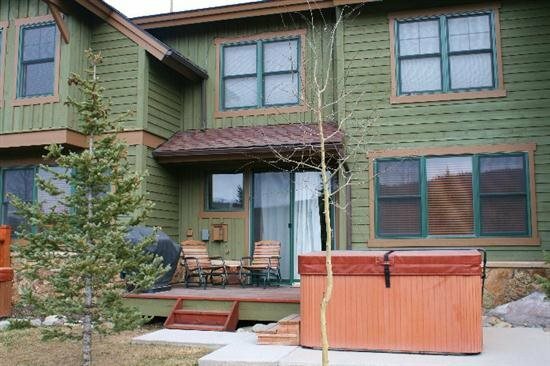 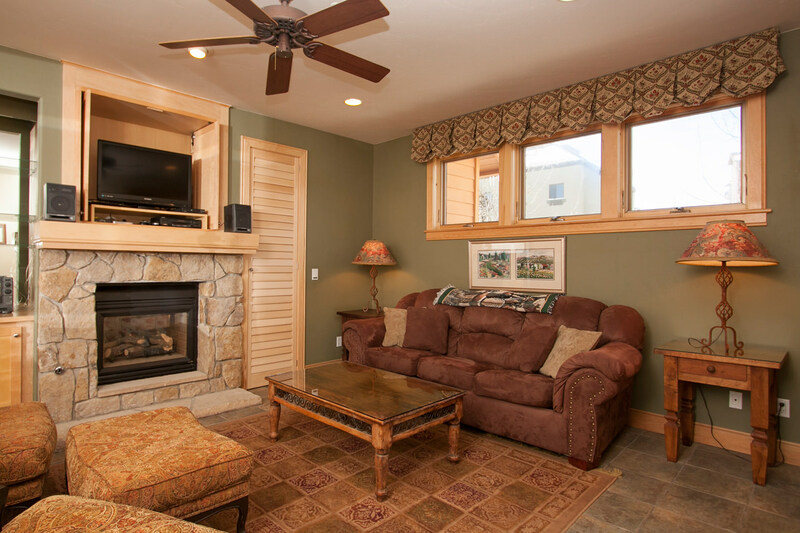 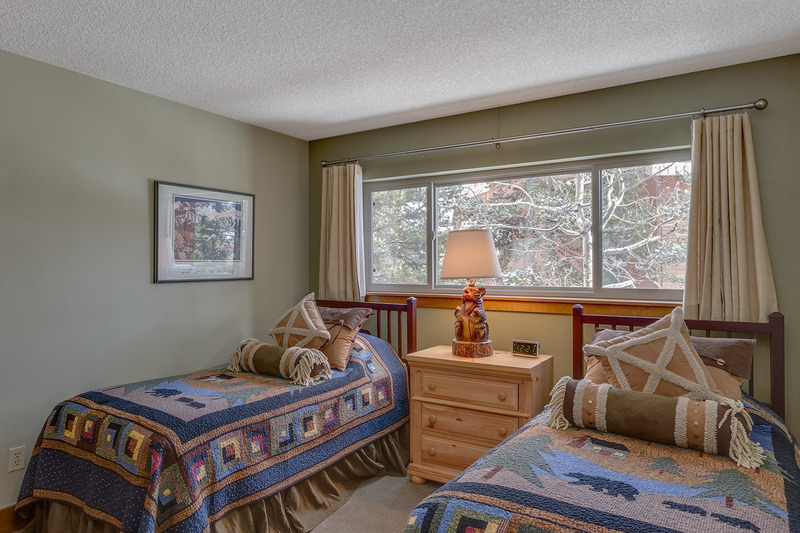 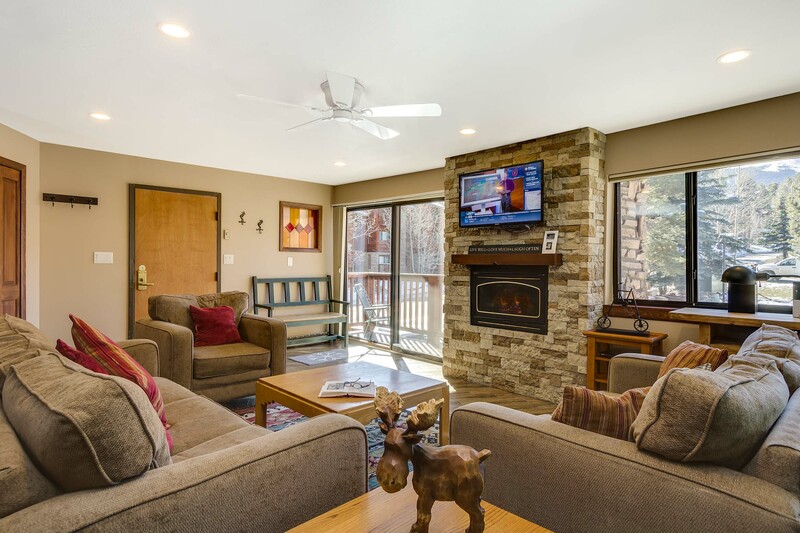 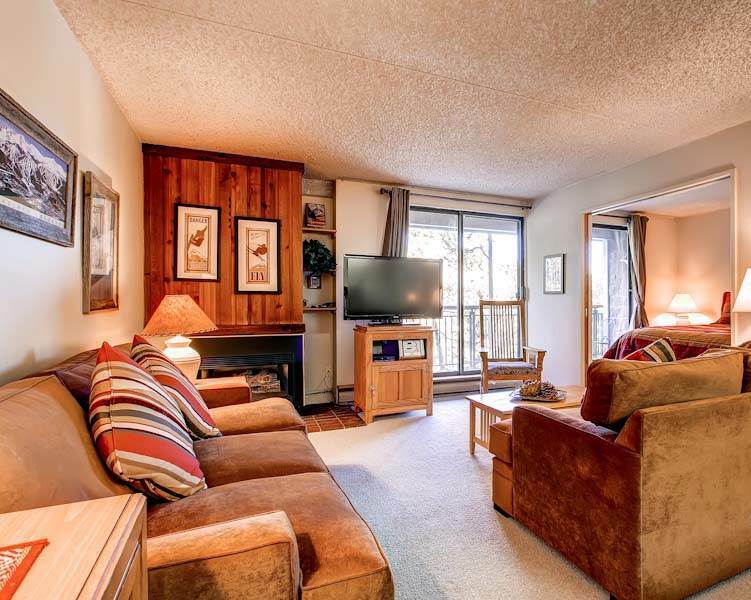 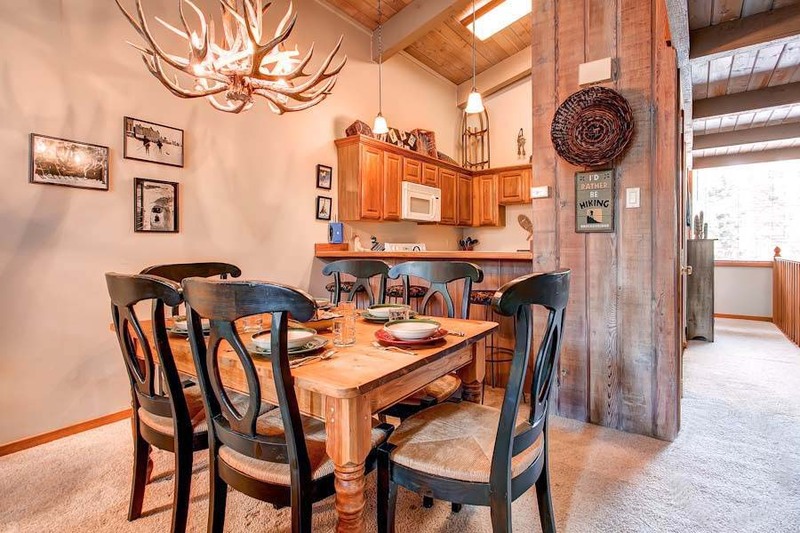 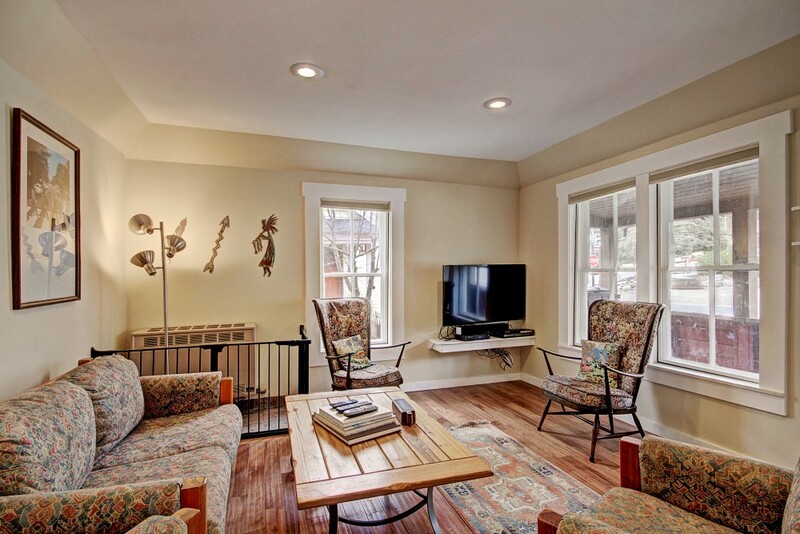 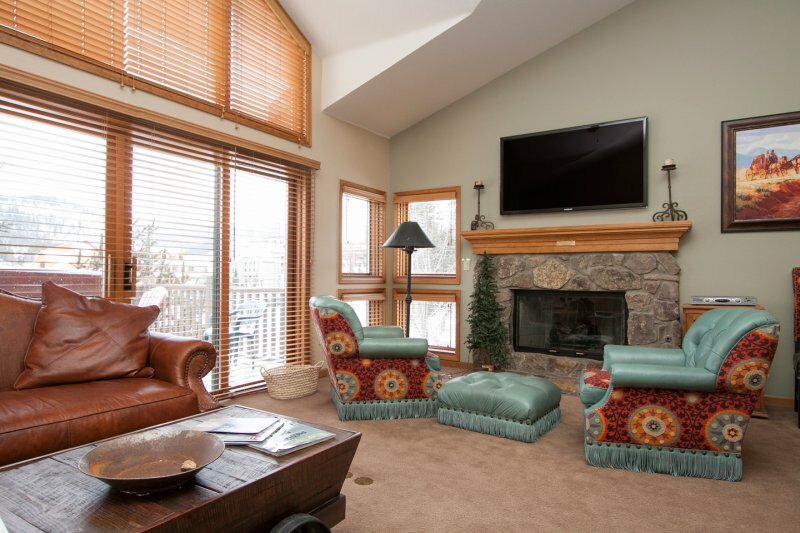 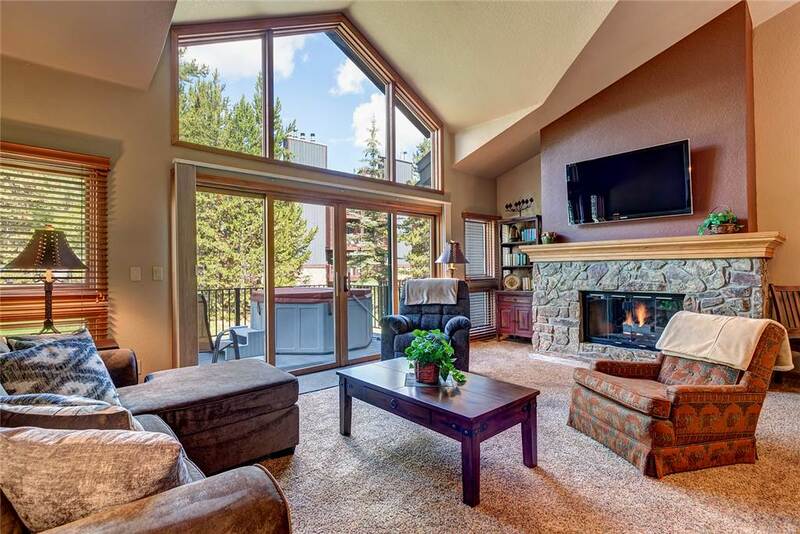 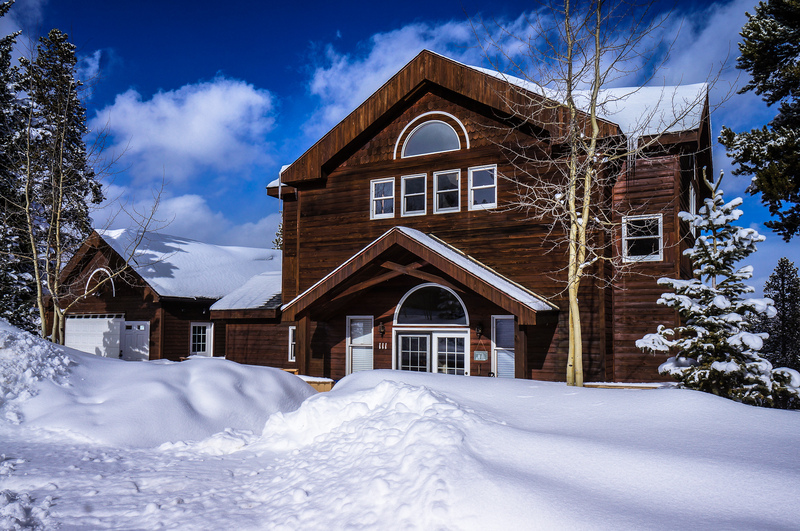 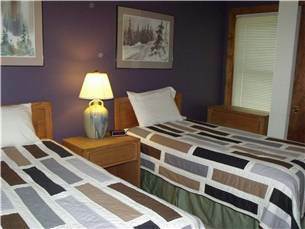 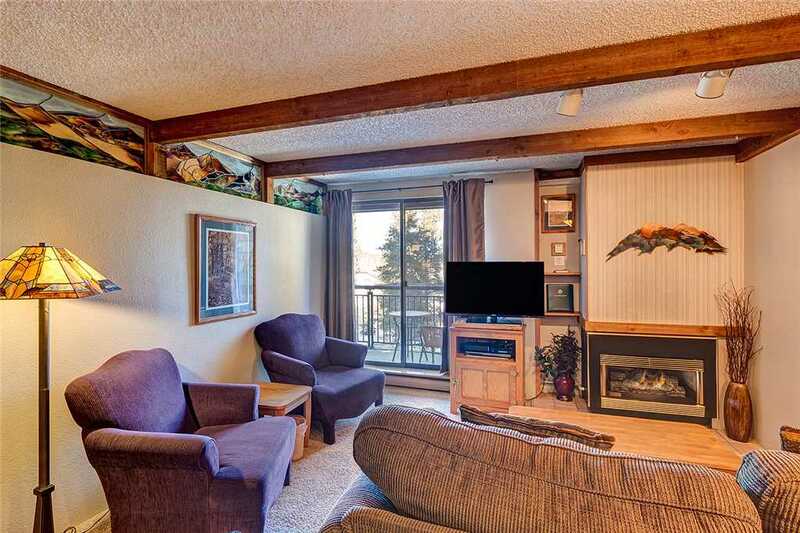 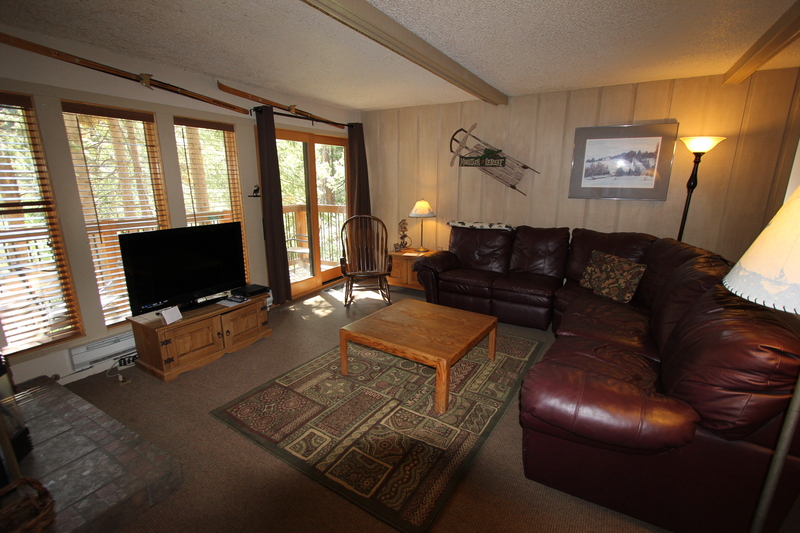 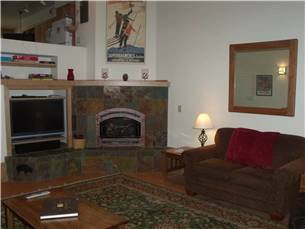 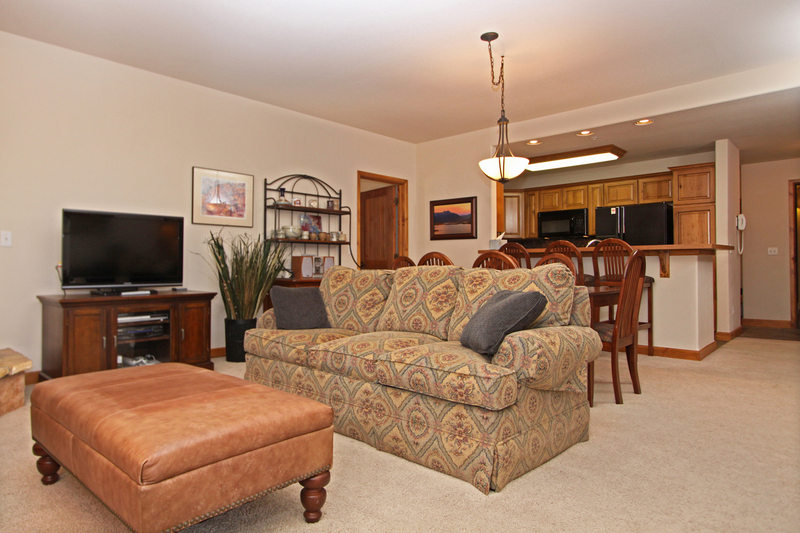 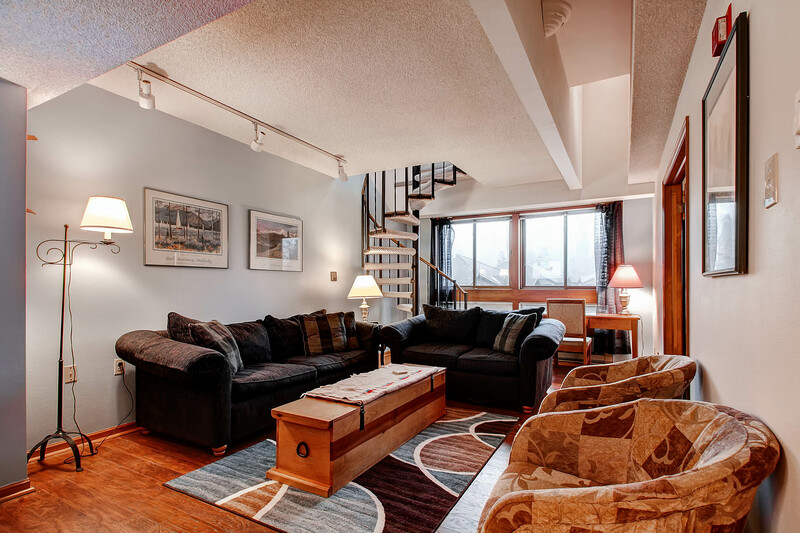 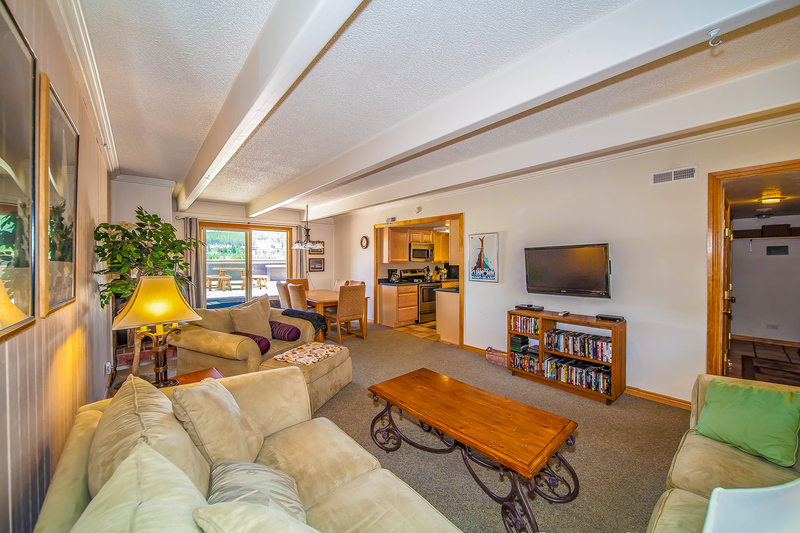 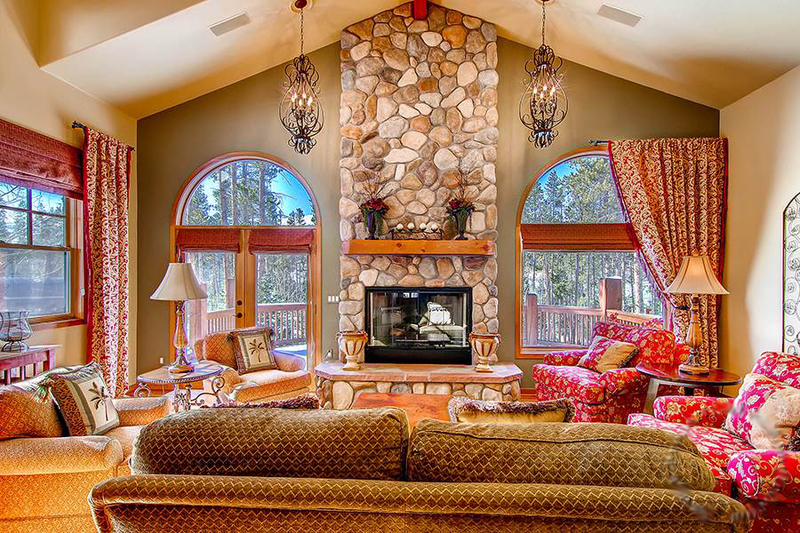 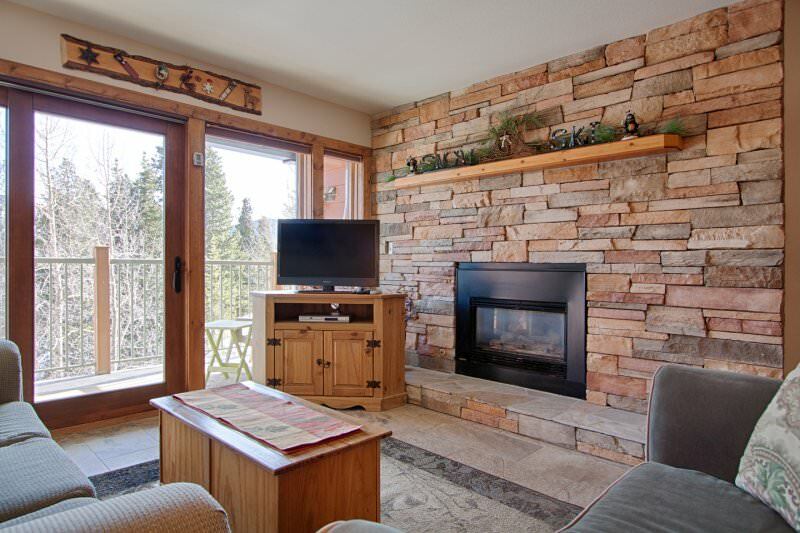 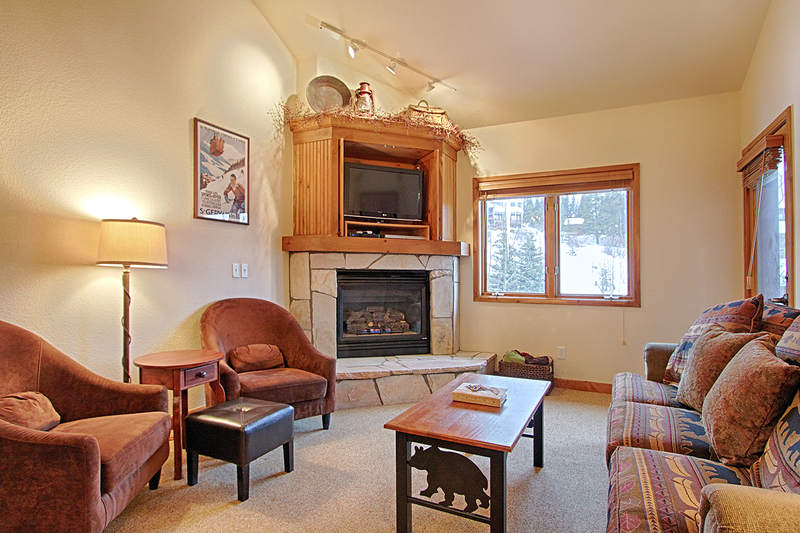 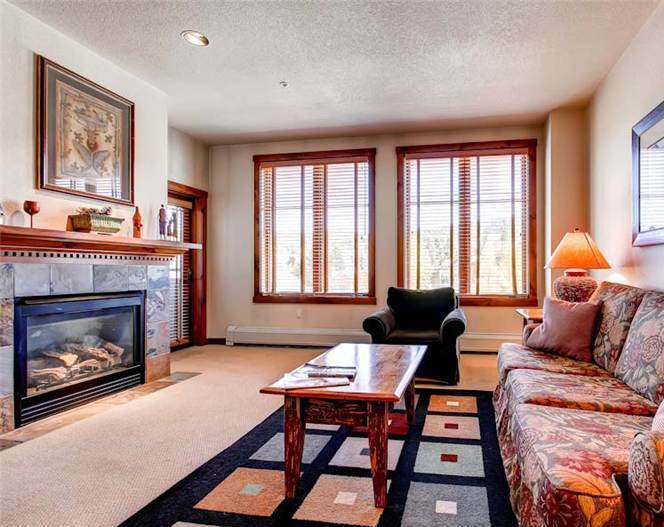 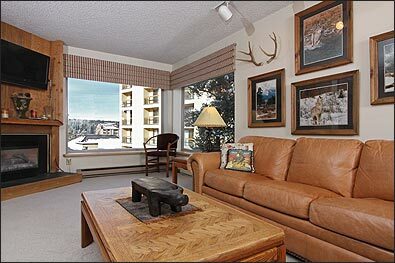 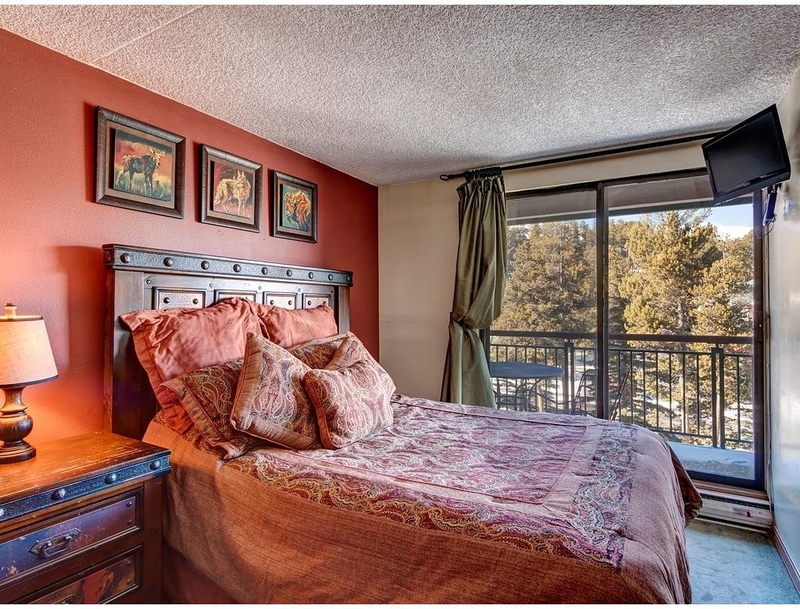 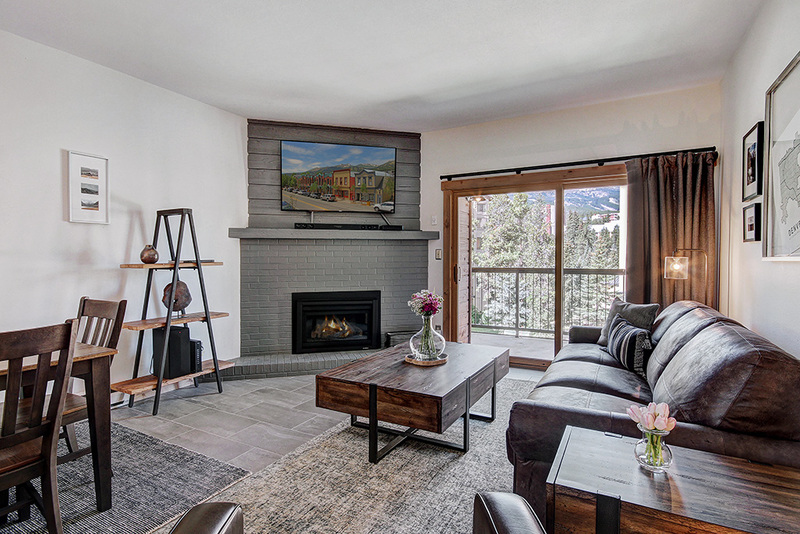 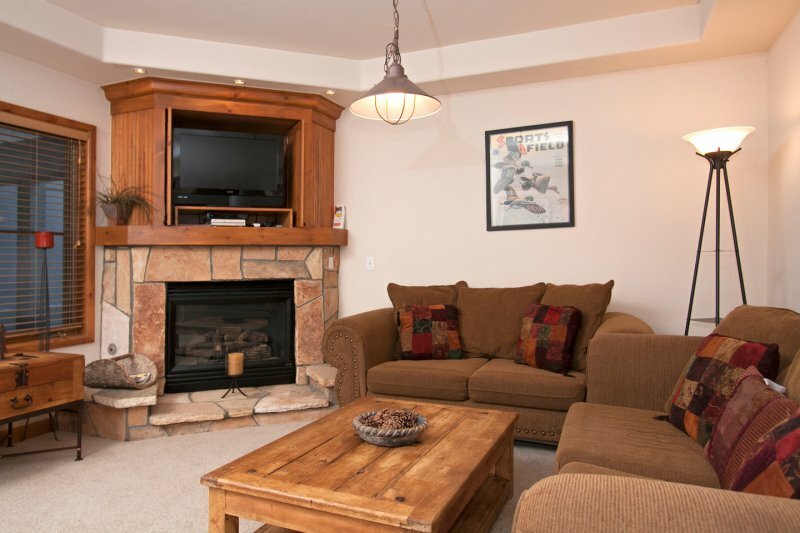 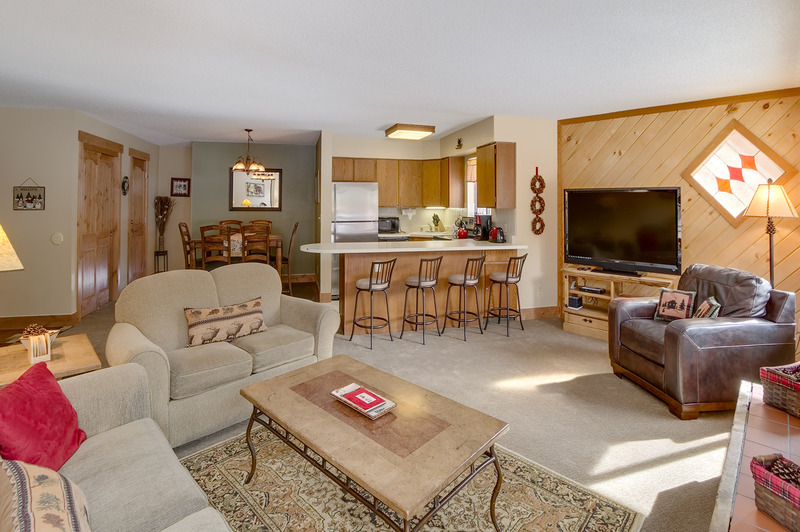 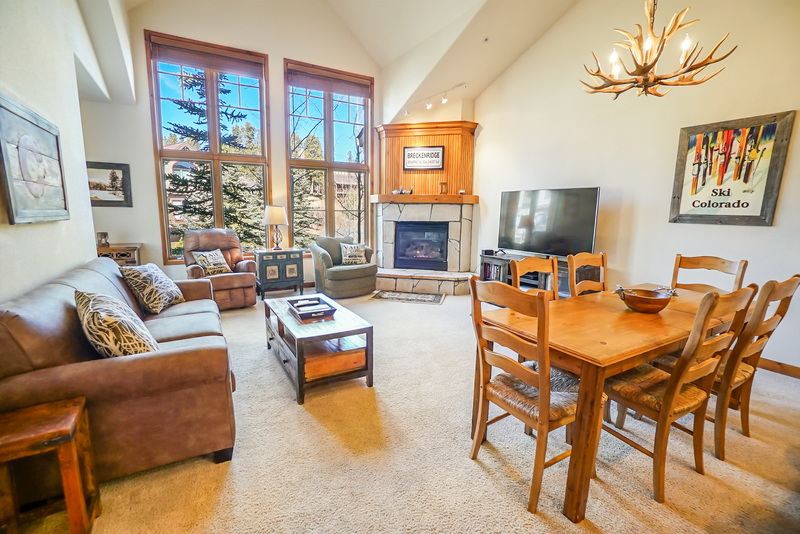 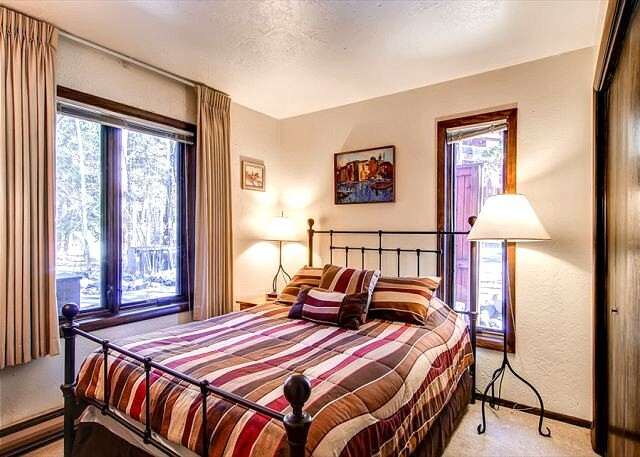 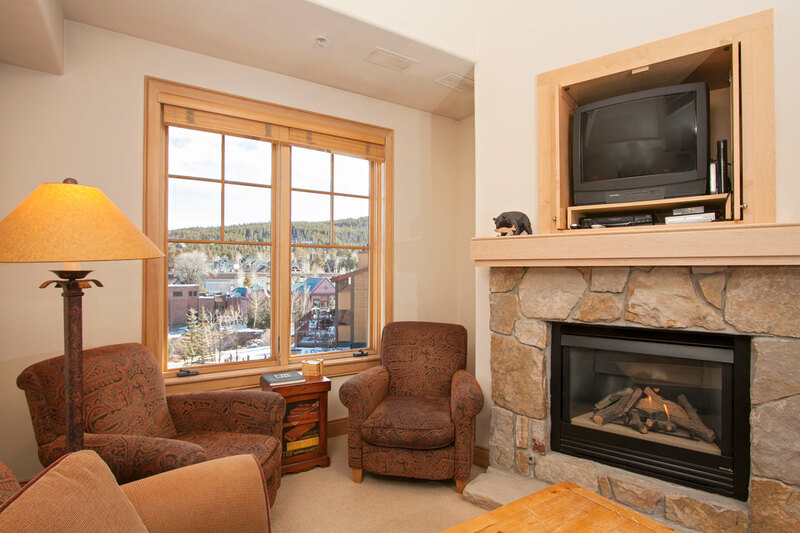 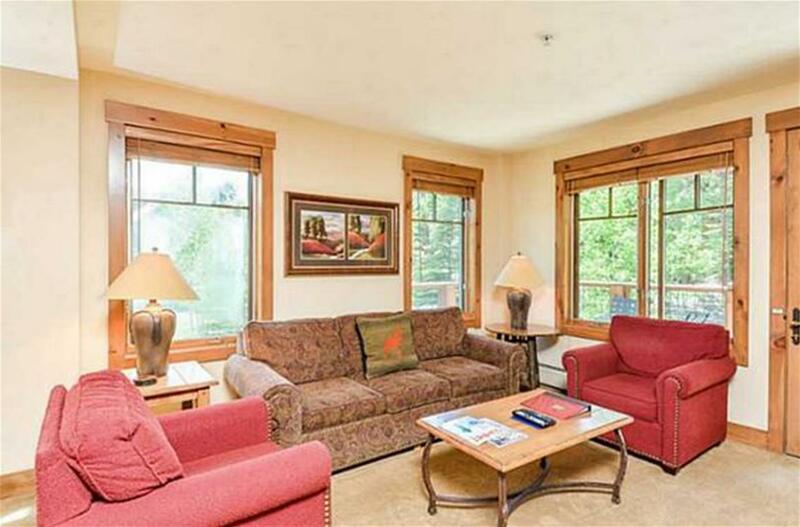 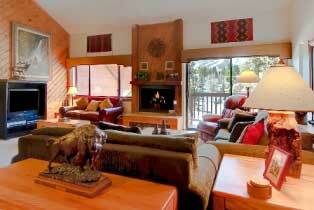 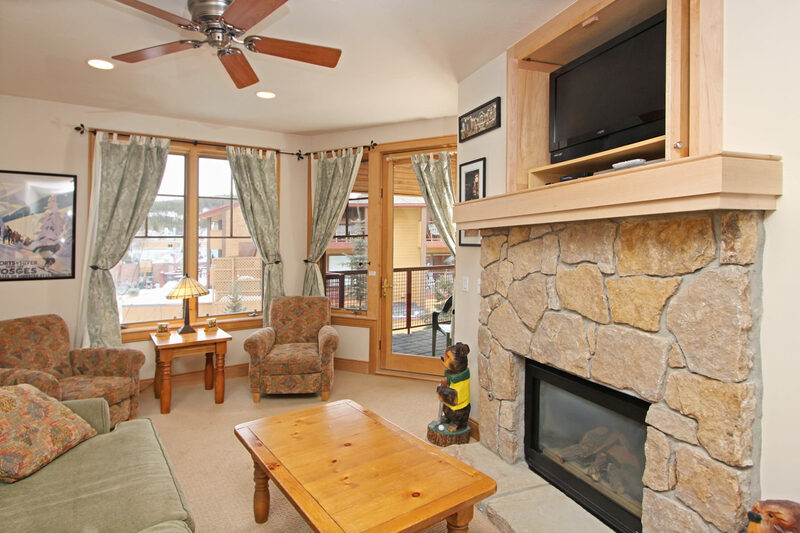 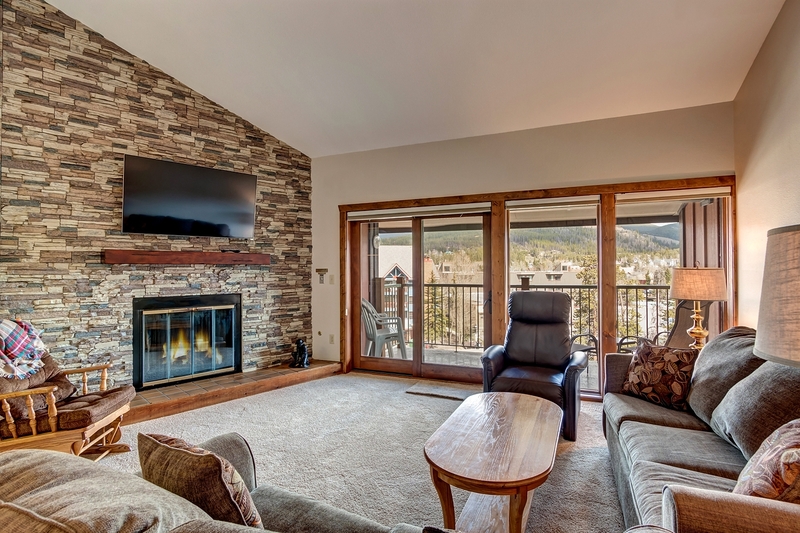 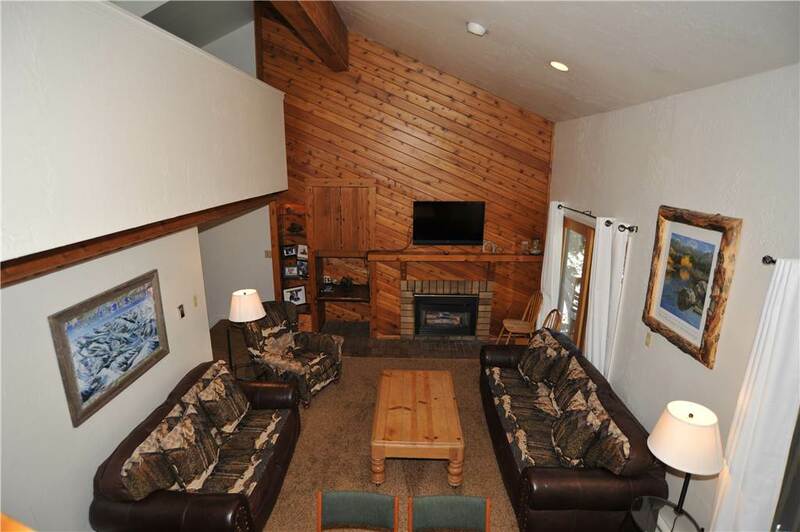 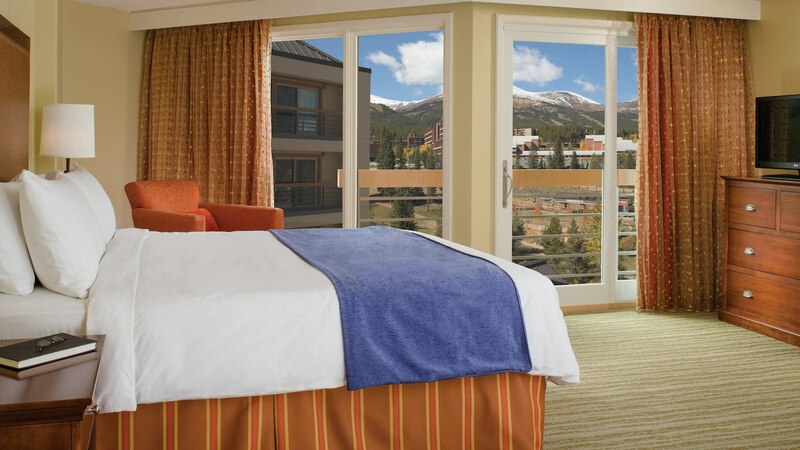 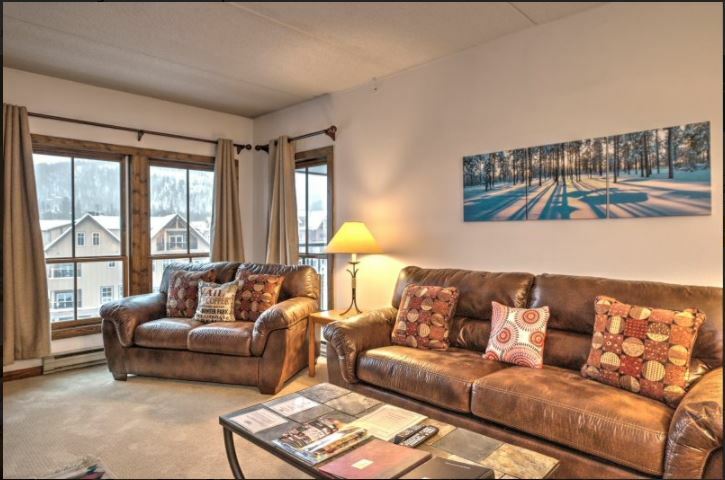 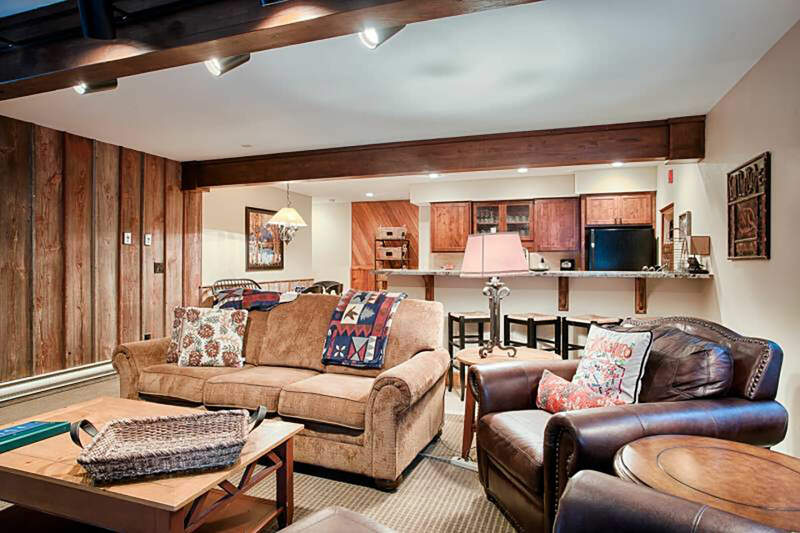 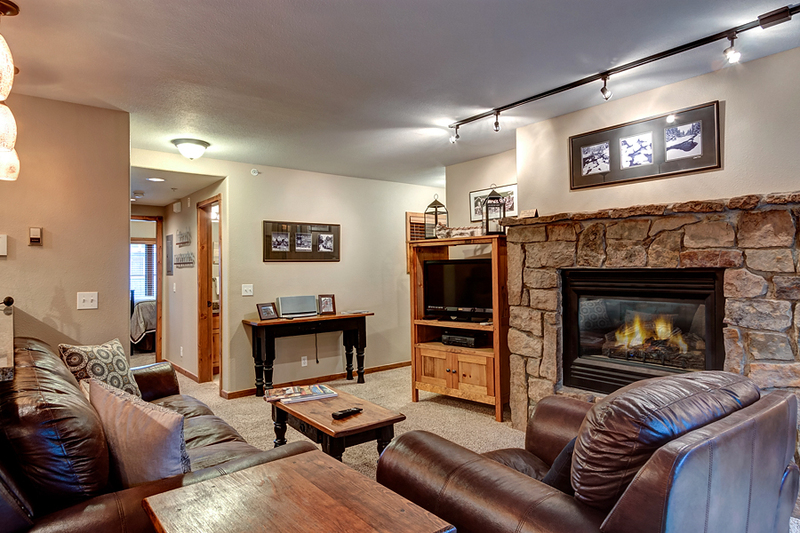 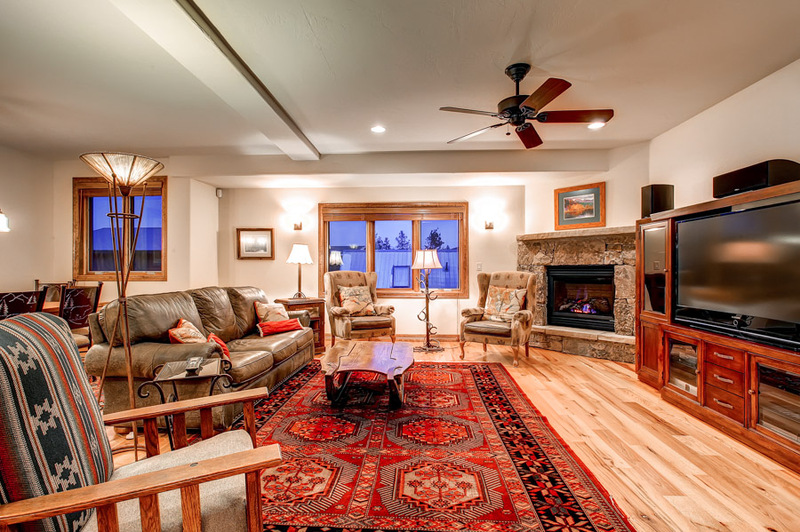 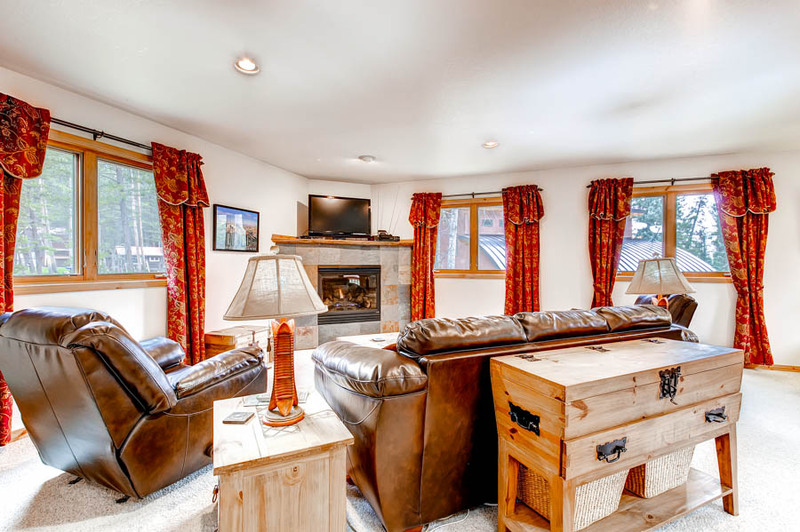 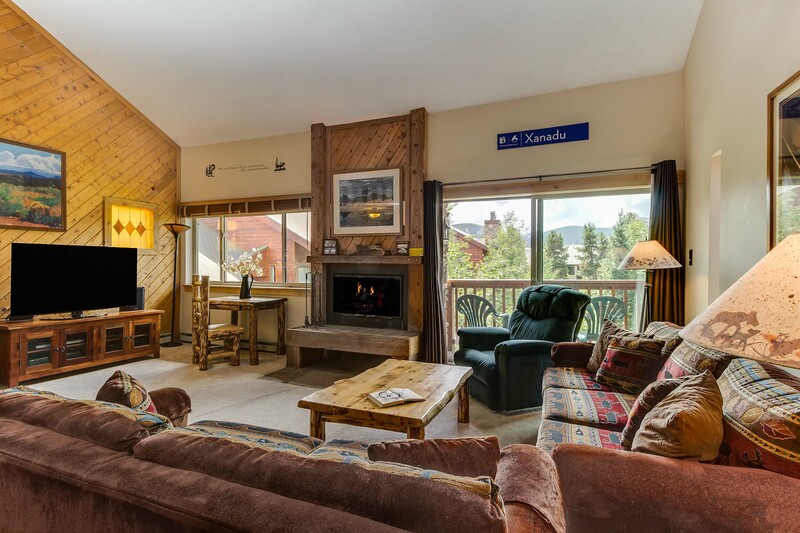 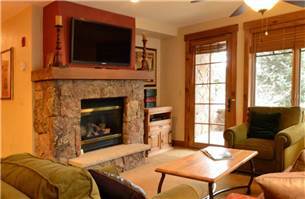 It is only three miles to downtown Breckenridge and the slopes. 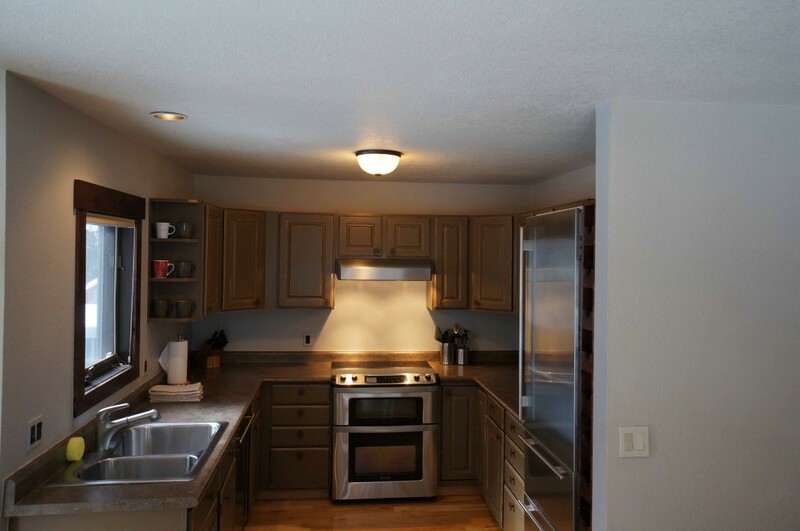 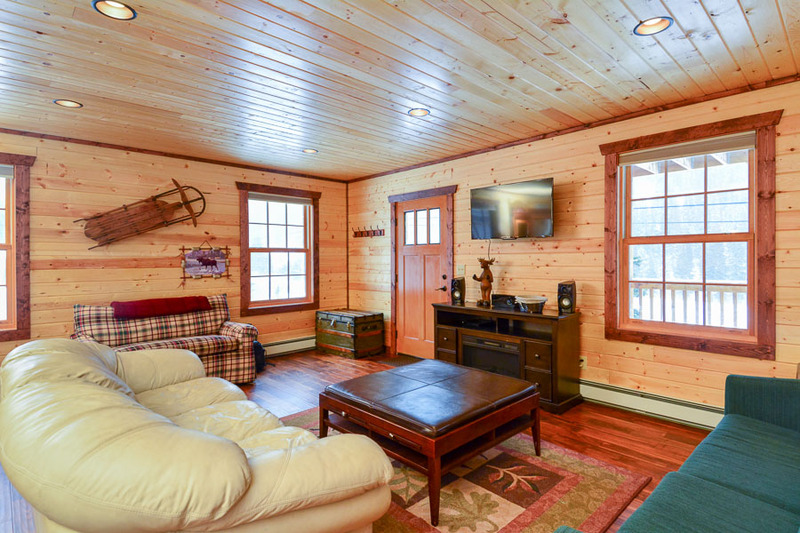 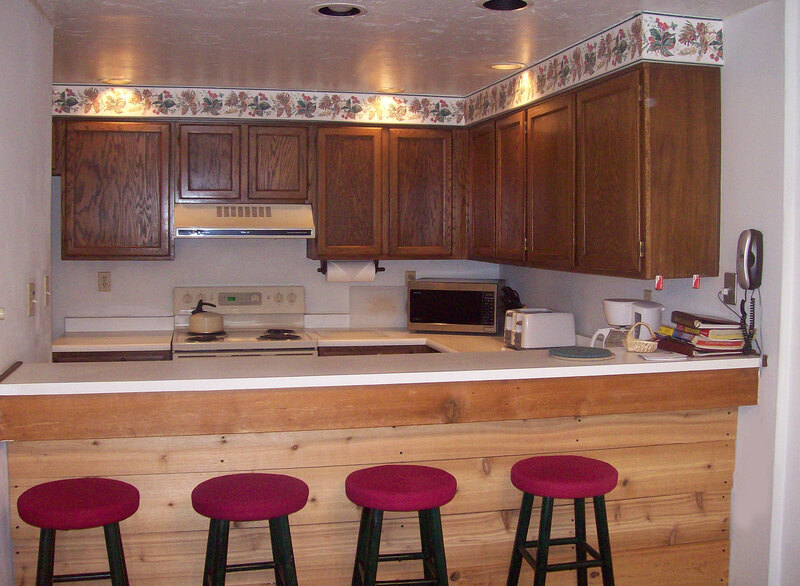 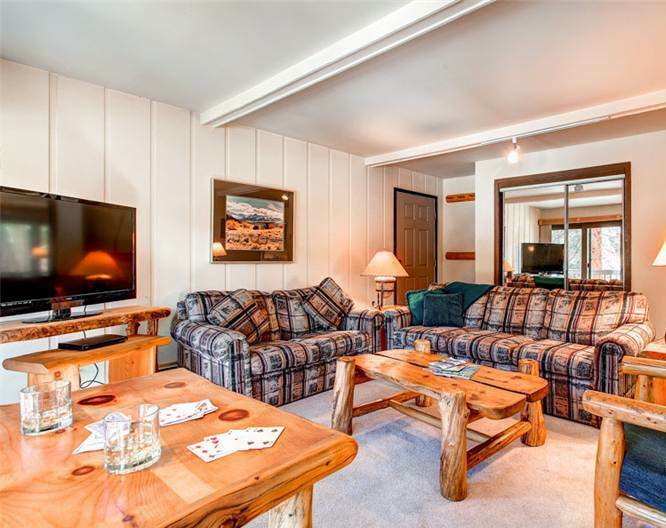 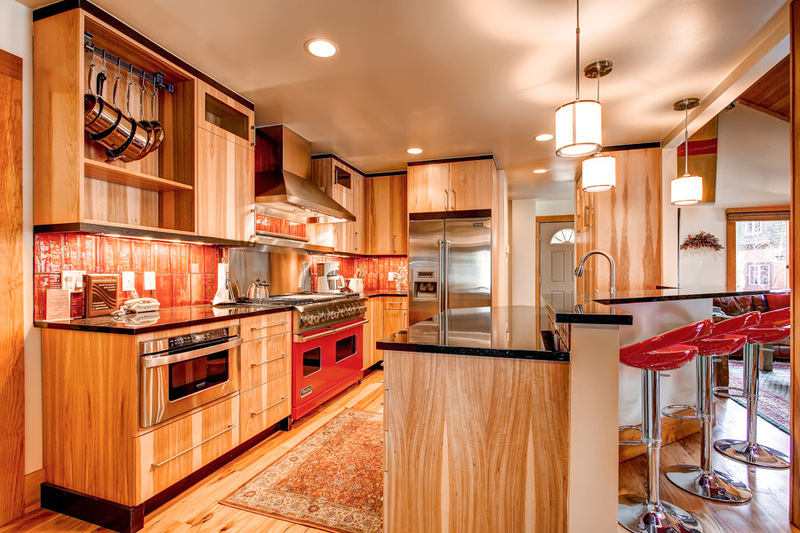 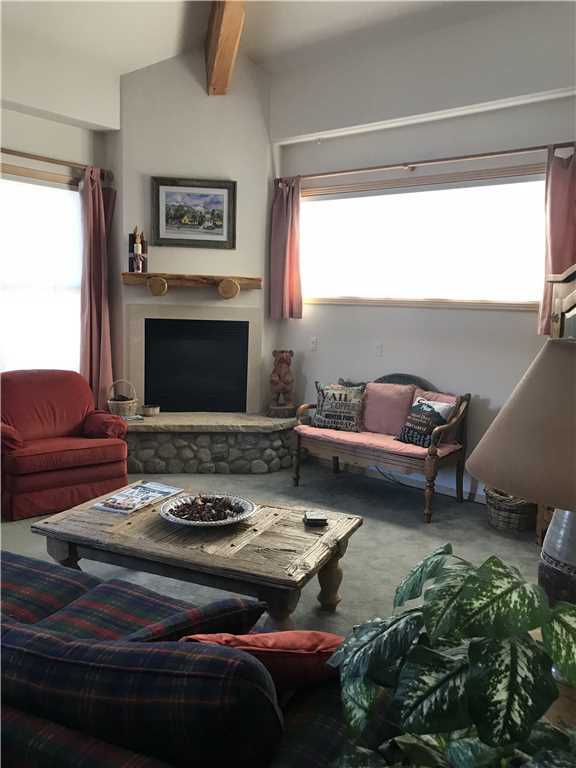 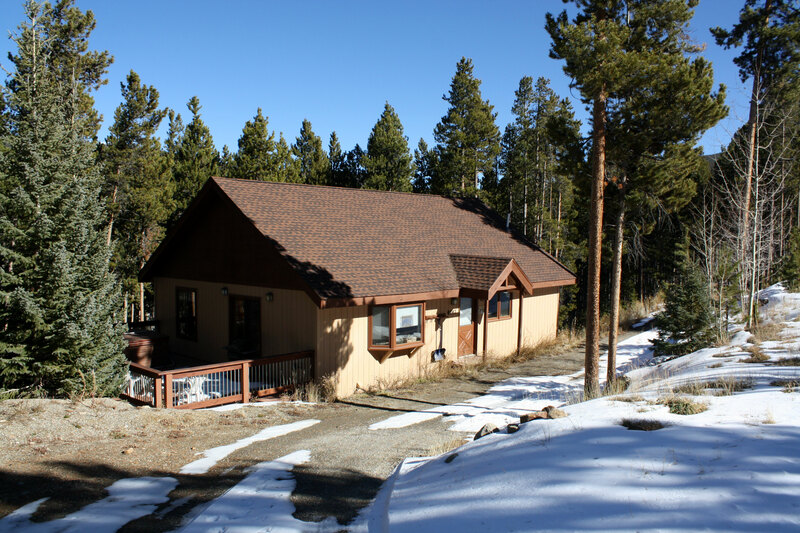 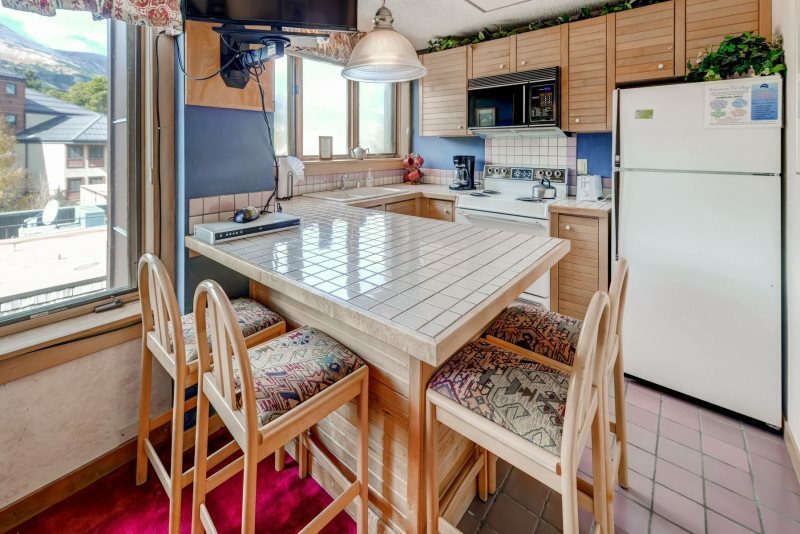 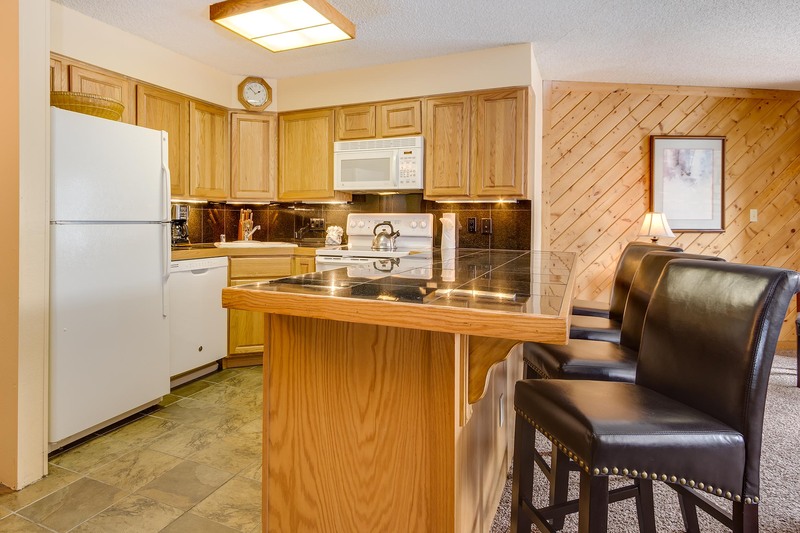 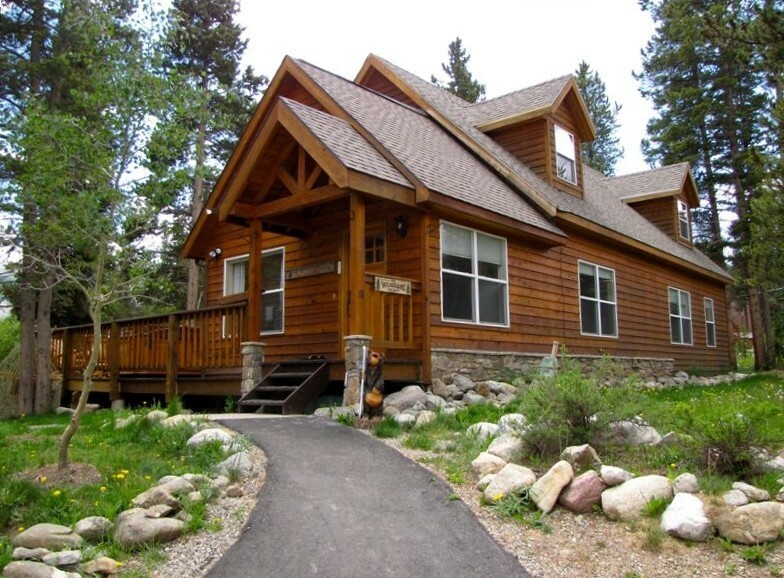 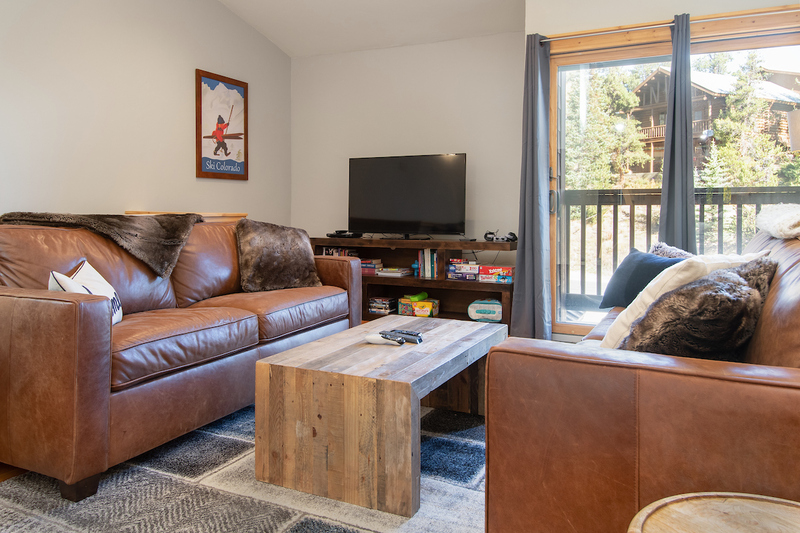 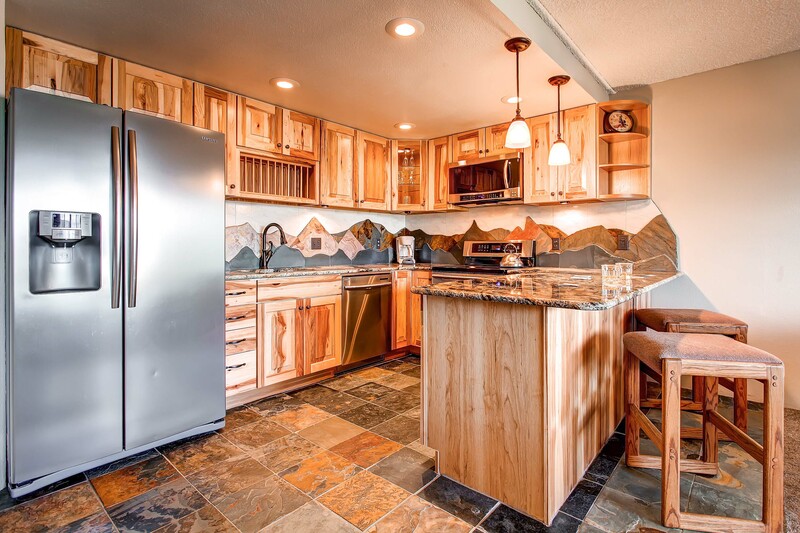 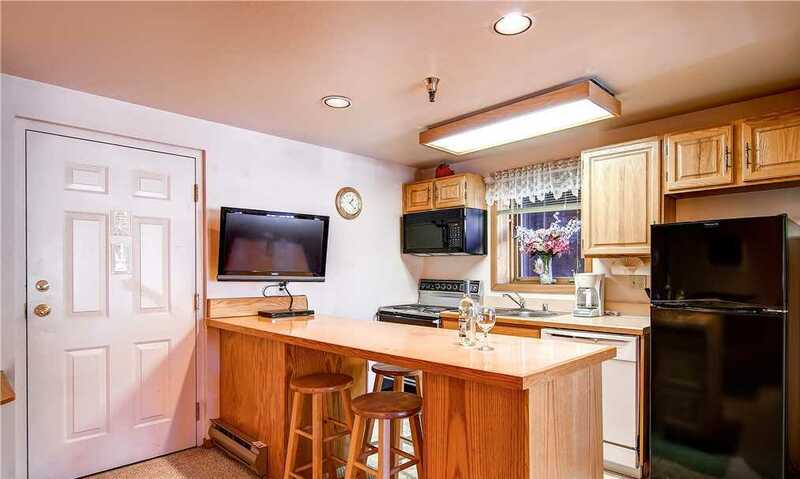 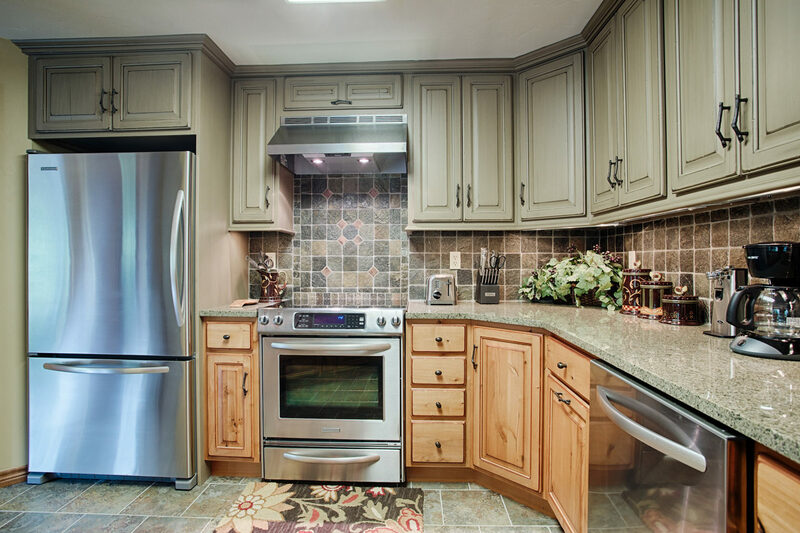 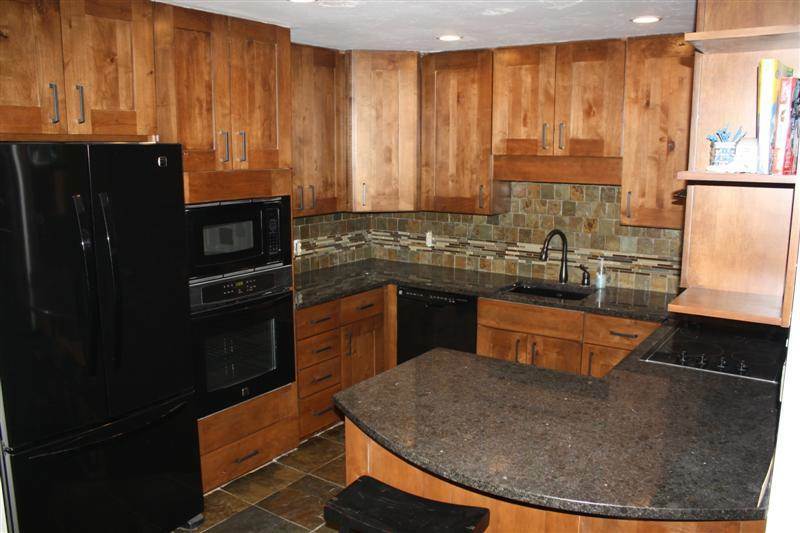 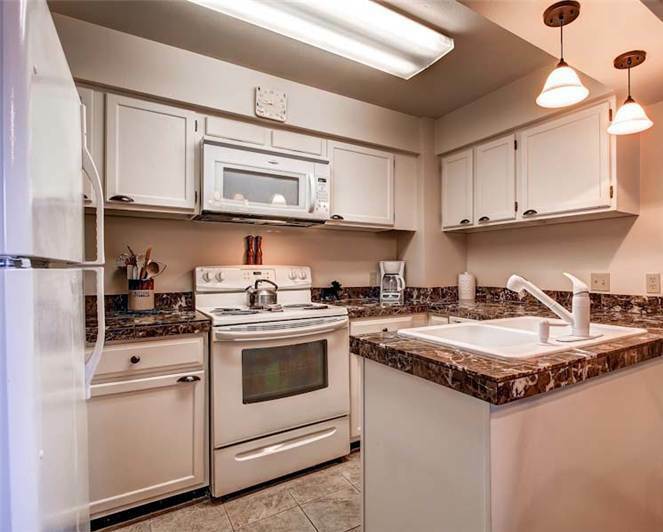 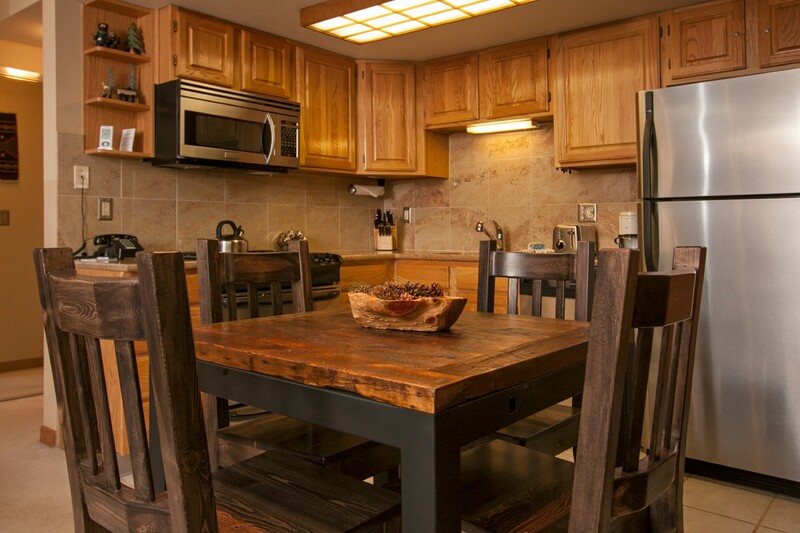 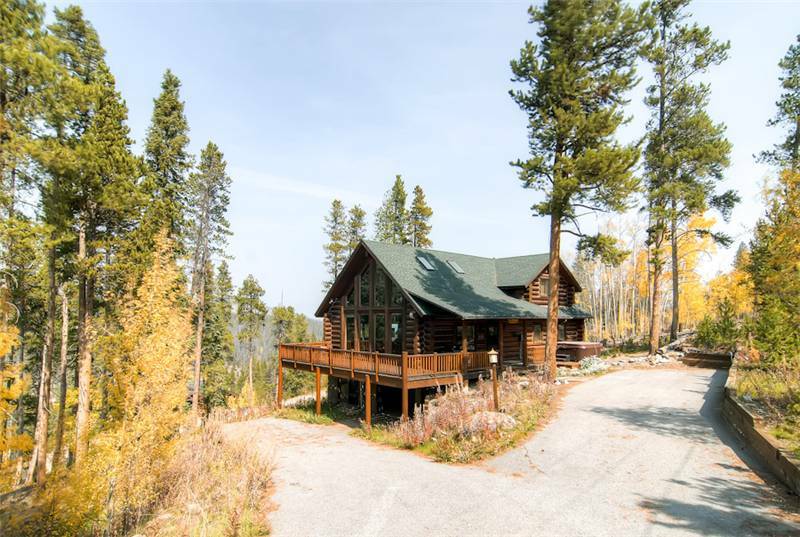 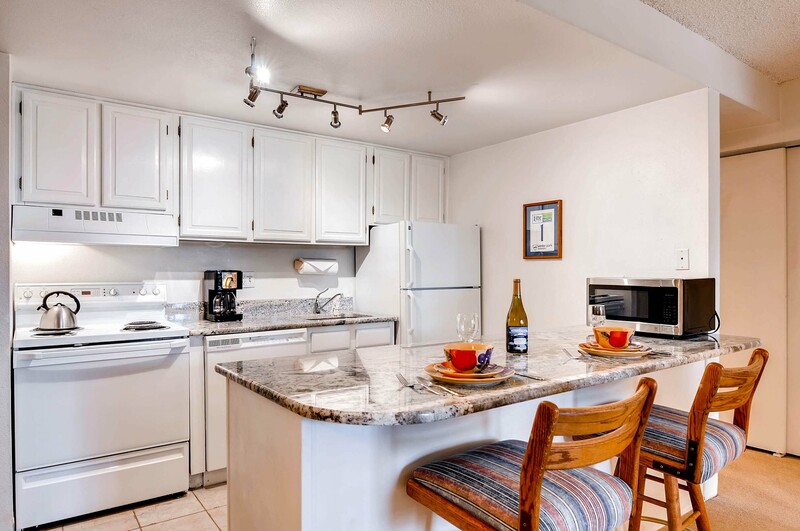 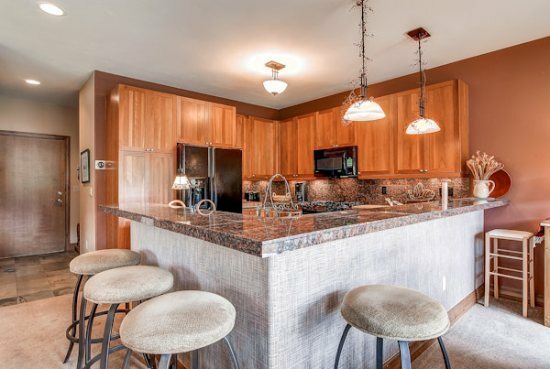 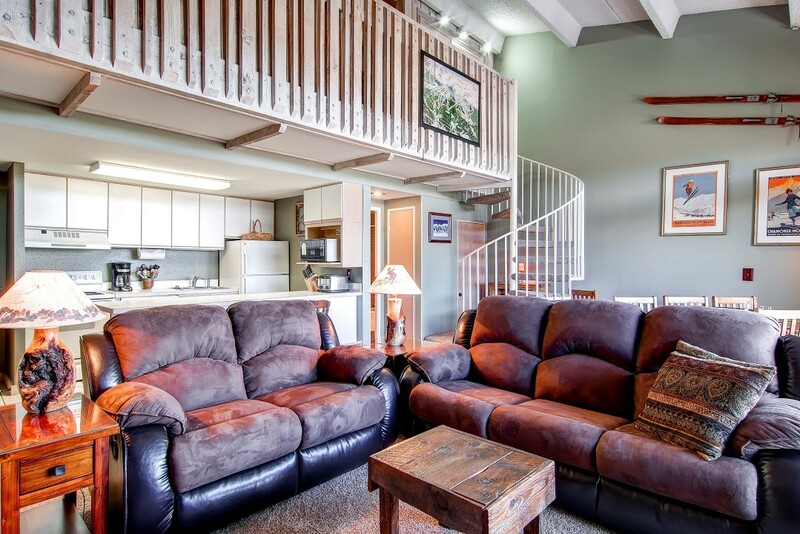 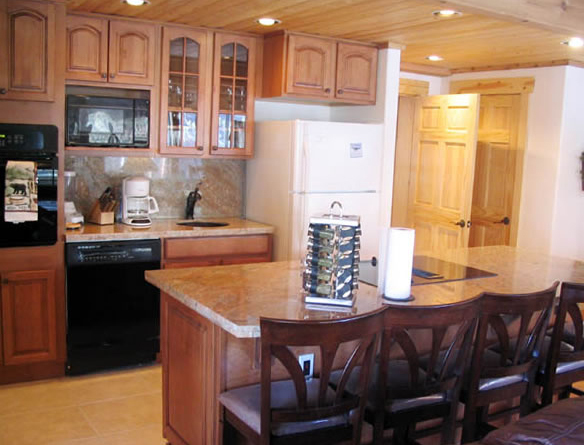 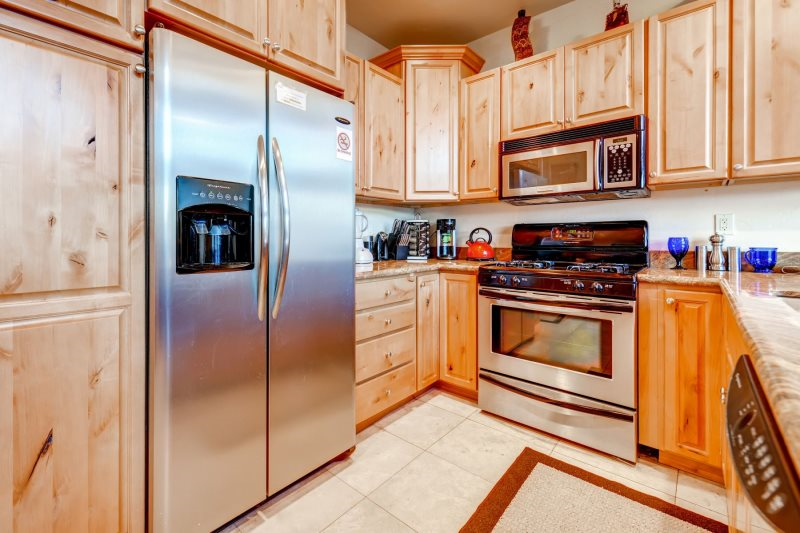 This 2,100 square foot cabin has three bedrooms, three bathrooms, two living areas, and an updated kitchen with all brand new stainless steel appliances. 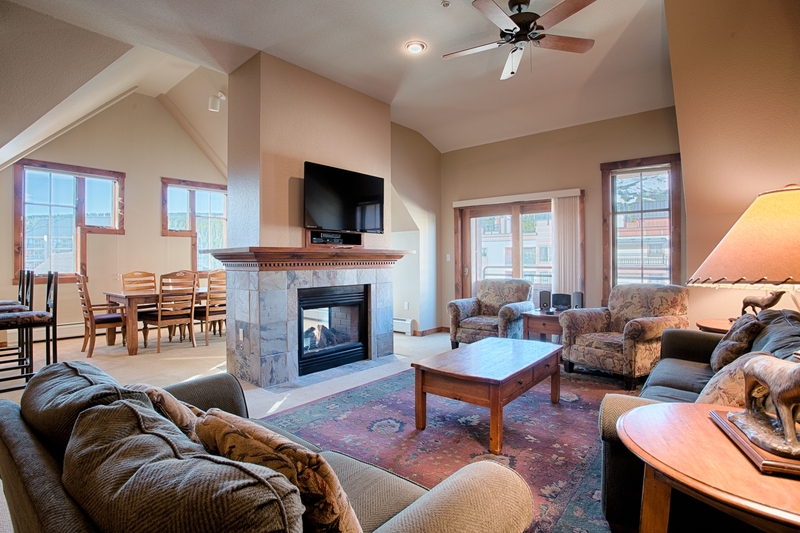 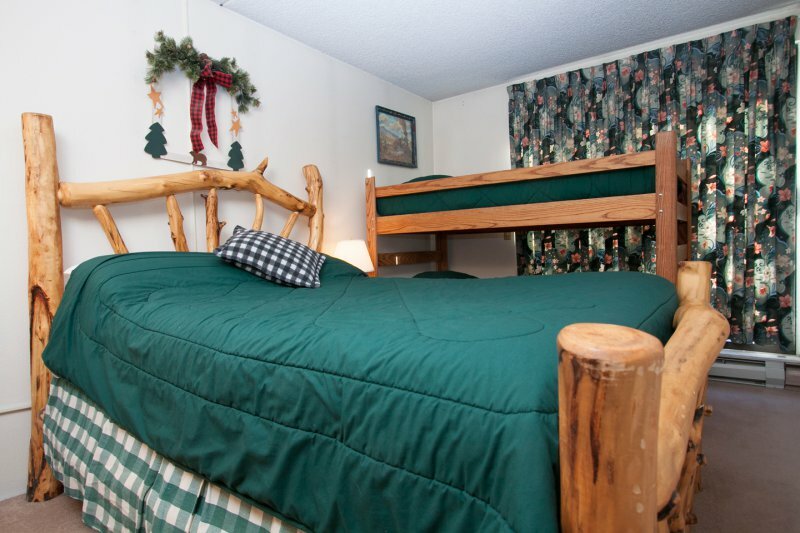 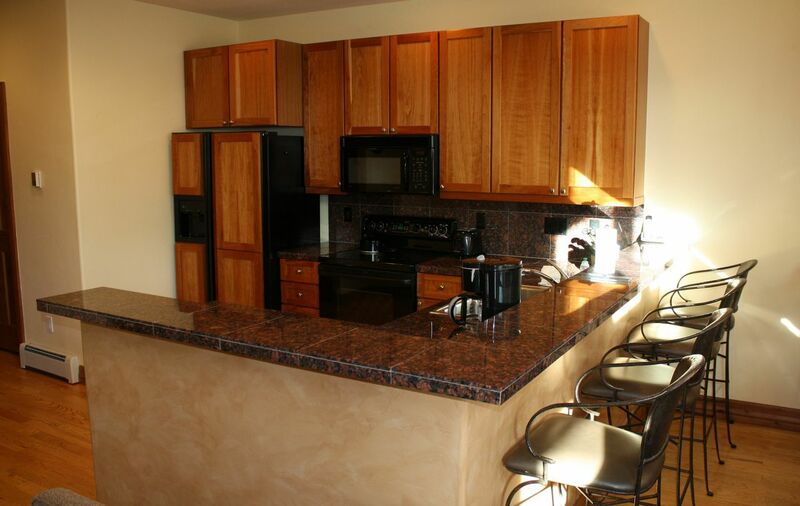 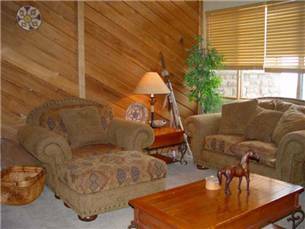 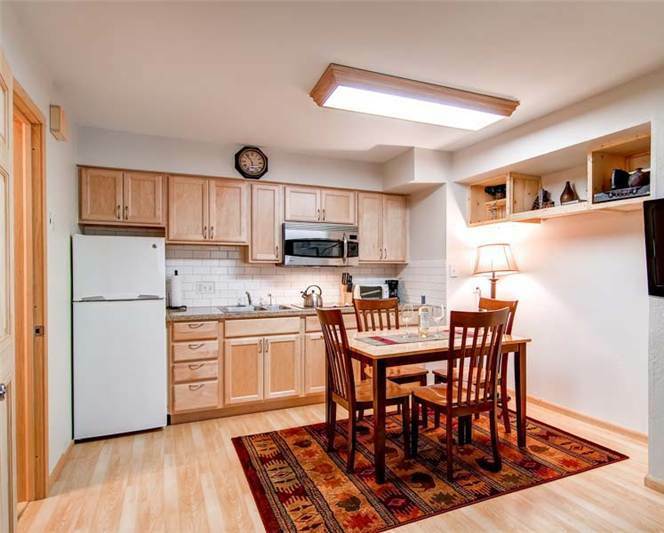 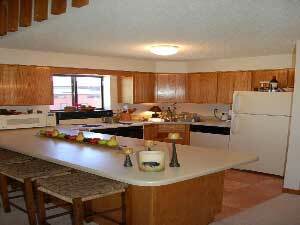 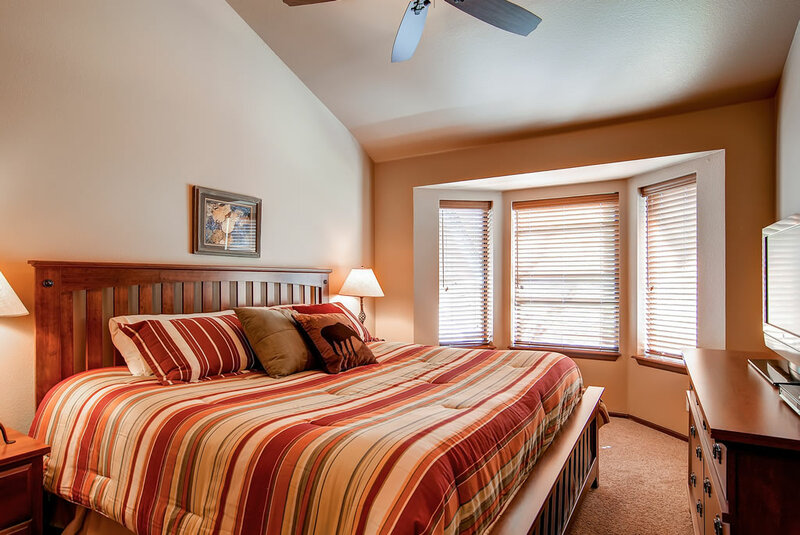 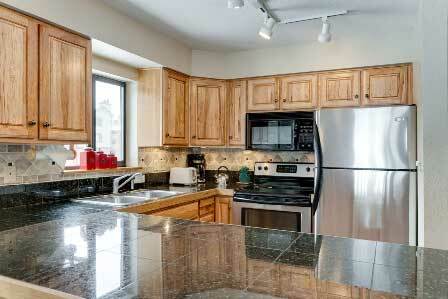 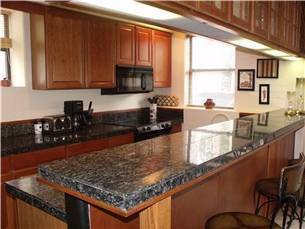 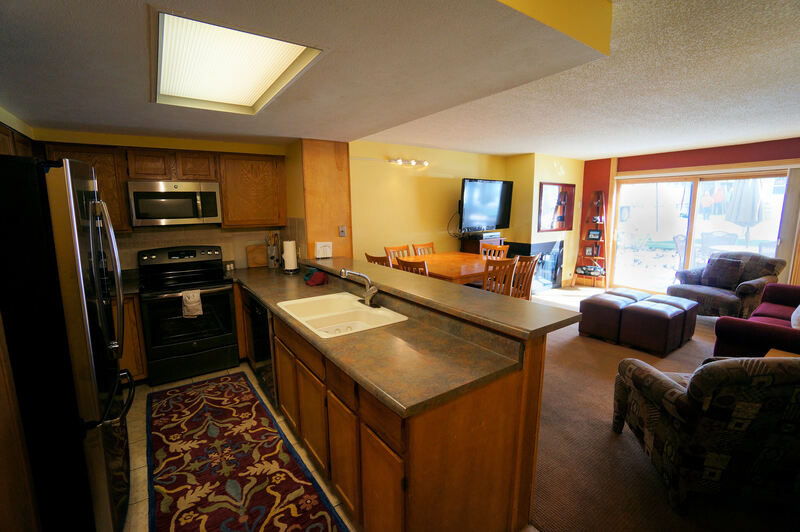 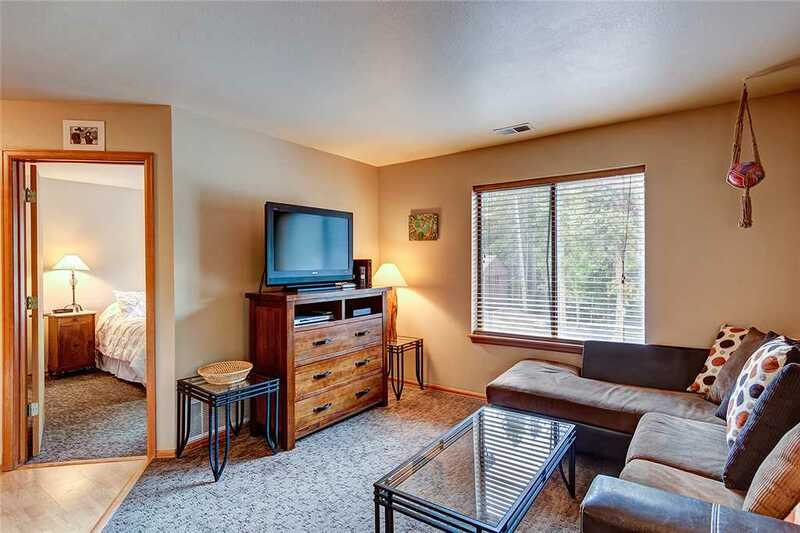 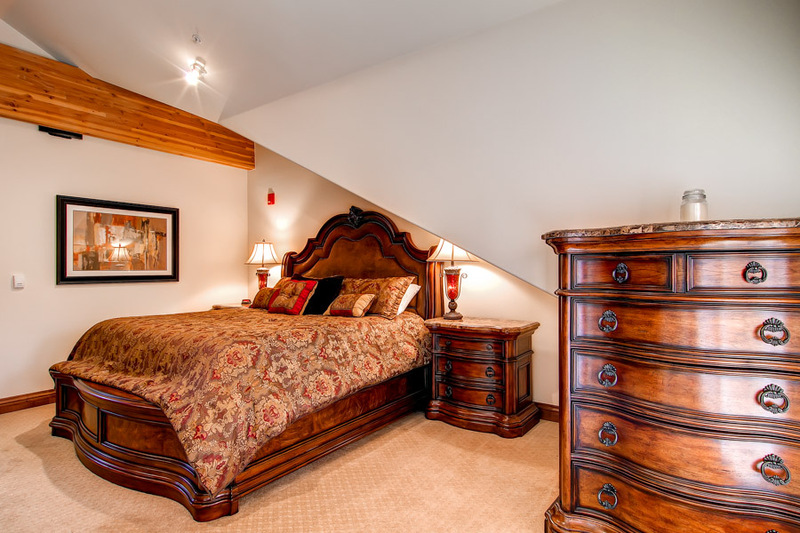 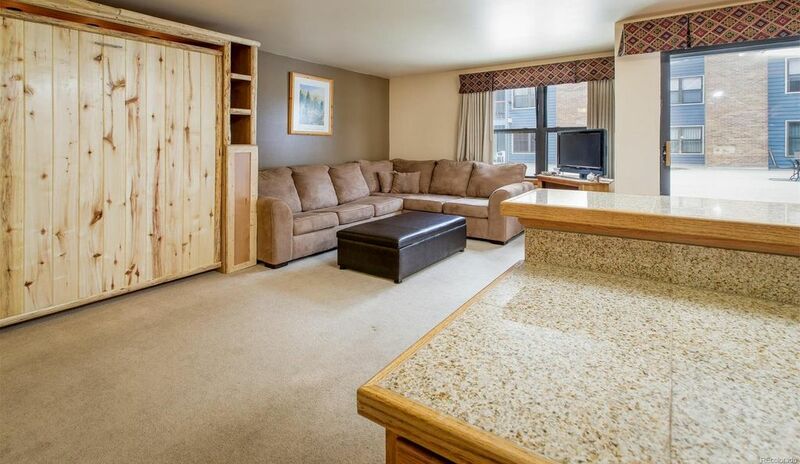 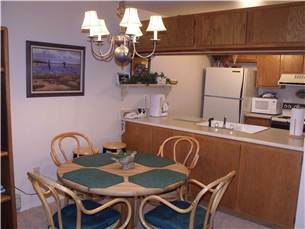 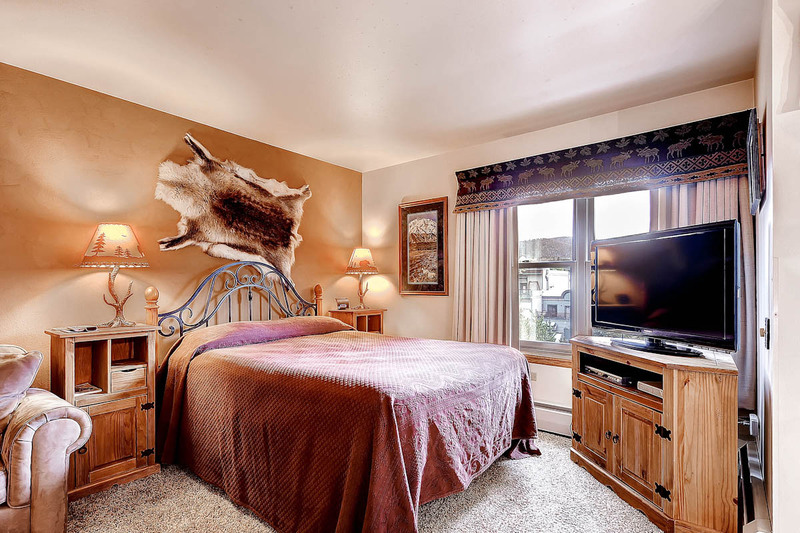 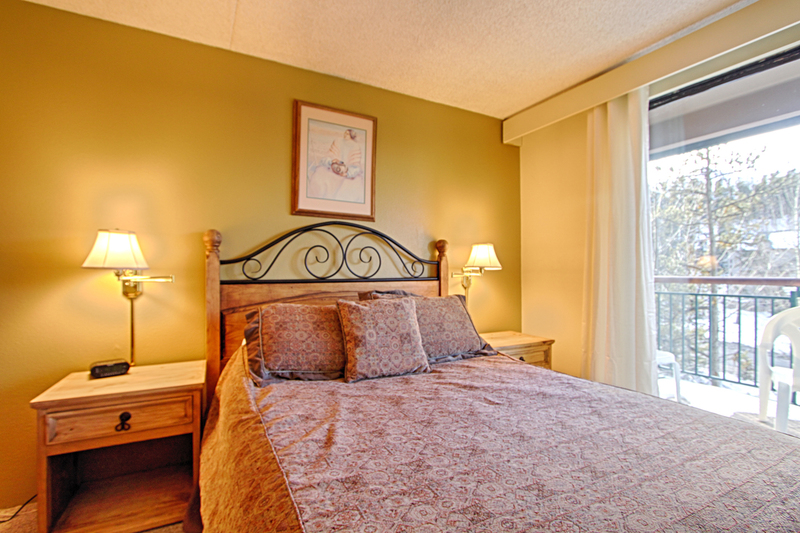 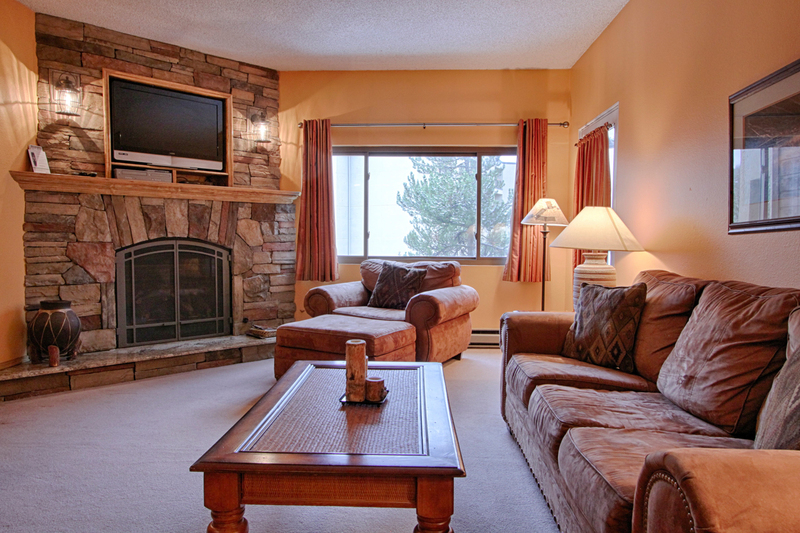 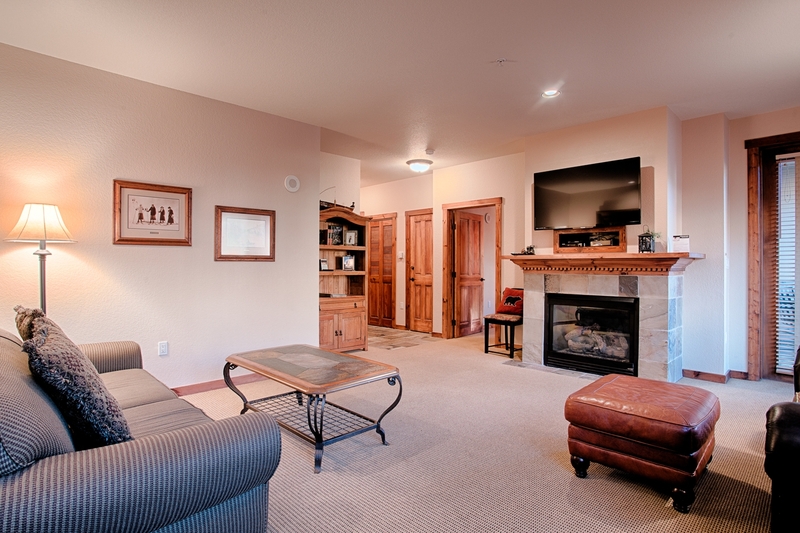 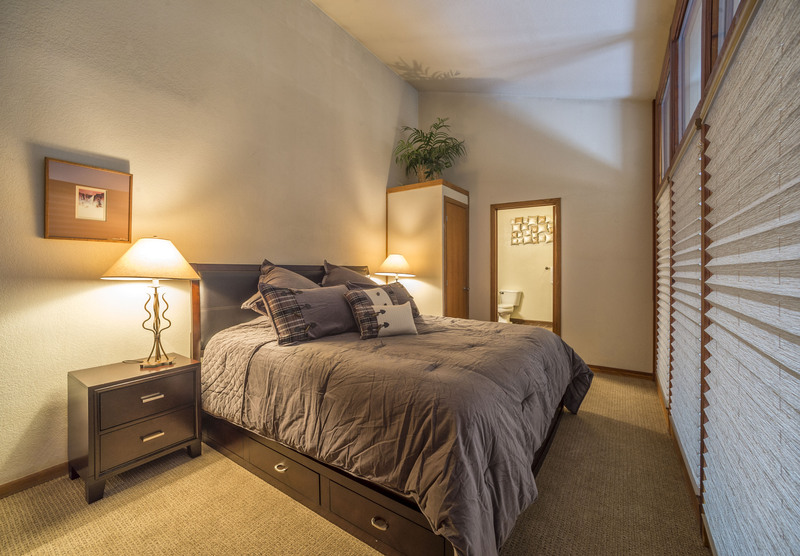 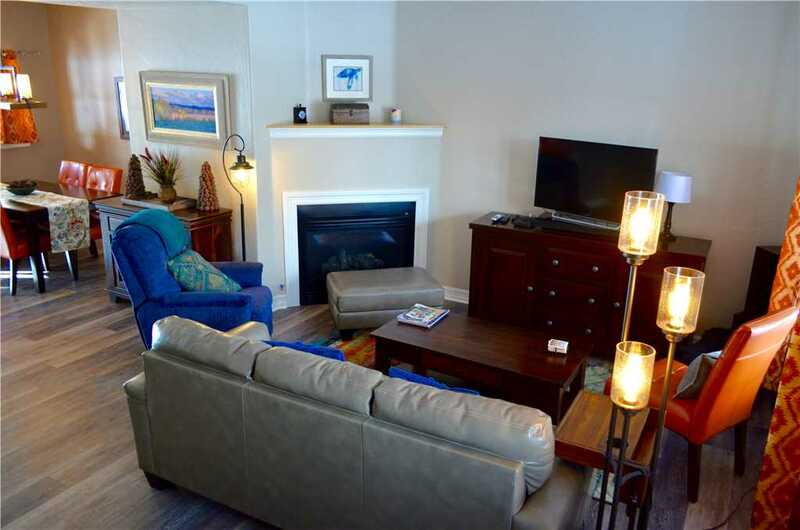 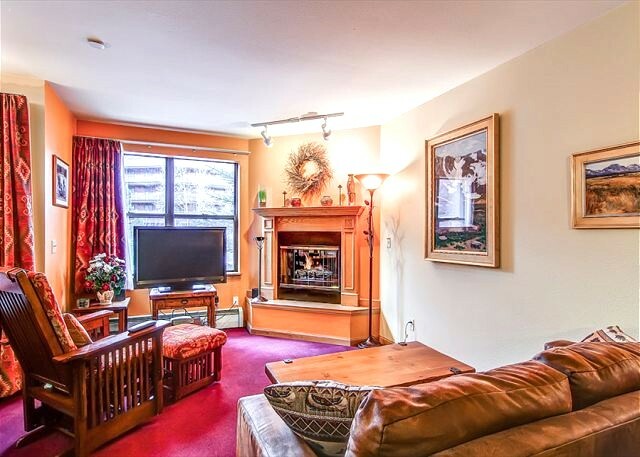 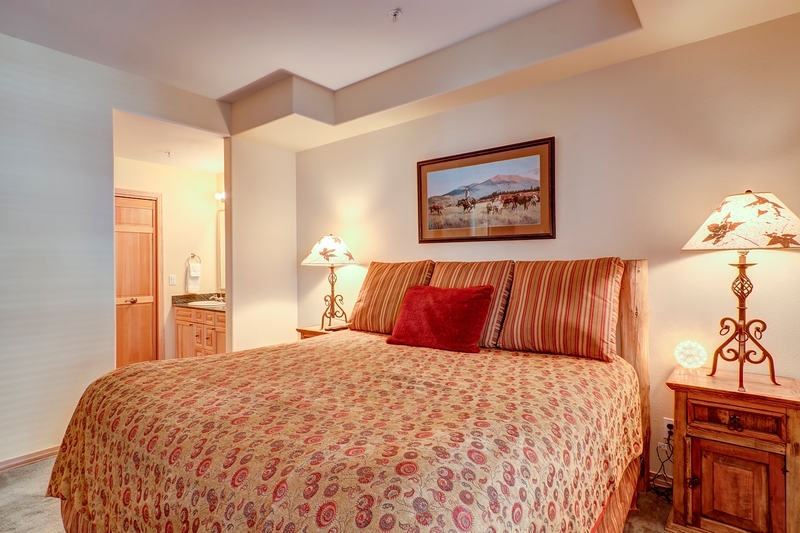 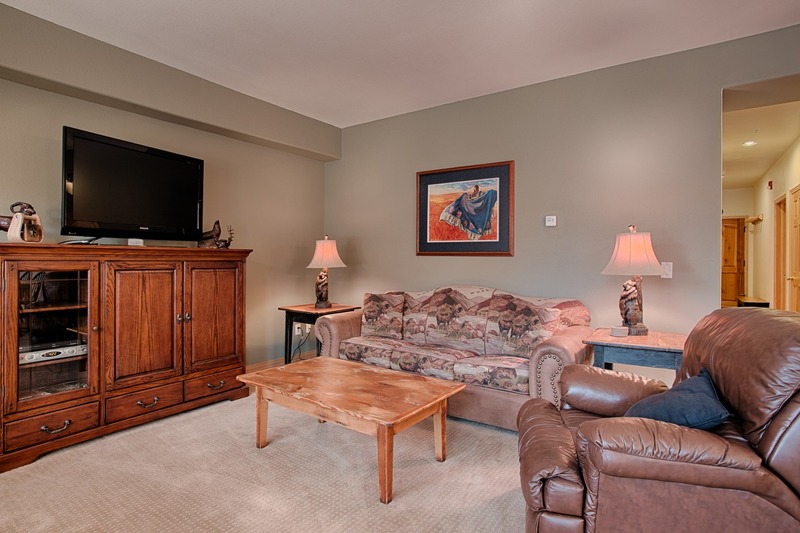 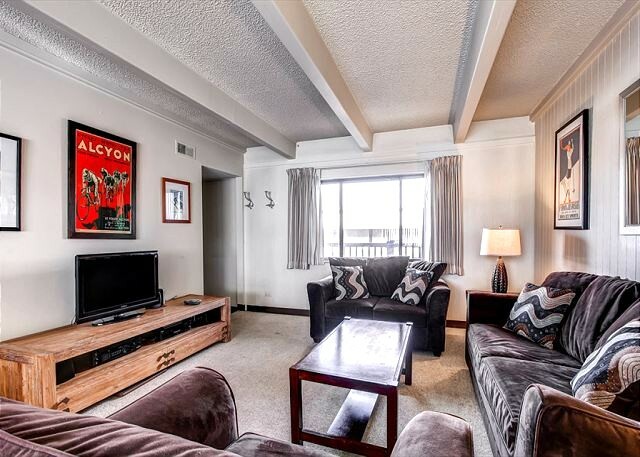 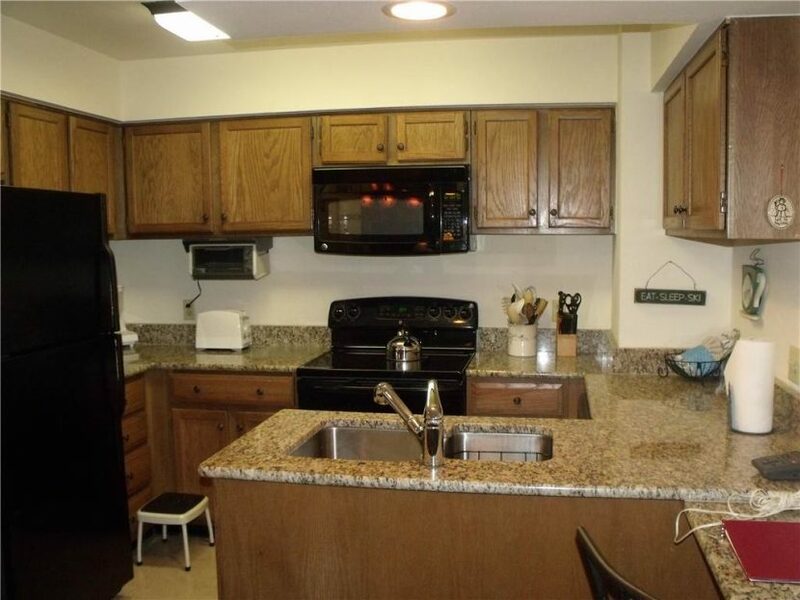 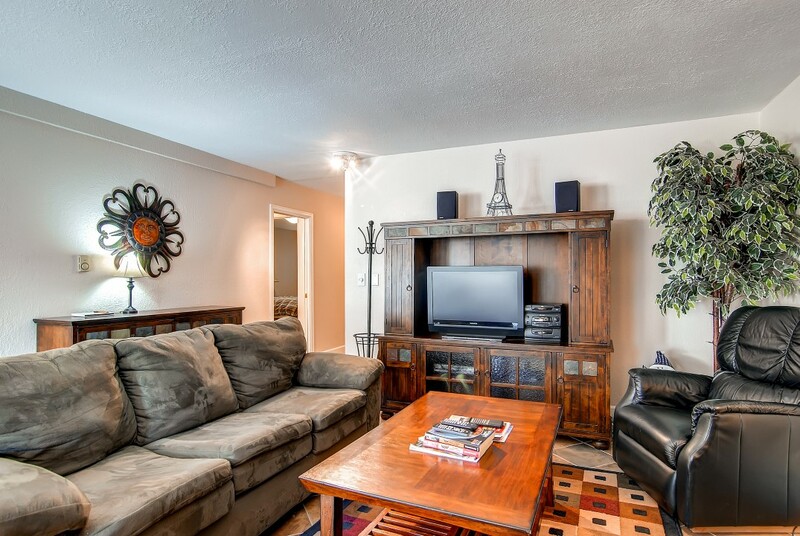 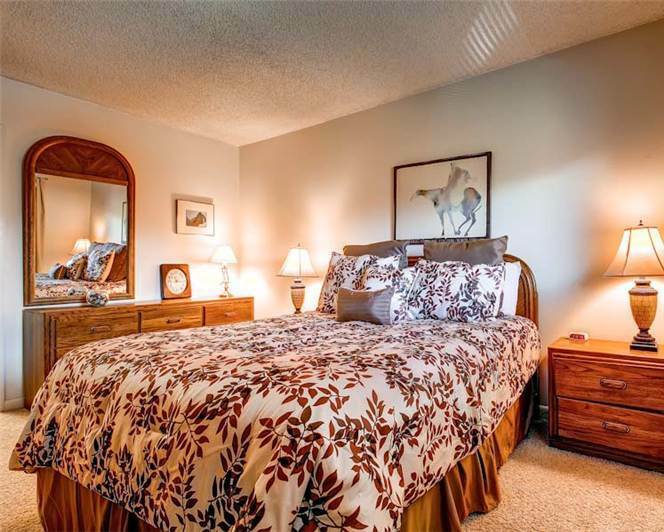 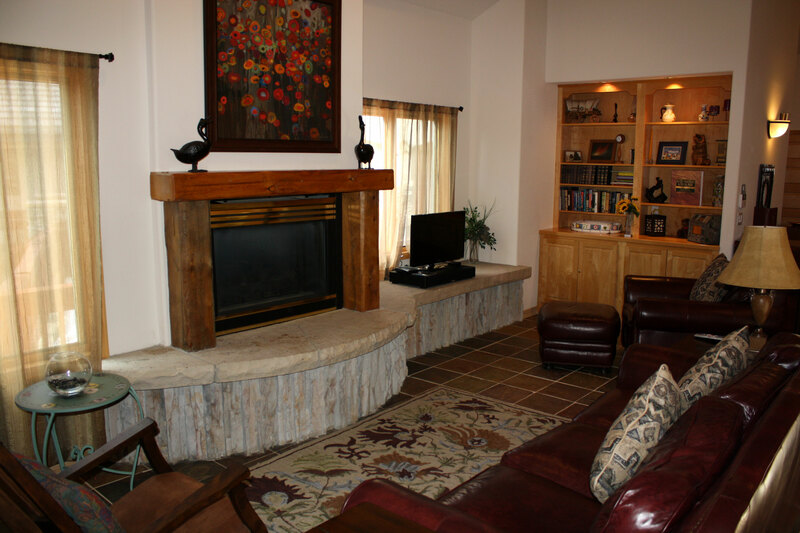 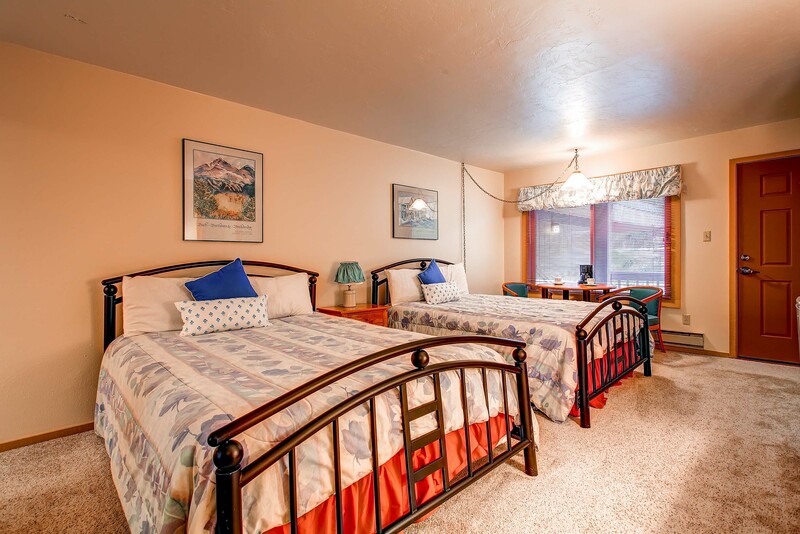 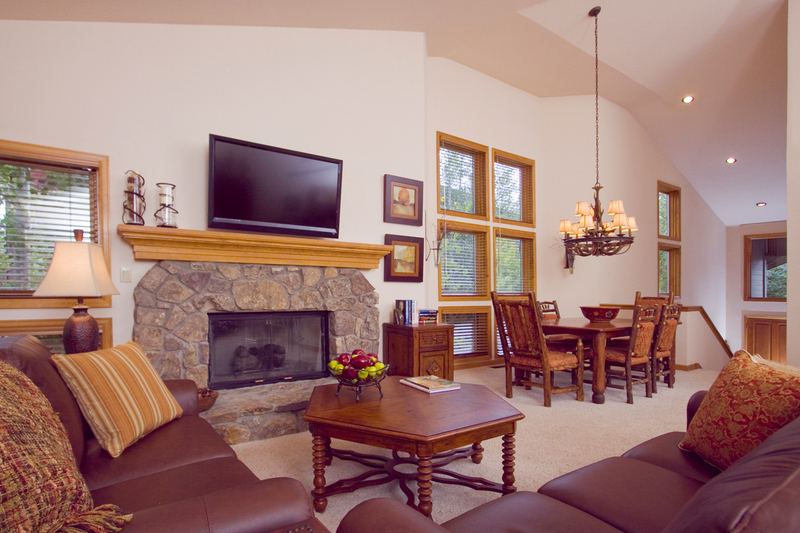 There are flat screen televisions in both living areas and in each bedroom. 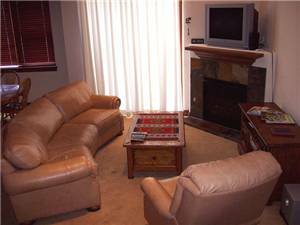 You will also find DVD players with movies, a Wii game system and games, air hockey, board games and lots of books. 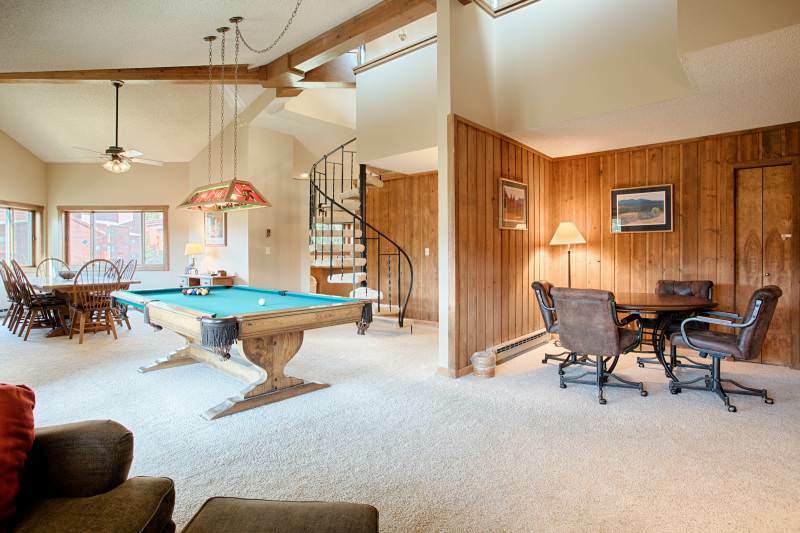 No one should ever get bored here! 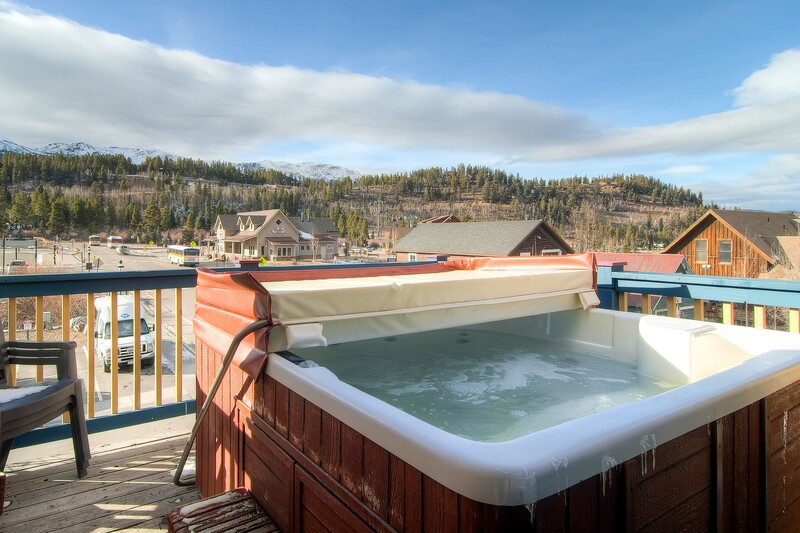 Outside keep your feet warm as you walk outside on the heated mat to slip into our Arctic Spa hot tub. 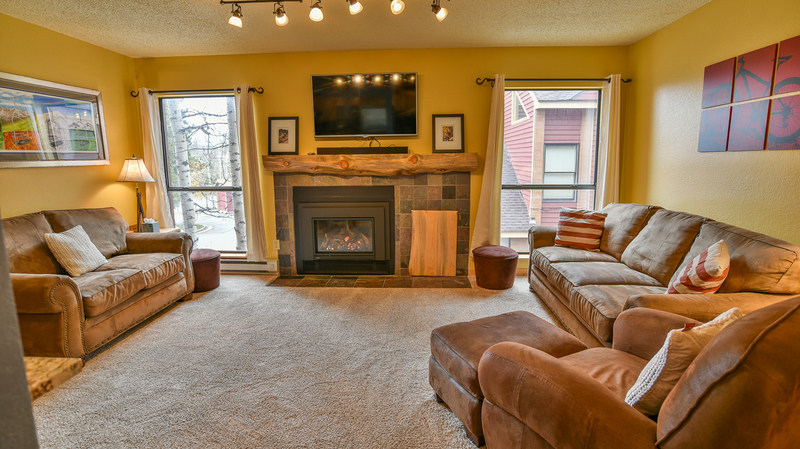 Fire up our one of a kind, custom made gas fire pit (just like at the ski slopes), or if you prefer, the wood burning fire pit in the yard, relax in the hammock for afternoon naps, multiple deck chairs and a two-seater swing to sit and relax. 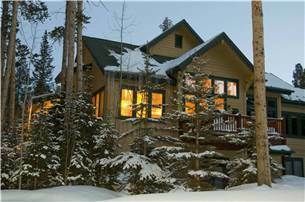 You never have to worry about shoveling snow, we we have a company who plows the drive and shovels the deck. 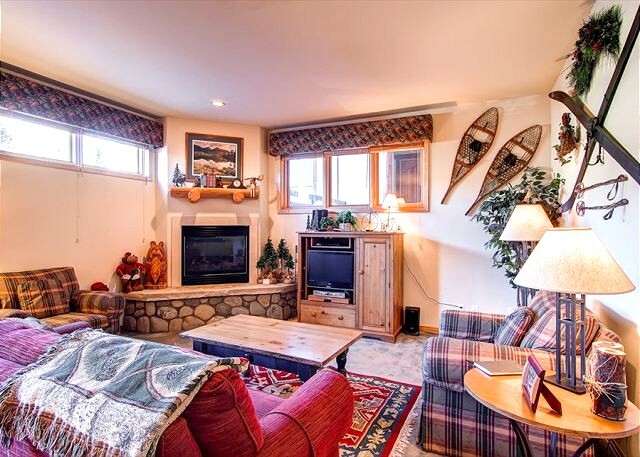 You can just enjoy your vacation!